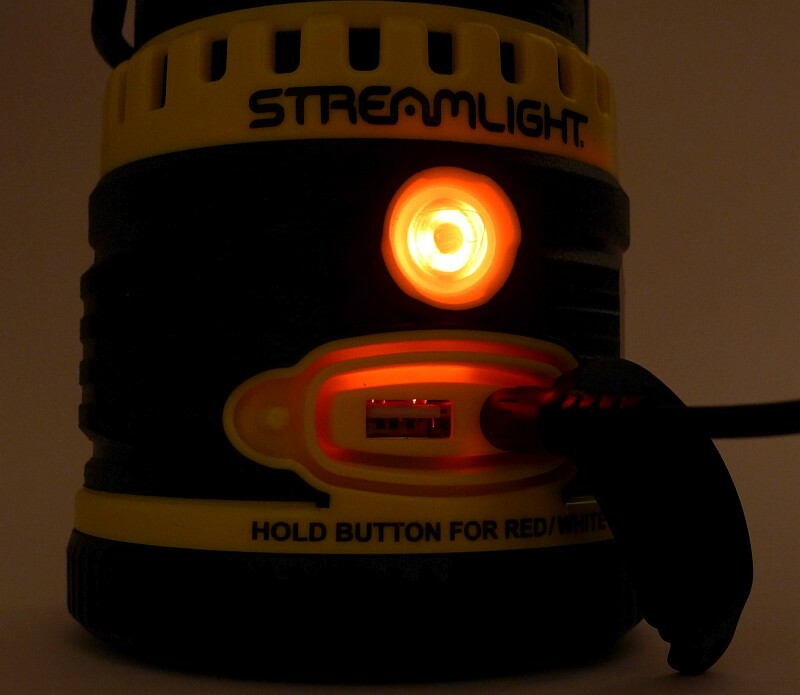 In its first incarnation, the Siege lantern was a full size D-cell powered light, shortly followed by the cute Siege AA (you guessed it, powered by AA-cells). 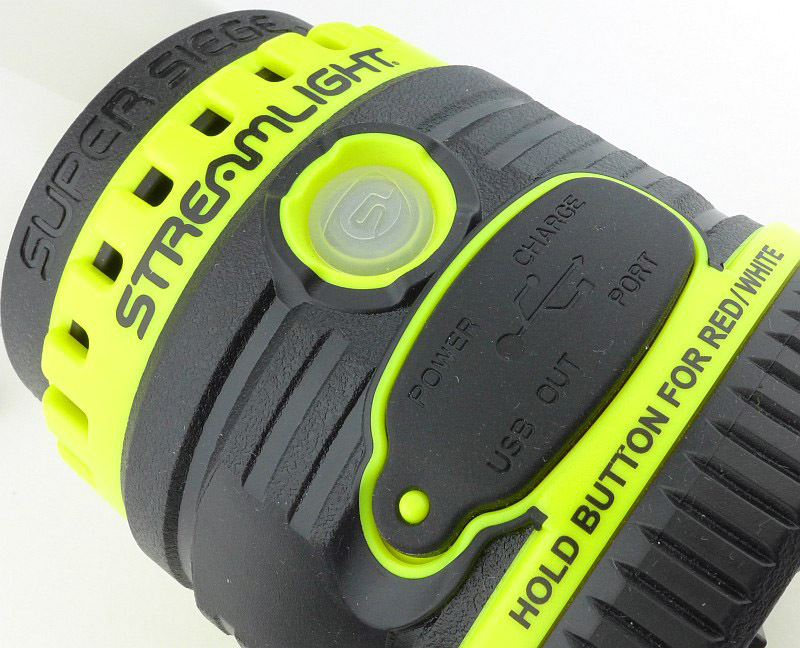 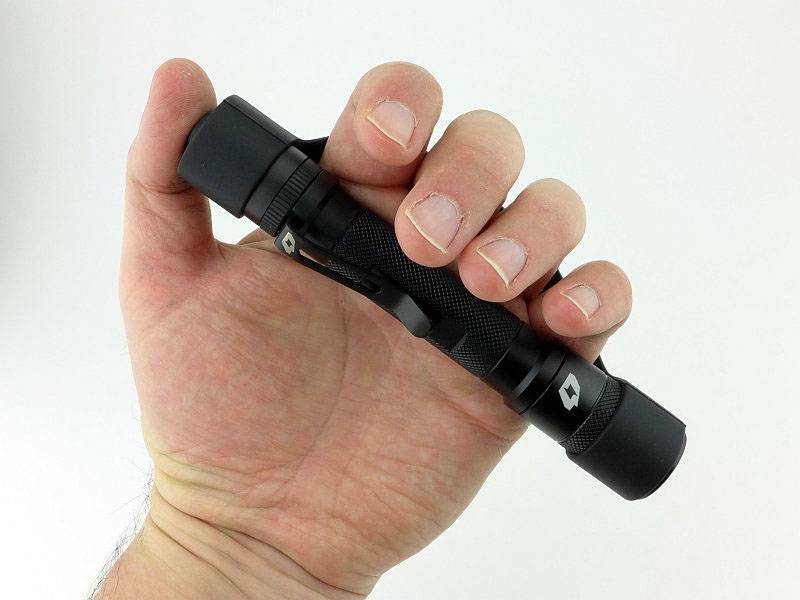 But not yet finished, Streamlight have taken the lantern to another level with the Super Siege, which now features a built-in rechargeable battery and USB power bank function, along with an essential glare-guard for task lighting – it certainly is the Super Siege. 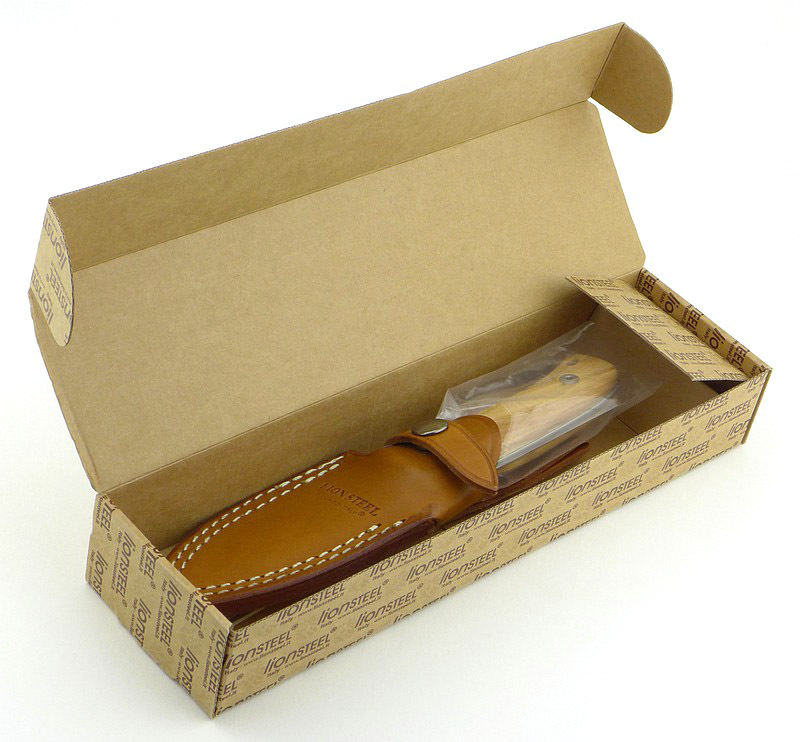 Aimed at attracting people in a retail store, the box is a semi-exposed ‘try-me’ type. 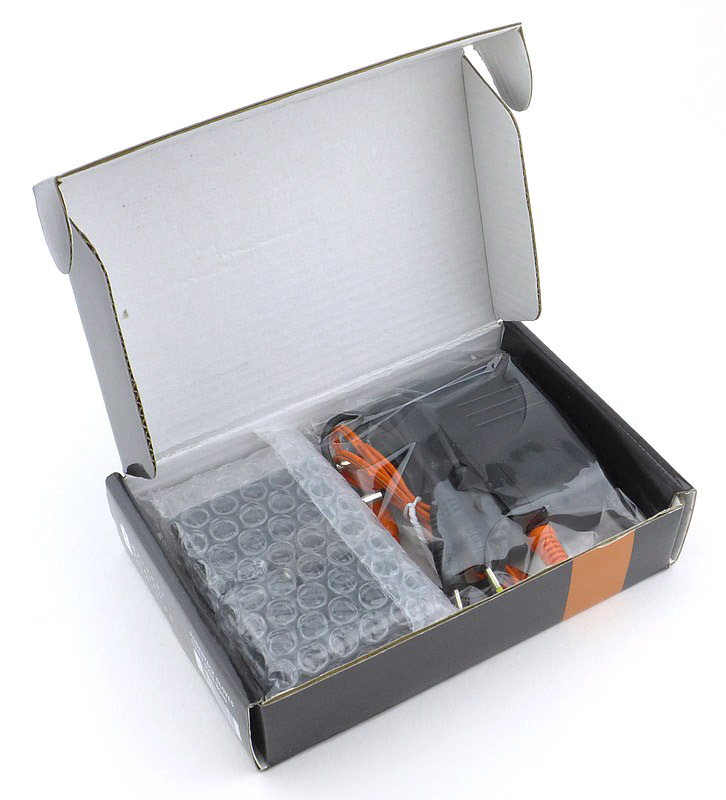 In the box we have the Super Siege, its glare guard, mains power adapter and a set of three plugs for it (US, UK and European), plus the instructions. 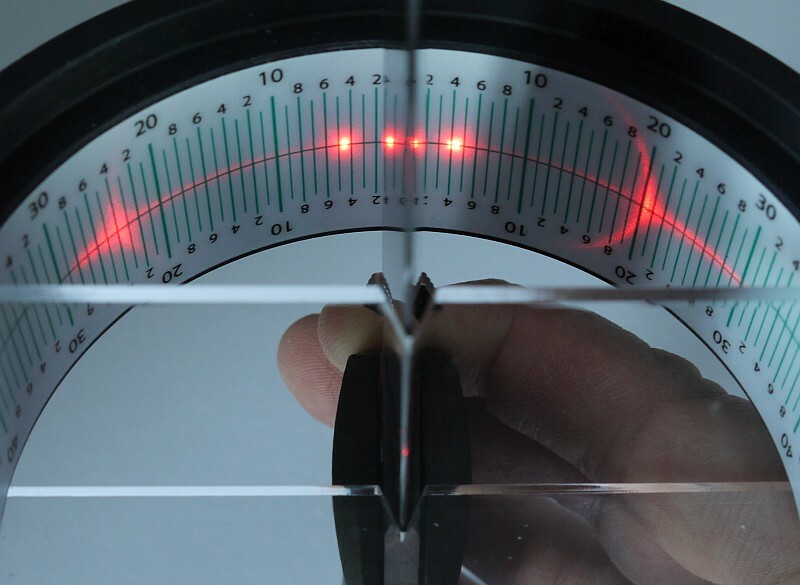 On the glare guard it tells you to give the Super Siege a full charge to disable the ‘try-me’ mode. 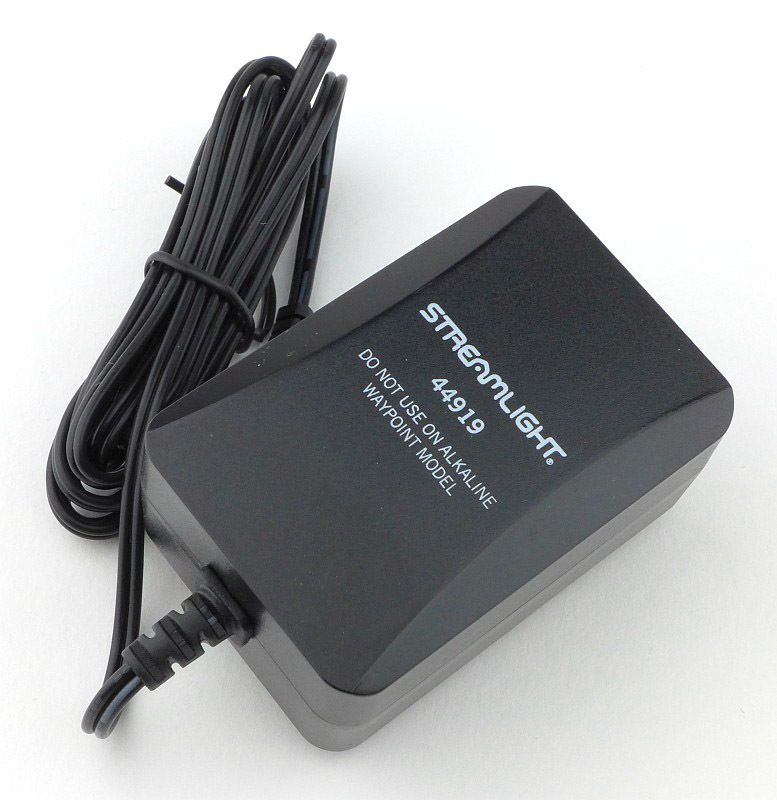 A Streamlight mains power adapter, which presumably also works with other rechargeable models as it tells you not to use it with the Alkaline Waypoint. 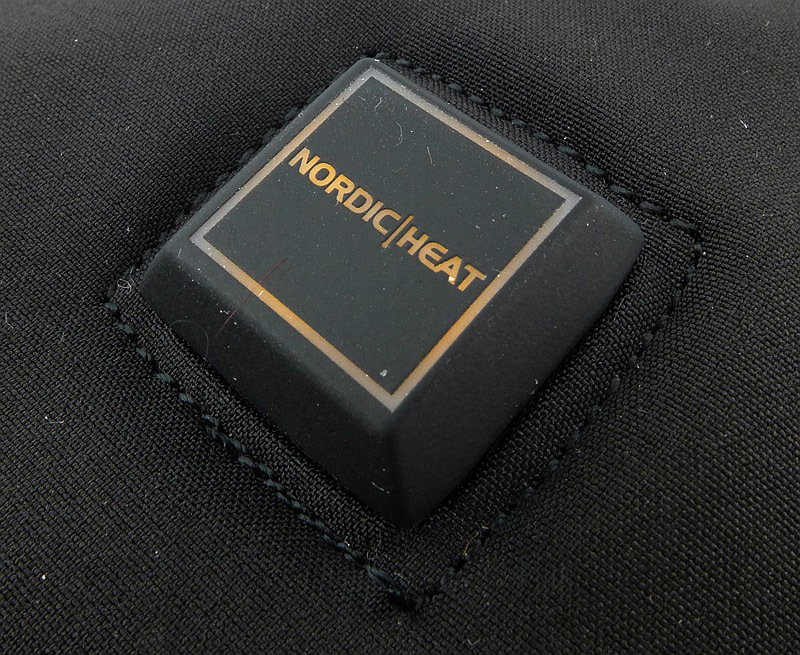 I need the UK plug, so here it is. 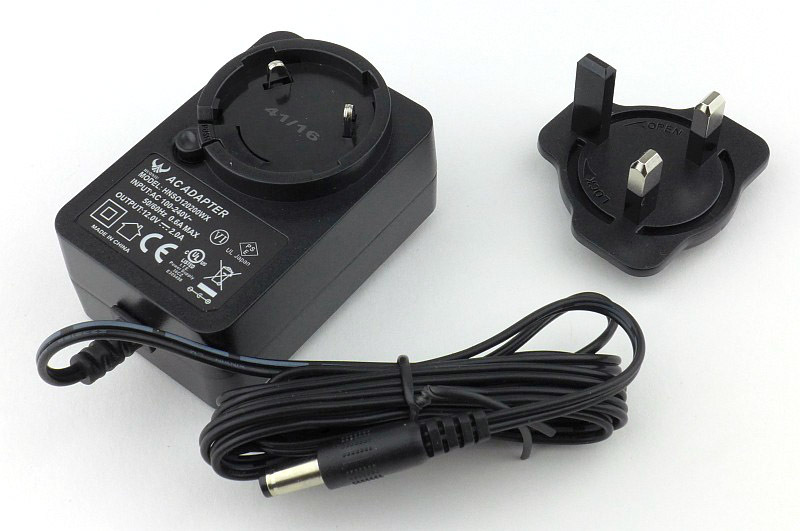 The mains adapter itself has a set of two contacts and a rotary connector for the plug. 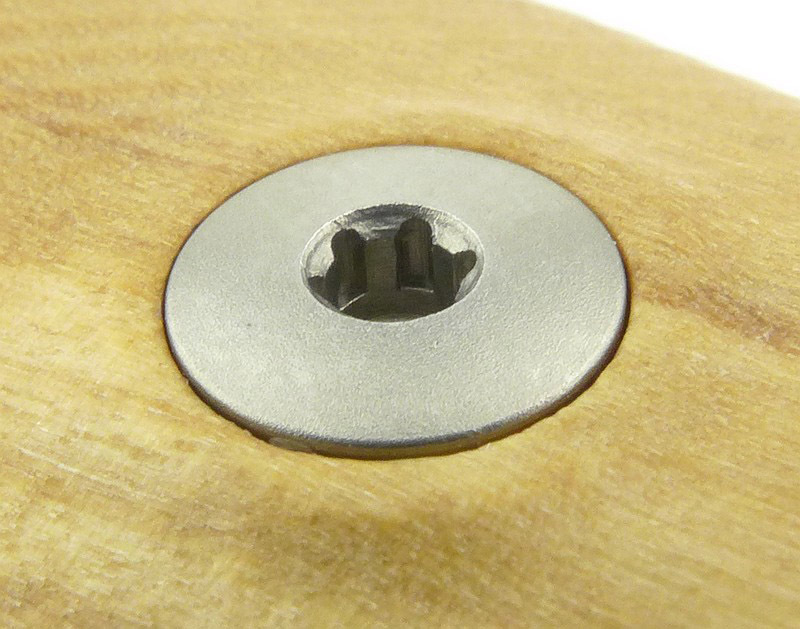 There is a release lever to allow you to easily swap over the plug type as and when needed. 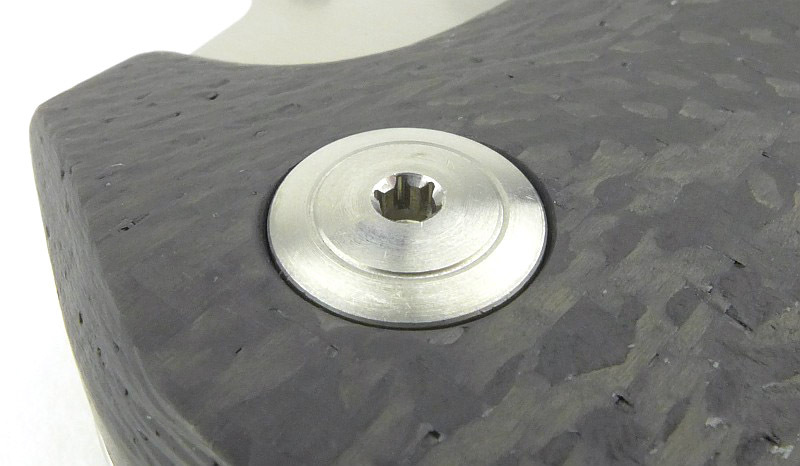 Ready to go with the plug fitted. 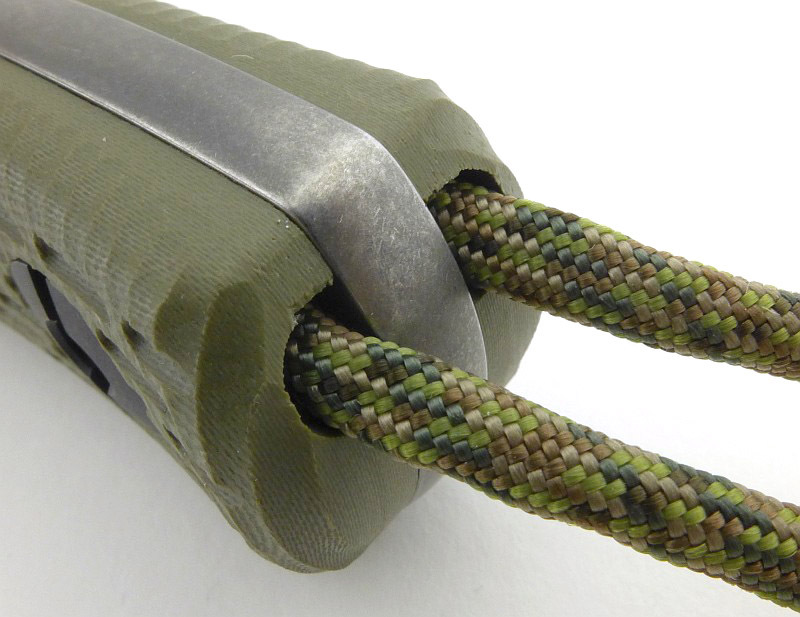 Wrapped round the Super Siege is a large carry handle and hook that lifts up. 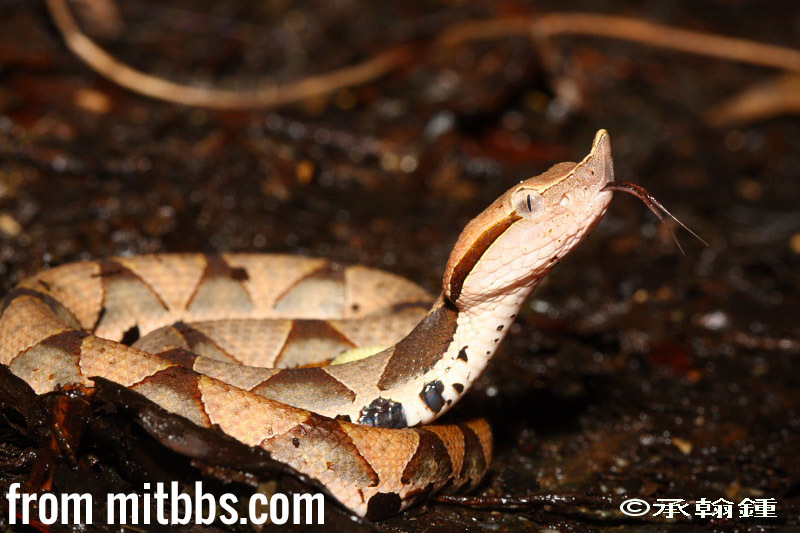 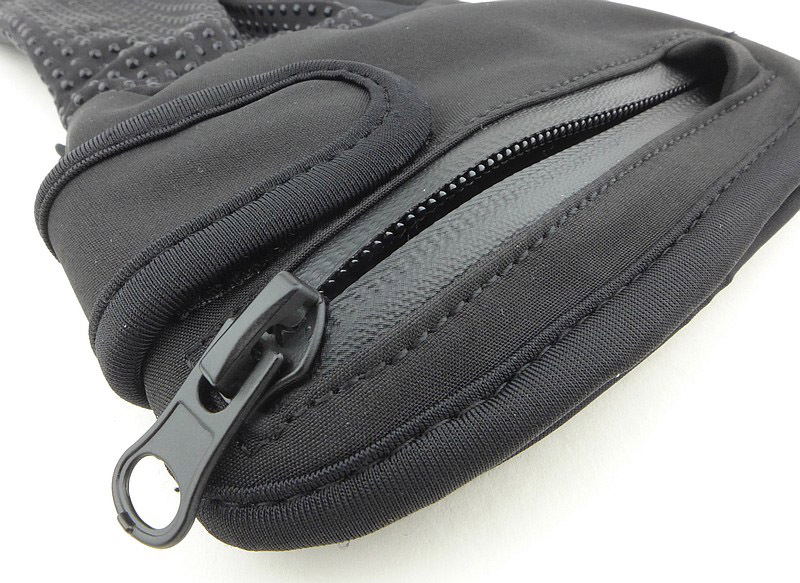 There is also a much smaller hanging clip incorporated into the top. 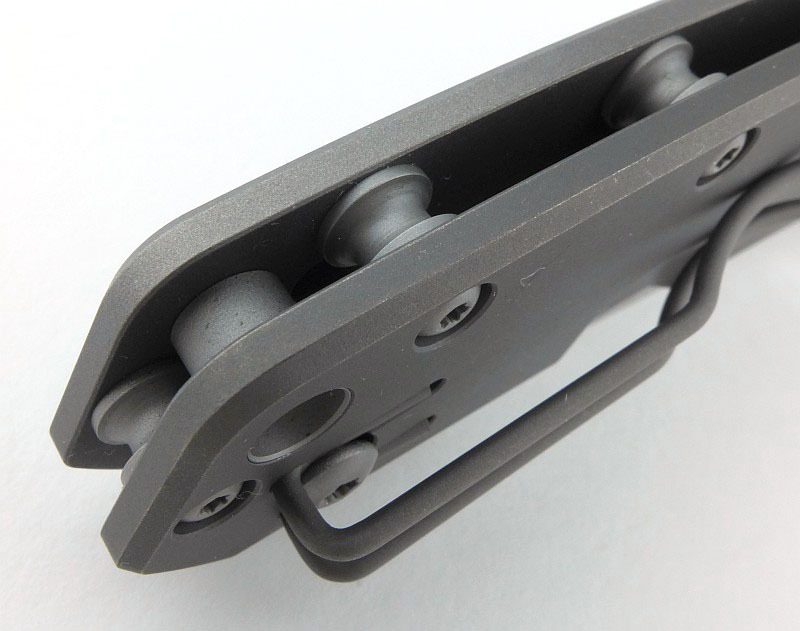 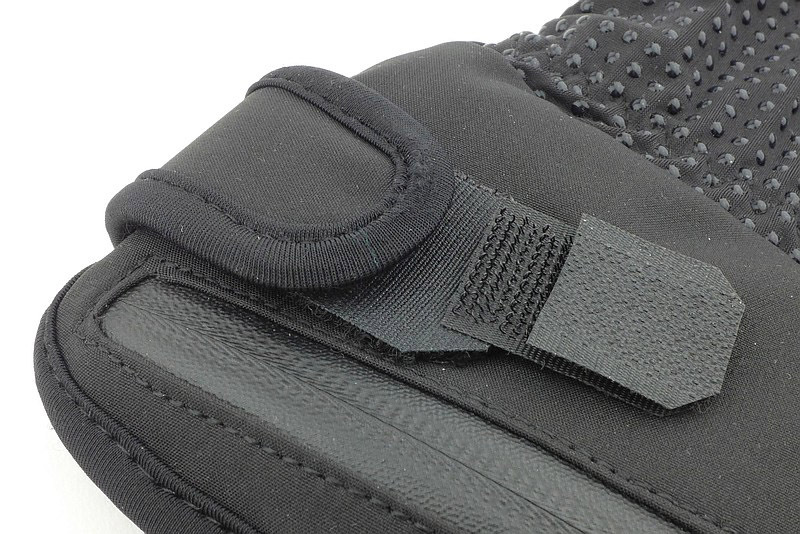 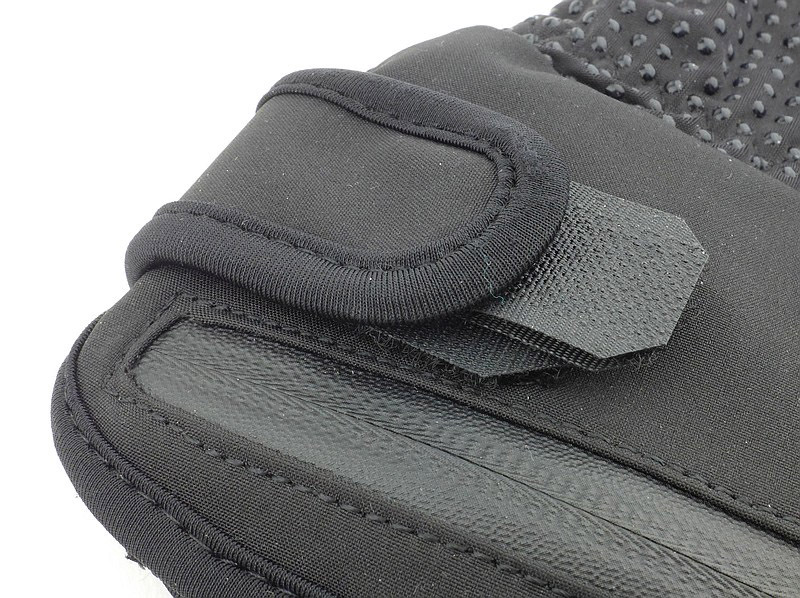 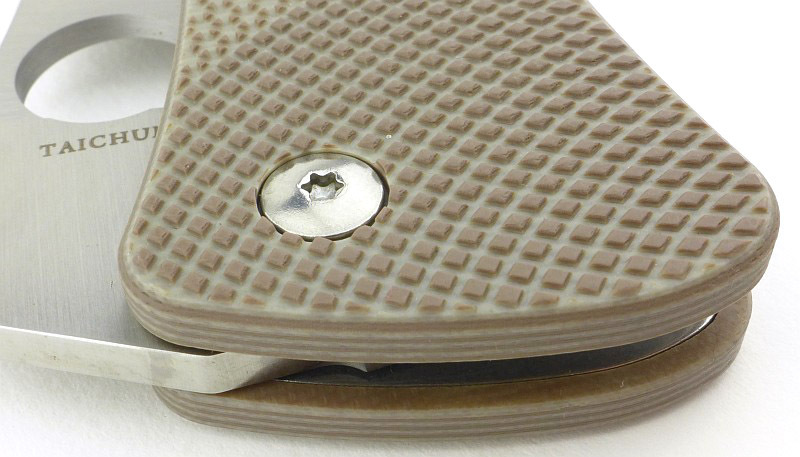 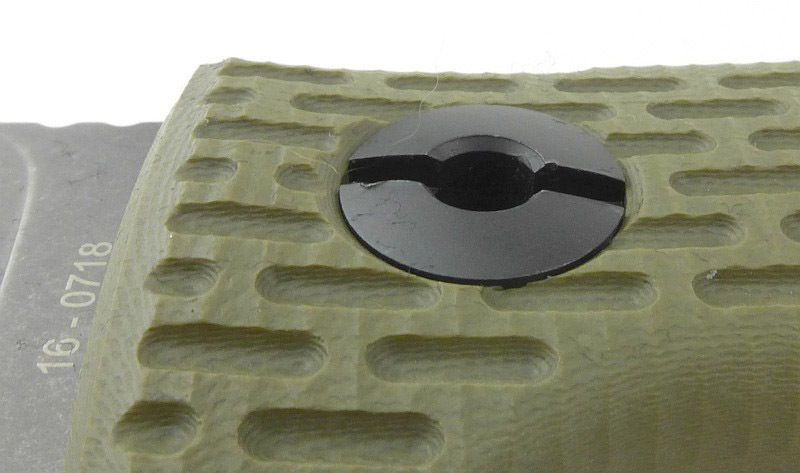 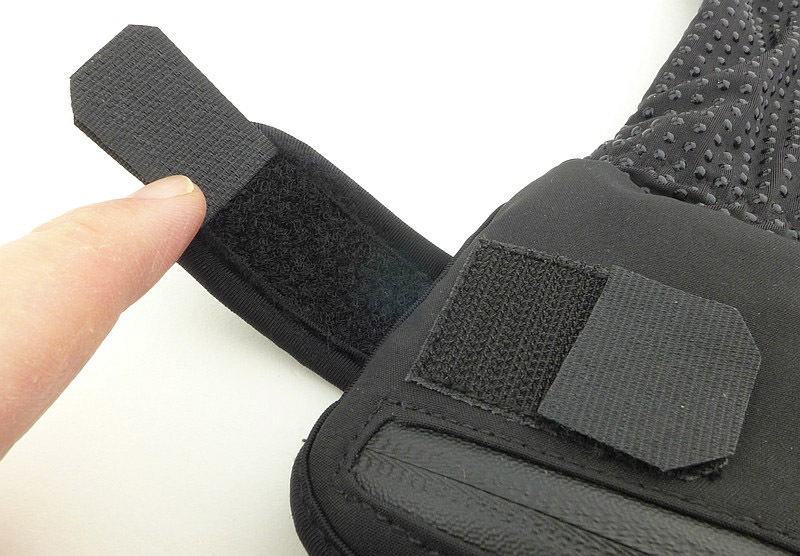 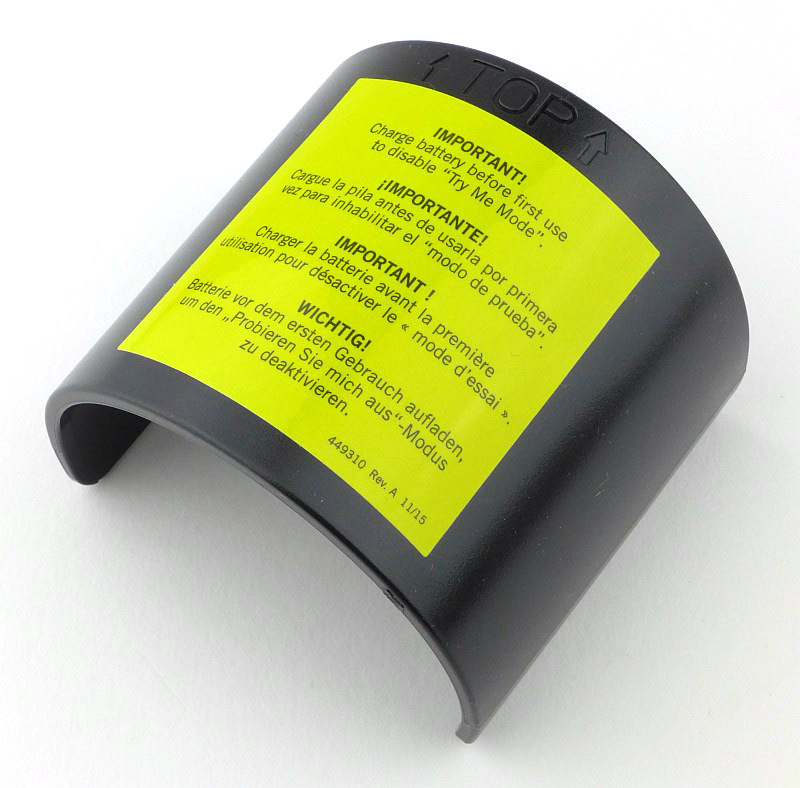 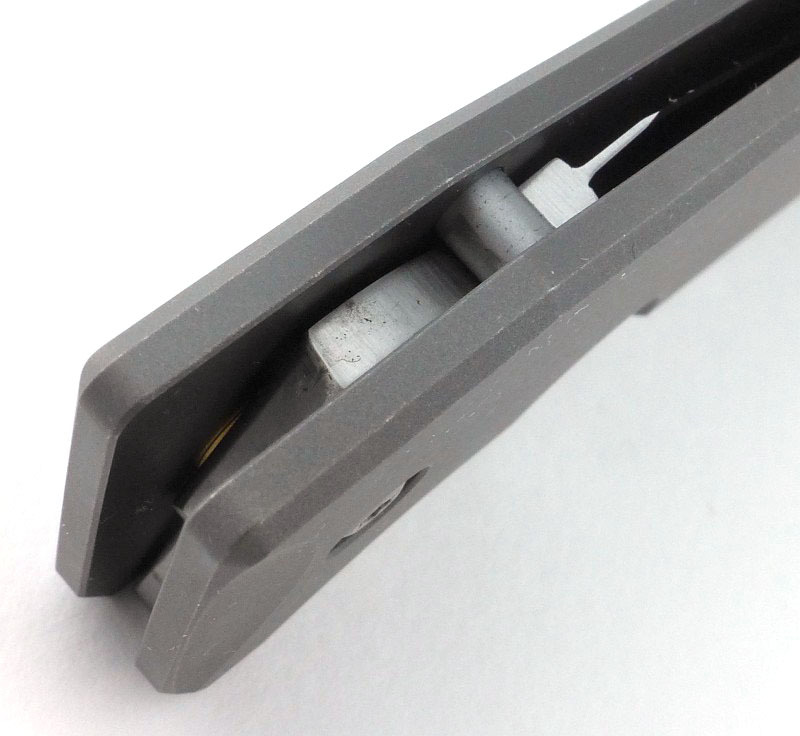 This clip allows for a more secure attachment and keeps the light as high as possible. 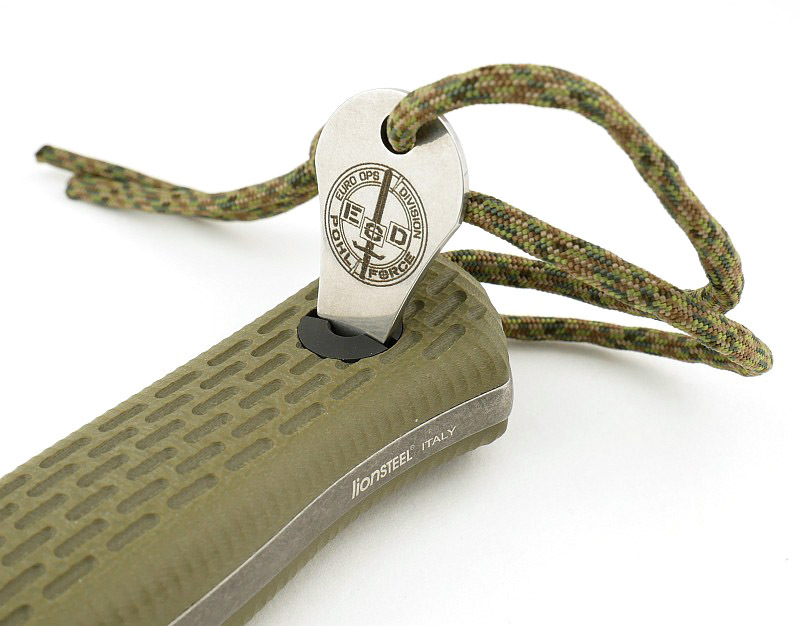 Flipping the lantern over, and there is an identical hanging clip in the bottom. 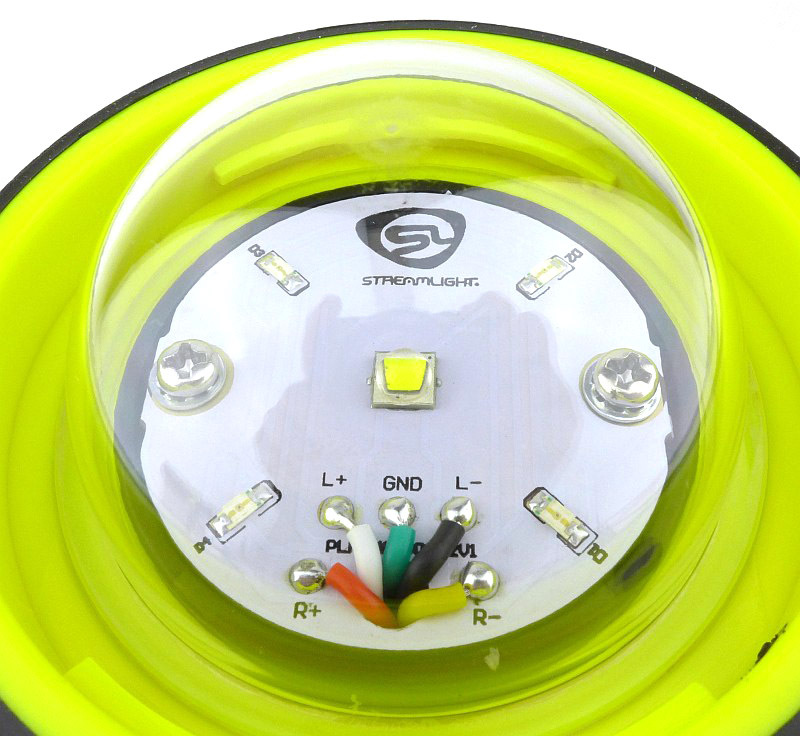 The hanging clip in the bottom makes more sense when you see that the diffuser for the main light can be removed exposing the protective dome over the Super Siege’s LEDs. 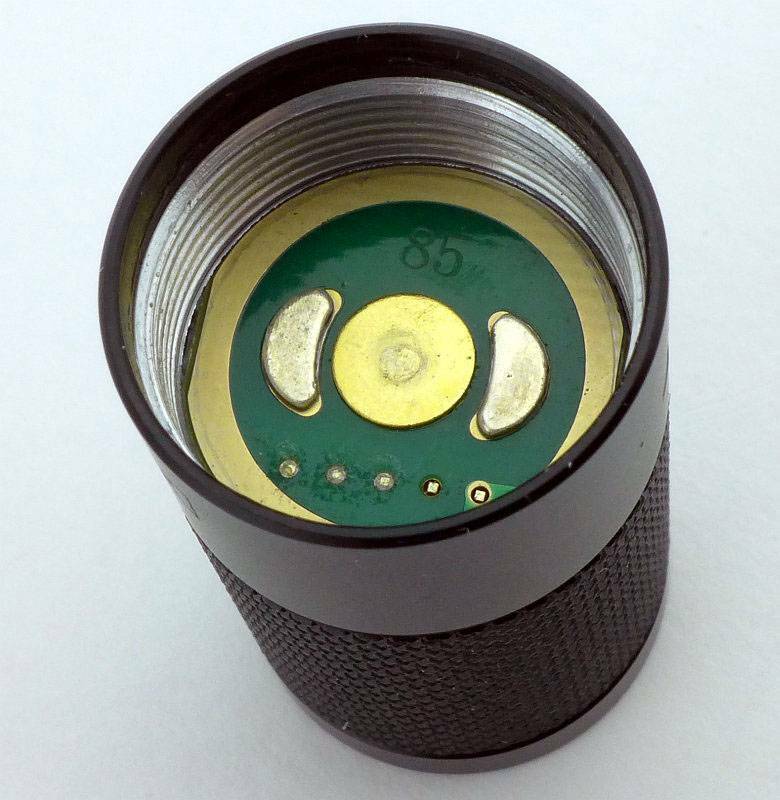 In the middle of the LED board is a white XM-L2 LED and round this are four red LEDs. 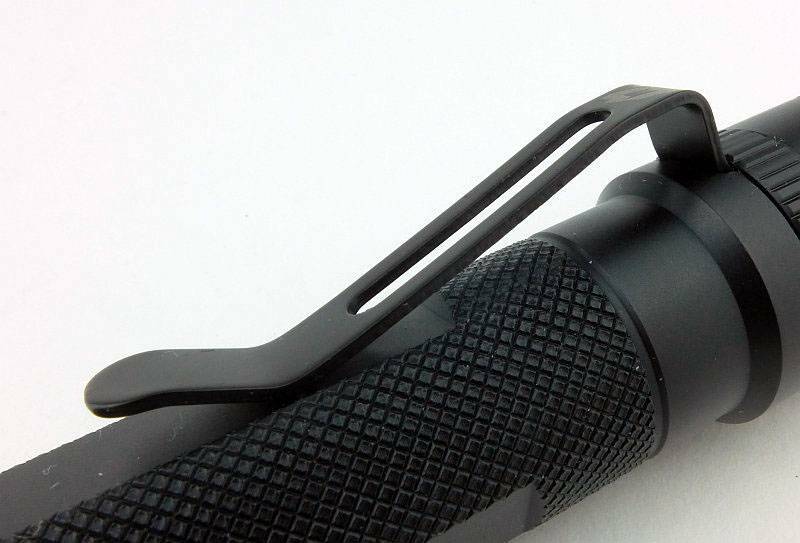 There is a single power switch on the Super Siege which also acts as an indicator light for both charging and using the light. 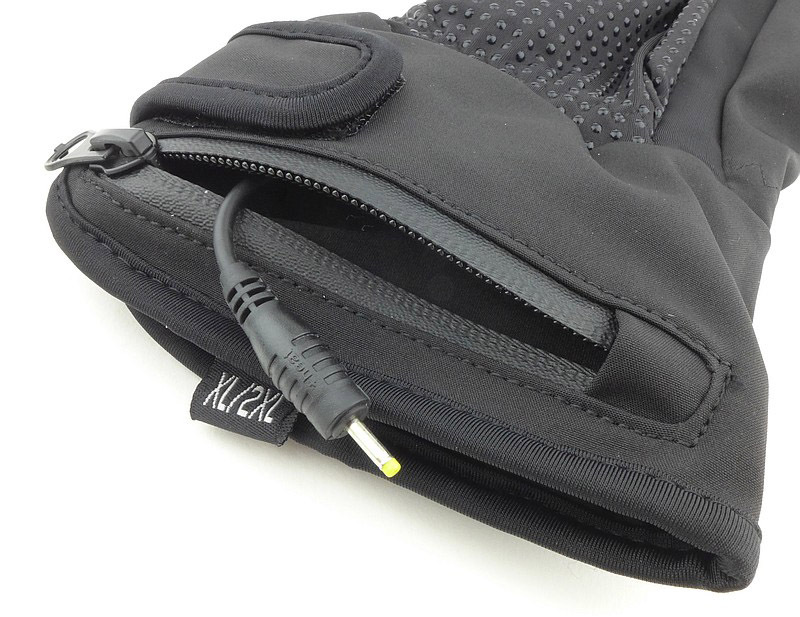 Underneath that switch is a rubber protective cover hiding the charging port and USB power output. 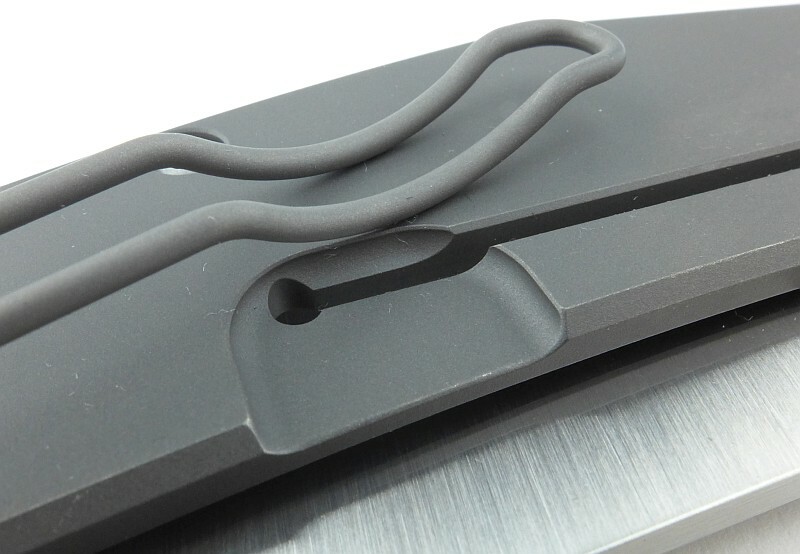 Lifting aside the port cover to show the charging port and USB power output. 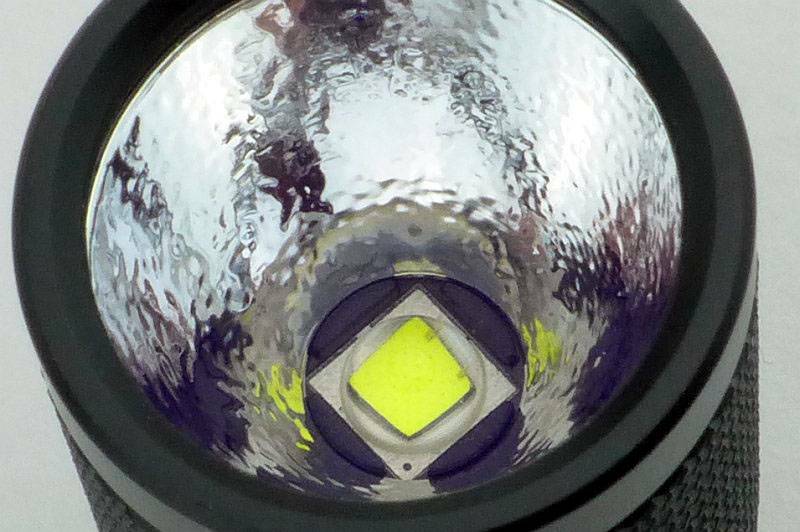 Fitting the glare guard to the lantern’s diffuser makes the light output directional, and it covers just over half the diffuser. 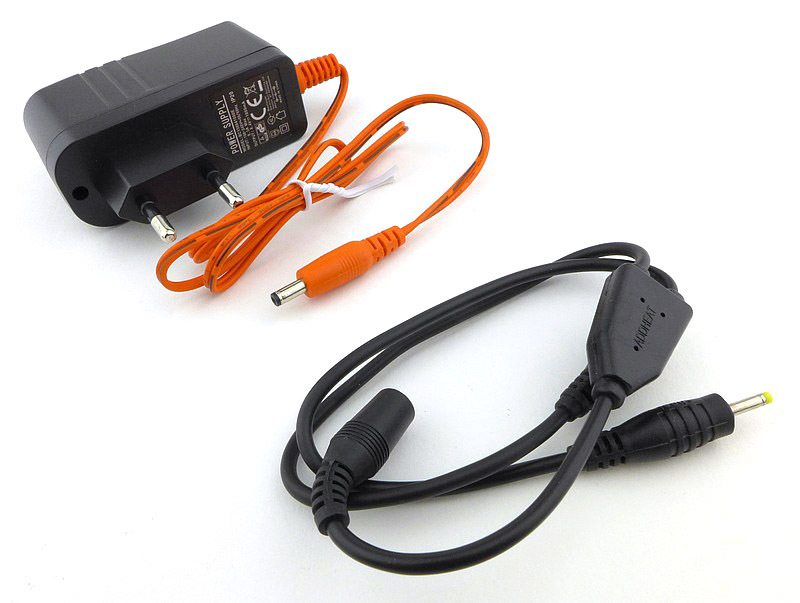 To charge the Super Siege, plug in the mains adapter and fit the round DC plug into the socket next to the USB port. 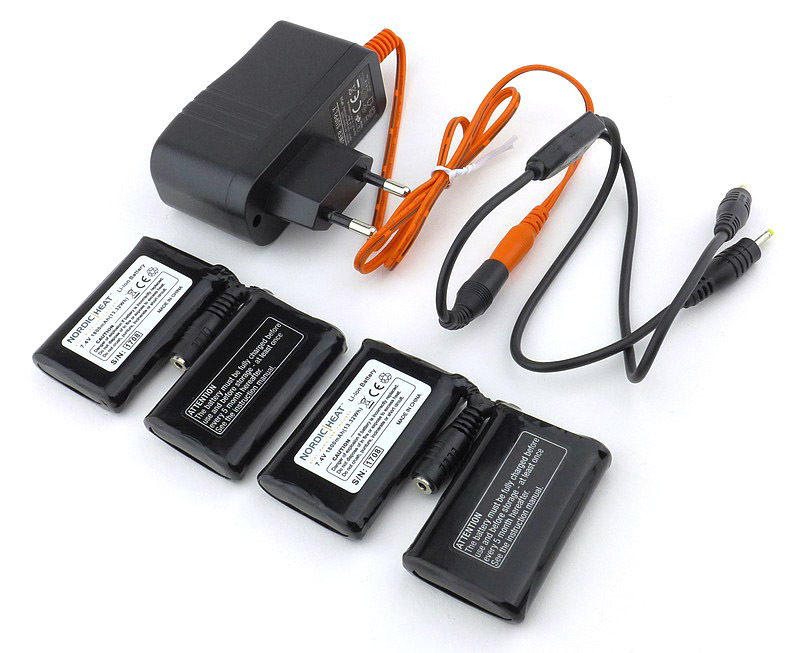 Unfortunately the Super Siege cannot be charged from USB power. 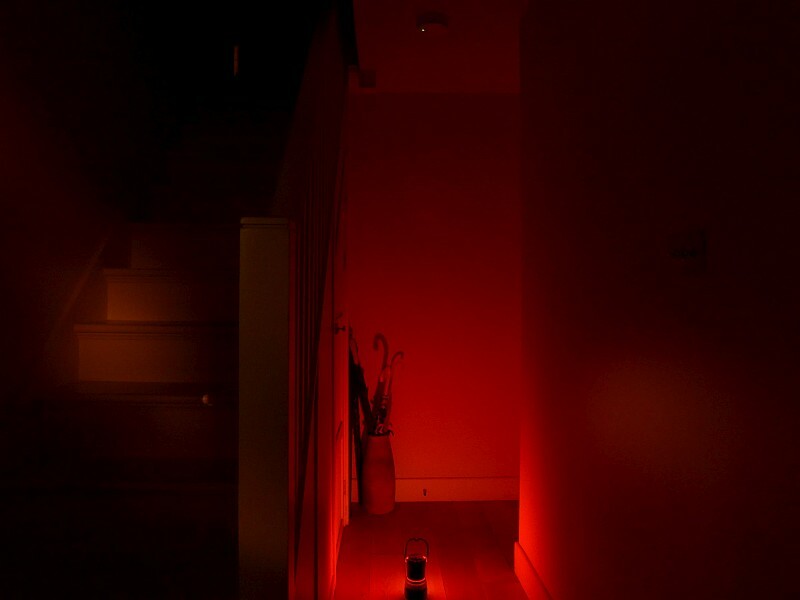 When charging the switch lights up red. 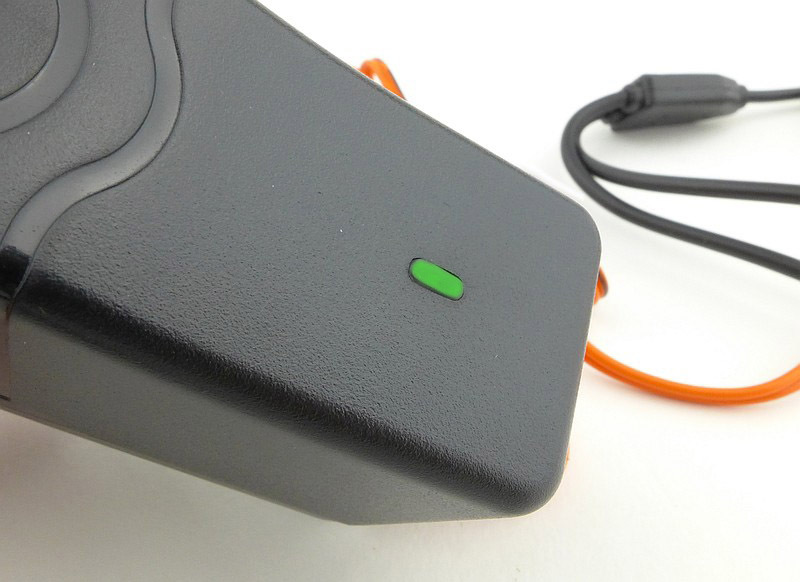 On reaching full charge the switch turns green. 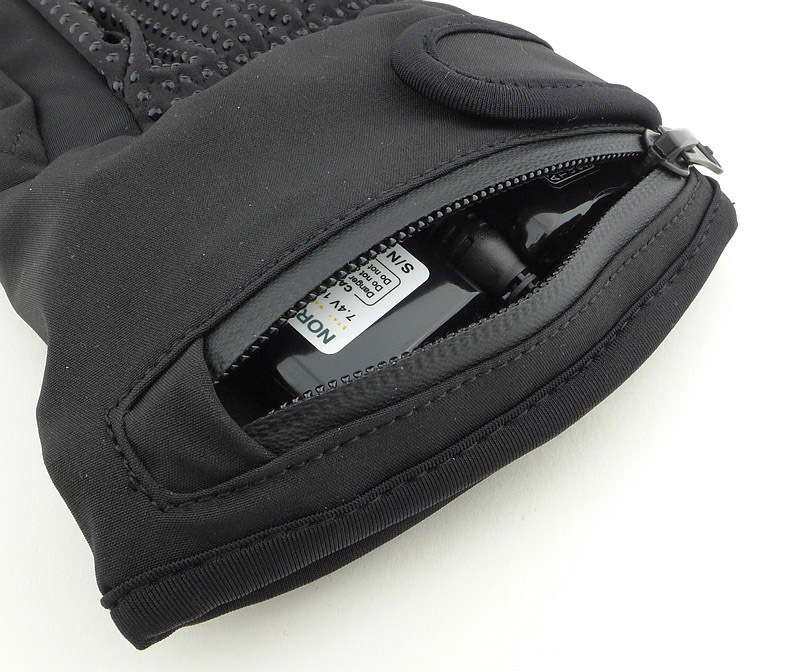 Not to be forgotten is that the base has a concealed storage compartment. 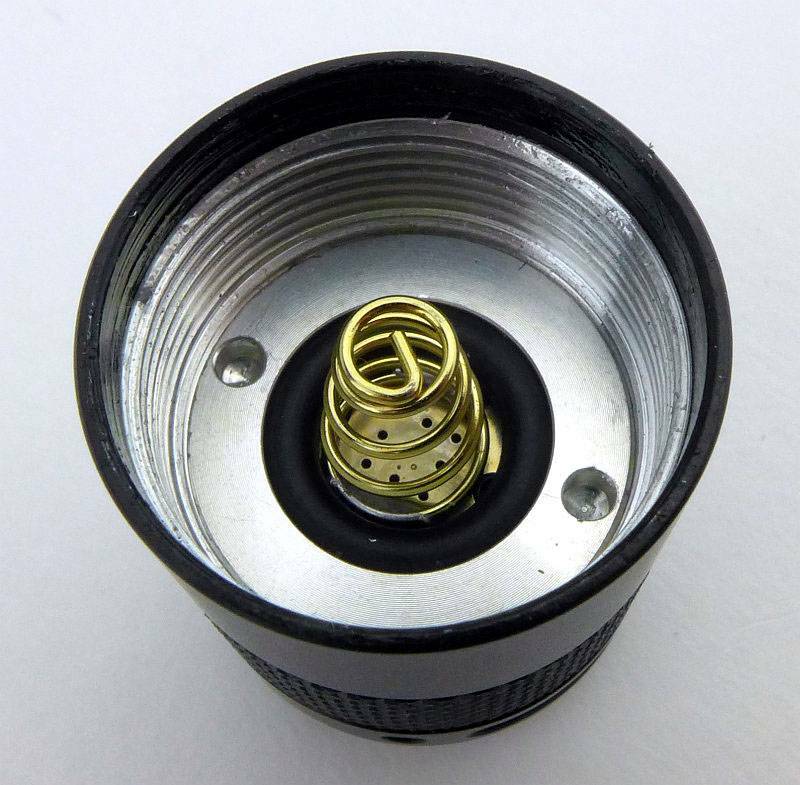 Twist off the bottom to access this. 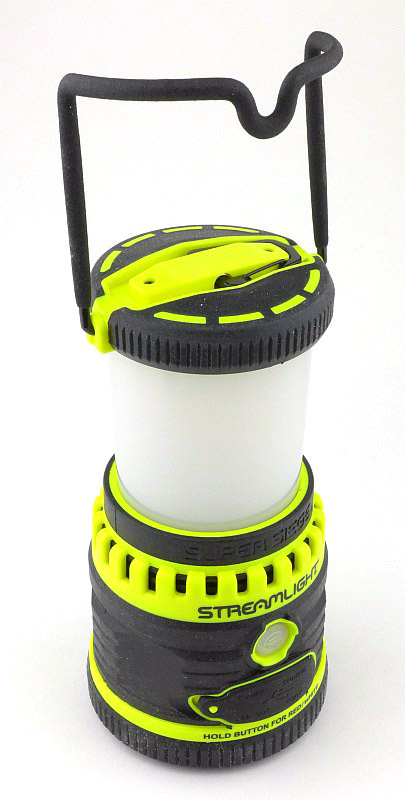 First up here is the White output with the standard 360 degree lantern beam. 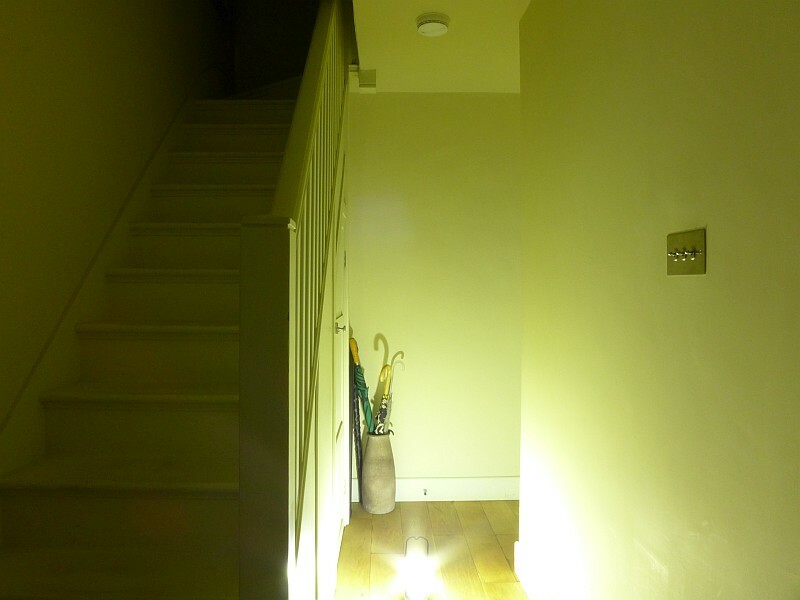 You can see the excellent wash of light, but also very clearly the thing I hate about lanterns, terrible glare. 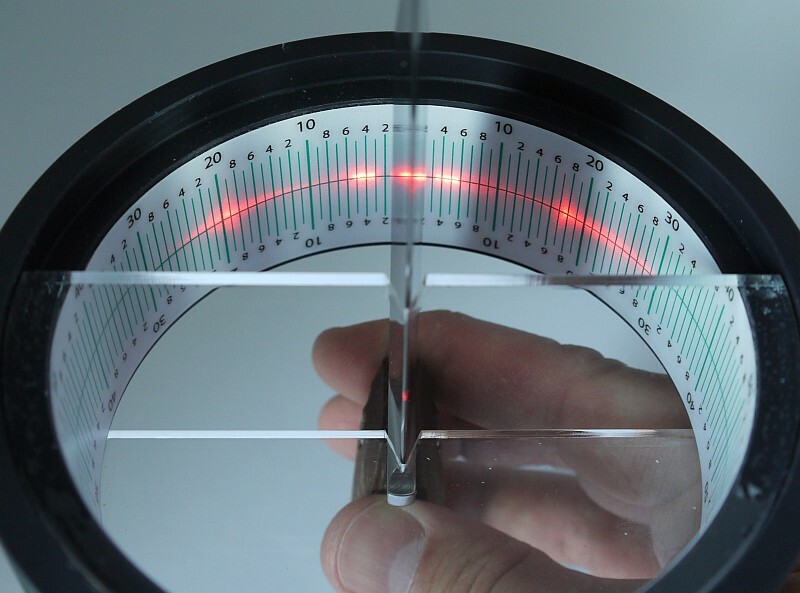 Fit the glare guard and now we are talking. 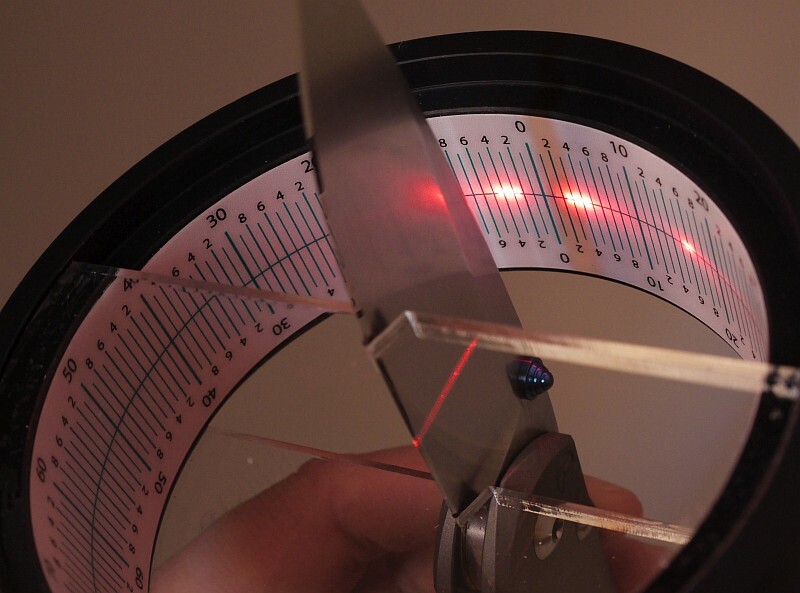 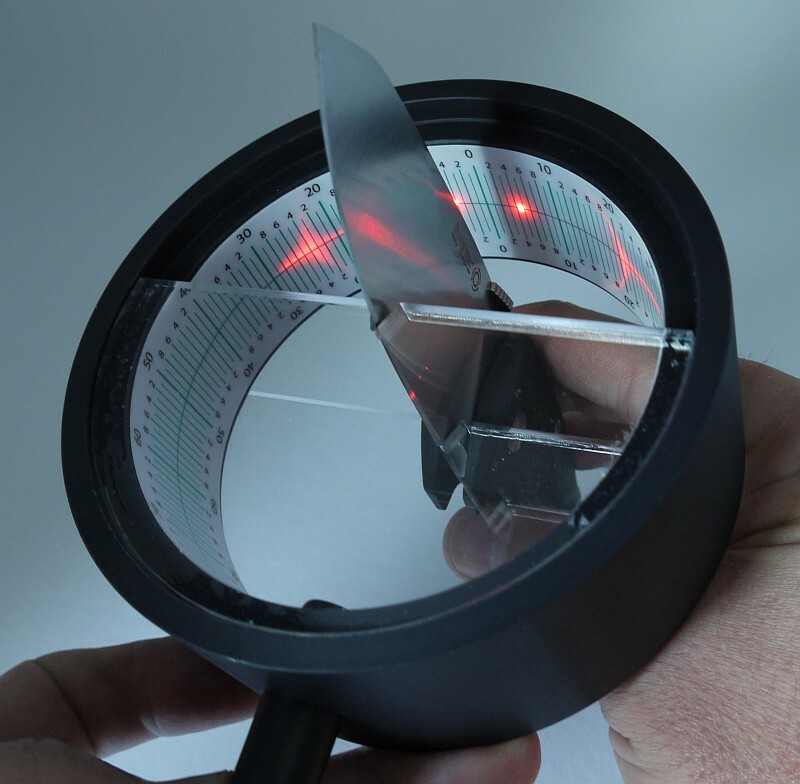 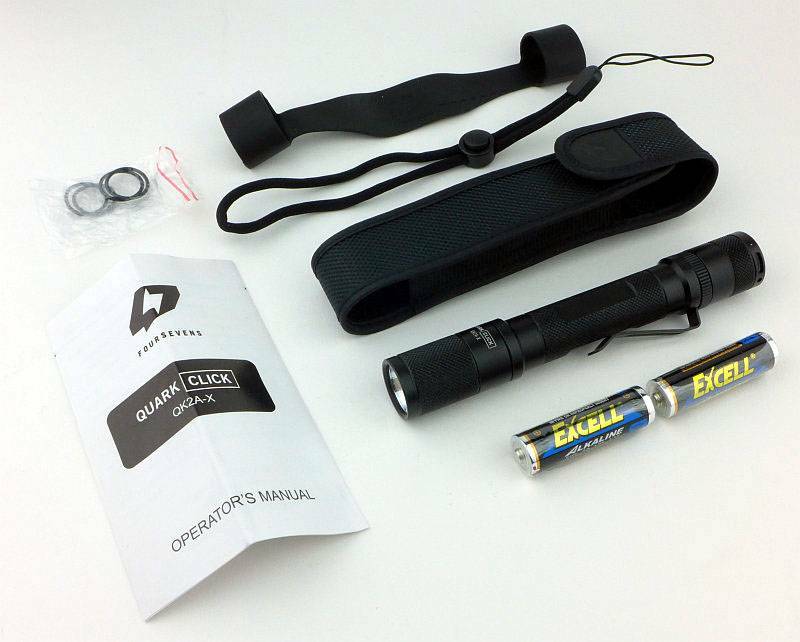 Obviously the total output is cut quite drastically, so it might be better in some cases to position something between you and the lantern, or hang it above your head, but if you are using it as a work light, this becomes ideal. 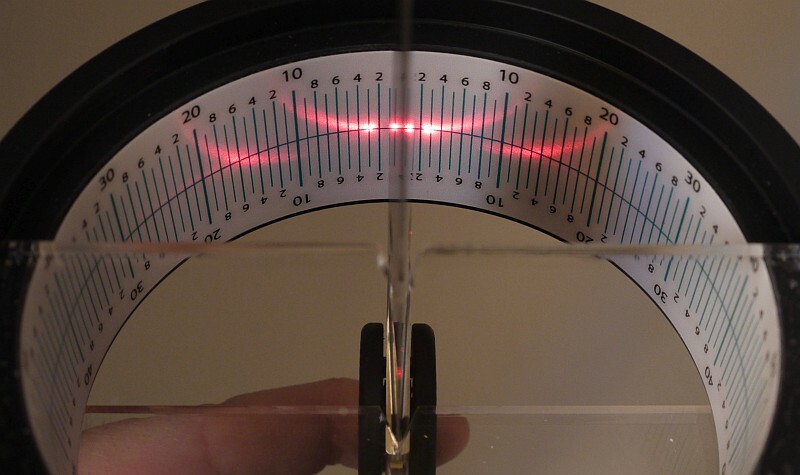 Red light is not as bad for glare, but mainly due to just being much dimmer. 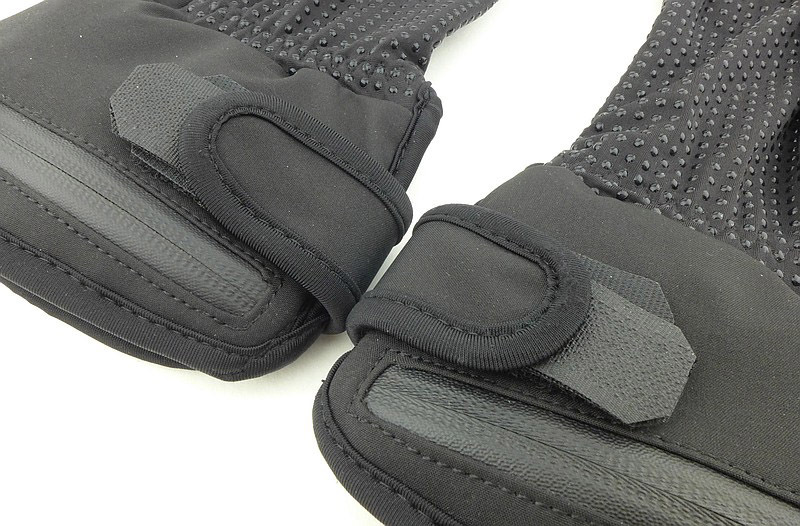 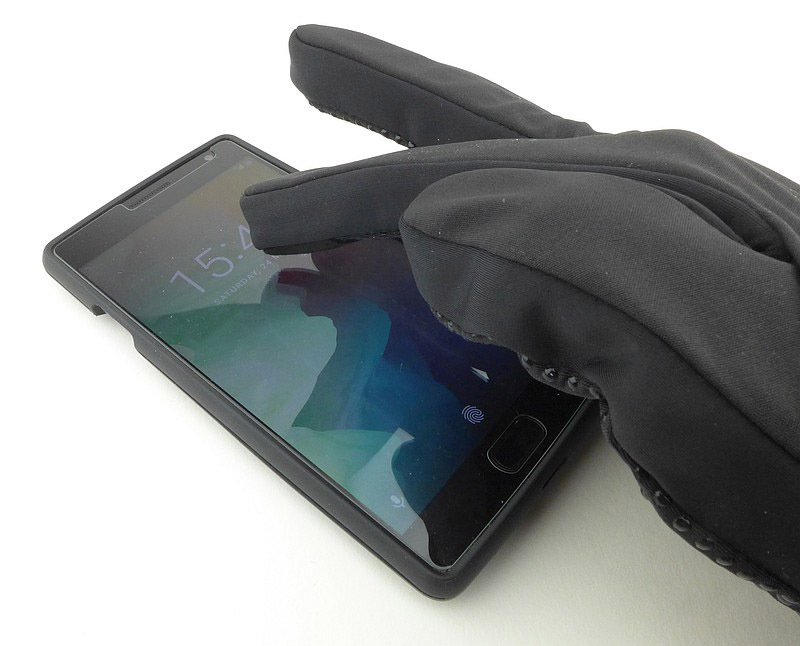 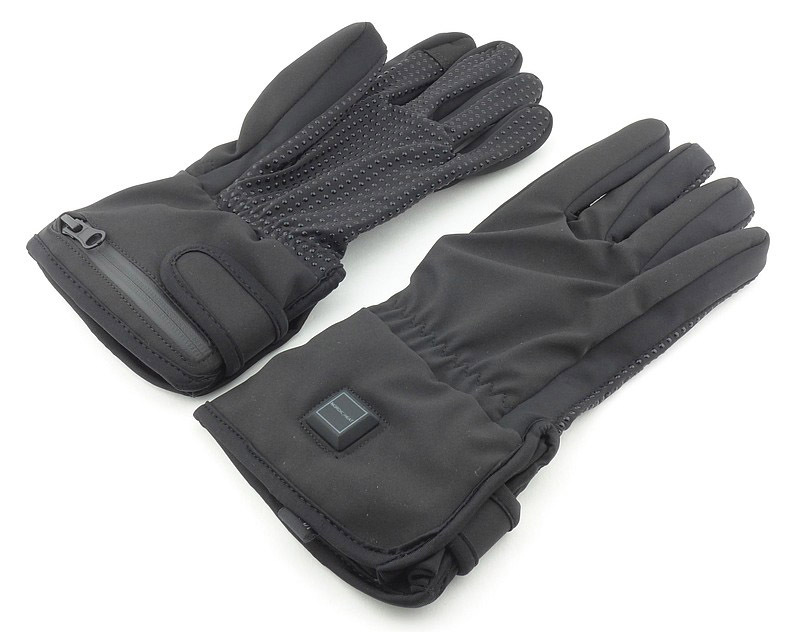 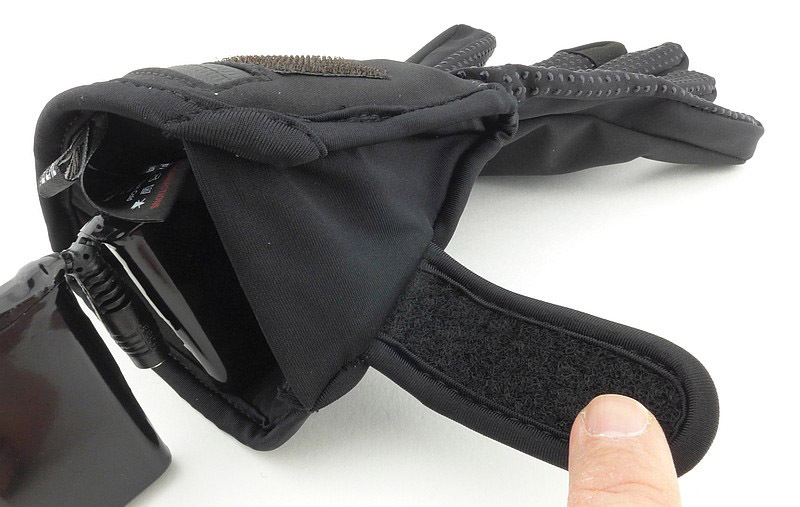 Again the glare guard makes the Super Siege comfortable to use for any task. 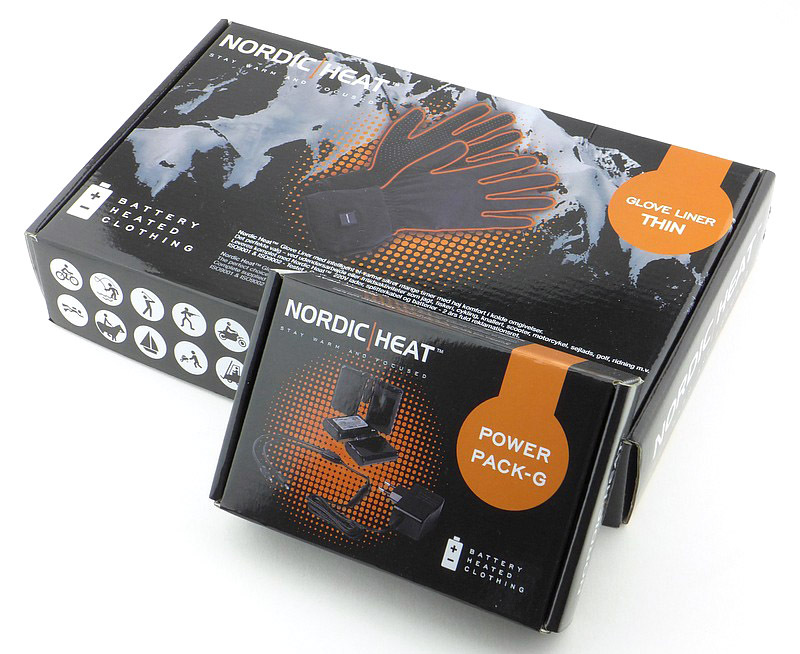 All controlled via the single power switch there are three White Output Modes, Low, Medium, High, and three Red Output Modes, Low, High and SOS. 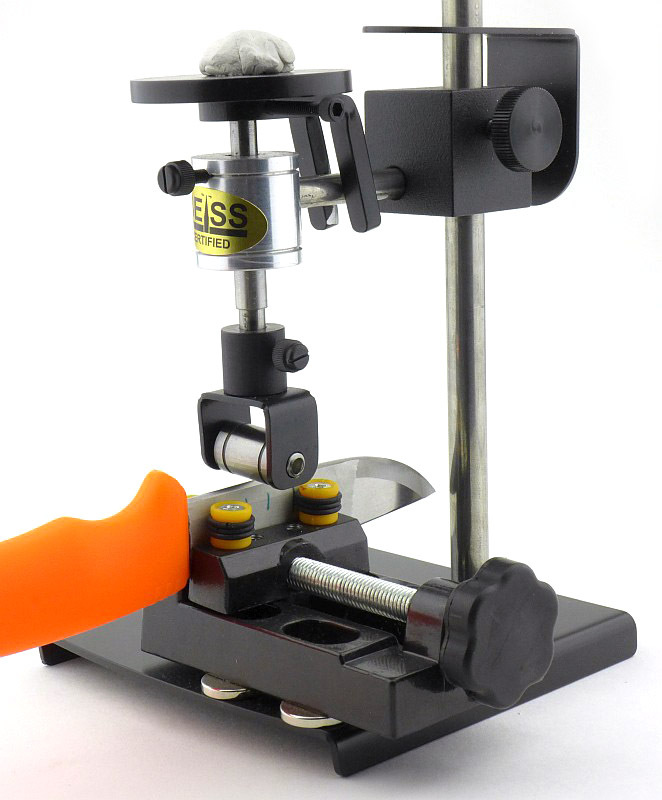 To turn the Super Siege ON briefly press the power switch. 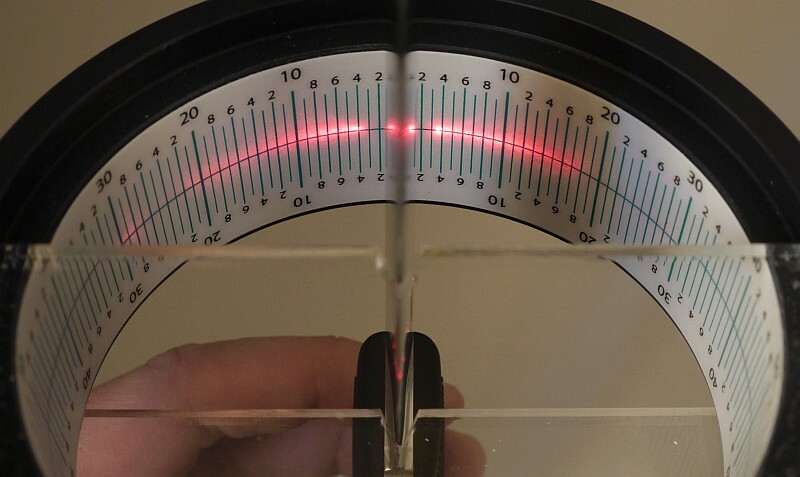 This will turn on to the last used constant output level (White or Red). 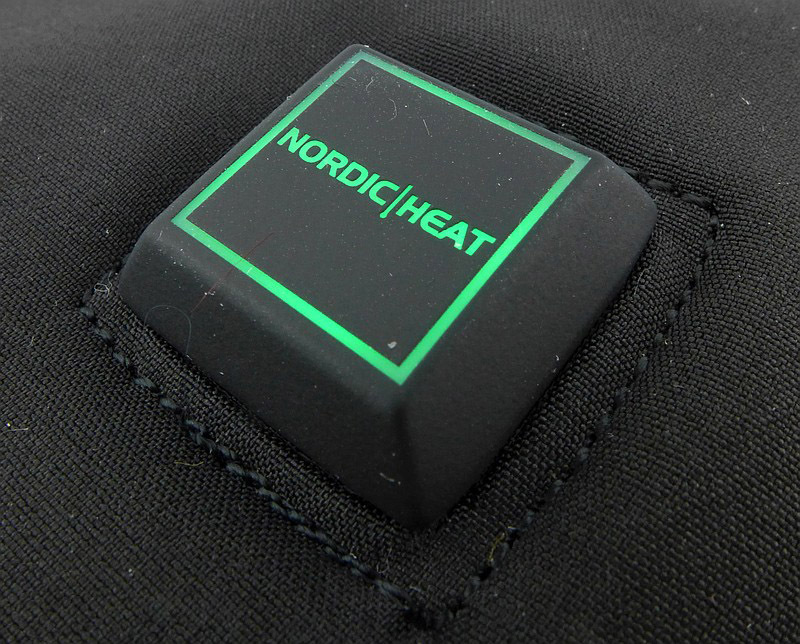 To change output level / mode, briefly press the switch again within 1.5 seconds of the last press. 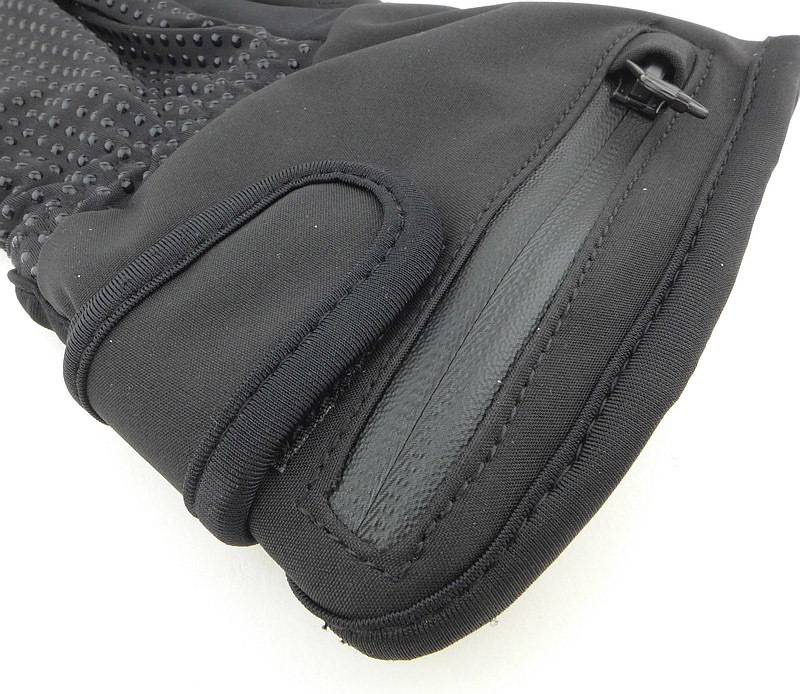 This will cycle through the available modes all the way to OFF. 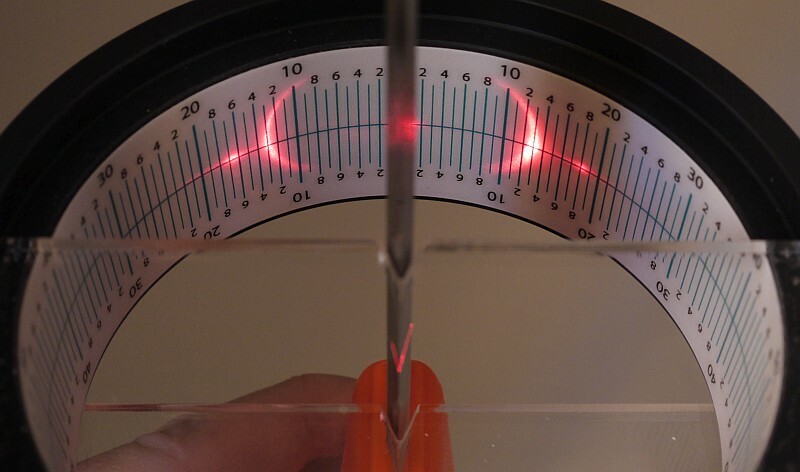 If the Super Siege has been ON a mode for more than two seconds, one brief press of the switch will turn the light OFF. 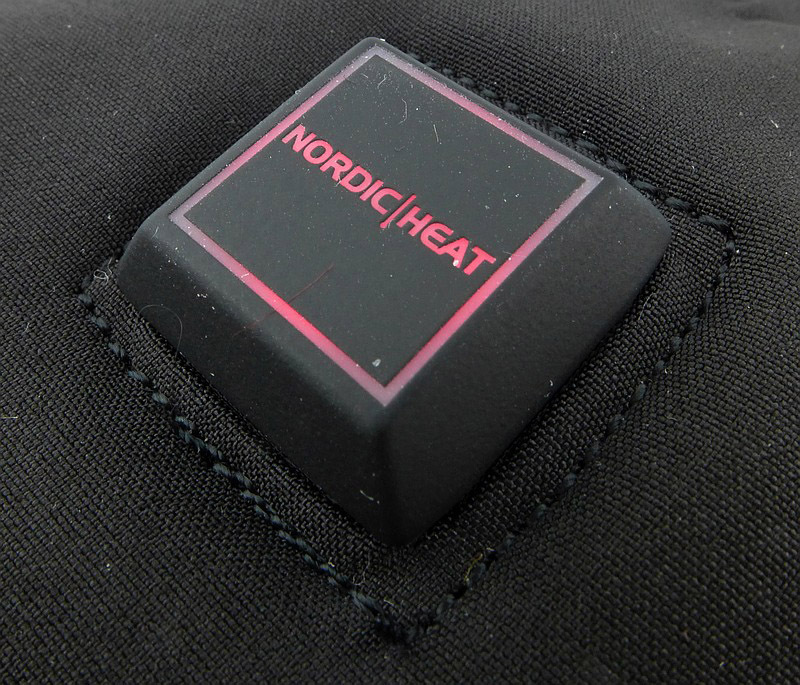 To change the colour from White to Red, or Red to White, press and hold the switch for two seconds. 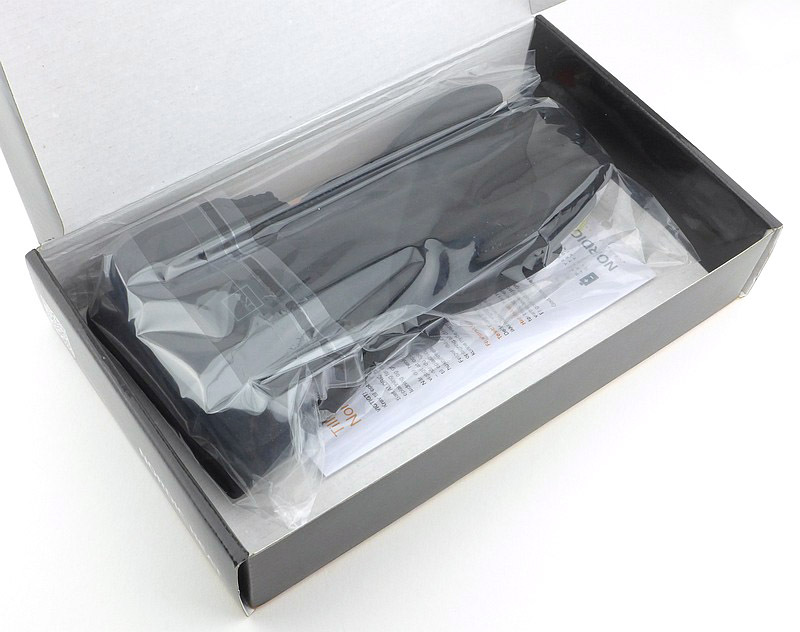 The USB Power Bank function will automatically start when a suitable device is connected. 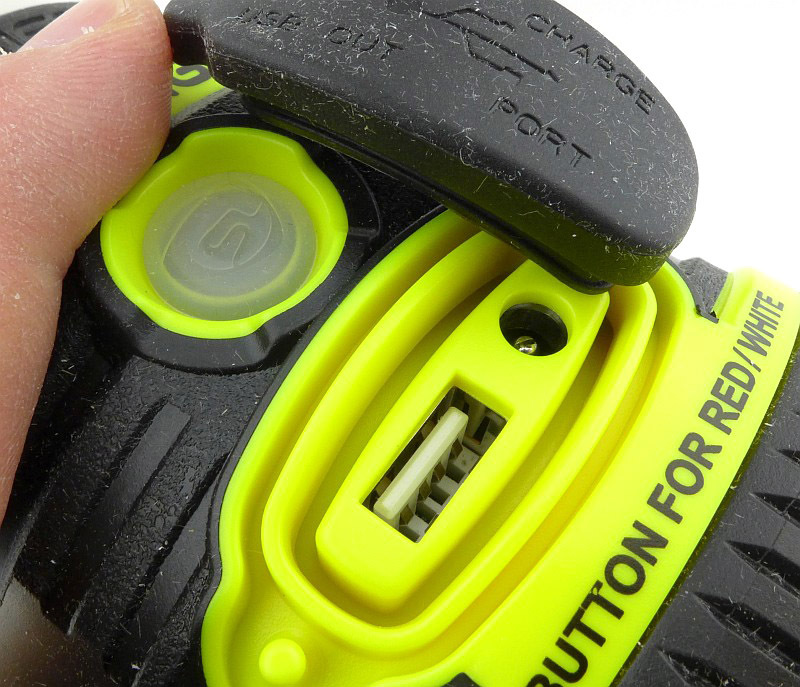 During charging the switch will light up to indicate the status of the battery. 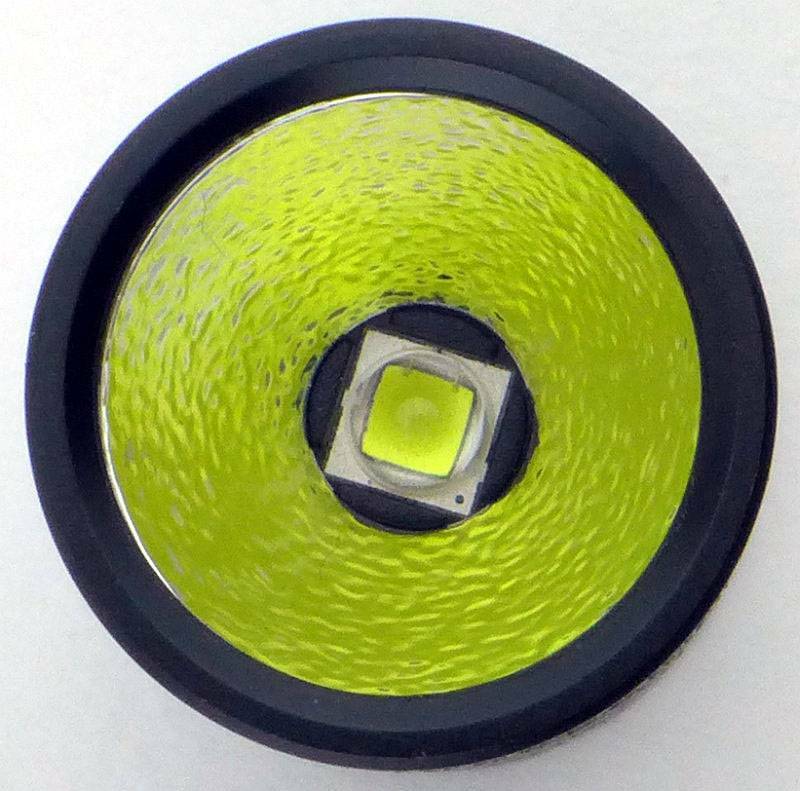 Green means full power, then the switch turns yellow, then red and finally flashing red when the battery is getting low. 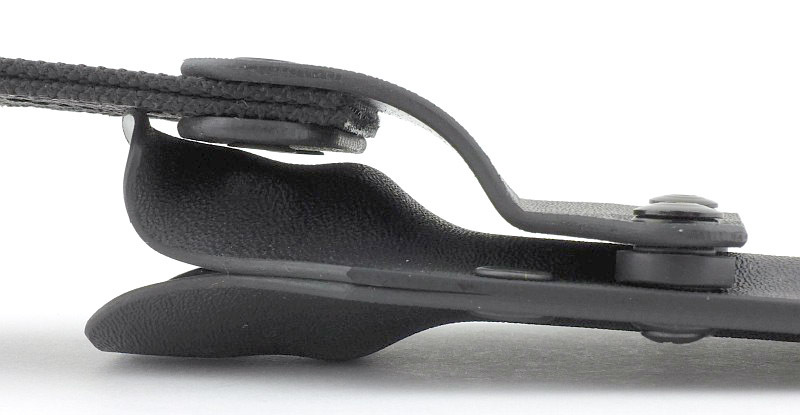 The Super Siege runs on its built-in battery. 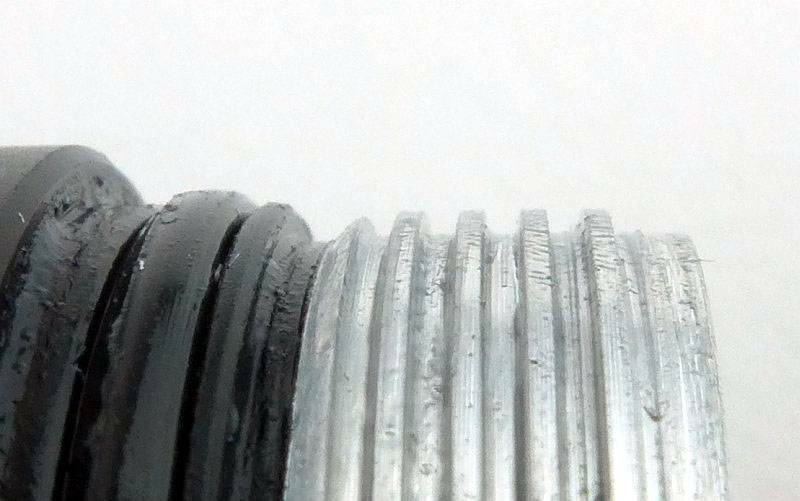 There is parasitic drain but it cannot be measured due to the construction of the light. 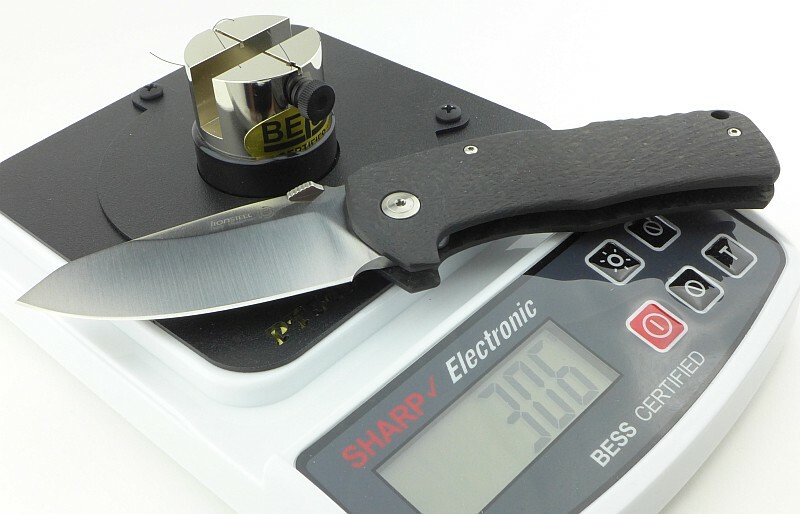 A very impressive performance on High for both the maximum output and the runtime. 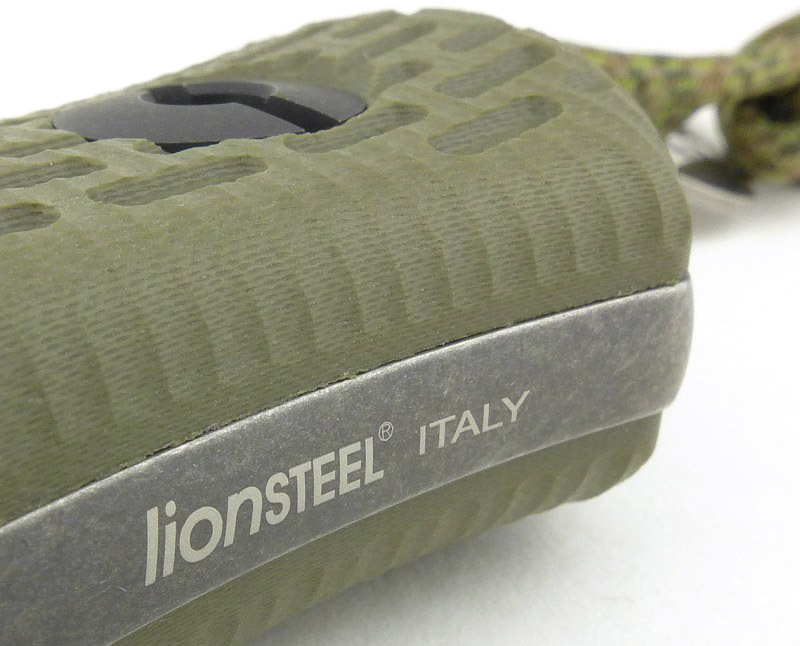 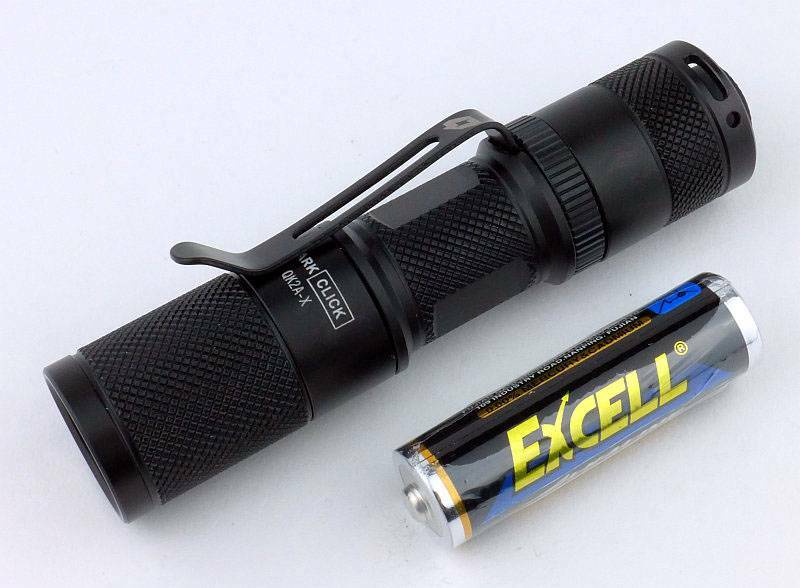 The specified ANSI output value is achieved, and the output does not drop below 600 lumens for over four hours. 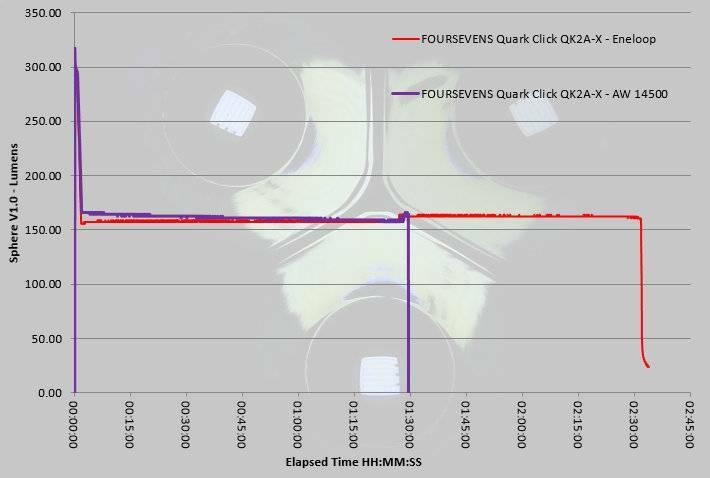 Finally, at not far off five hours, the Super Siege runs out and shuts off. 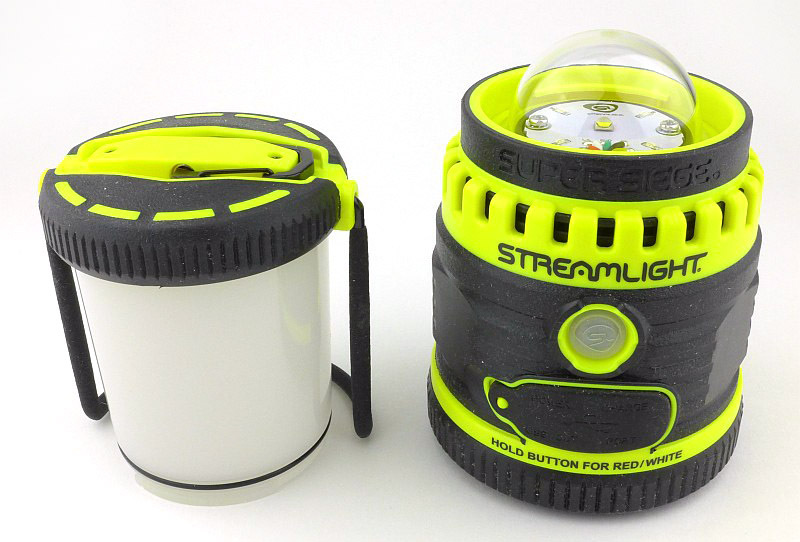 Lanterns were the first safe and convenient portable source of light. 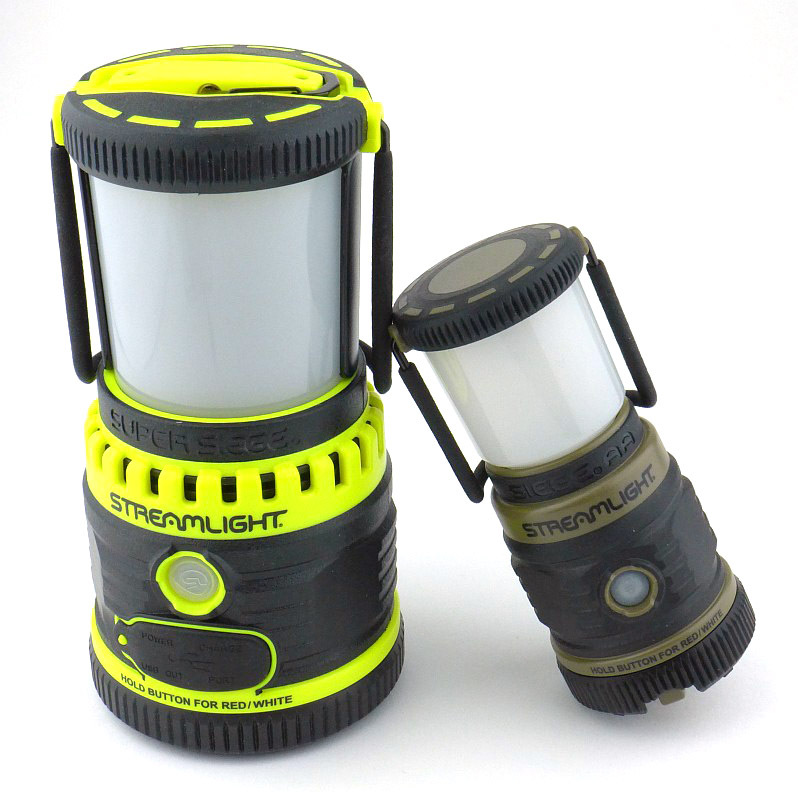 Although they have undergone many changes, the lantern has retained essentially the same appearance and function of area lighting. 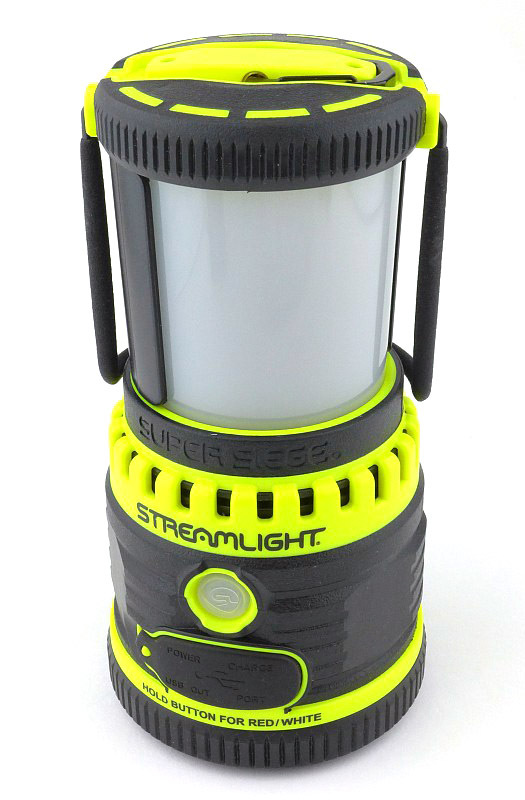 Just like the original Siege lantern, the Super Siege is a full size lantern, equivalent to most traditional lanterns. 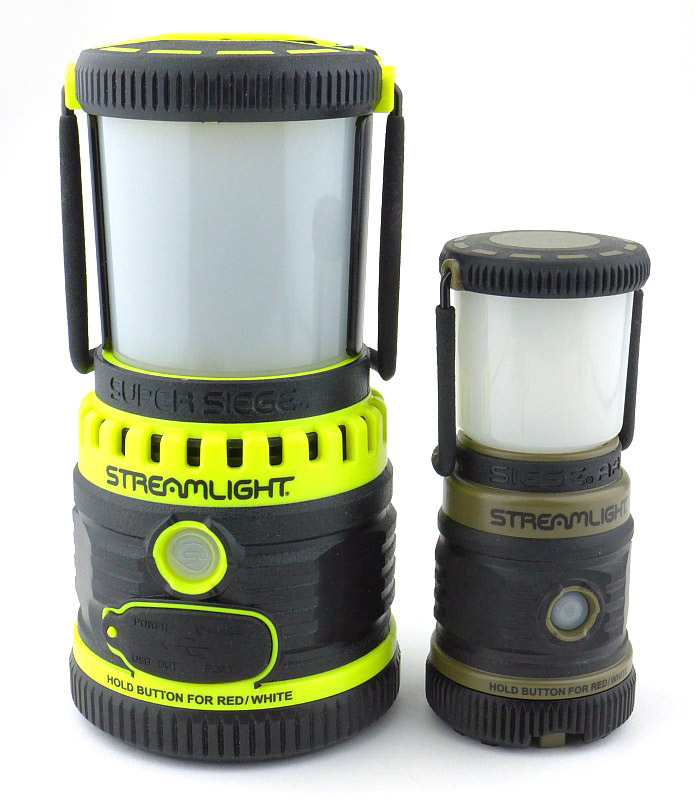 It is for those uses where size and weight are not an issue, if that is a priority, the smaller Siege AA becomes a good bet, but lacks the power and features the full size lantern gives. 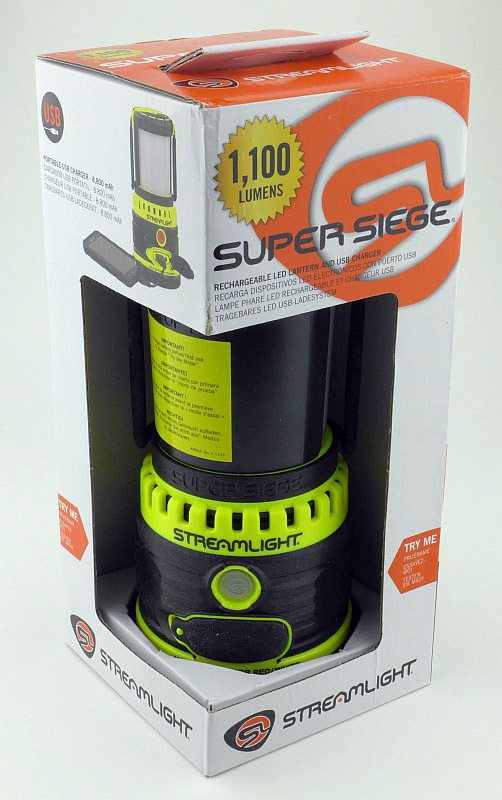 The Super Siege uses its technological advantages to make it so much more than a portable area light. 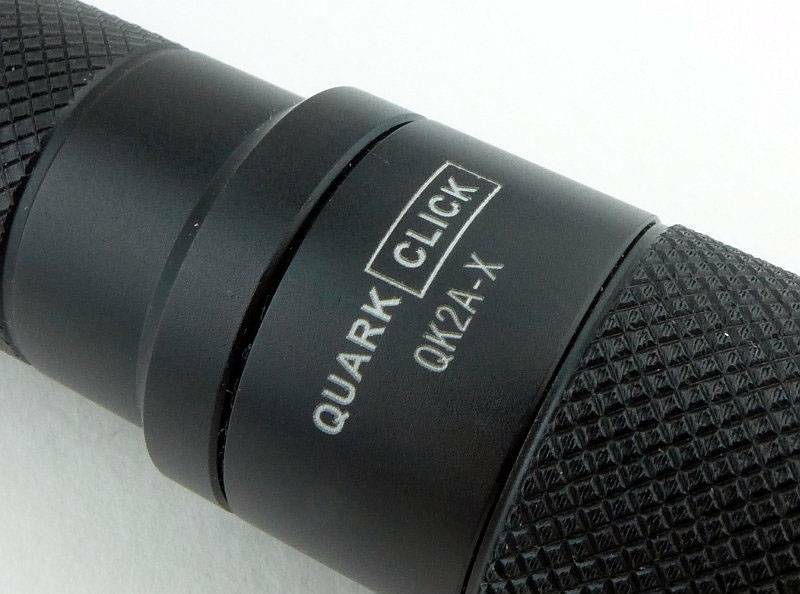 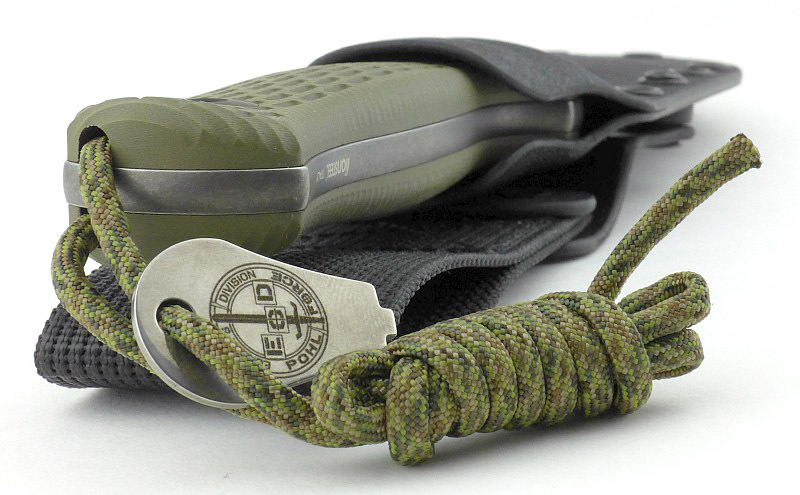 One of its first key features is so simple and could easily have been added to any lantern – the glare guard. 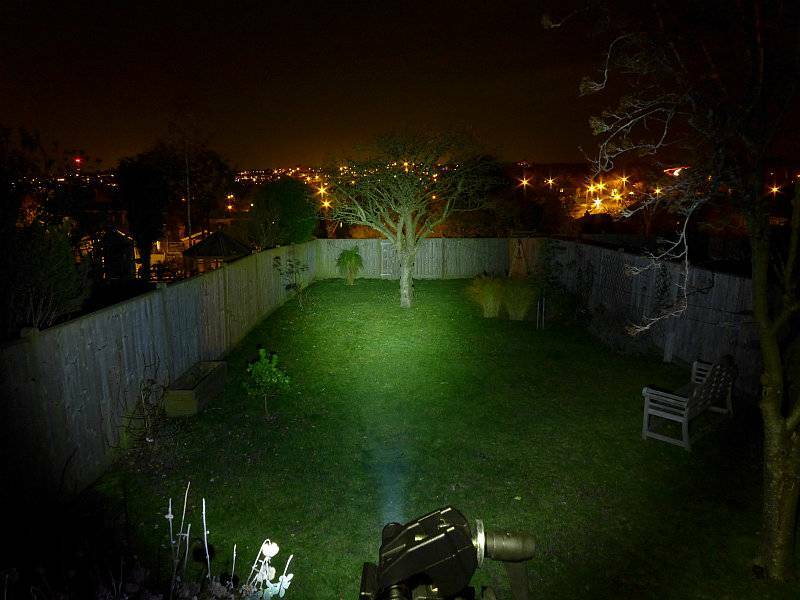 For me this is one of the most critical features, and where I would normally avoid lanterns due to their glare, now I’m picking the Super Siege for all sorts of jobs. 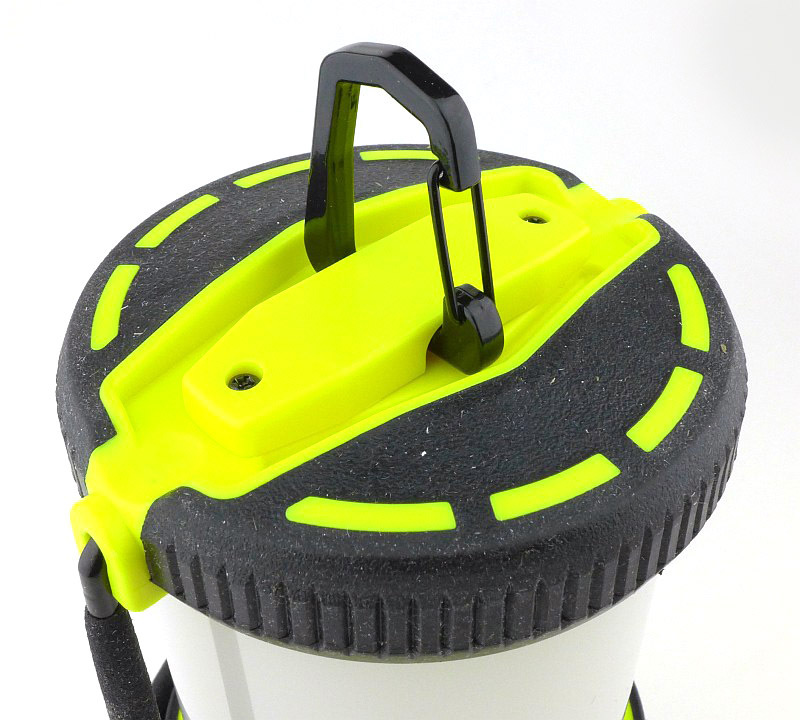 As well as the full lantern and the task light configuration, the diffuser can also be removed to expose the LED dome cover, so you can run the Super Siege with fully exposed LEDs giving the ultimate in flood light. 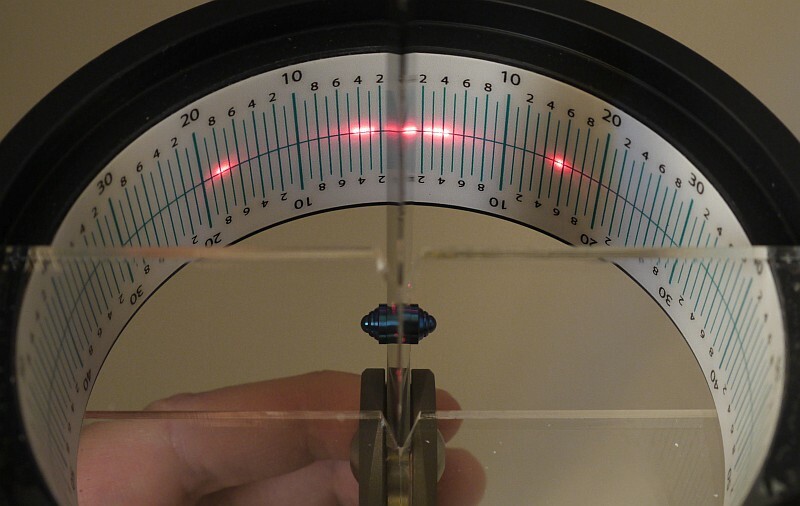 This however has extreme glare and only really works when hung up overhead. 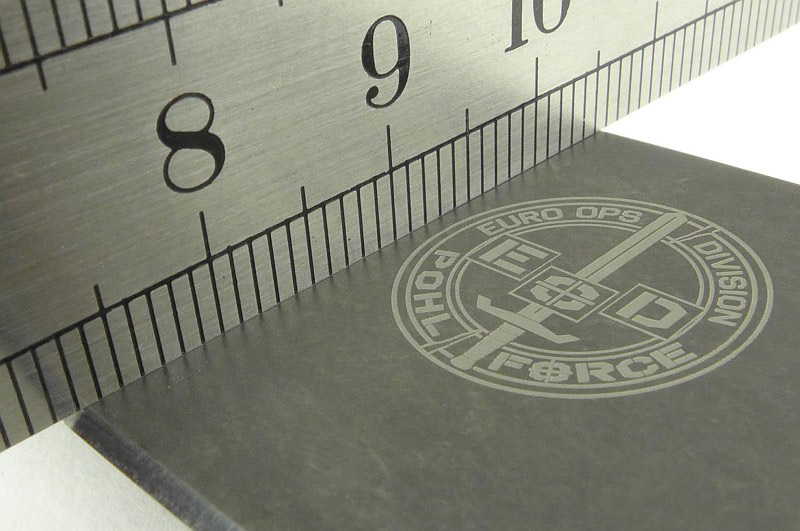 With the diffuser removed, the Super Siege is also much smaller. 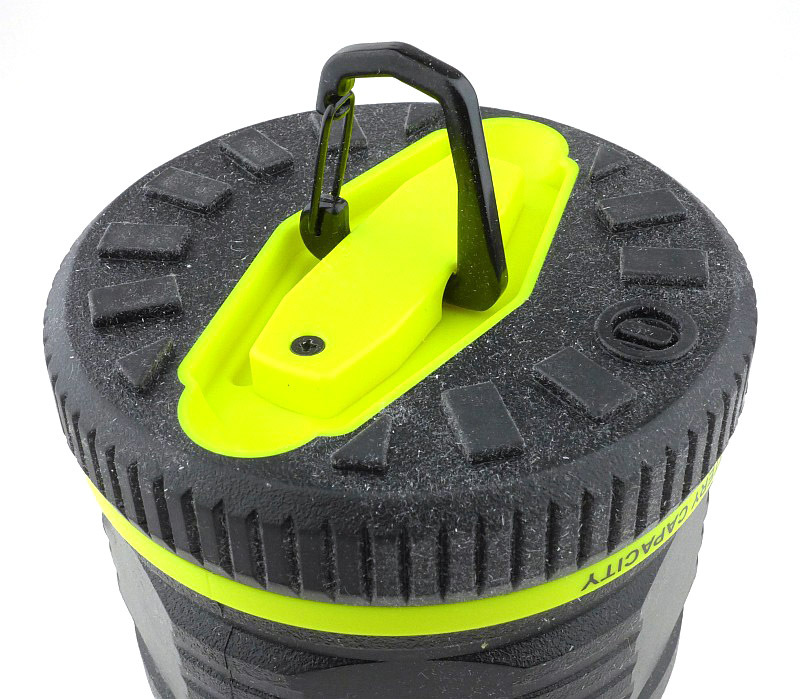 But beware, if you might need the Super Siege’s ability to float, it will only float with the diffuser fitted as this provides enough trapped air to give it sufficient buoyancy. 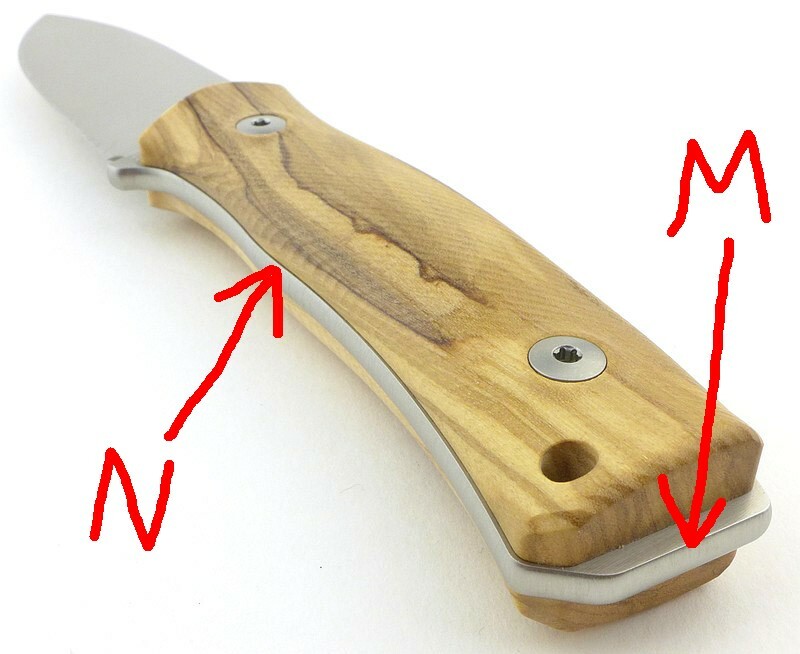 There are two aspects of the Super Siege that do not work that well. 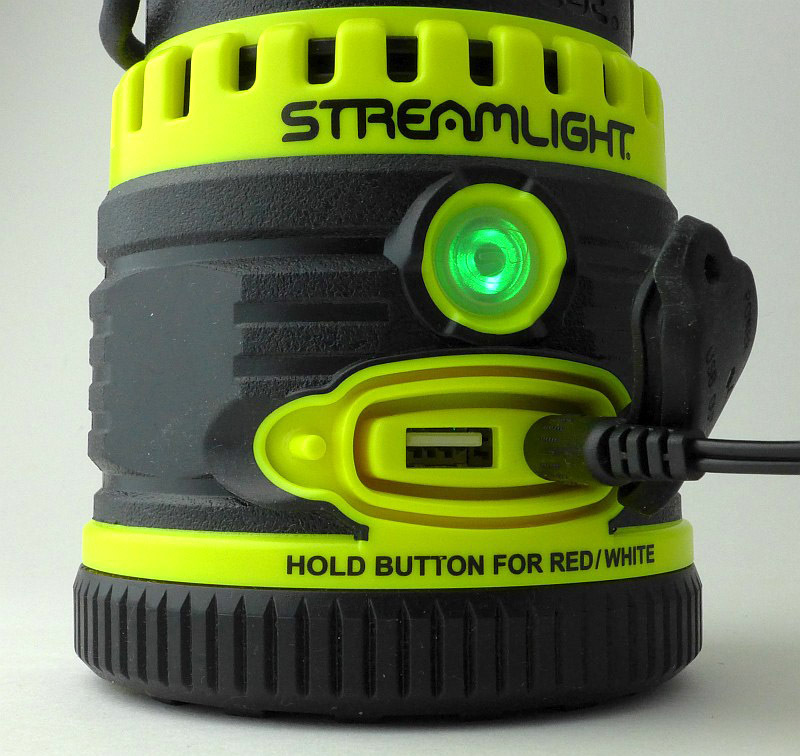 The switch illumination is very bright, and if using the low red output, the switch glows as brightly as the red LEDs do. 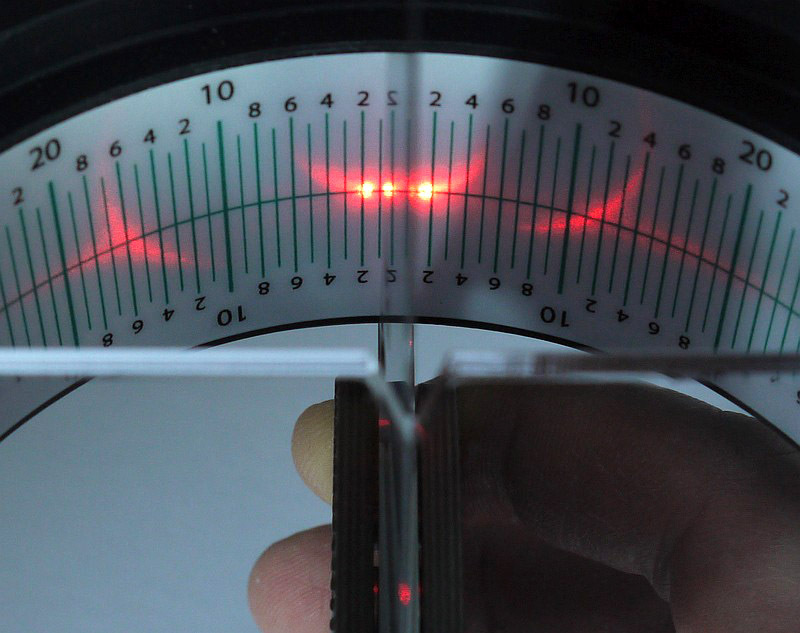 This is very distracting and means that if you want a dim red light to maintain your eyes dark adaptation, you will find a bright green light shining out from the switch. 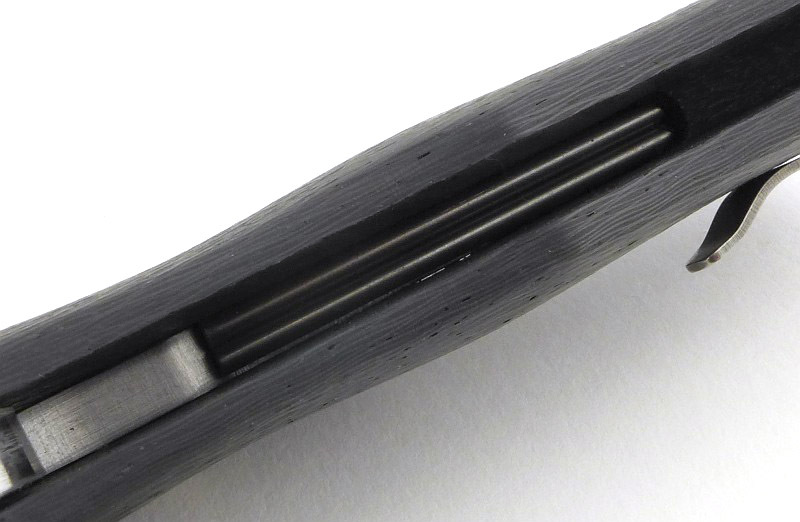 This also impacts on the USB powerbank function, but more on the in a moment. 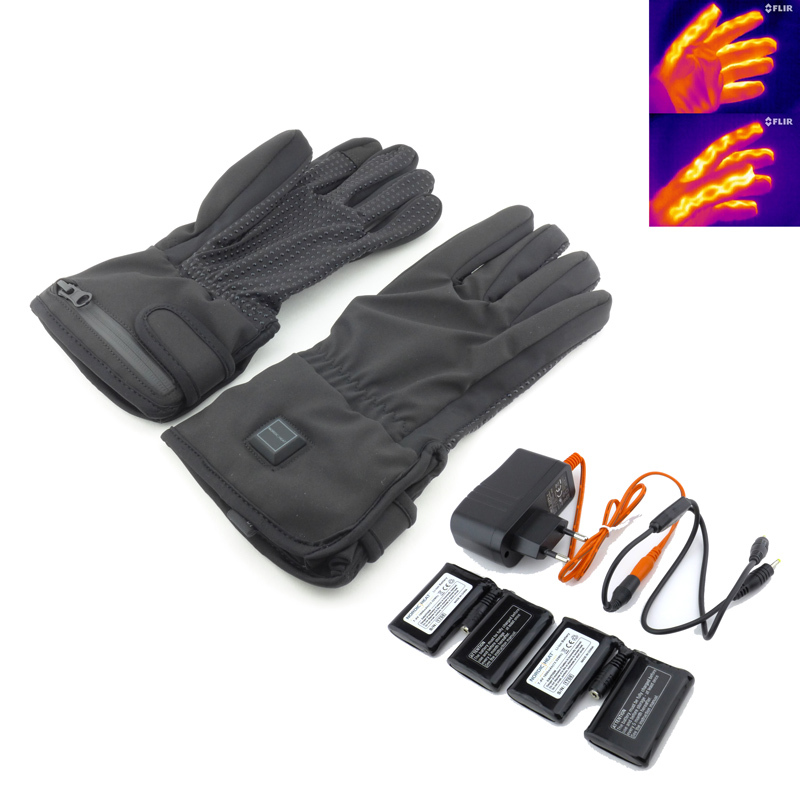 The second aspect, which I’m very disappointed to still see is the use of PWM. 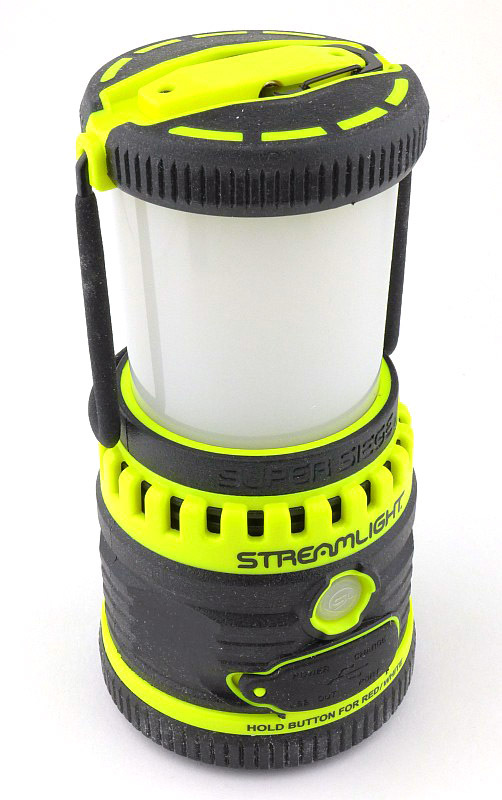 Especially in a lantern which floods the entire area with light, on the medium and low output levels, you see very obvious strobing effects when moving…at all. 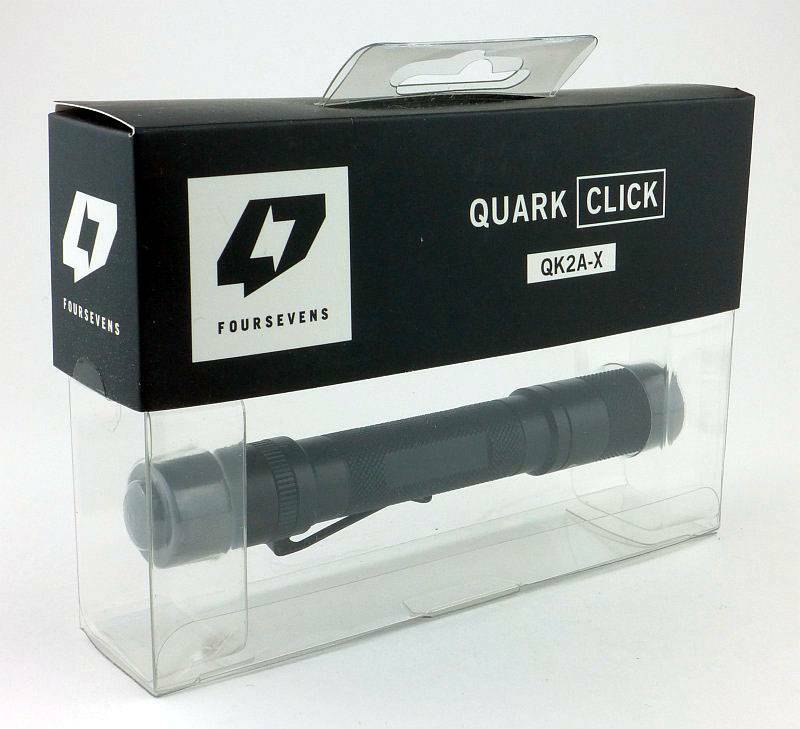 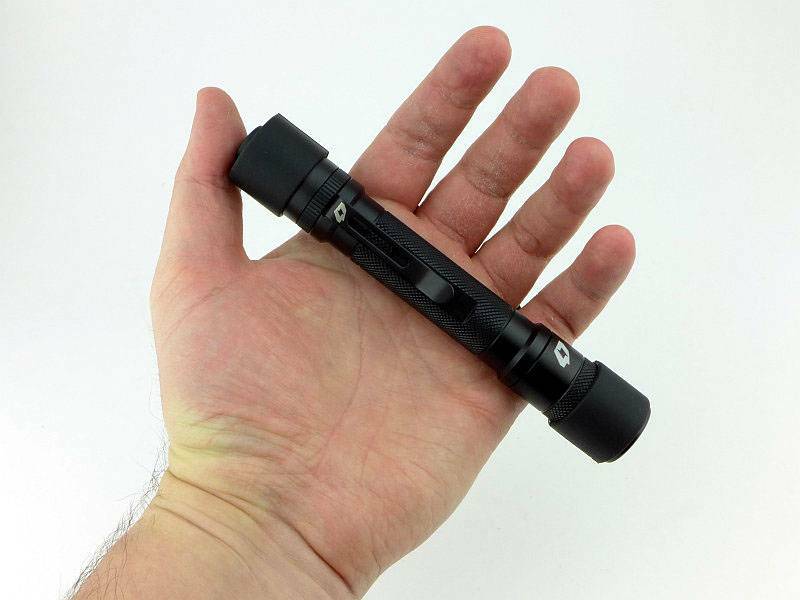 Please Streamlight, can you use current controlled output and not PWM? 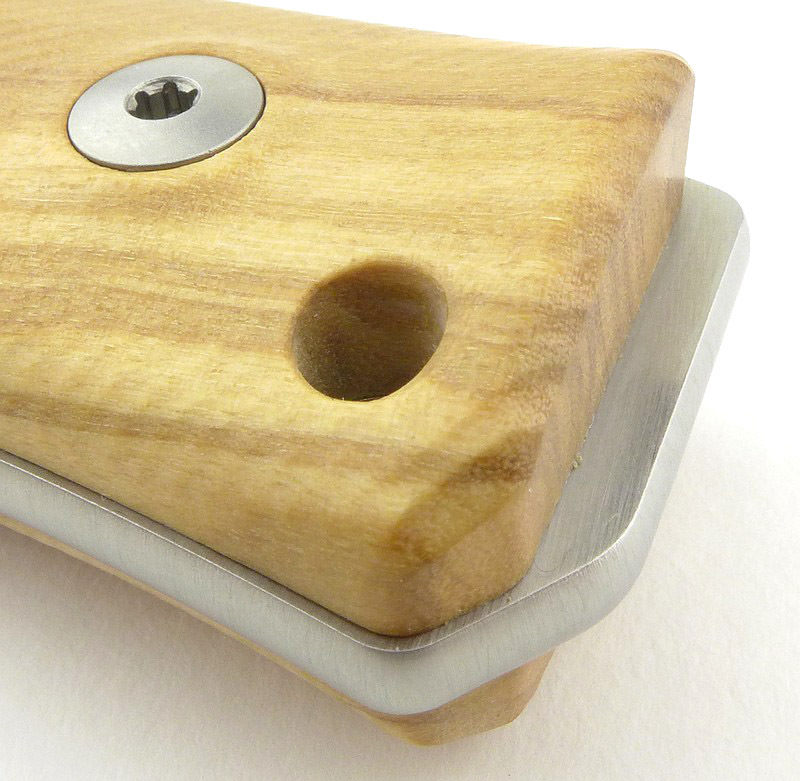 The compartment in the base is an odd shape, but is useful for keeping a few things in. 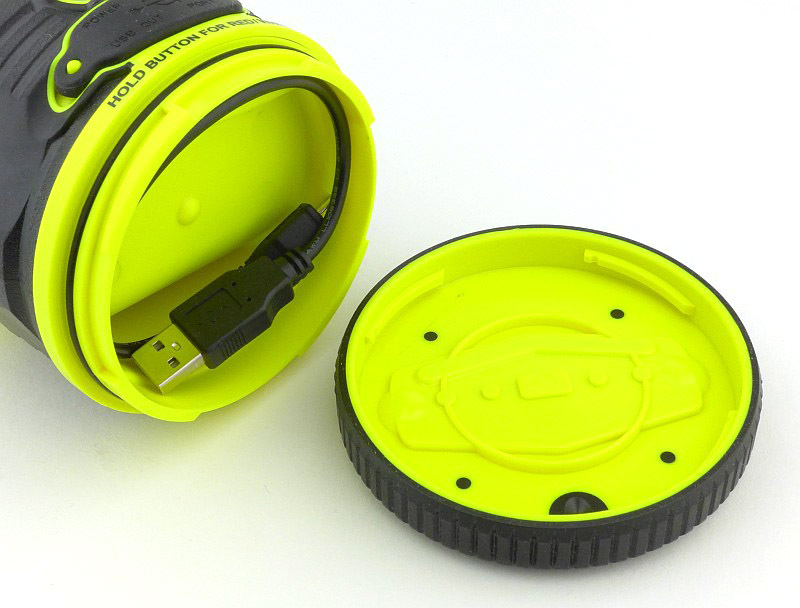 If nothing else you can keep a USB cable for charging various devices in this compartment. 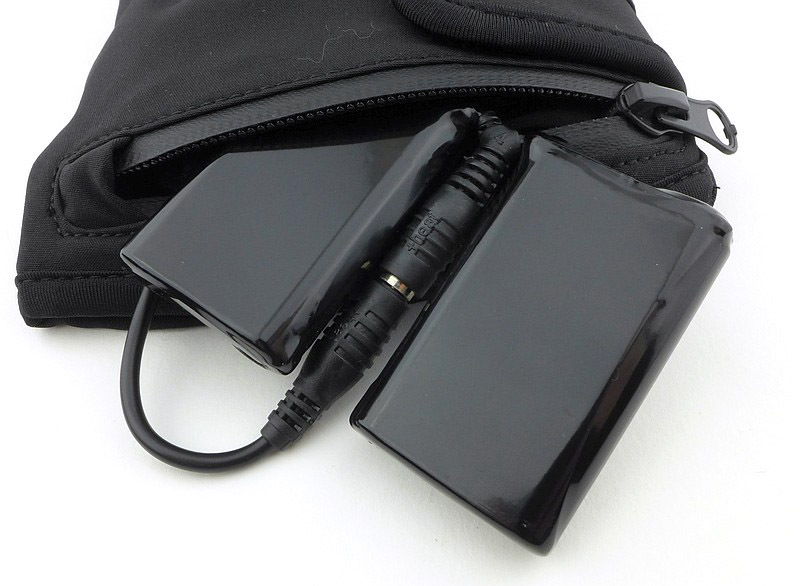 And on the subject of the power bank feature, this is very useful in these days of so many devices that can be charged from USB. 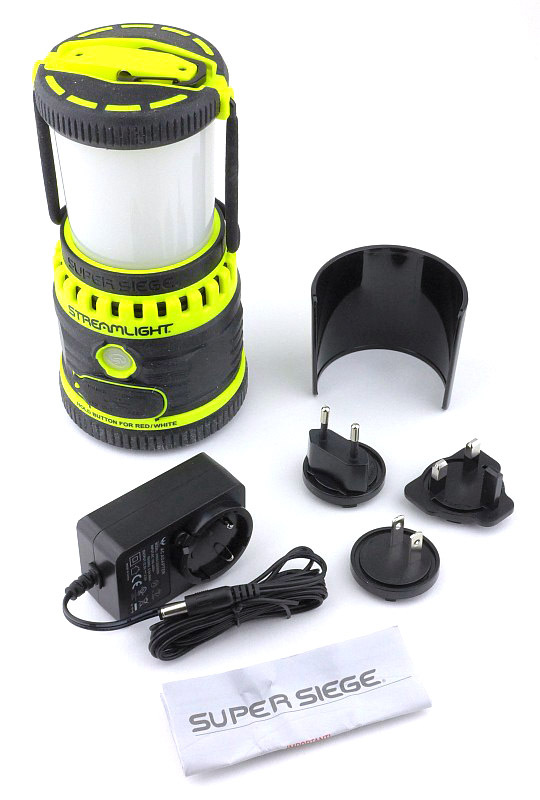 What you must consider however, is that any power you use to charge a device, be it phone, tablet, e-reader etc, is power you rob from the lantern’s light output. 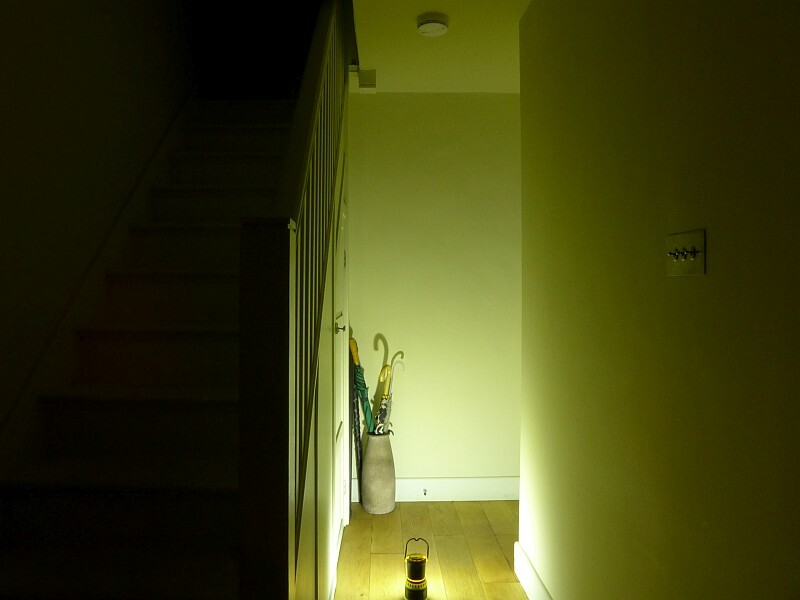 So be careful you don’t find yourself in the dark because you charge your phone up. 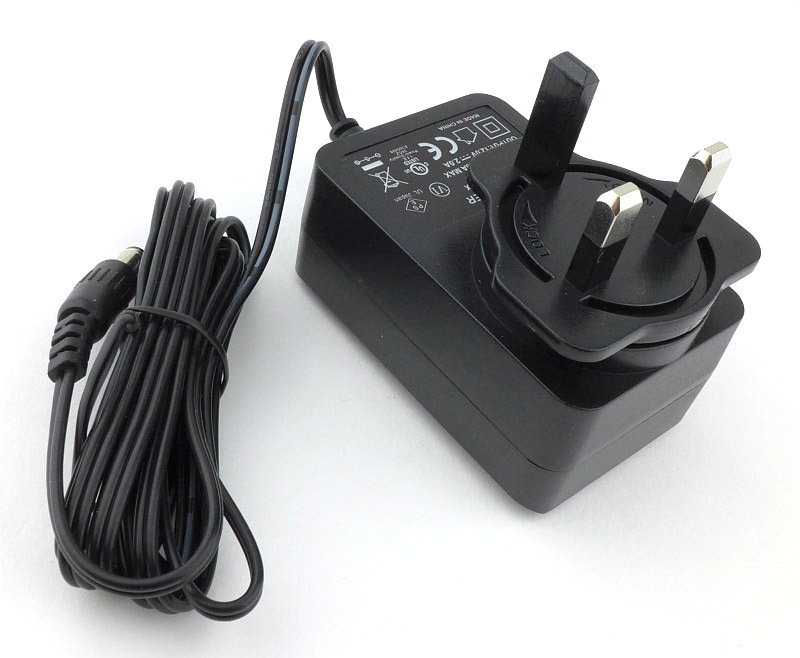 What is a bit of a pity is that the Super Siege needs a 12V power adapter to charge it when the typical power bank these days is also chargeable via USB. 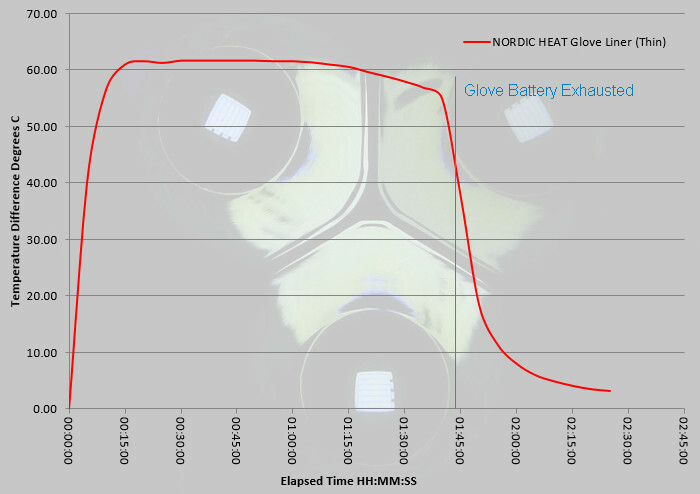 Using a USB power monitor I’ve run several ‘delivered power’ tests, all of which have been a consistent 25.7Wh from the 8800mAh battery. 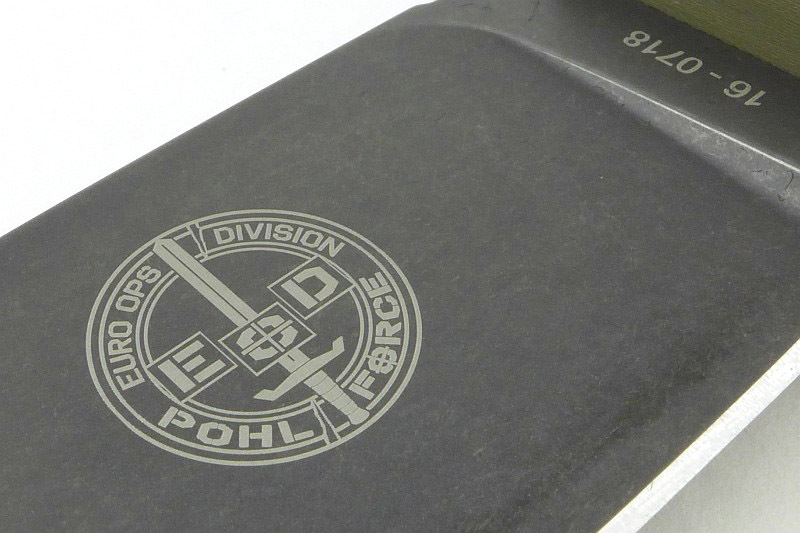 The theoretical power from a 8800mAh battery would be 32.56Wh, which means 79% of this is being delivered. 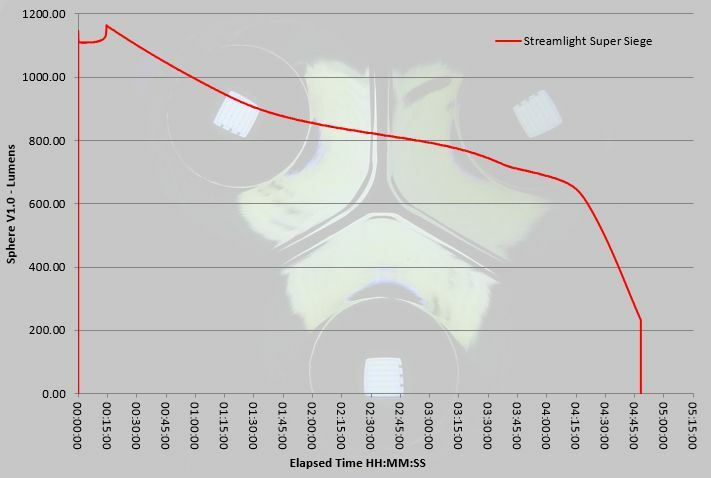 A 21% loss is reasonable, but this could probably be better, as the brightly lit power switch remains on for the entire time the USB power bank feature is being used. 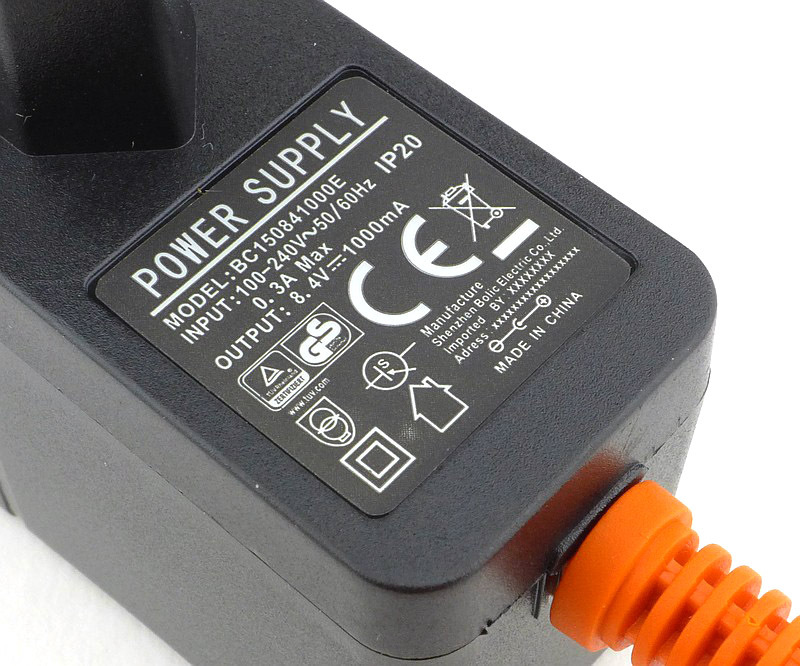 The maximum observed output current for the USB power bank was 1.1A. 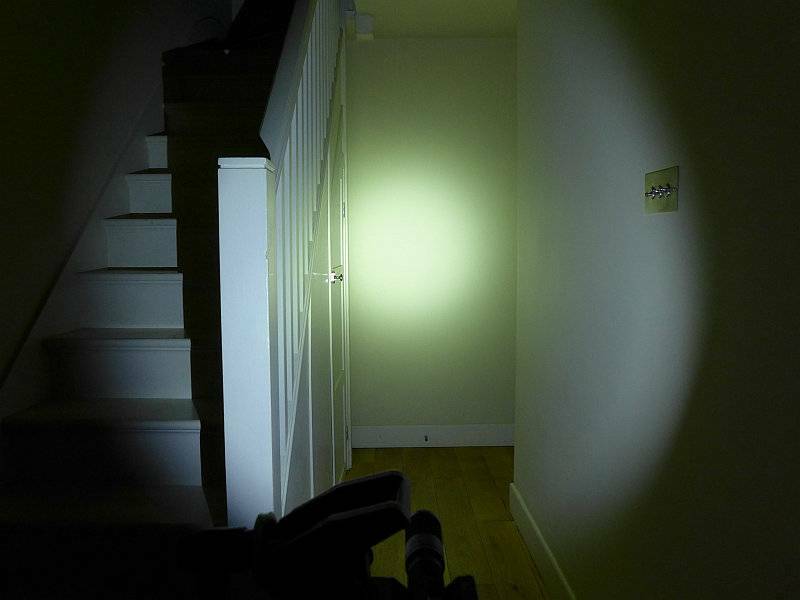 During use of the USB power bank, the switch illumination goes from green to yellow quite quickly. 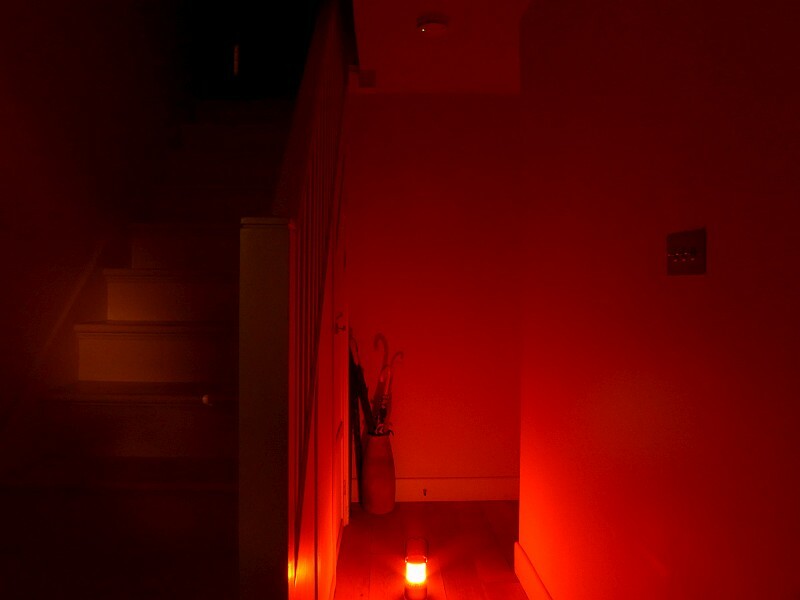 Watching the accumulated Wh delivered, the switch goes red after around 15Wh have been output, so there is still 40% battery left once the switch turns red. 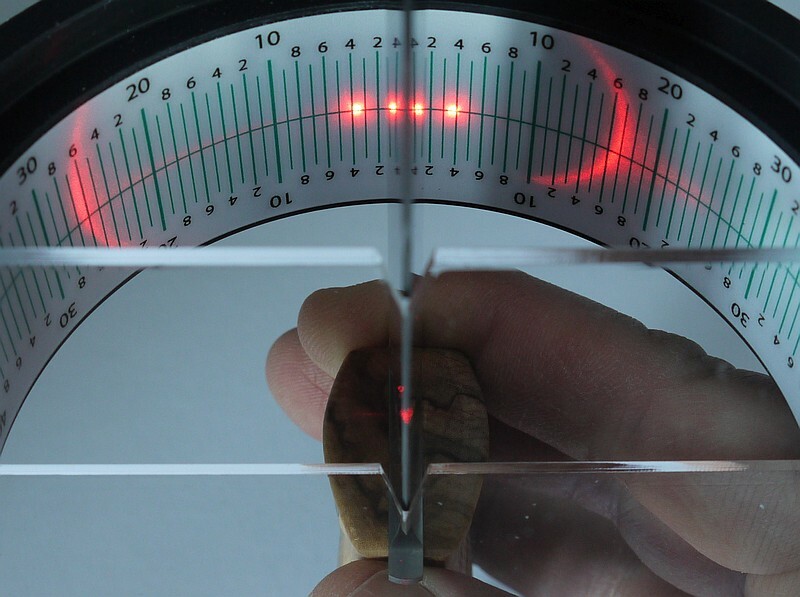 In fact the flashing red indication starts relatively soon afterwards. 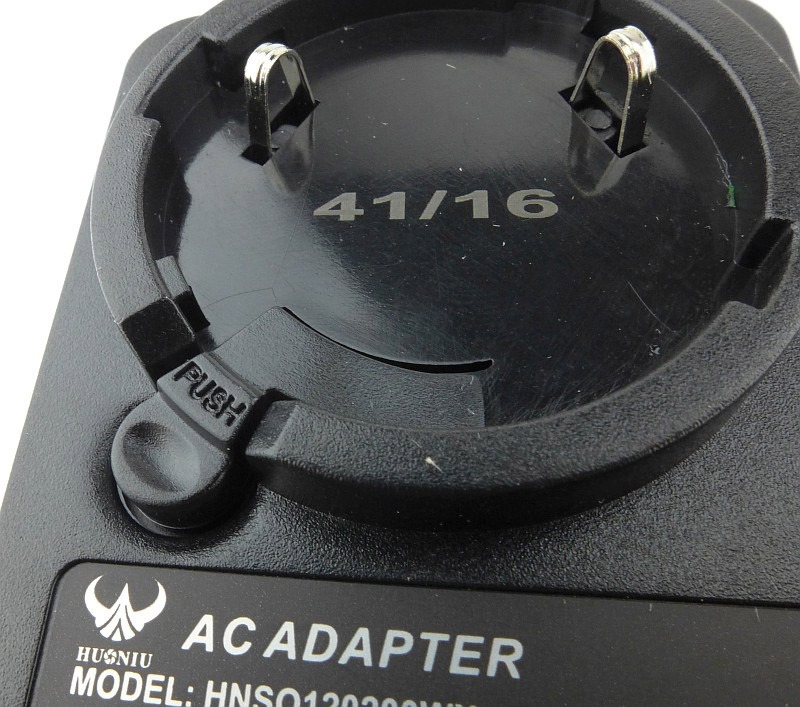 If I needed the Super Siege for light, I would definitely stop USB charging once the switch illumination turns red, as you at least know there is 40% left. 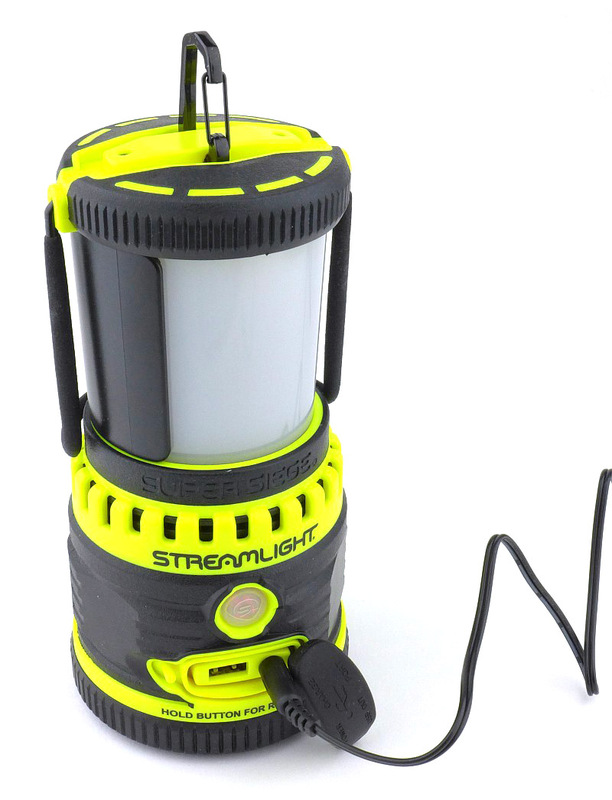 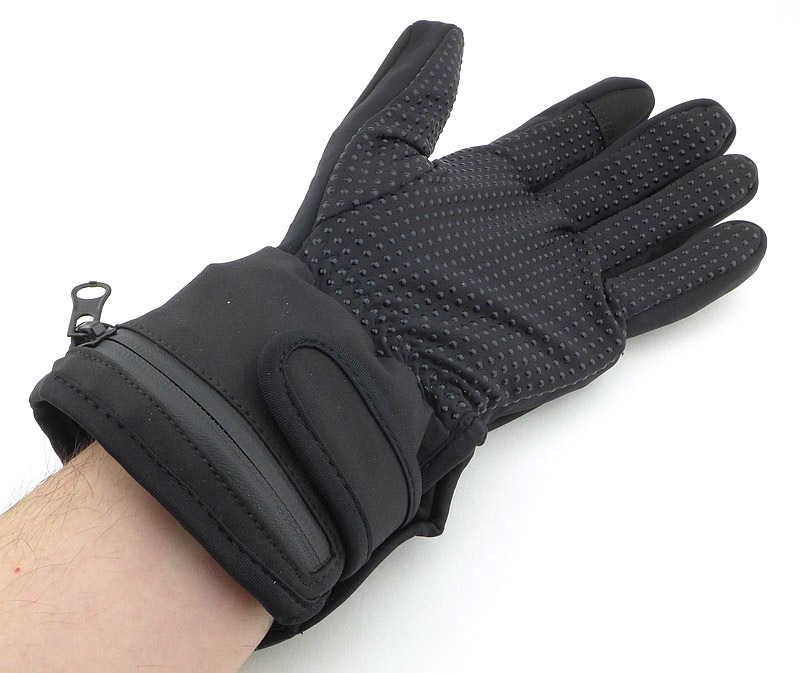 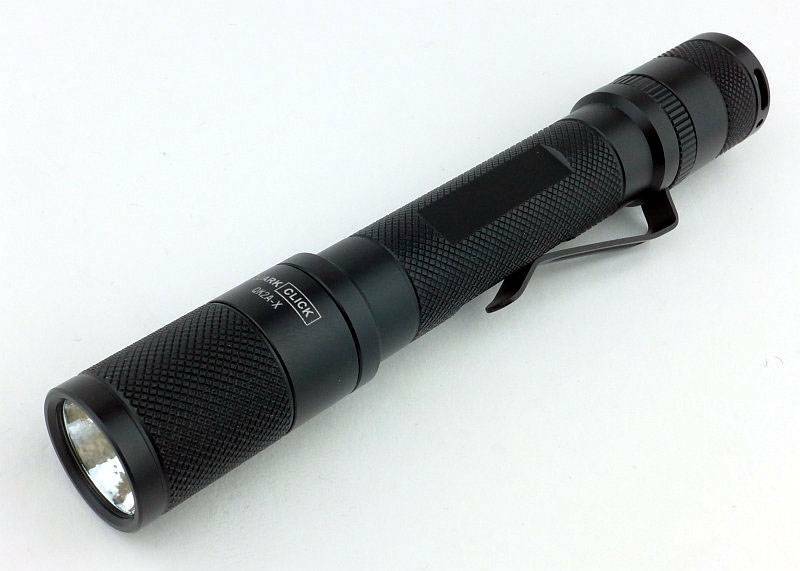 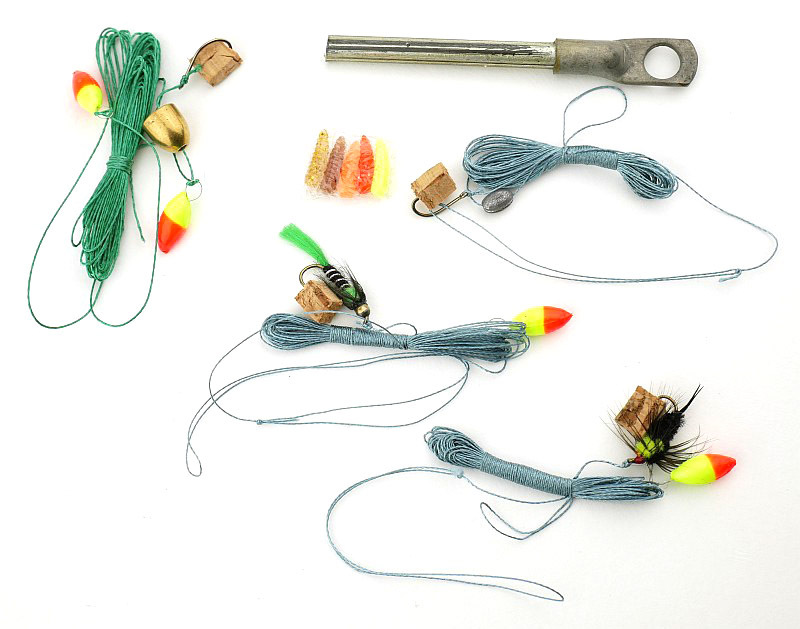 Ideal for camping, fishing and to have in a shed/loft or other unlit out-building. 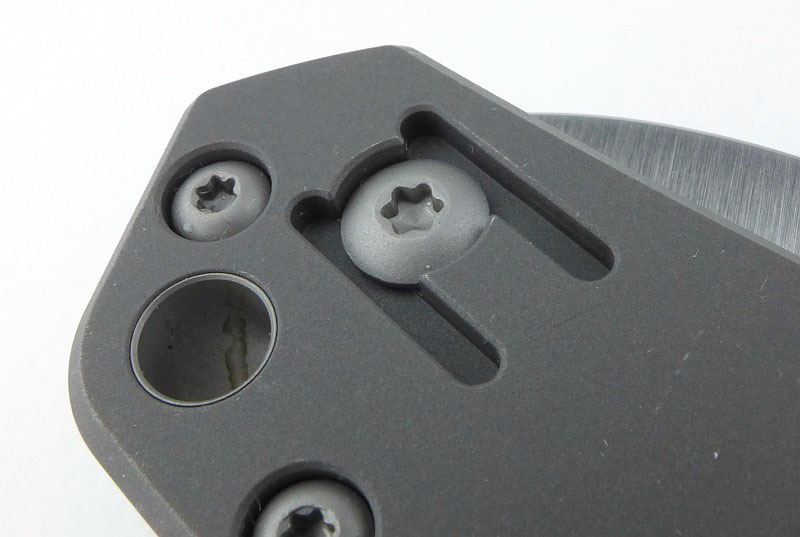 Altogether the Super Siege gives you a nice rounded package of features all of which are genuinely useful and not a gimmick. 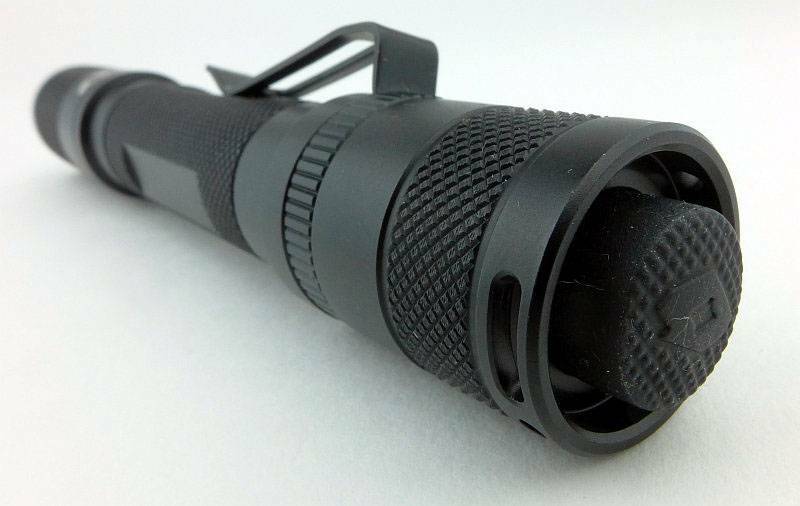 Powerful 1100lm output. 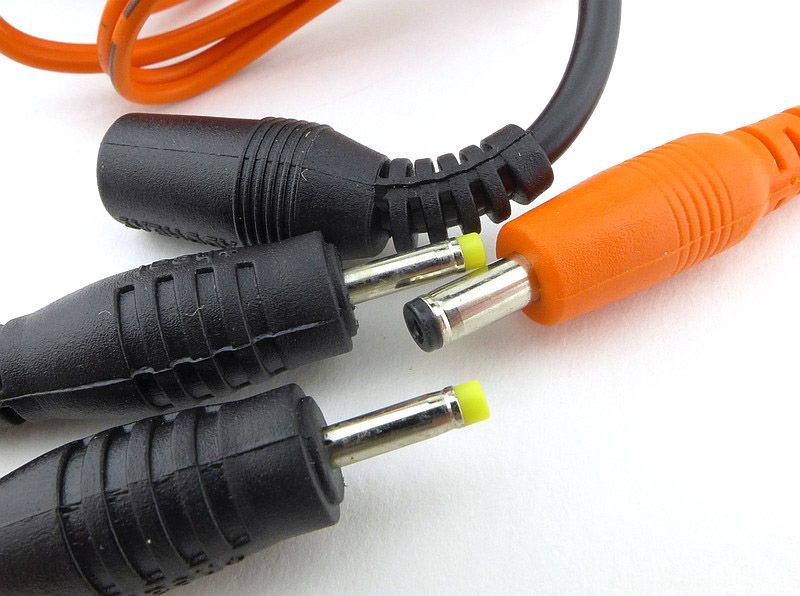 Uses PWM on all output levels. 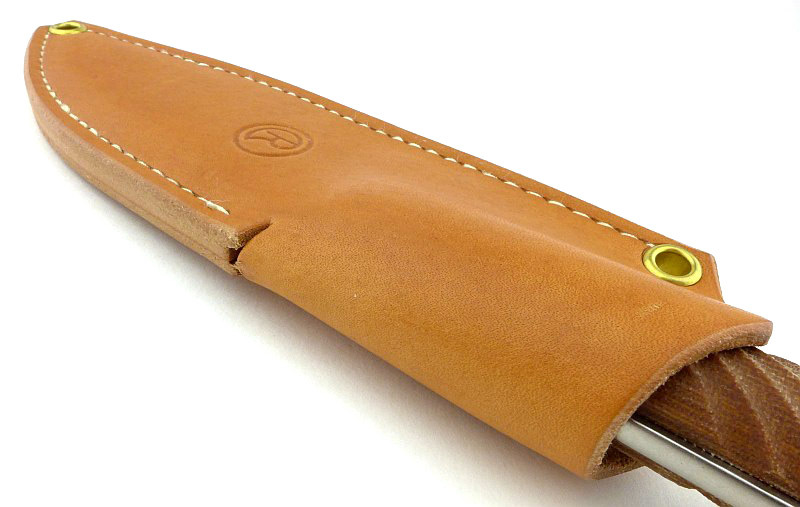 USB power bank. 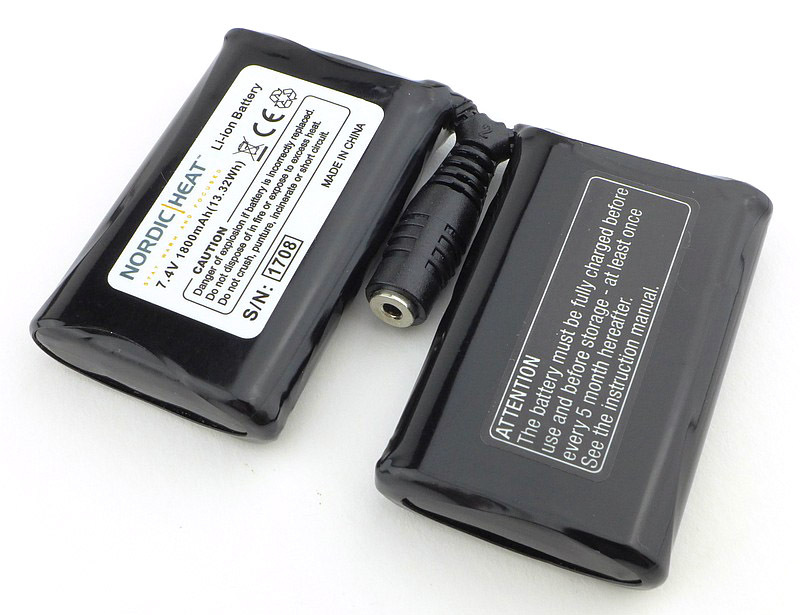 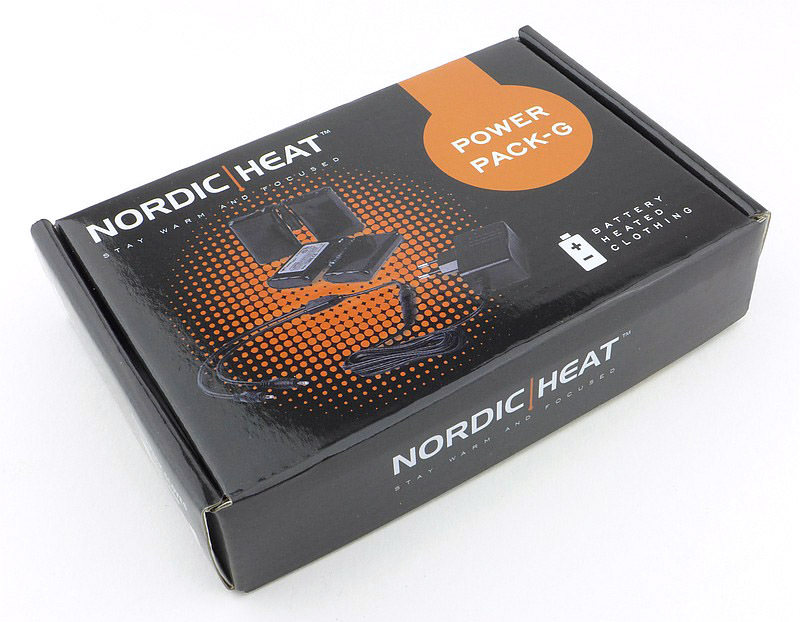 Using the power bank reduces LED output runtime. 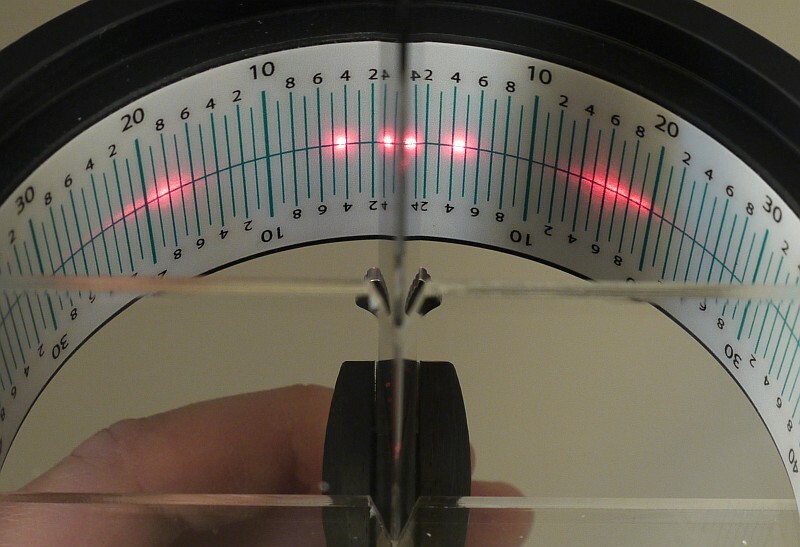 White and Red light output modes. 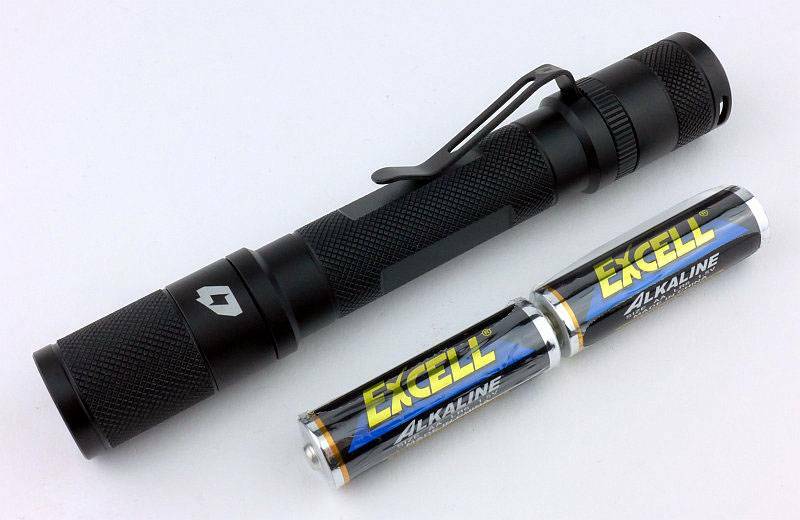 Needs 12V power adapter to charge. 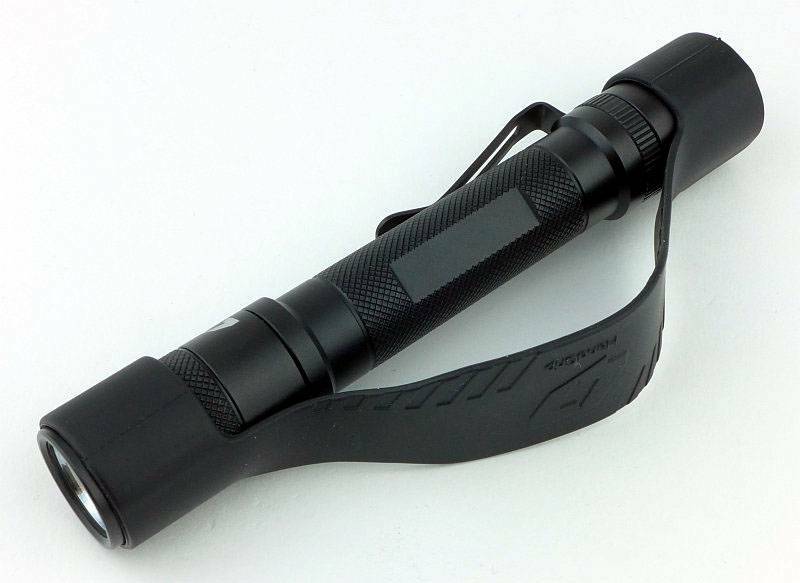 Glare-guard included for task lighting. 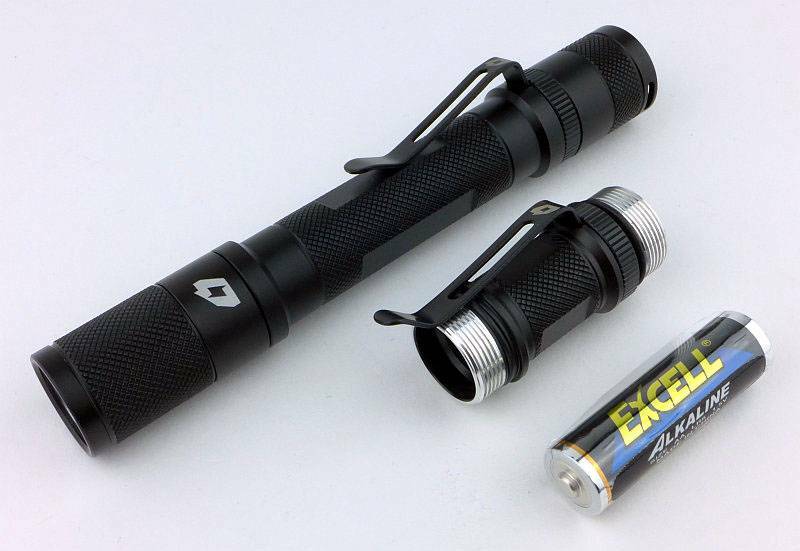 Output cuts out completely when the battery is low. 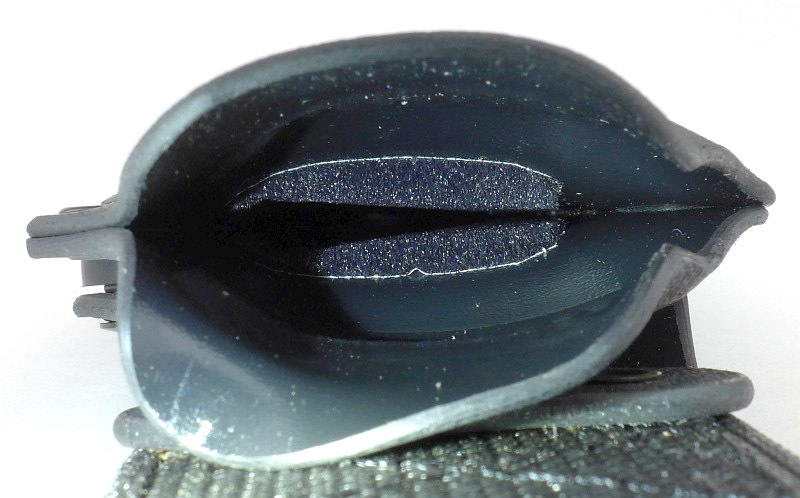 Floats (as long as the main diffuser is fitted). 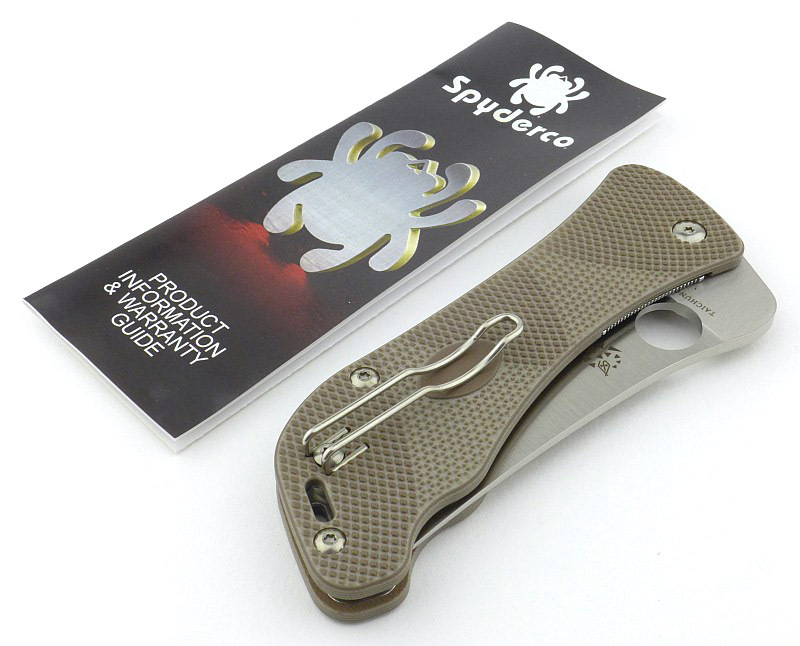 Sometimes it’s all in a name… and ‘SpydieChef’ immediately lets you know this is a small (folding and EDC-able) Spyderco Chef’s knife. 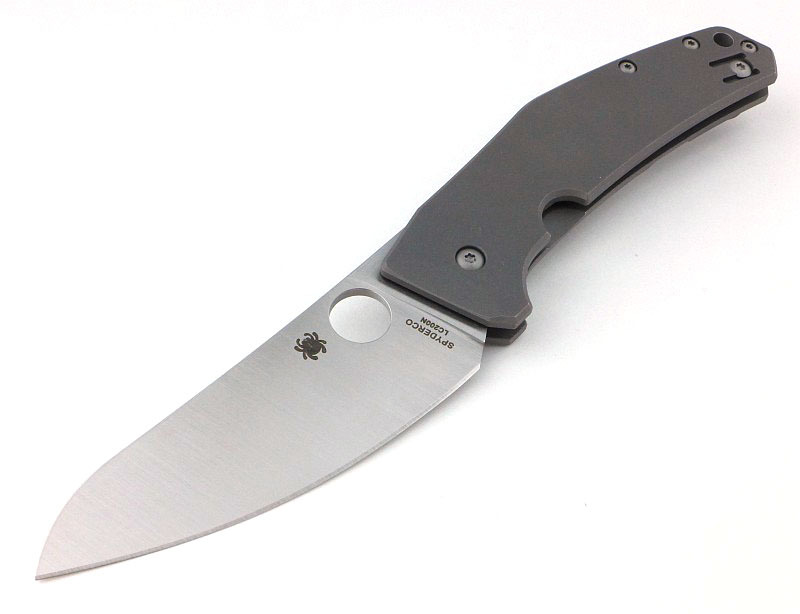 Of course it is a blend of exotic ingredients, made to that special Spyderco recipe, and is capable of so much more than just chopping a few vegetables. 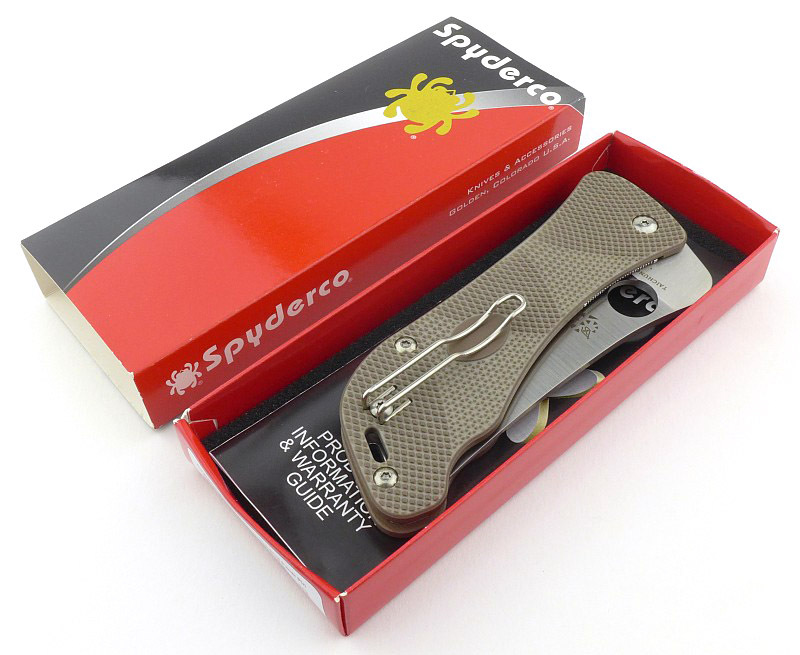 The SpydieChef is designed to deal with all-round EDC tasks as well as kitchen duties, is built using ultra-corrosion-resistant materials (it is a member of Spyderco’s Salt Series), and is finished to the high level of quality that we have come to expect in Spyderco products. 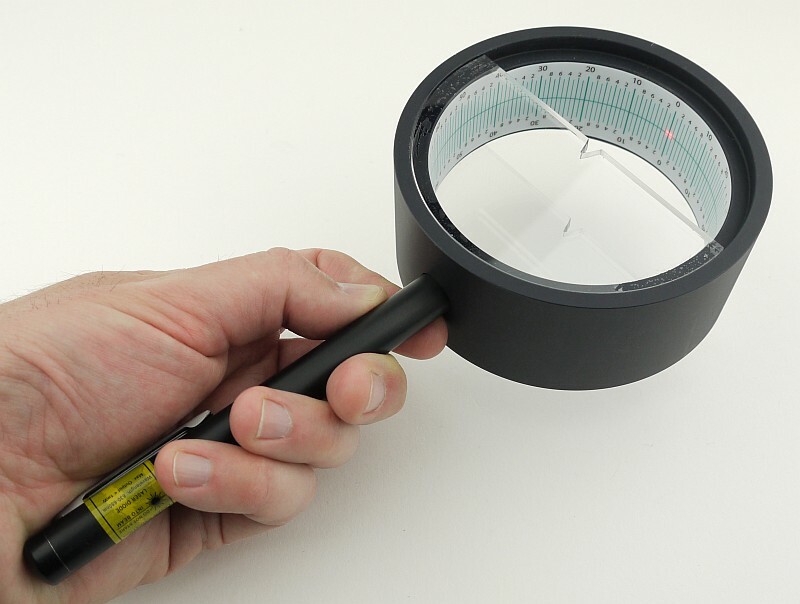 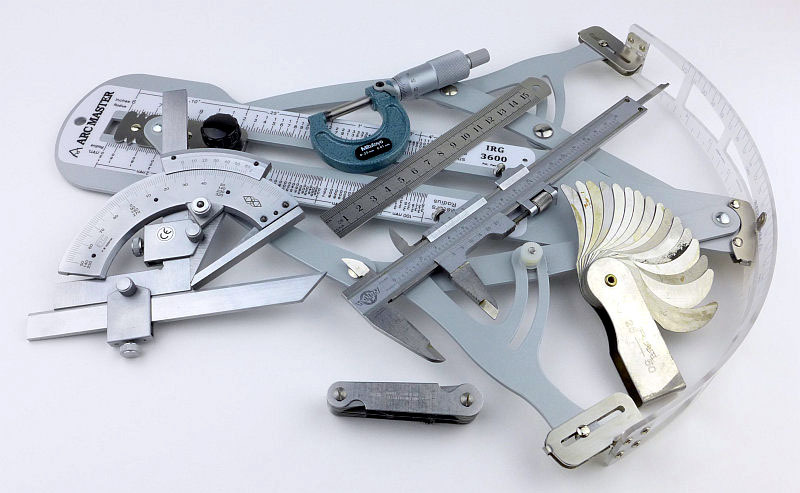 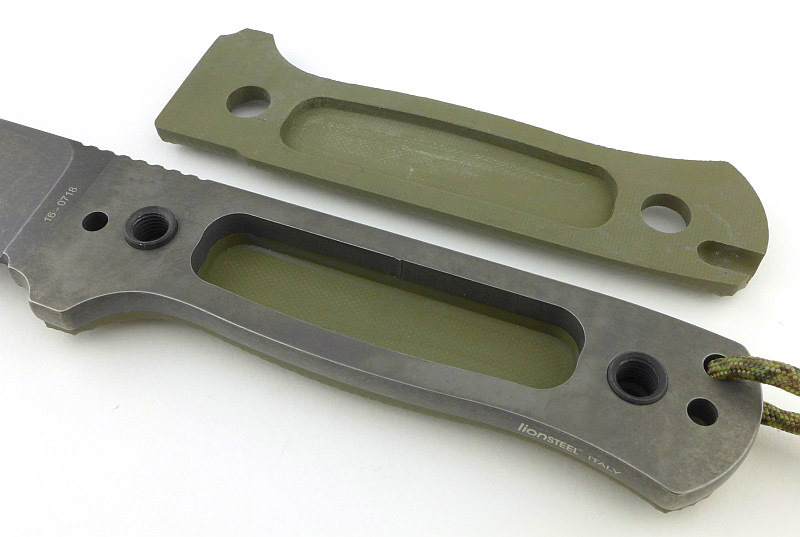 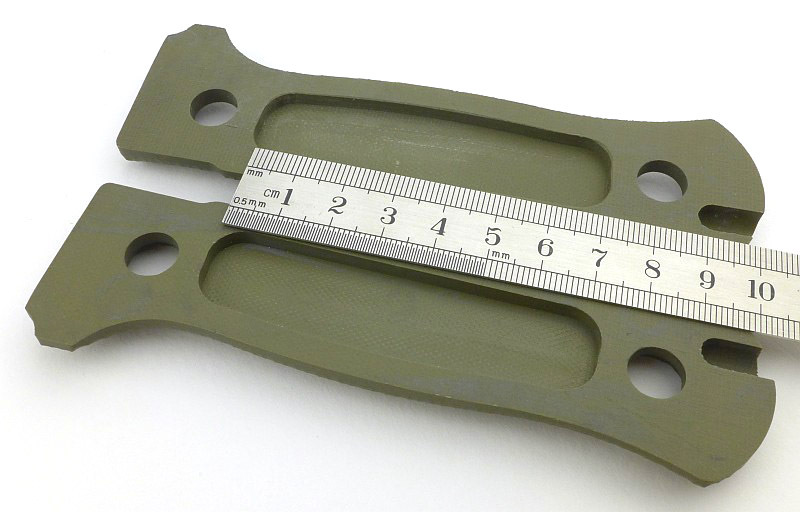 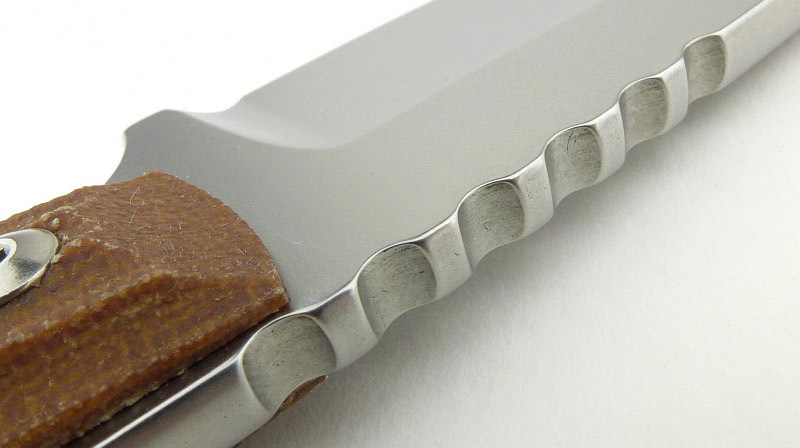 The blade is made from LC200N steel, a state-of-the-art nitrogen-based alloy, which is extremely corrosion resistant and is actually used by NASA for the ball bearings used in aerospace applications. 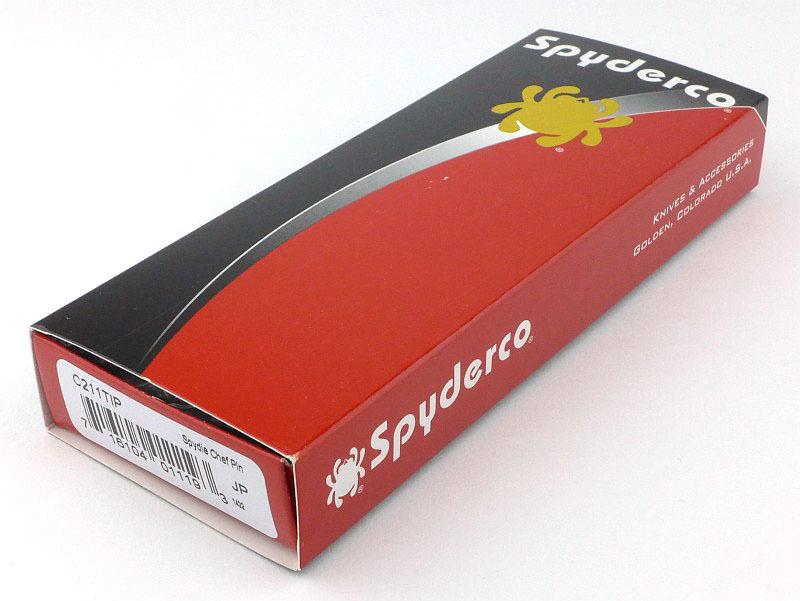 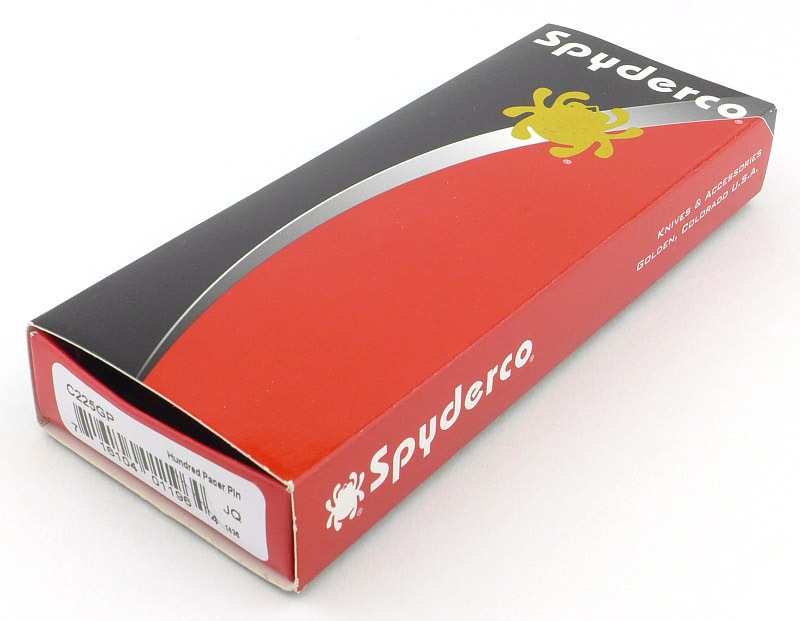 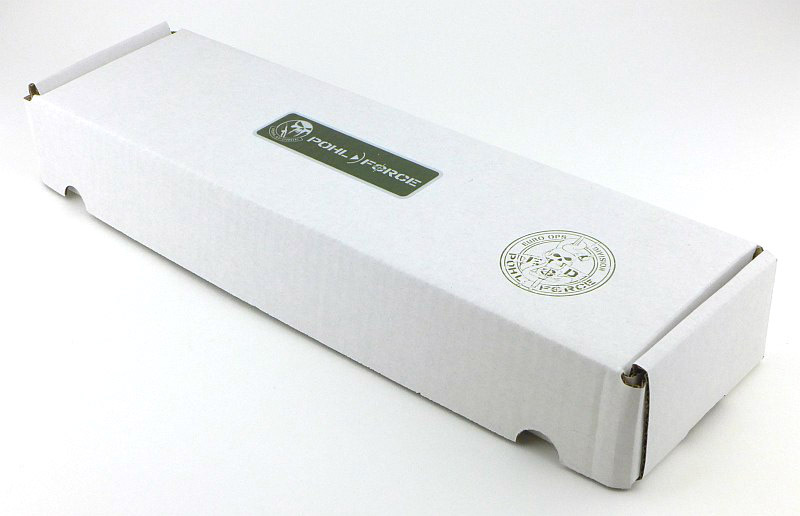 Spyderco’s standard sleeve box is used for the SpydieChef. 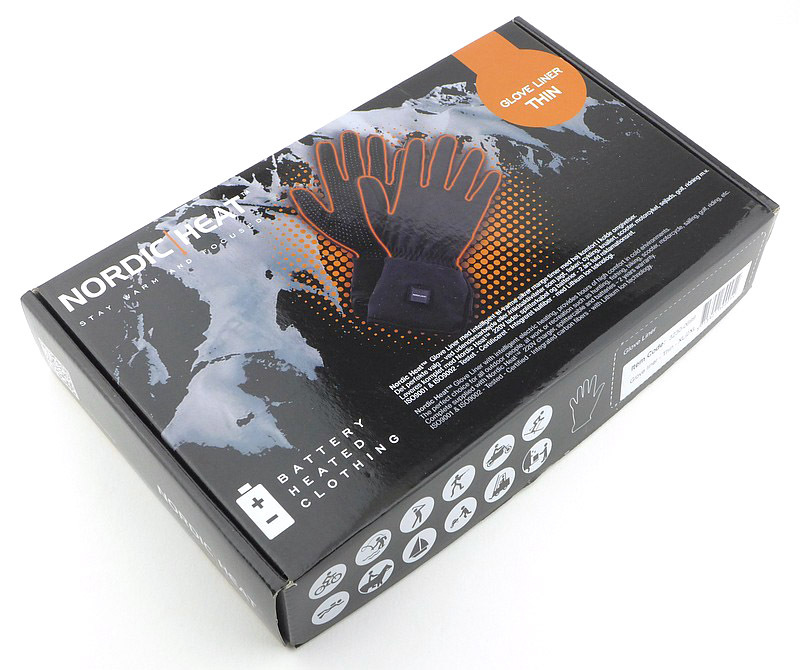 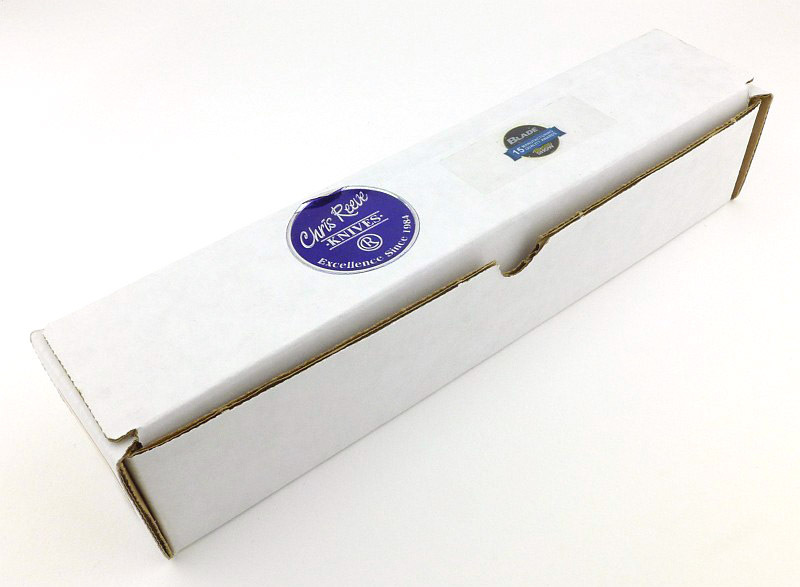 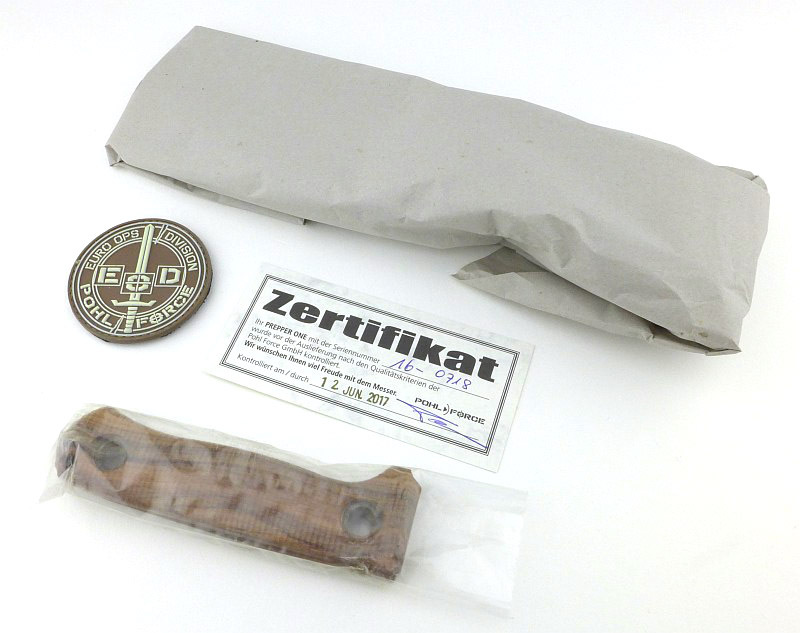 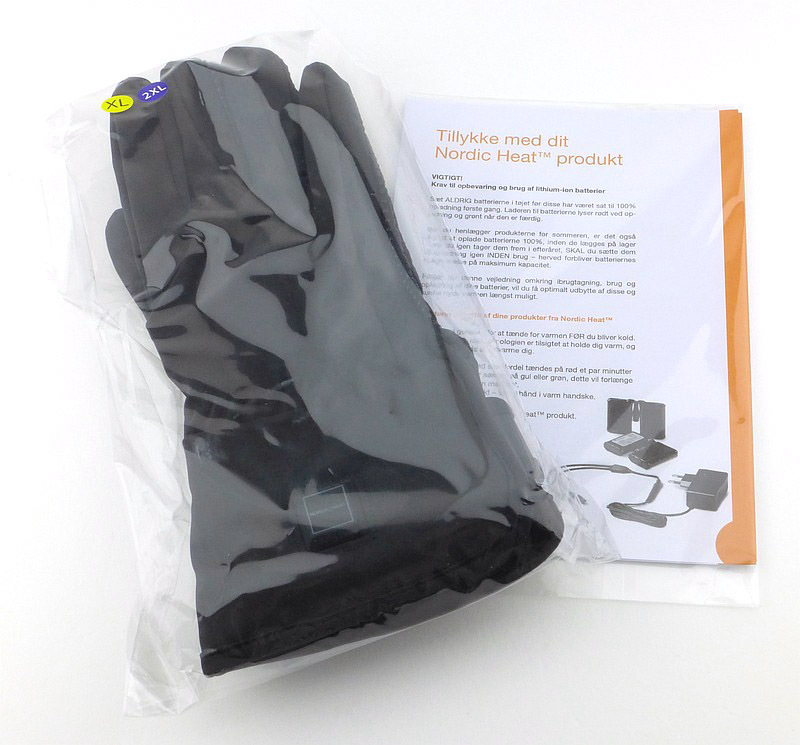 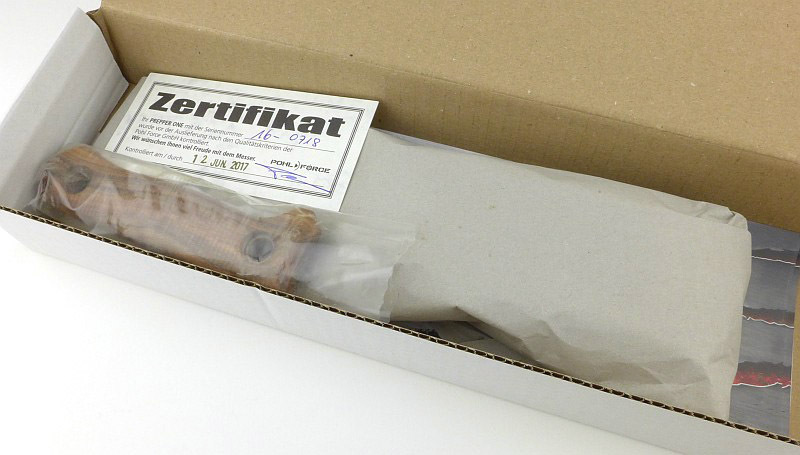 Inside the box the knife comes in a bubble wrap bag along with a product information leaflet. 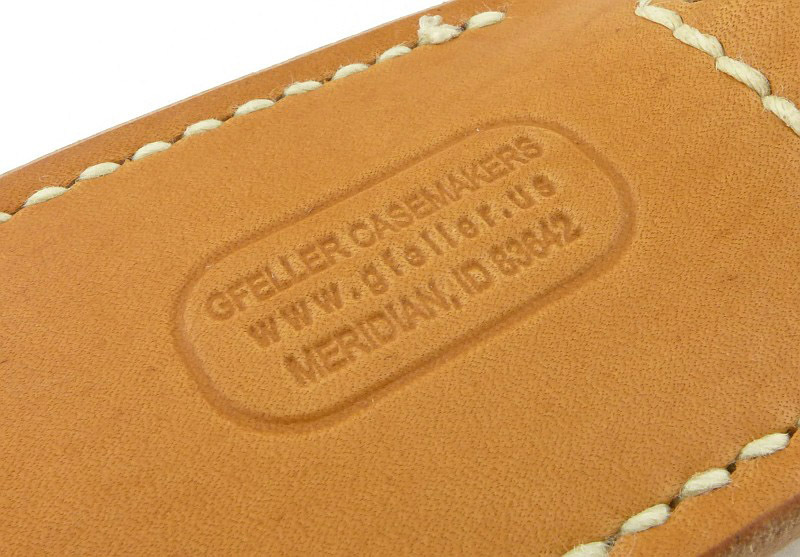 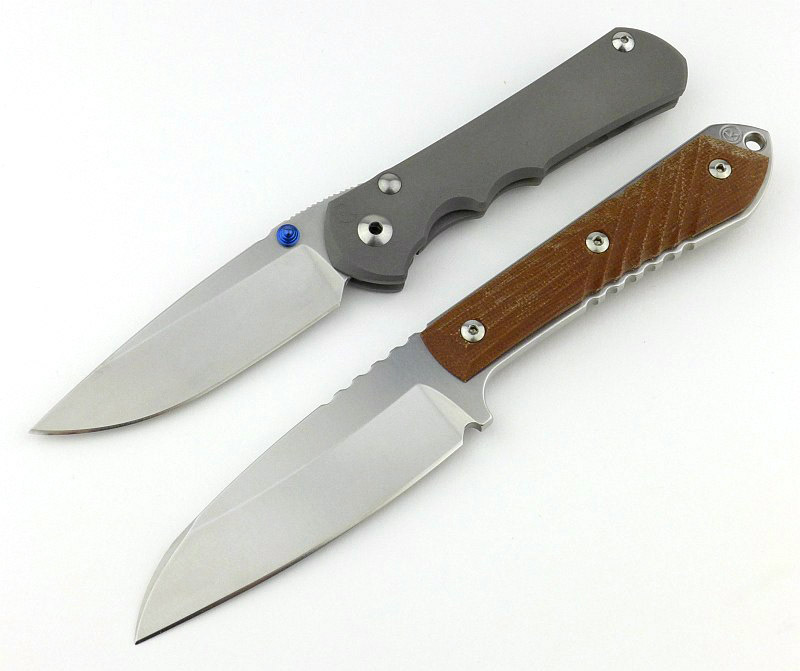 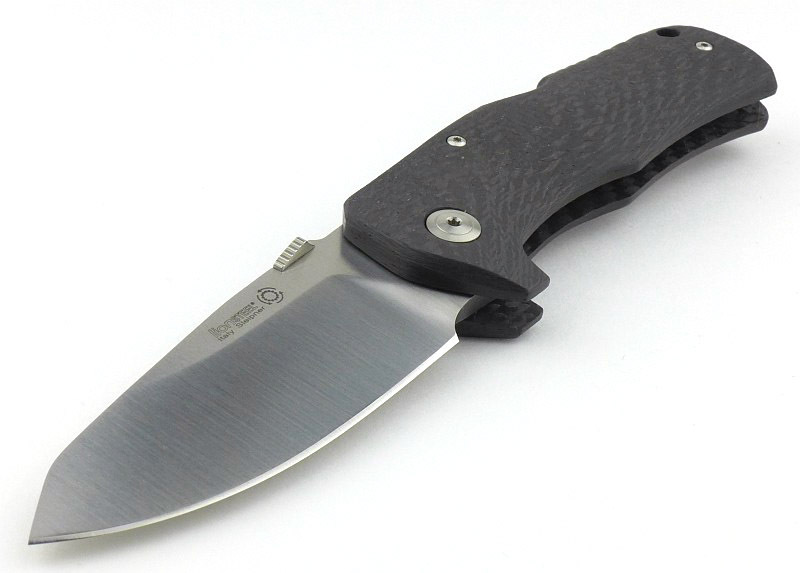 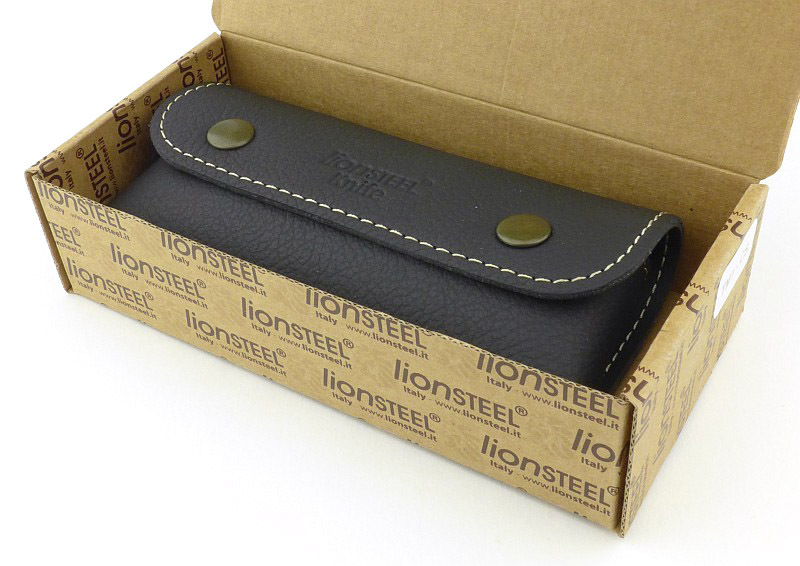 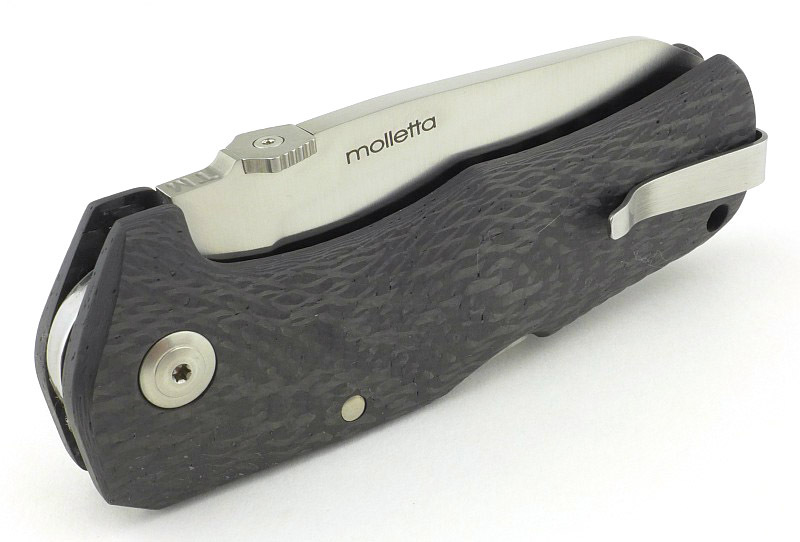 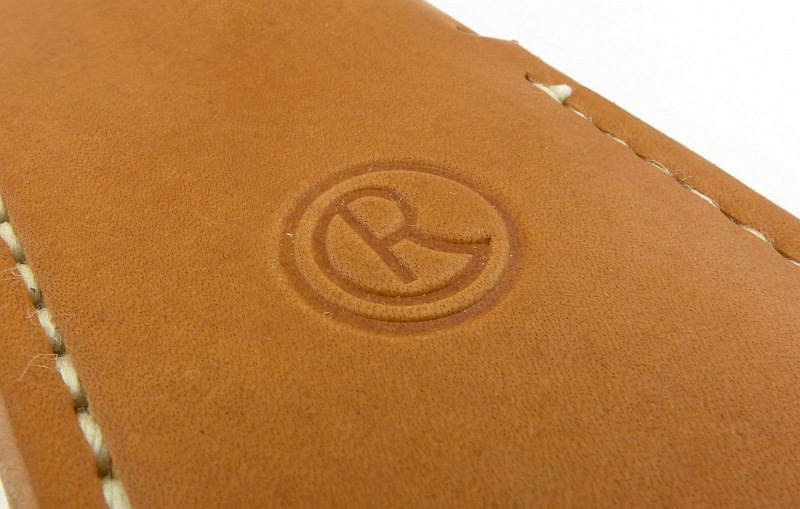 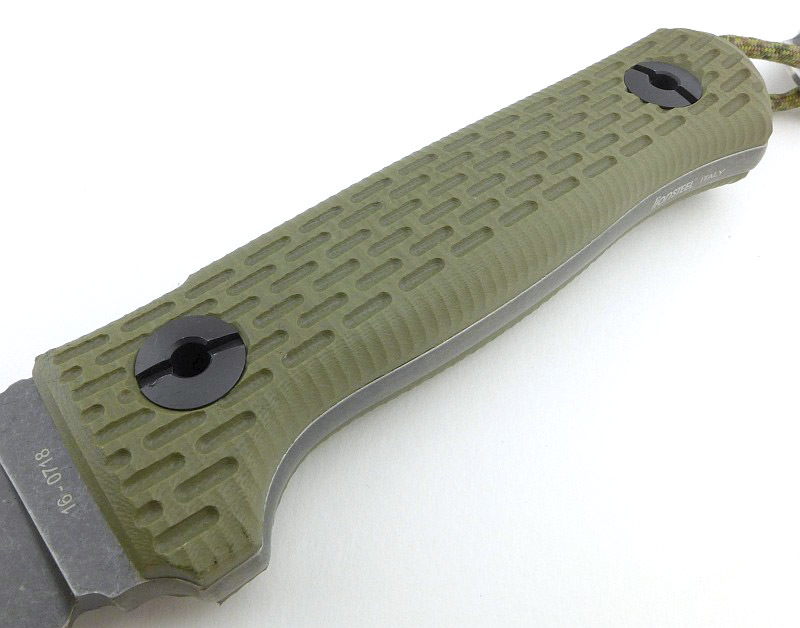 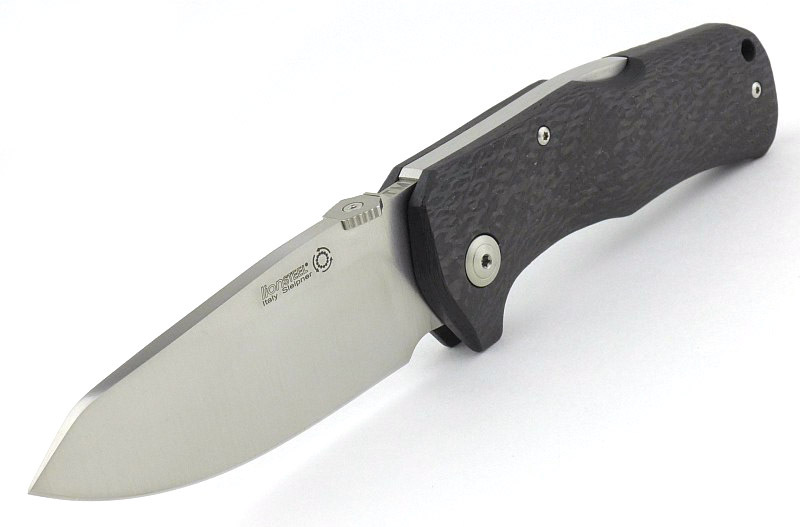 Using flat Titanium handles and a Reeve Integral Lock keeps the design streamlined and simple. 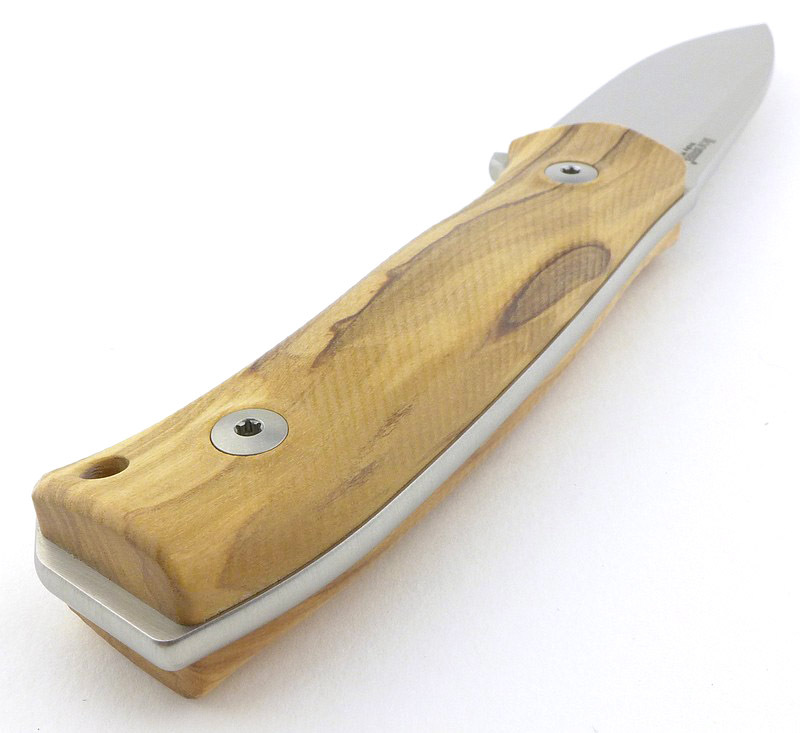 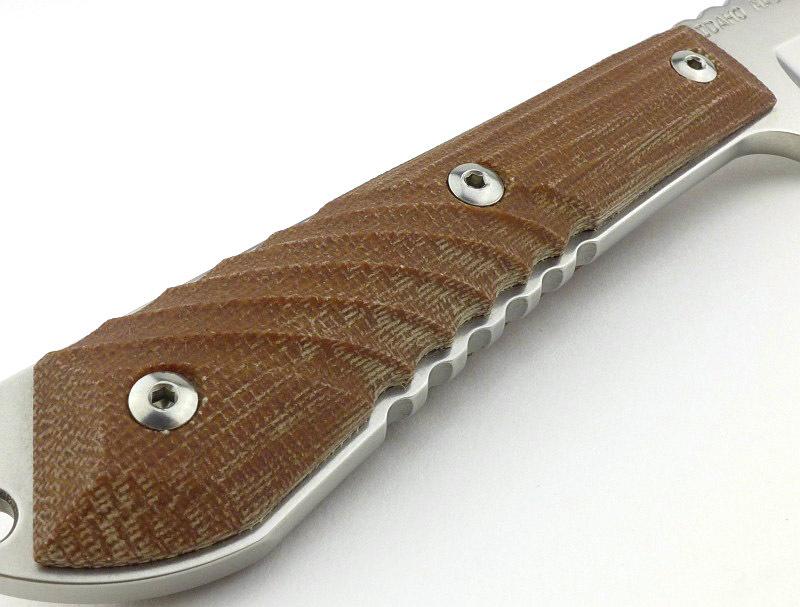 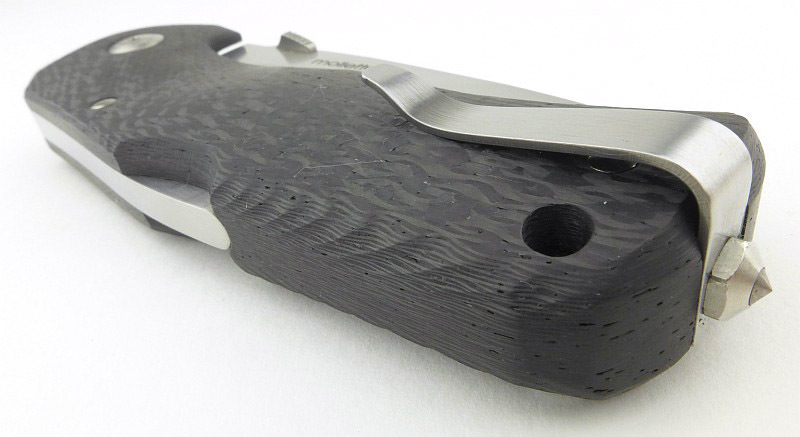 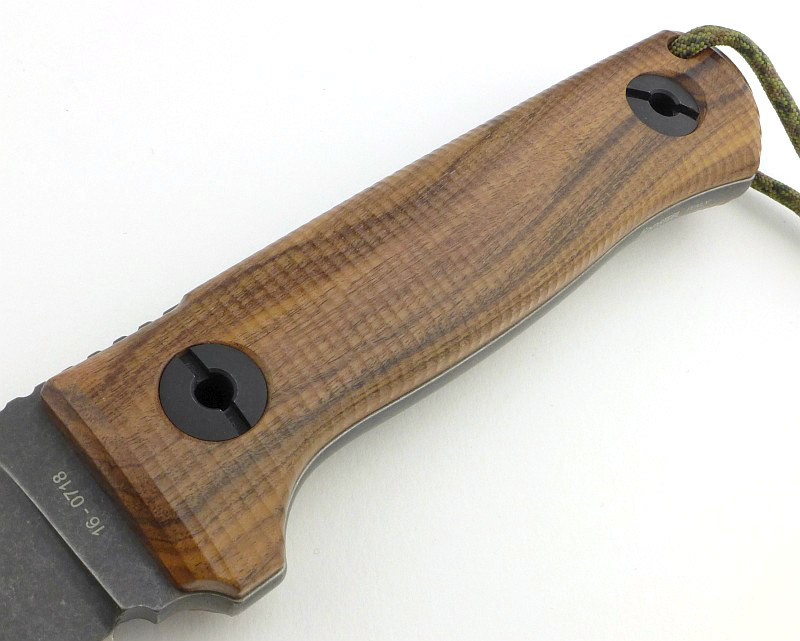 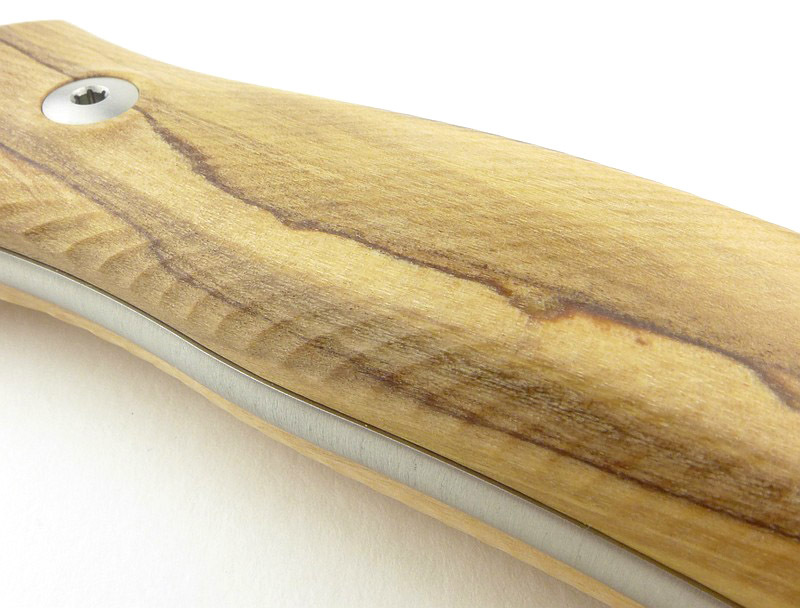 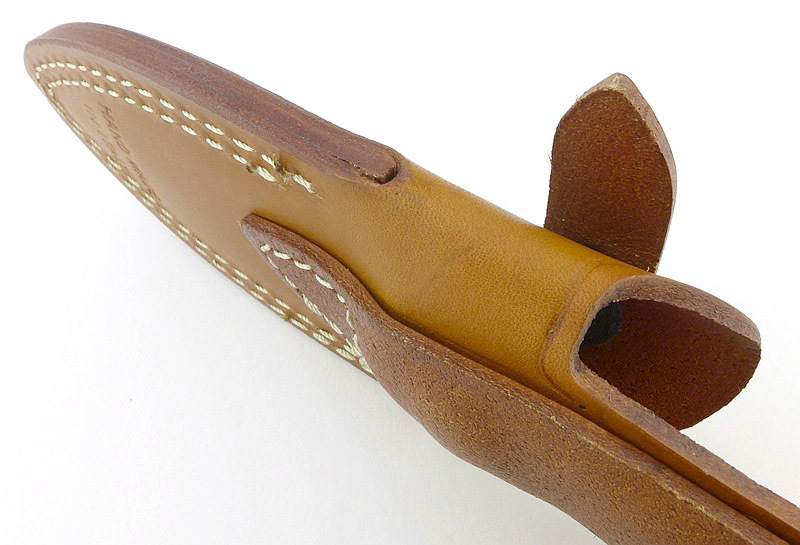 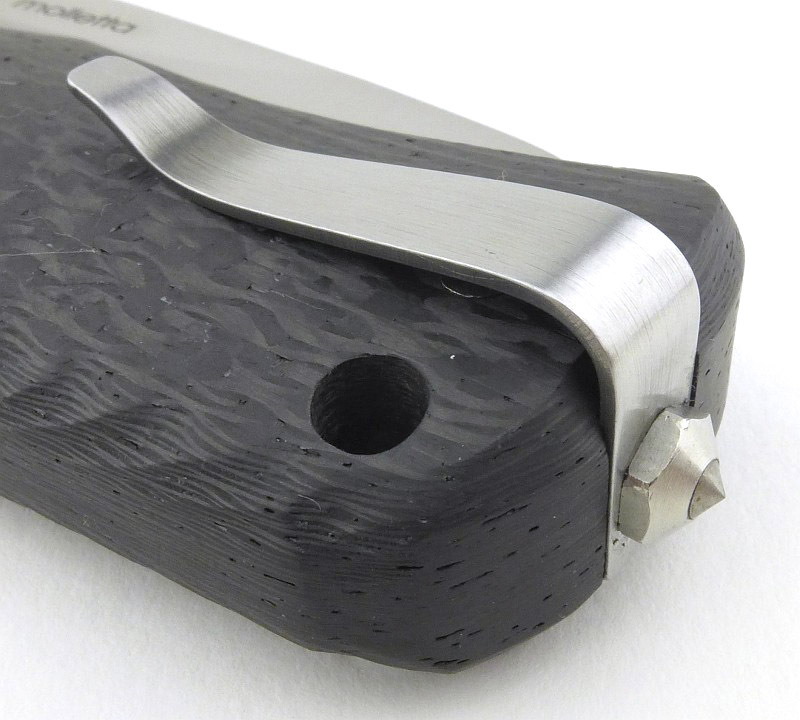 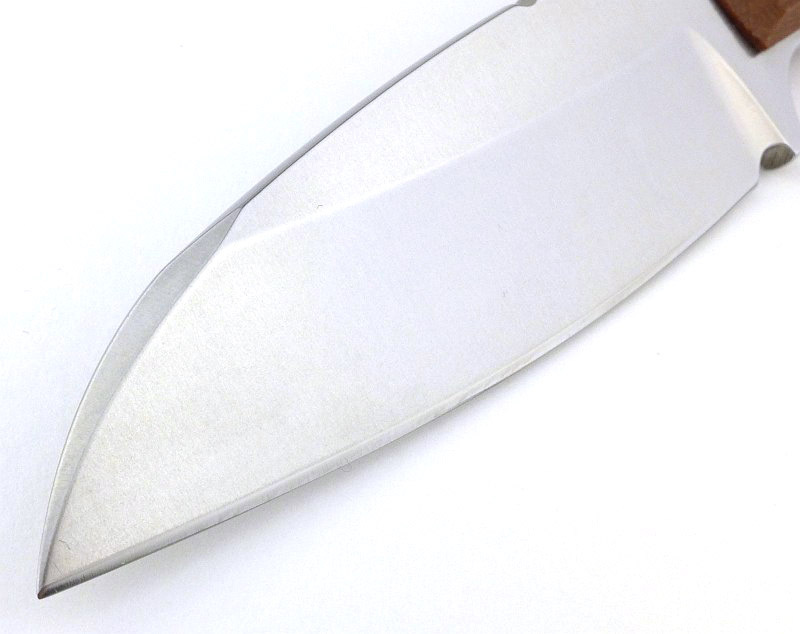 The gently curving and elegant design is by the Polish custom knifemaker Marcin Slysz. 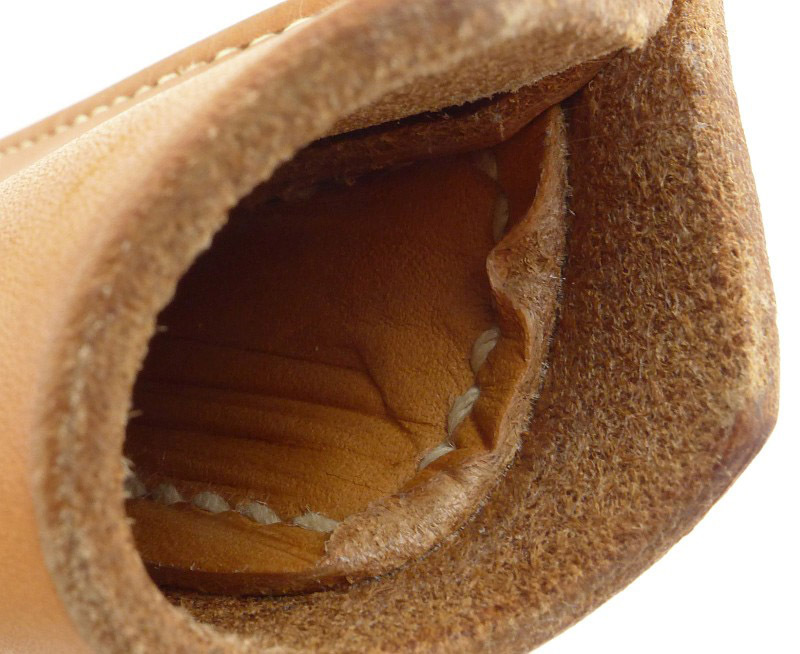 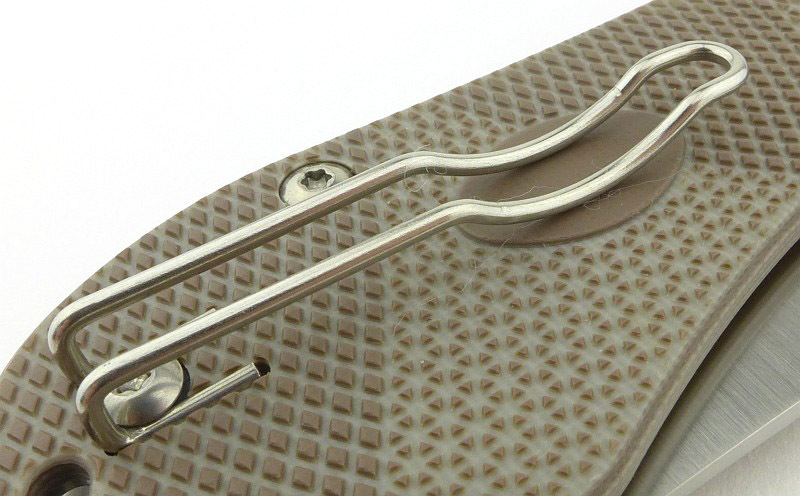 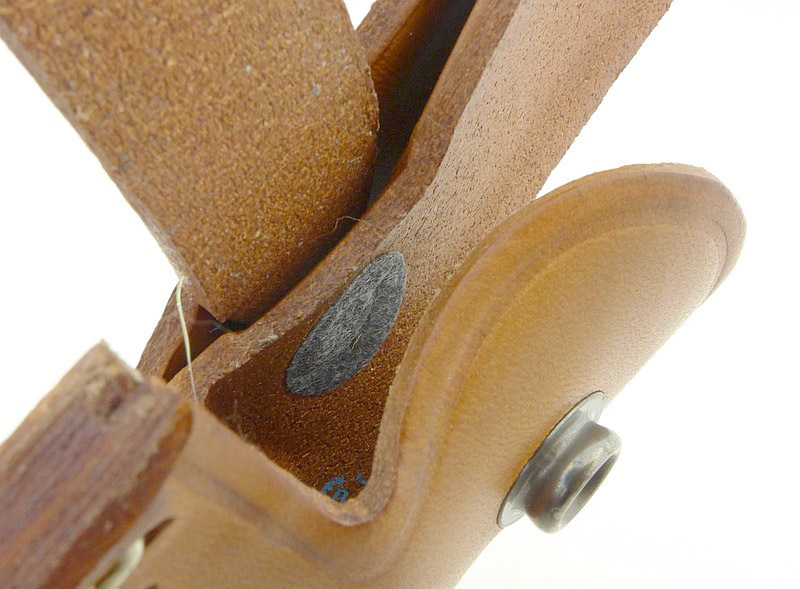 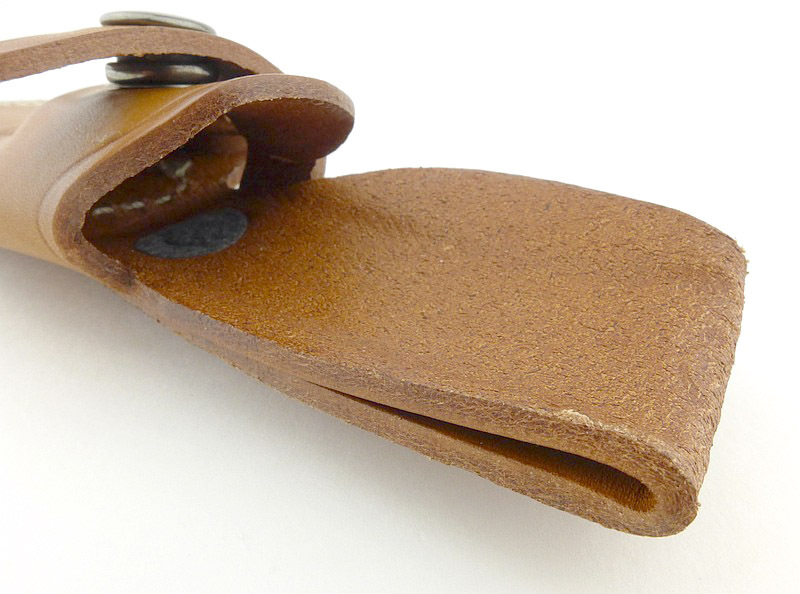 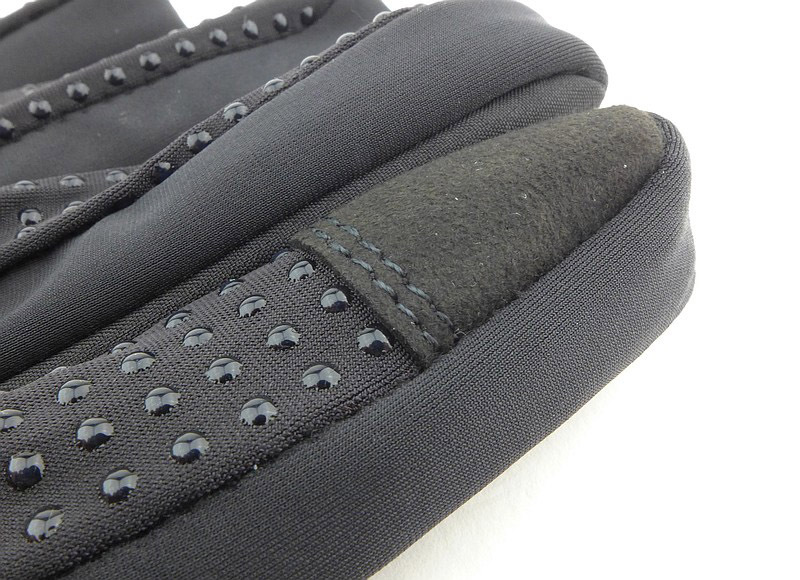 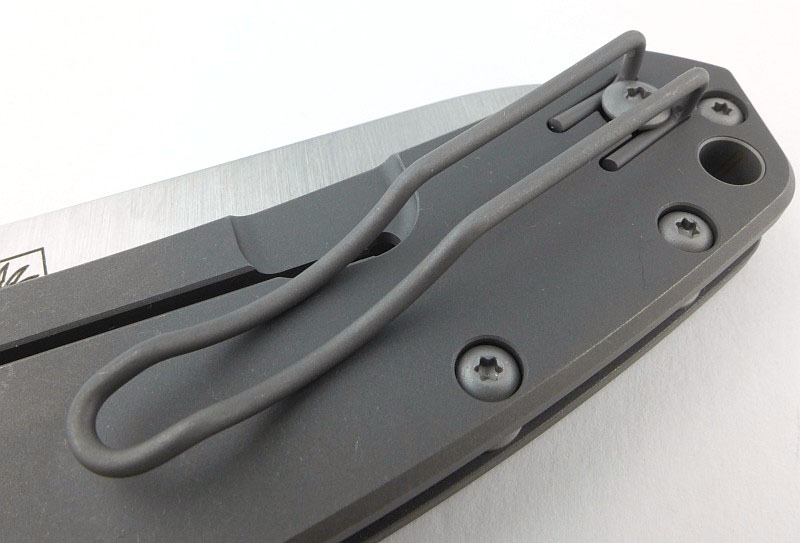 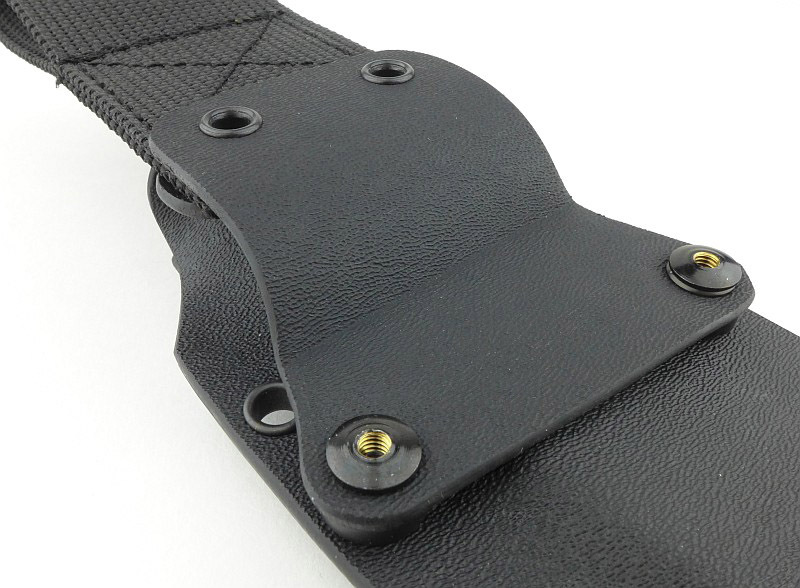 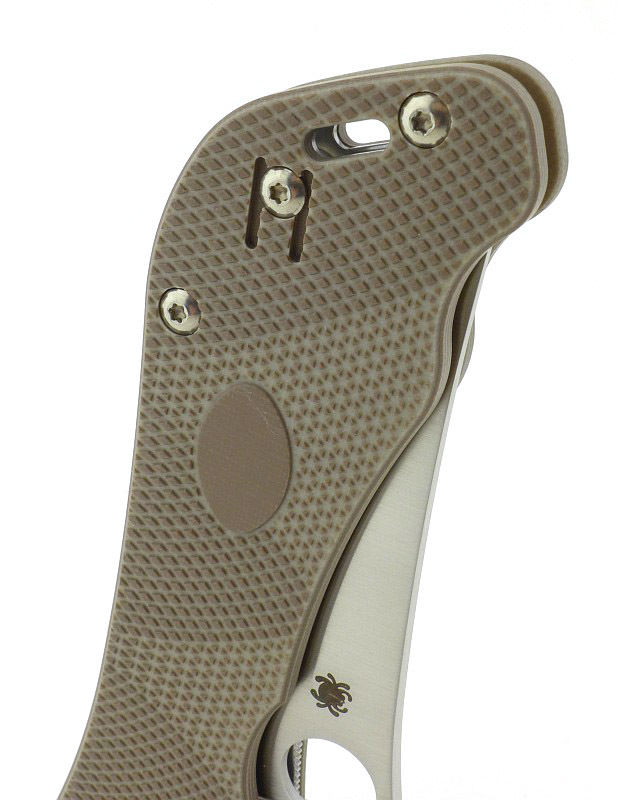 Being a Spyderco, we have a Spyderco wire pocket clip. 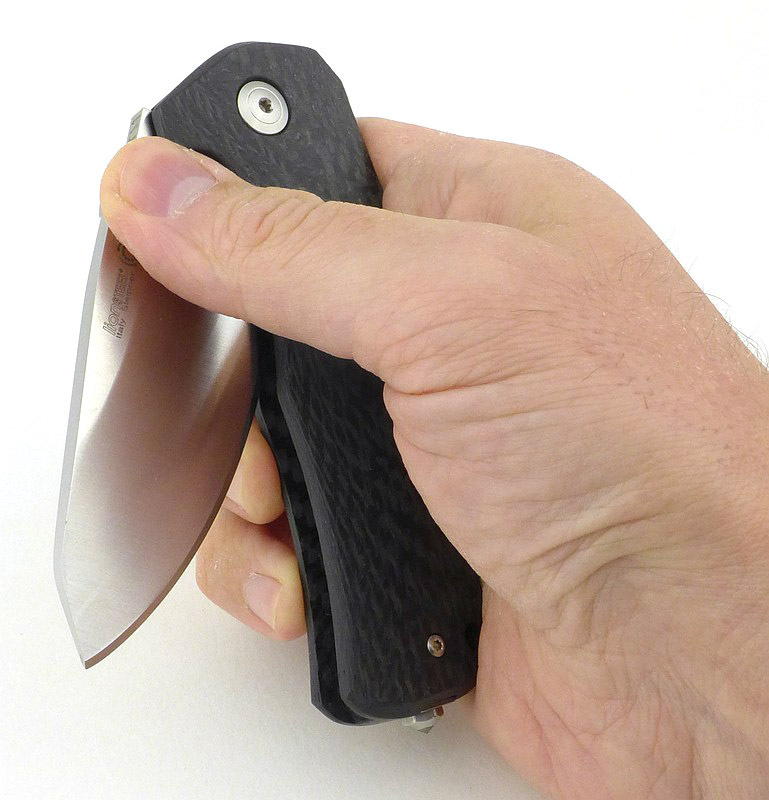 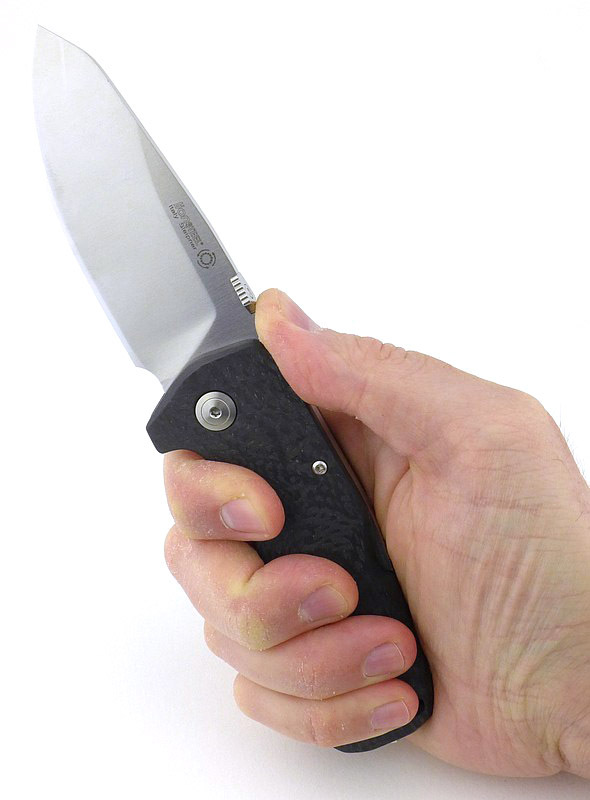 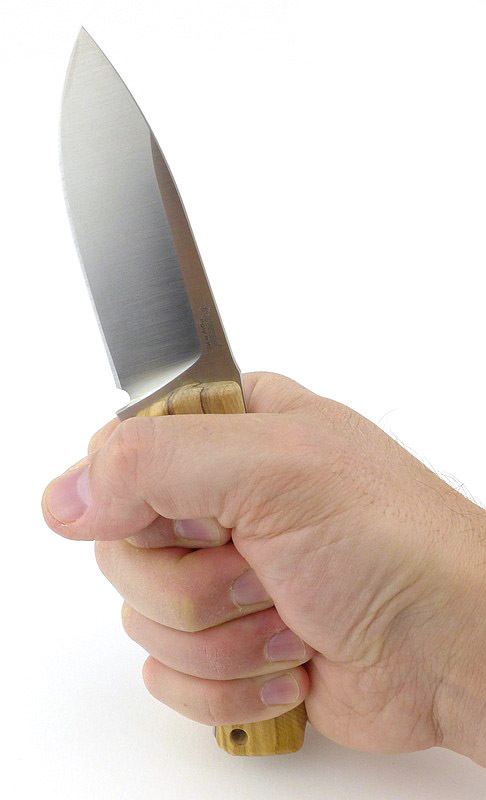 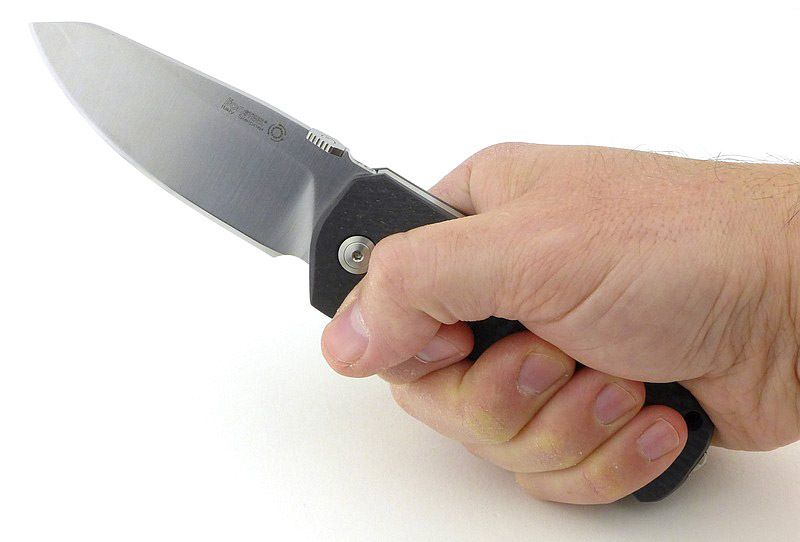 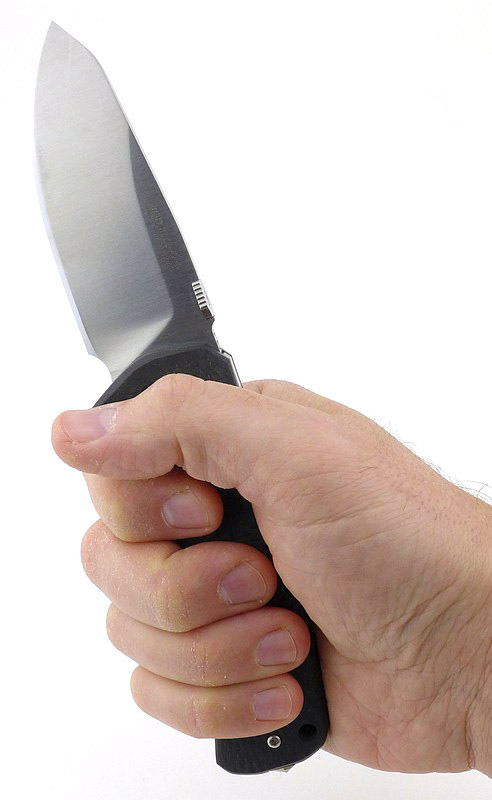 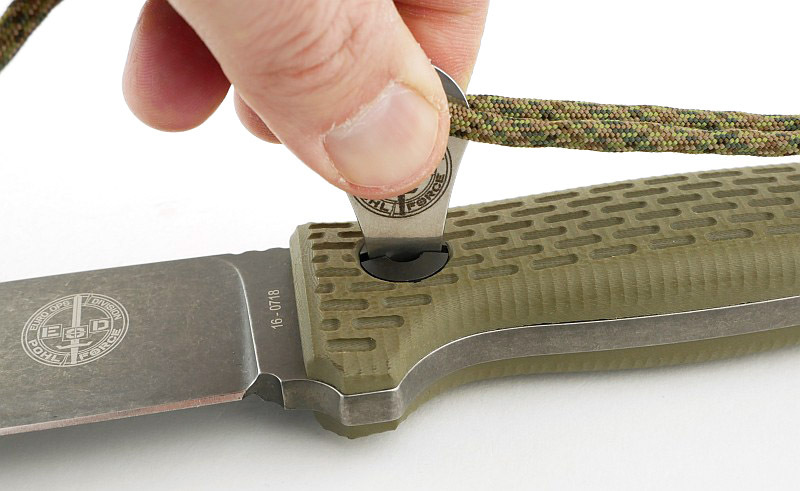 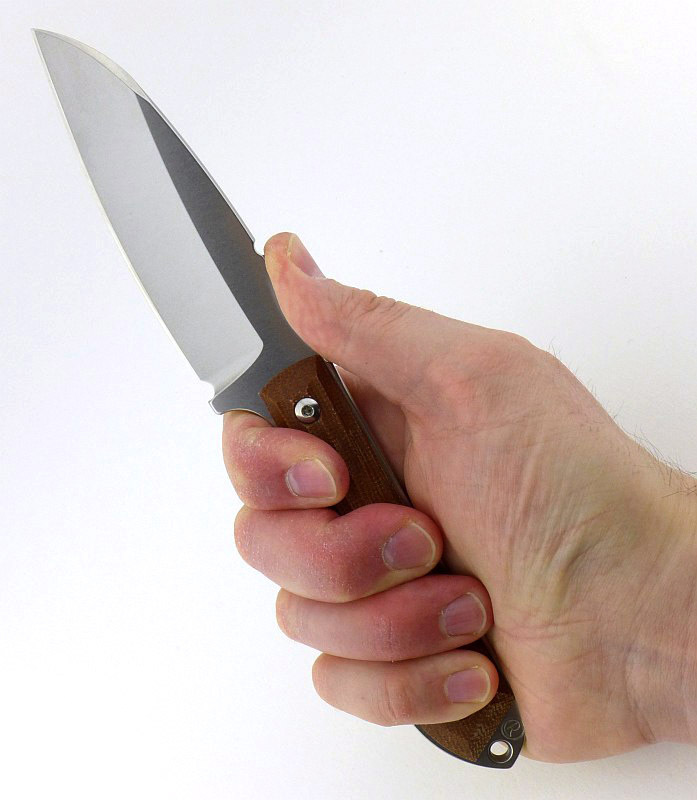 This can be fitted to either side of the knife for a tip-up carry. 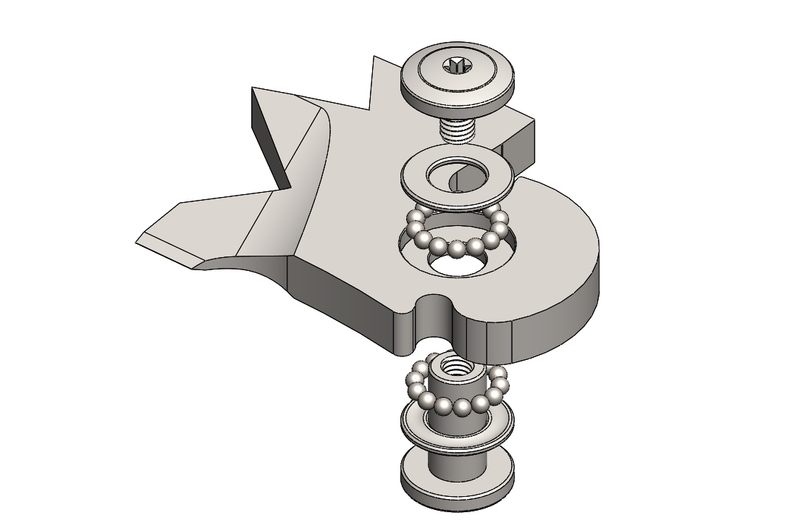 The alternate clip position with blanking screw. If you swap the clip side, you need to swap the screws round as they are different lengths. 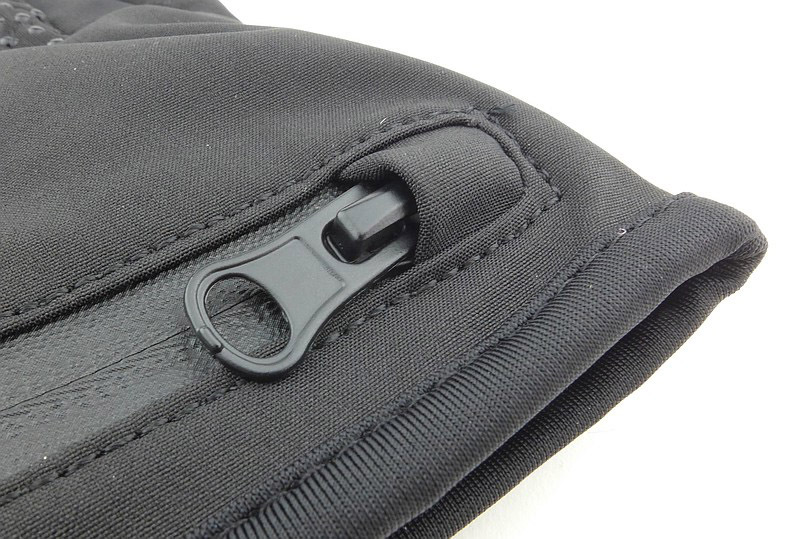 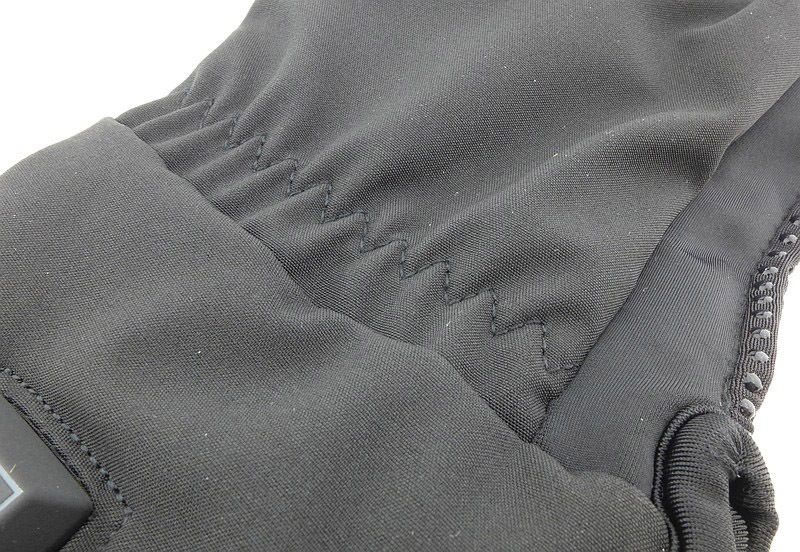 The Lanyard hole is lined to make it easy to fit cord through both sides of the handle. 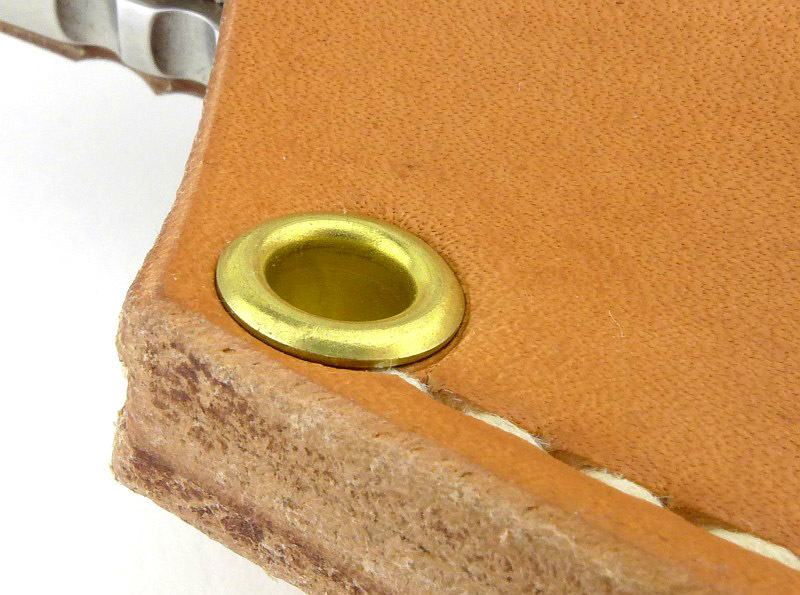 A 12mm opening hole is comfortable to use for right-handers and has a nice cut-out in the handle to give easy access, but as you can see, the reverse of the hole is partially blocked by the lock bar, so this is not ideal for left-handers. 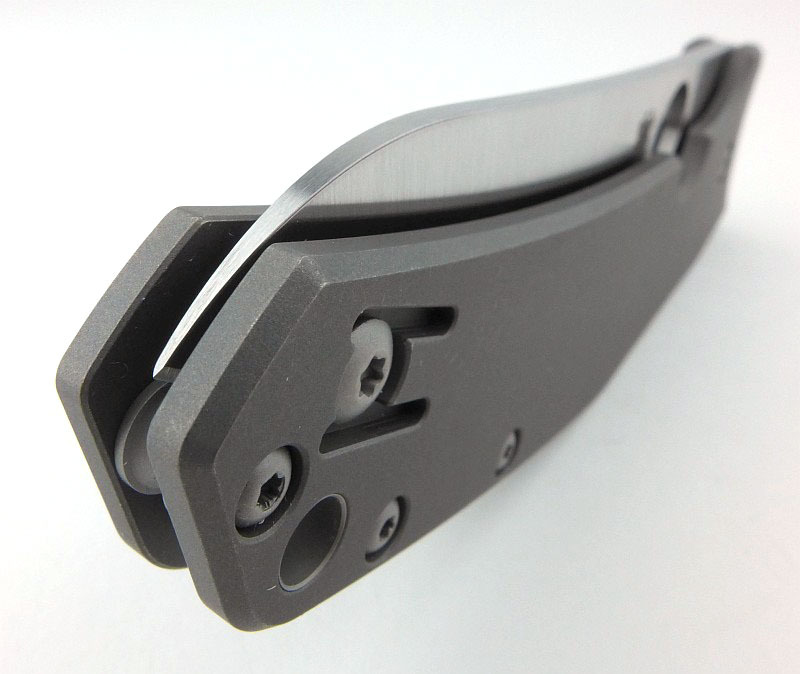 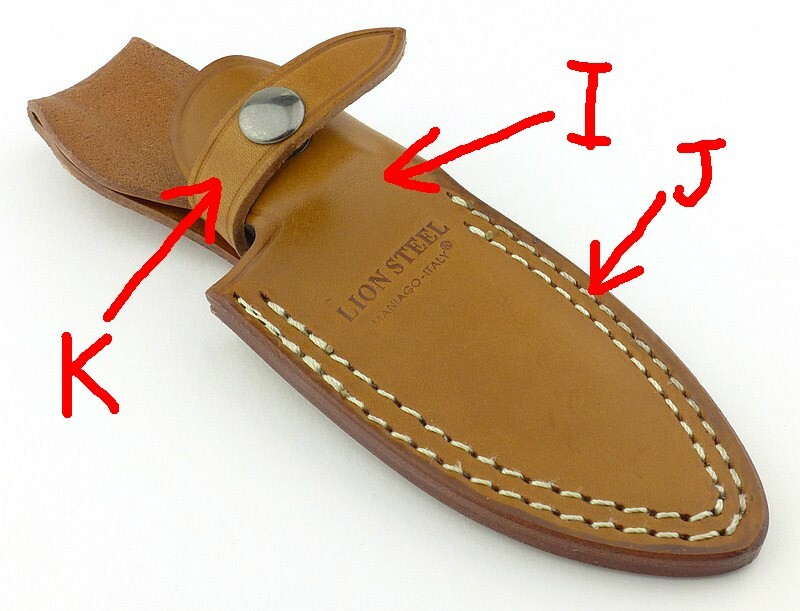 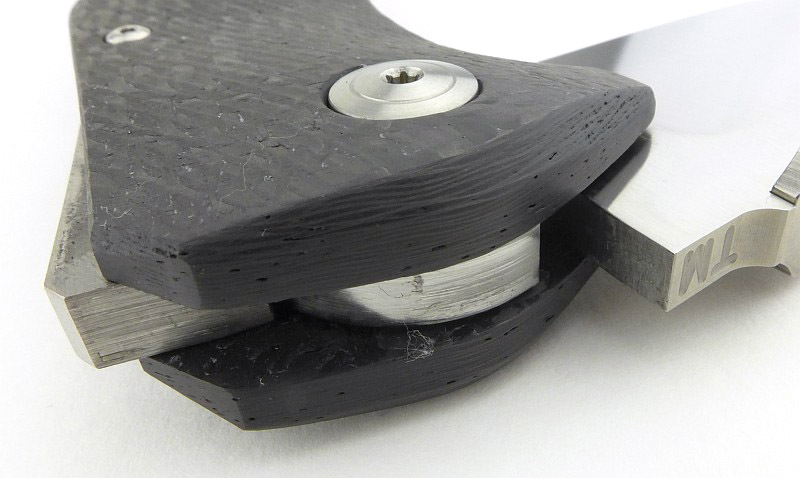 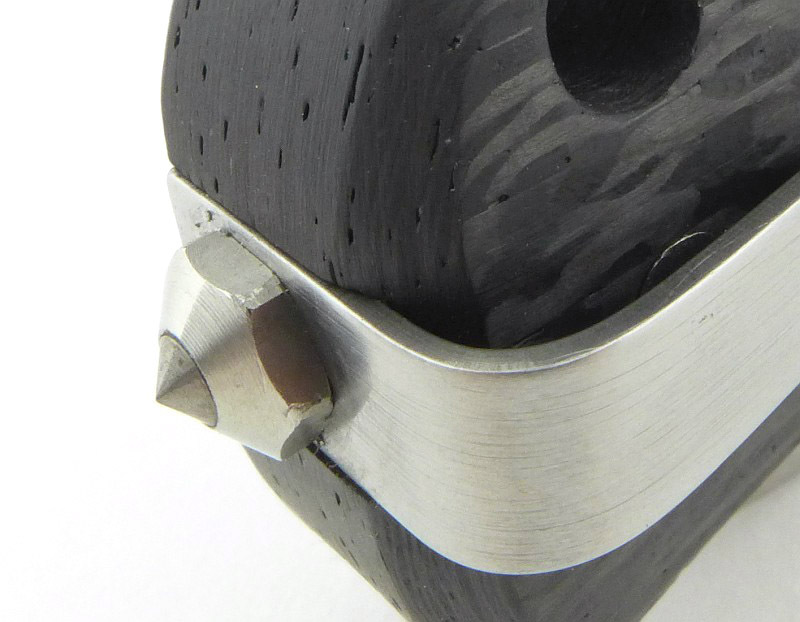 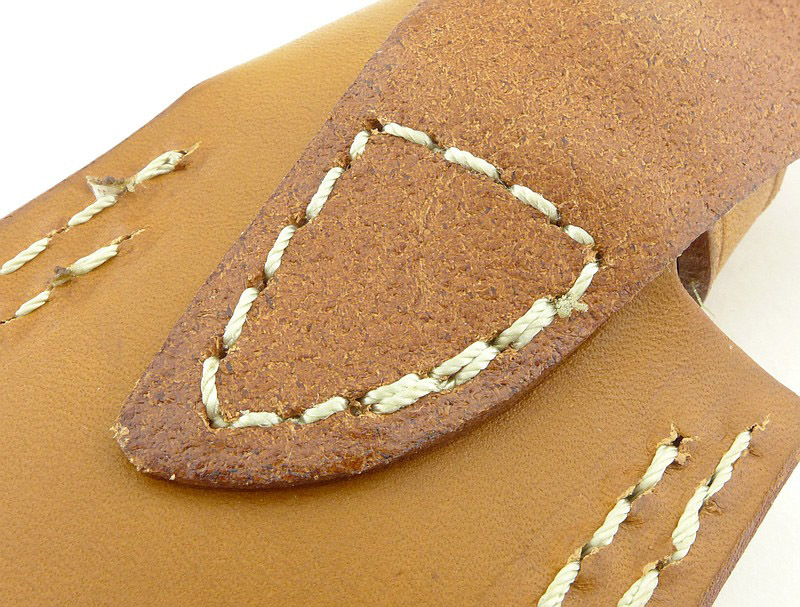 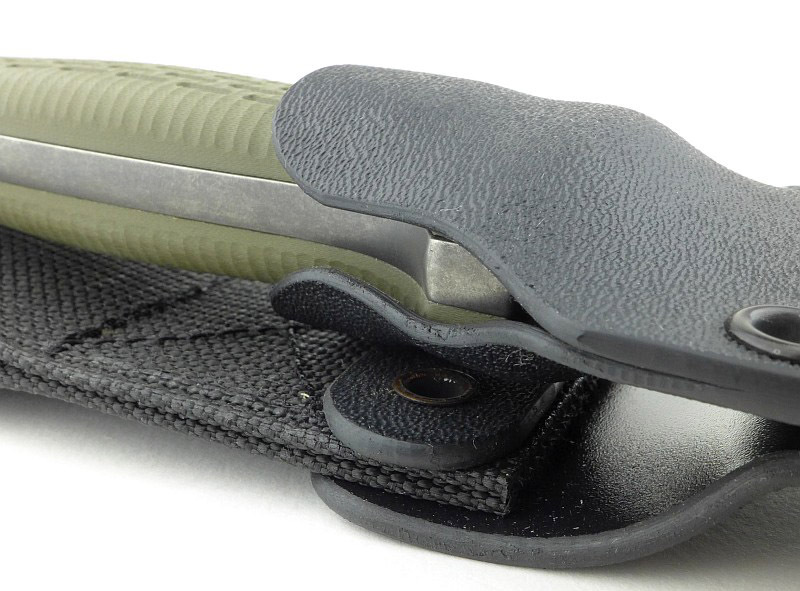 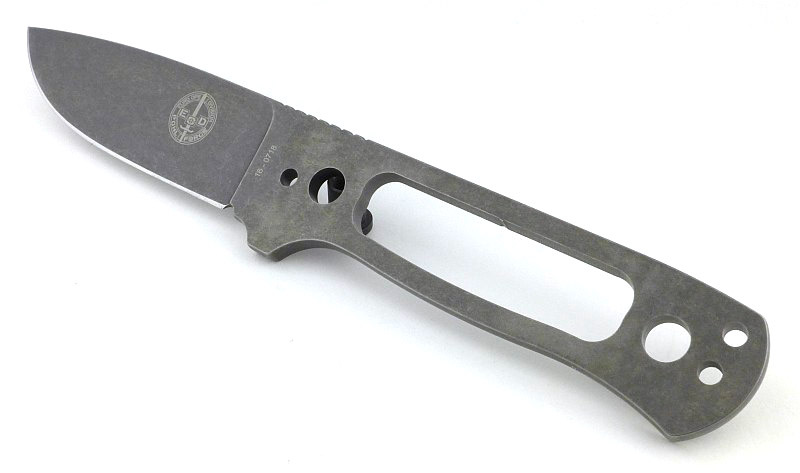 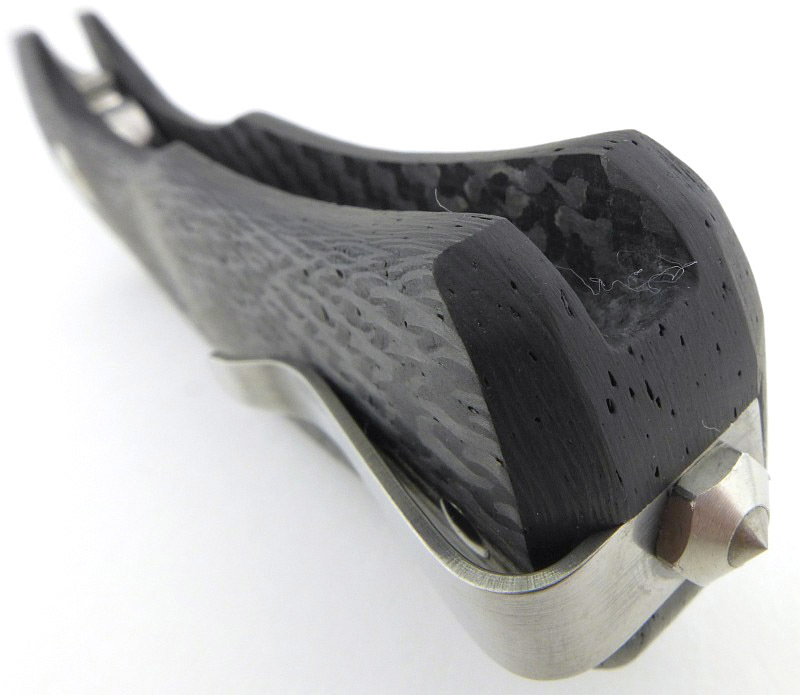 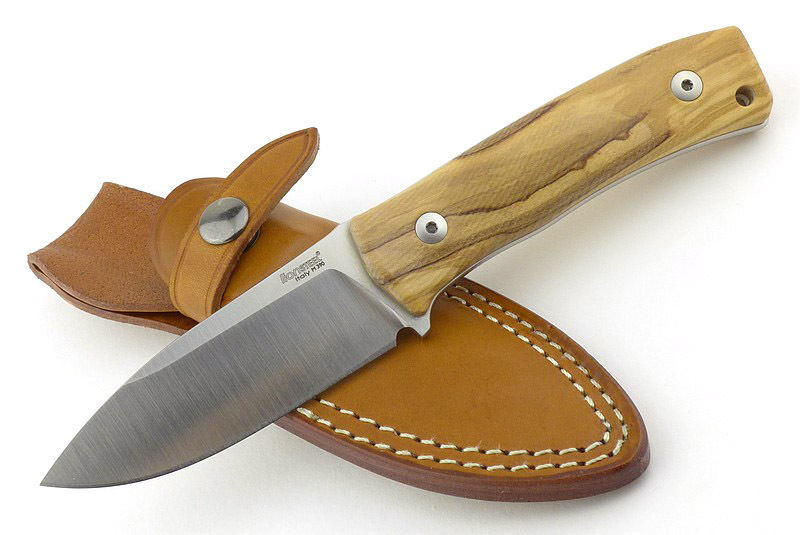 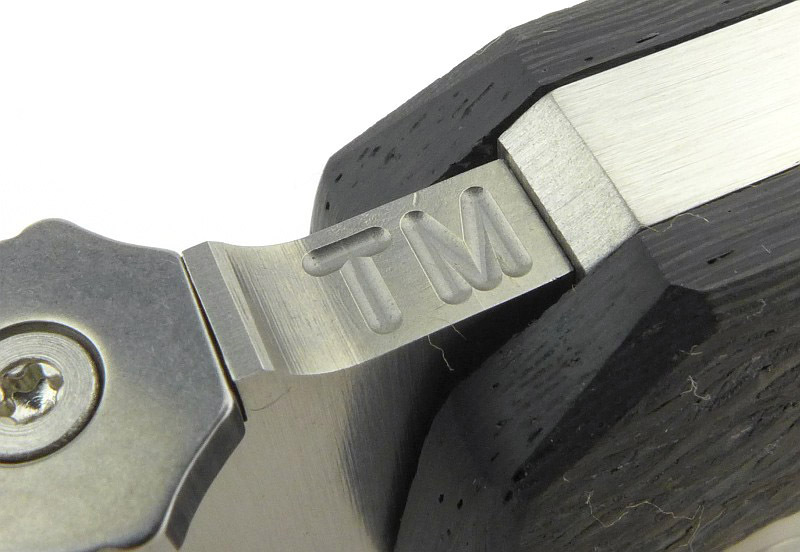 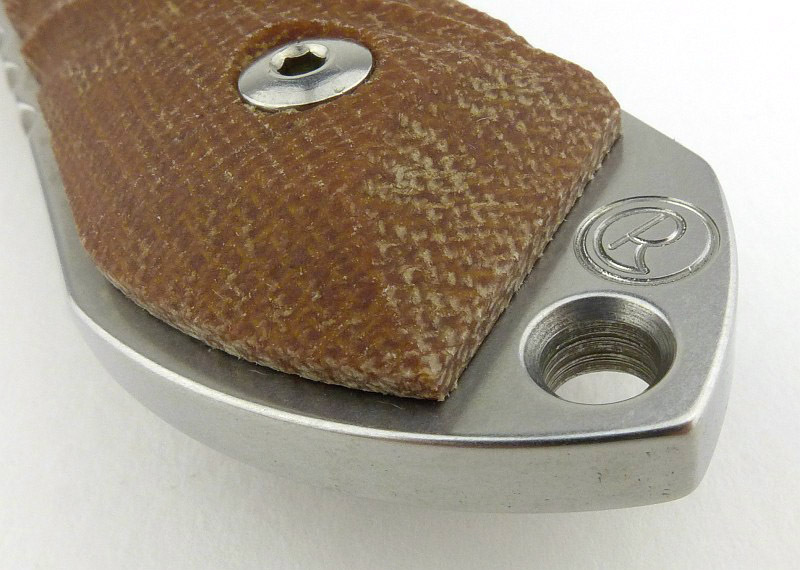 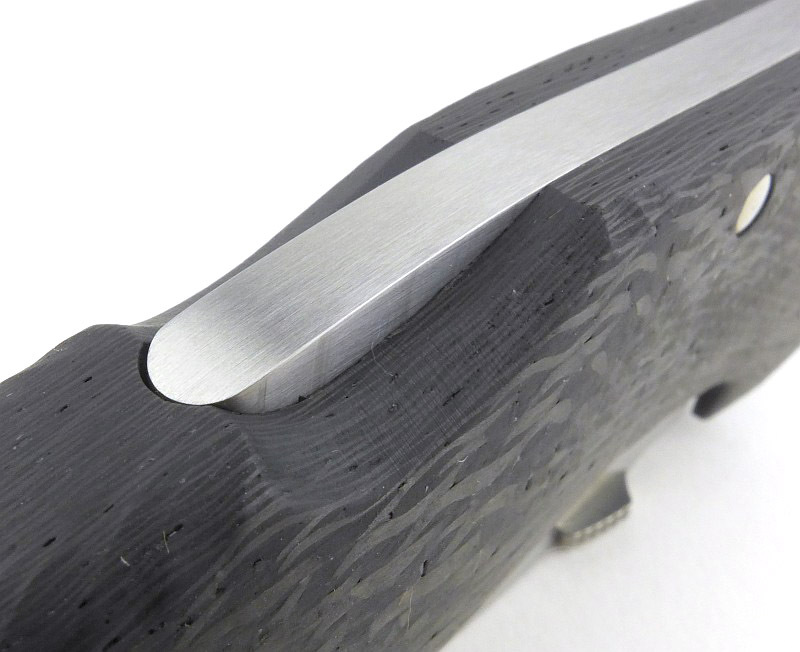 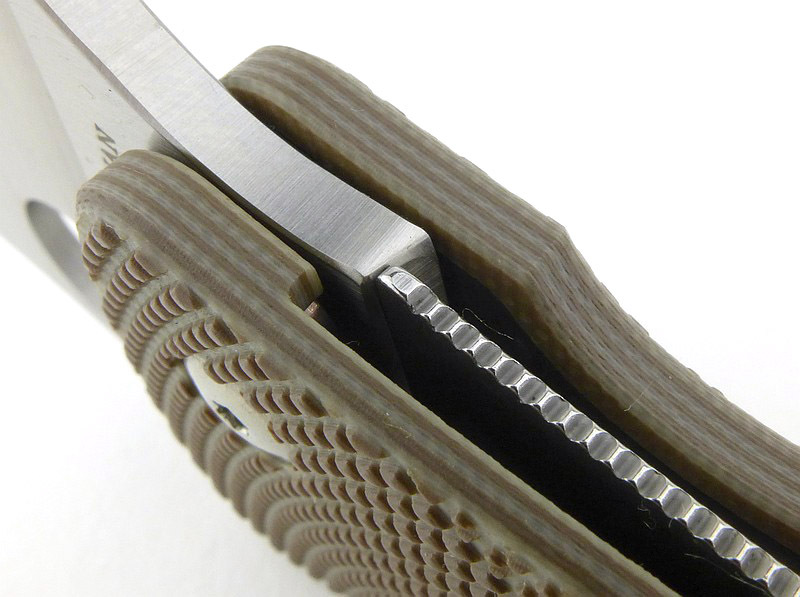 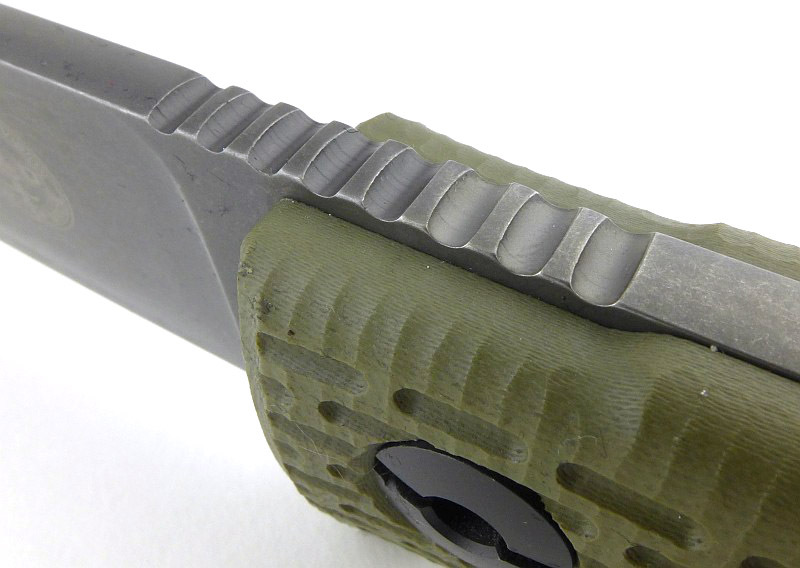 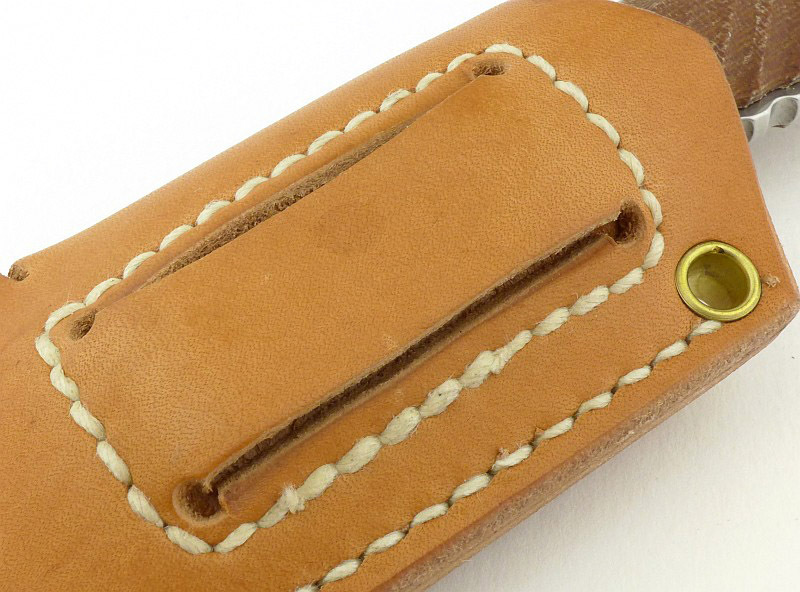 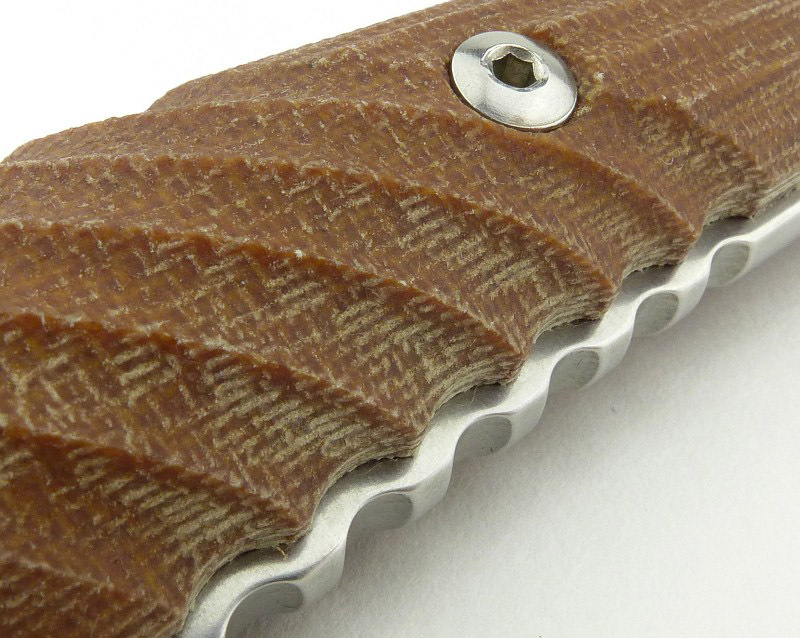 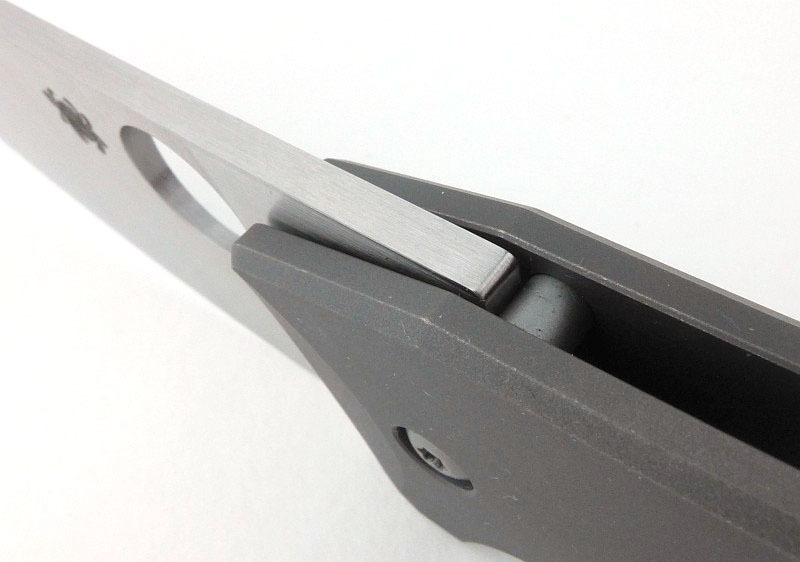 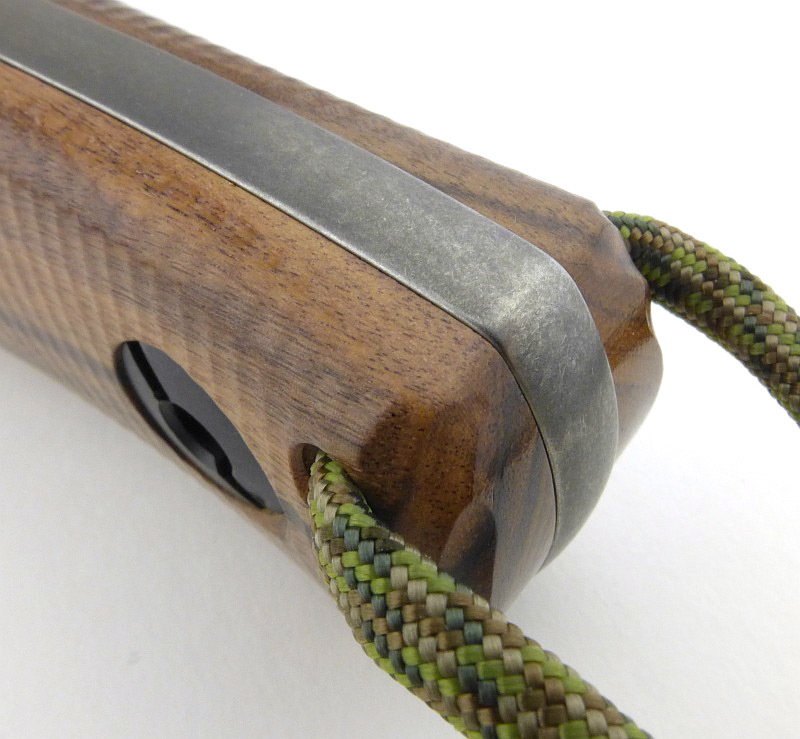 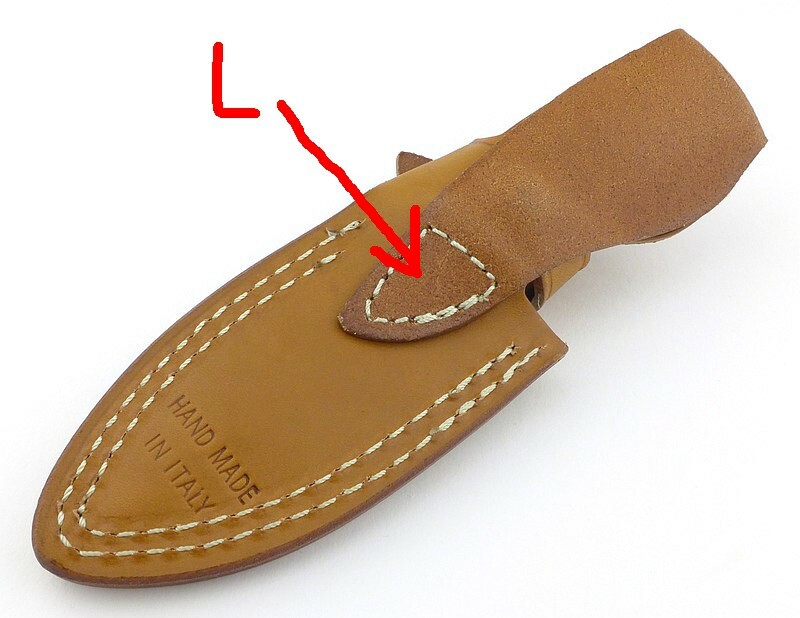 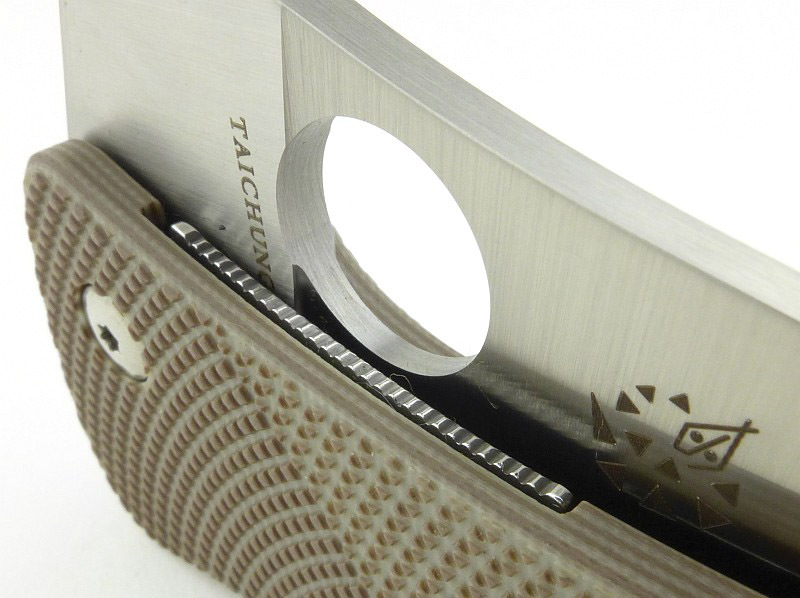 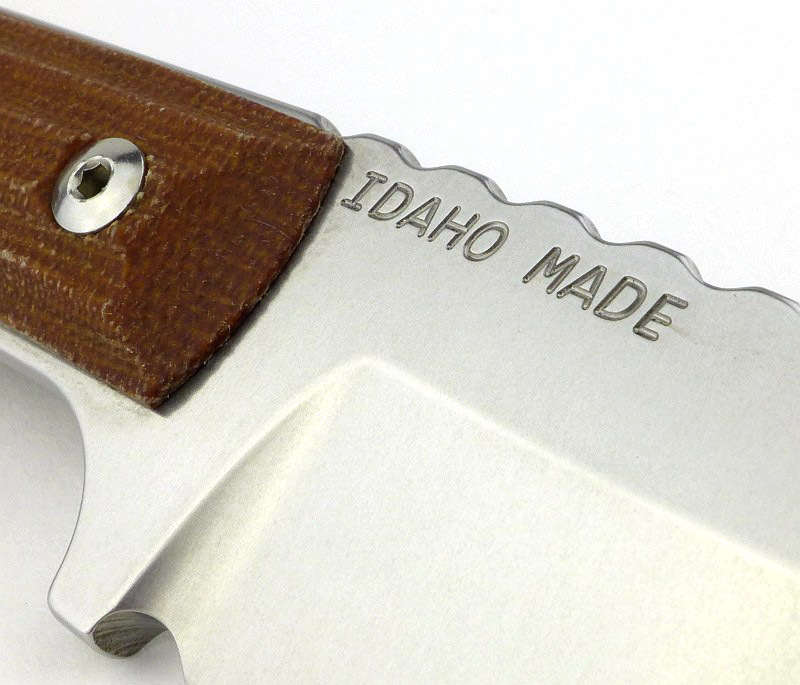 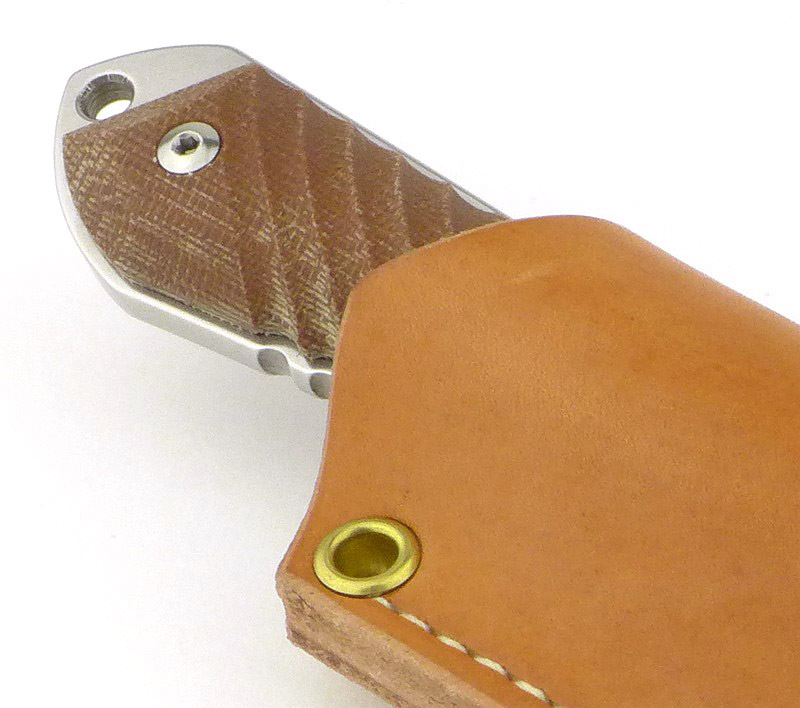 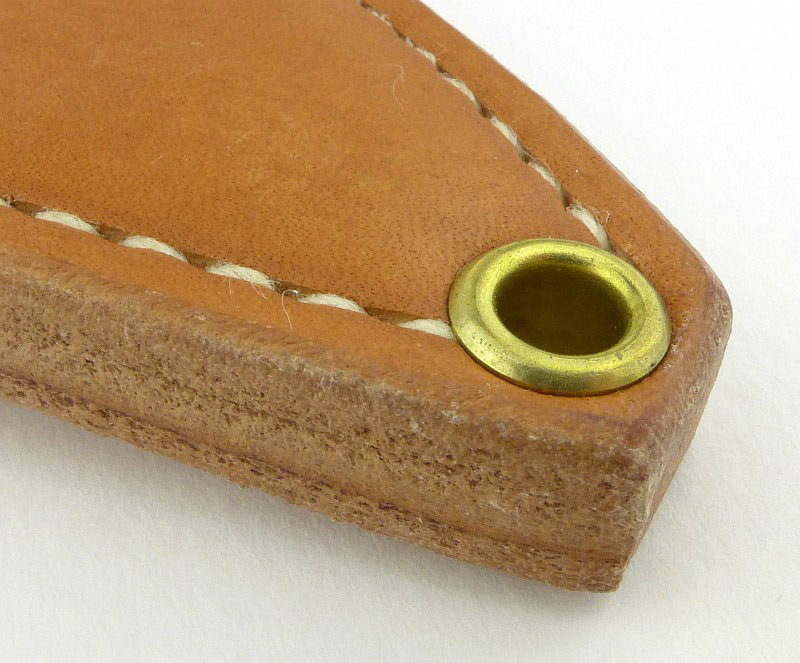 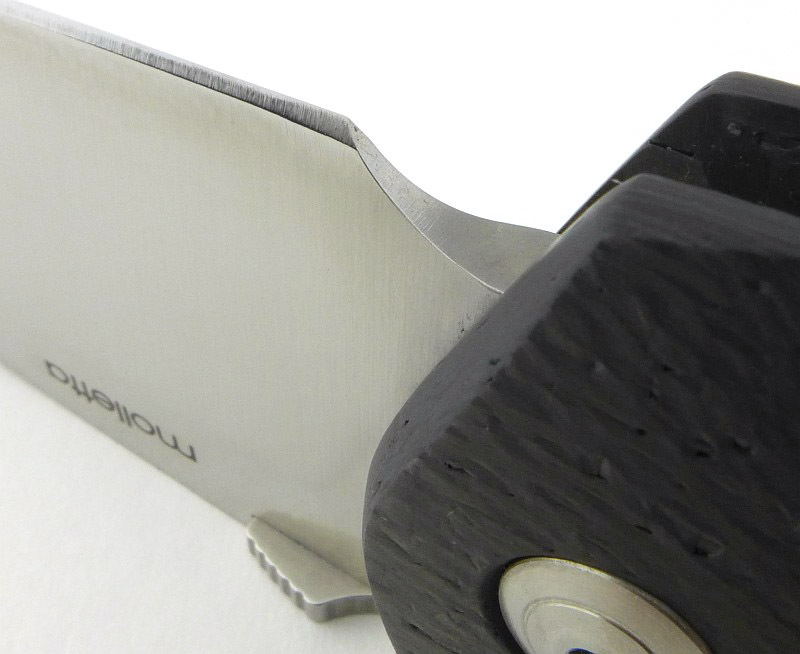 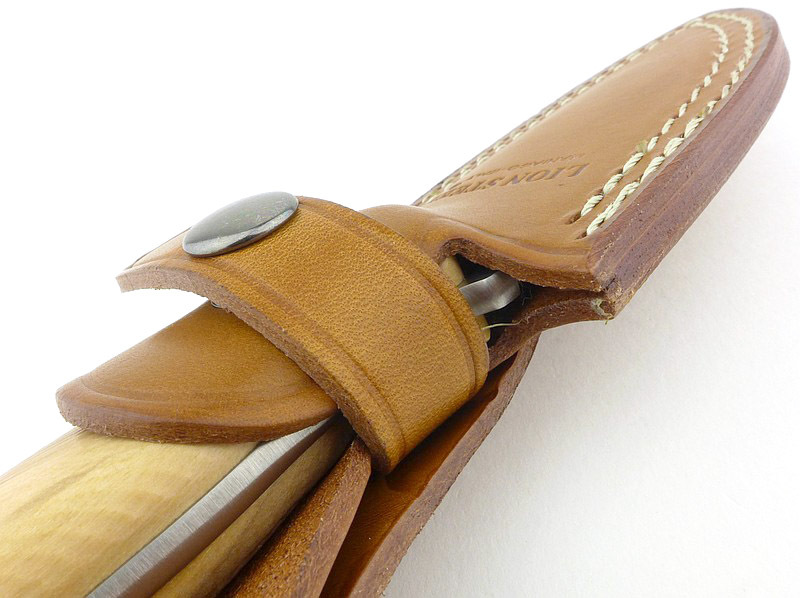 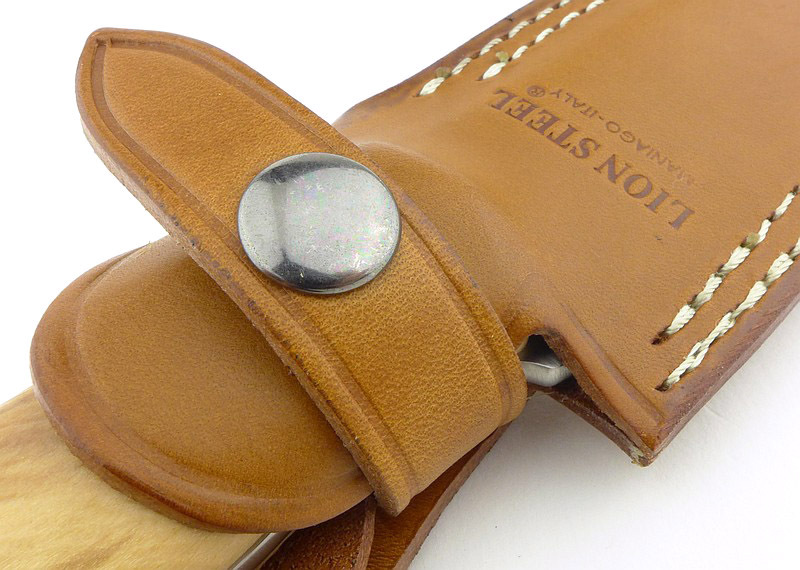 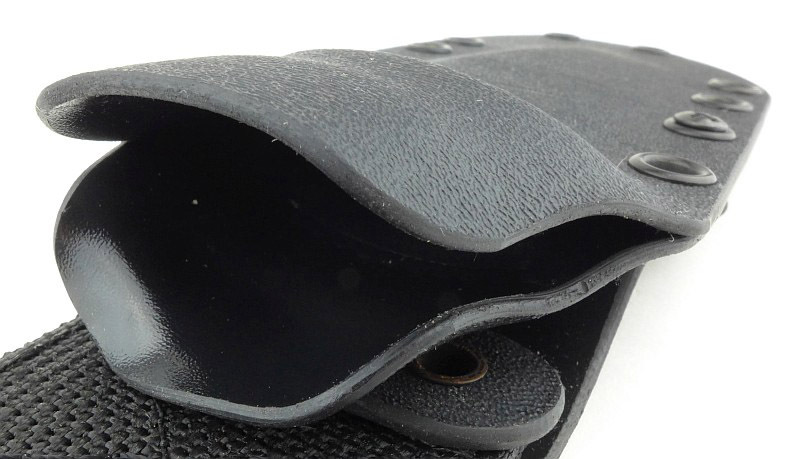 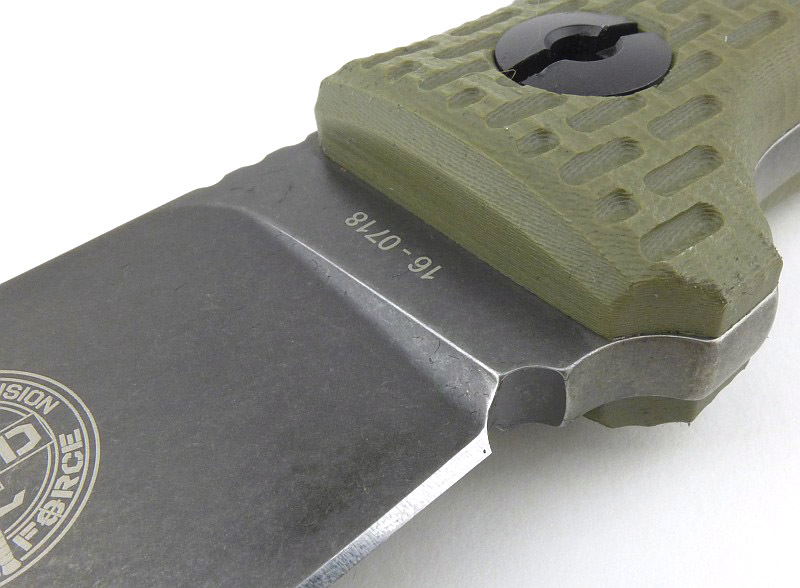 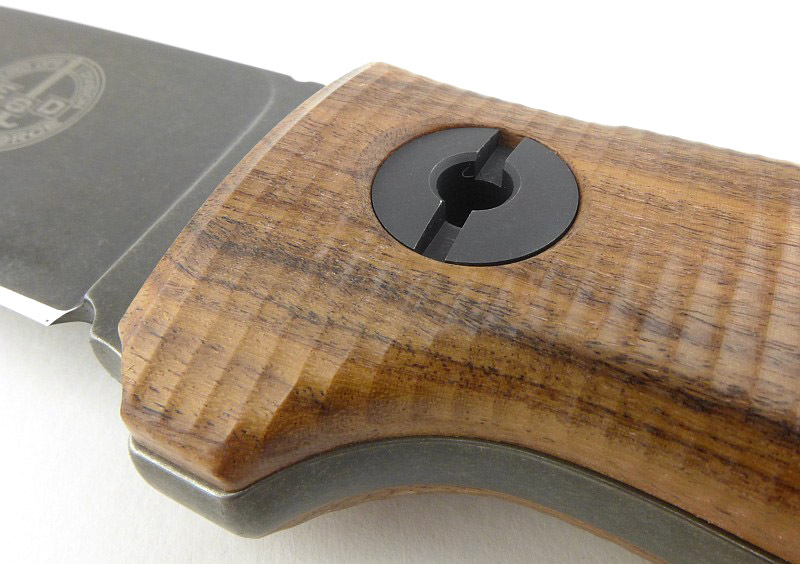 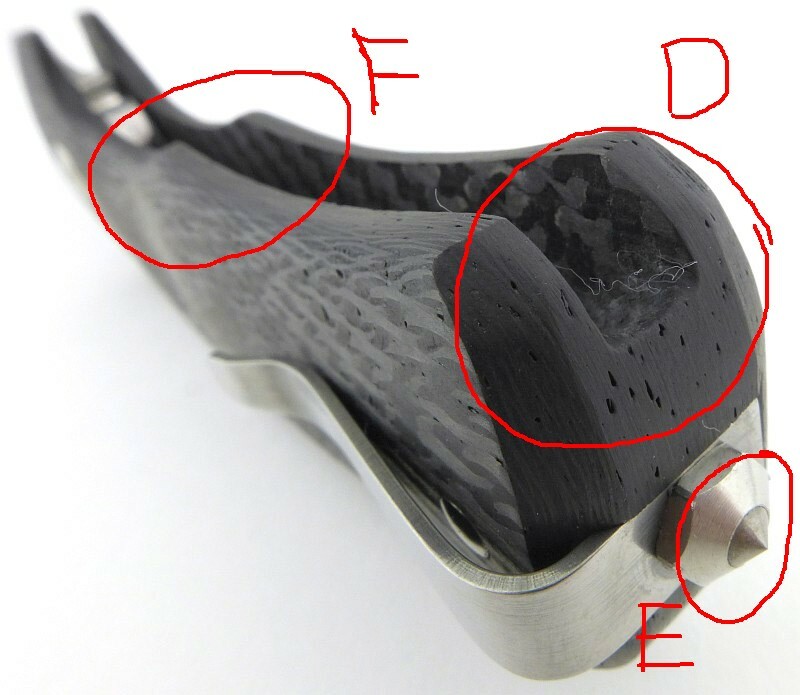 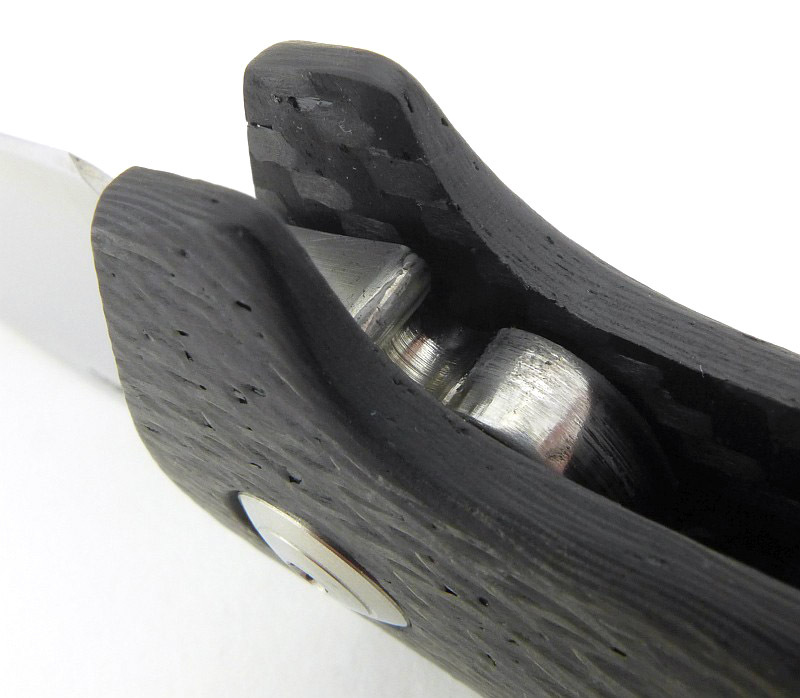 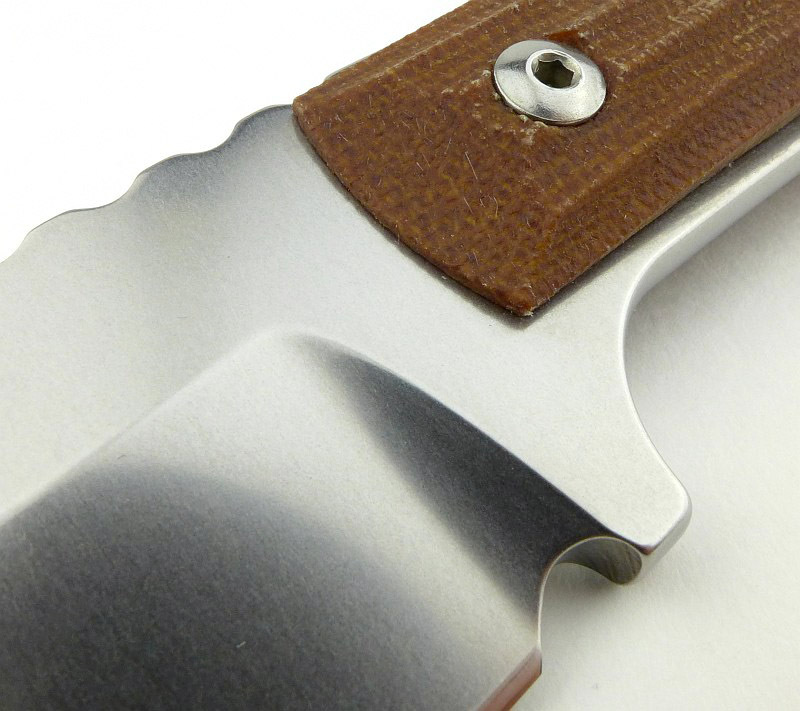 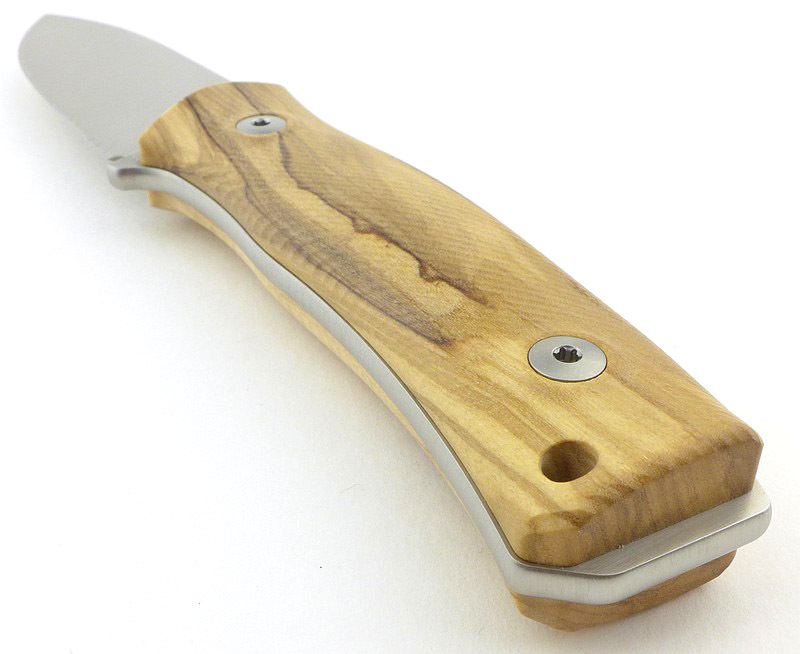 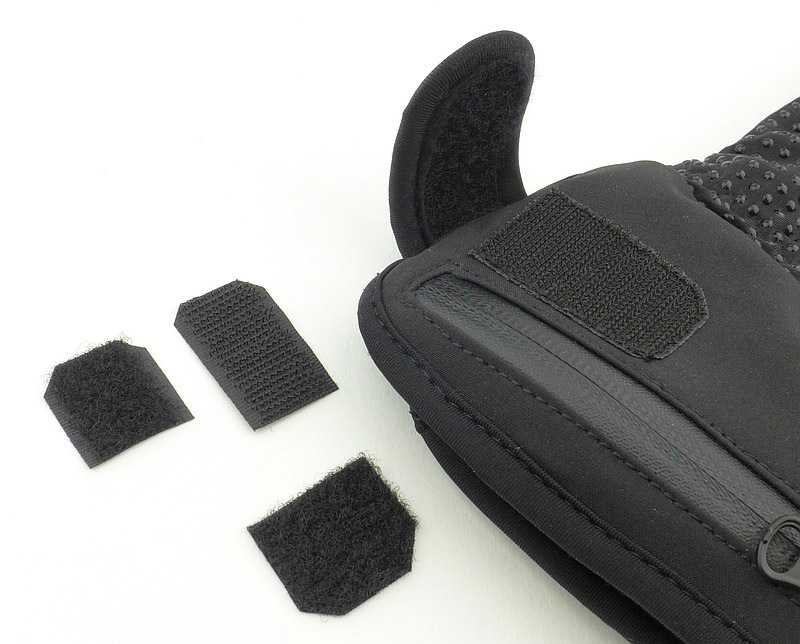 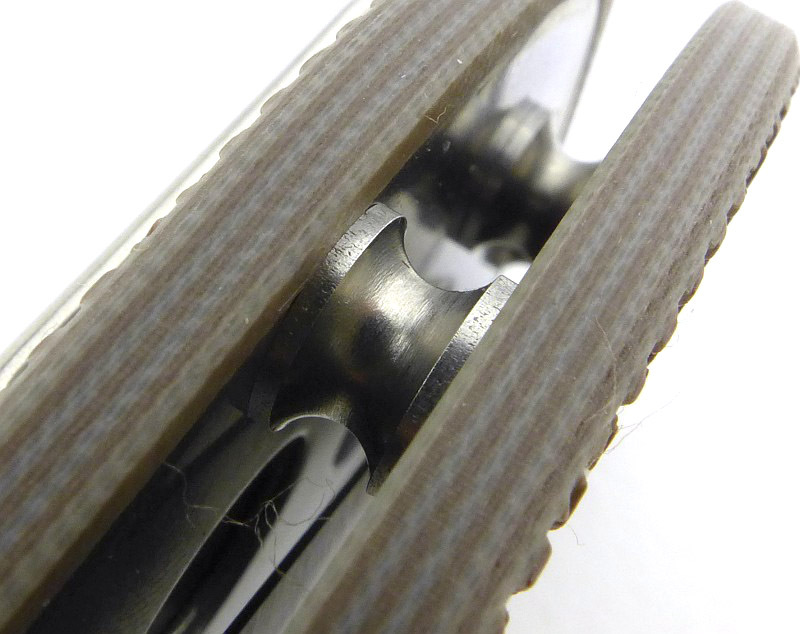 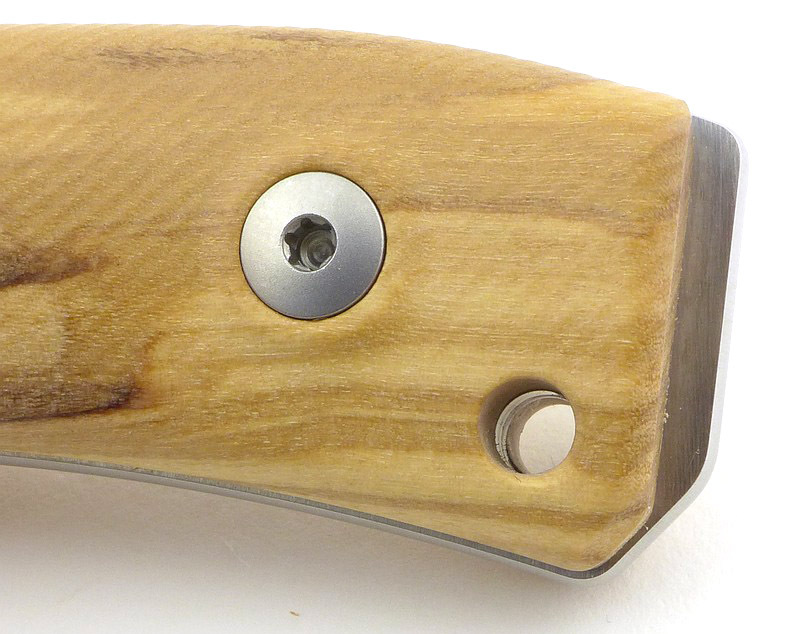 Details ‘make’ designs, and in this example, the finger guard formed by the handle titanium, and the spine of the blade have been positioned such that they line up when the blade is closed, keeping the outline of the closed knife smooth and tidy. 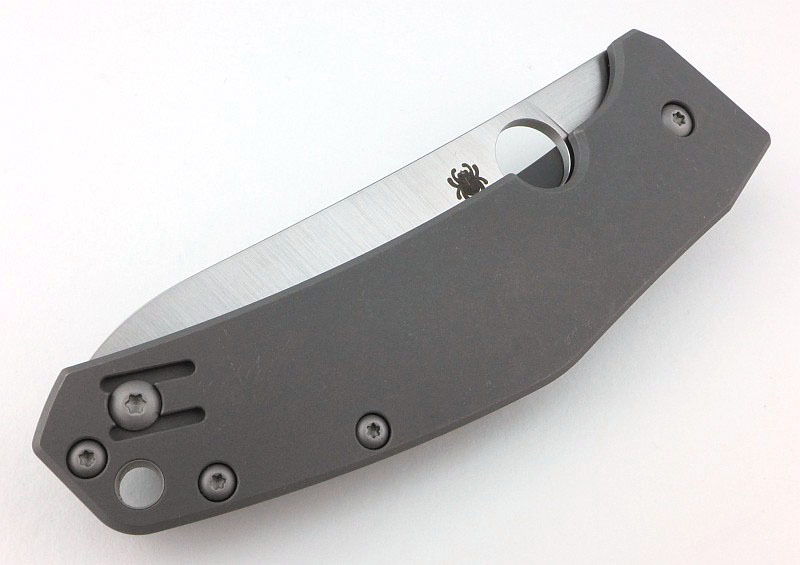 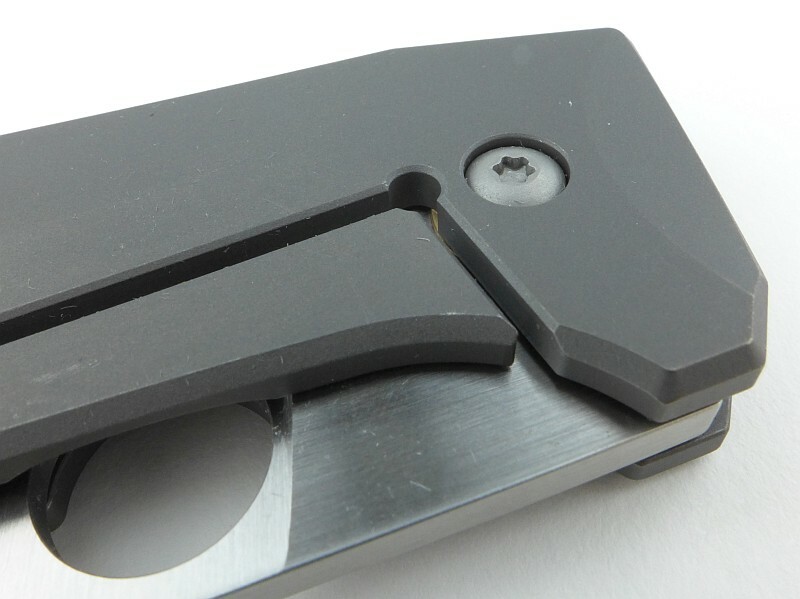 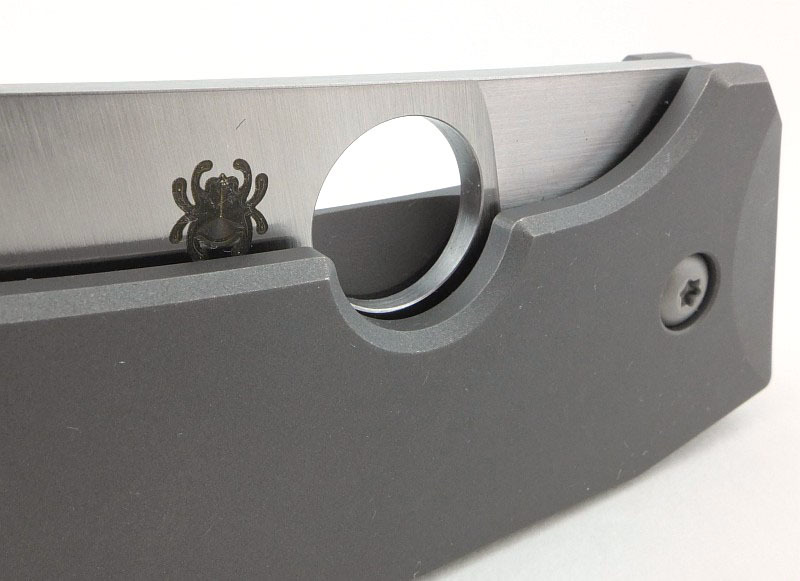 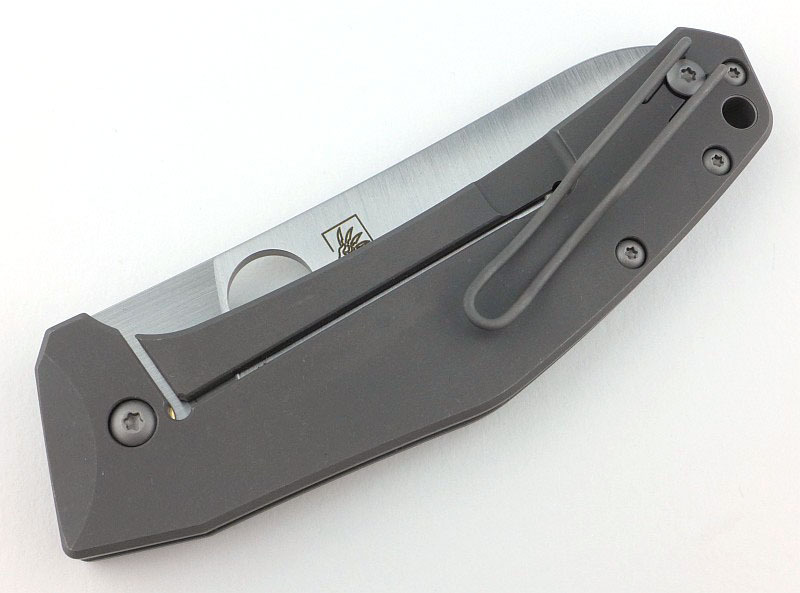 To make the SpydieChef easy to clean, small spacers have been used to give as much access as possible into the handle. Here I’m showing two specific details of the lock-bar spring, the first is the thinning of the handle scale to reduce the spring tension, and the second is the stress-reducer hole drilled at the end of the lock-bar slot. 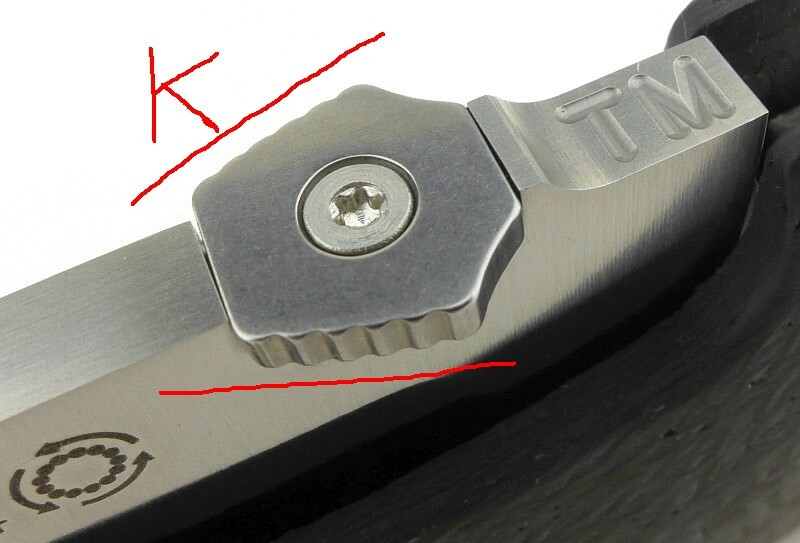 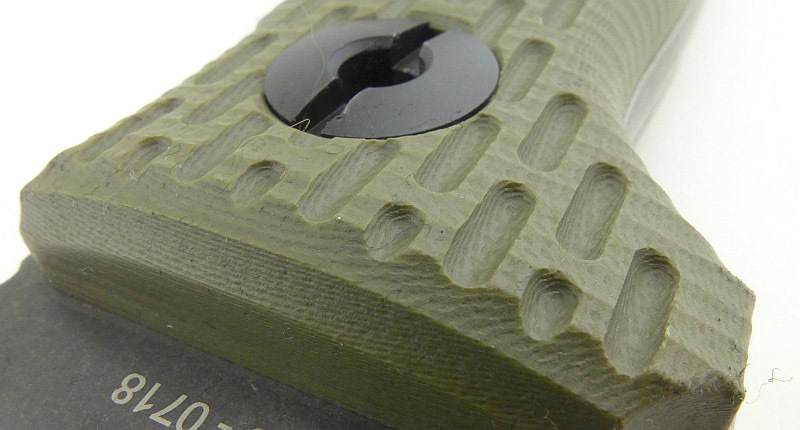 Similarly there is a stress-reducer hole drilled at the corner of the lock-bar cut out in the titanium scale. 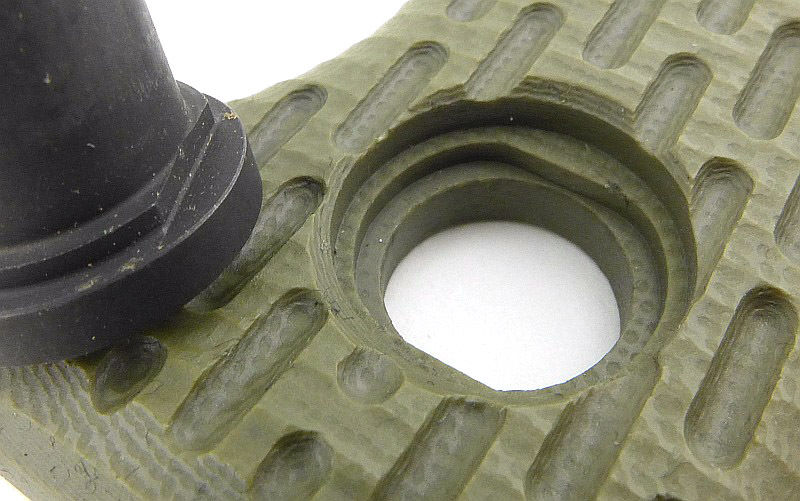 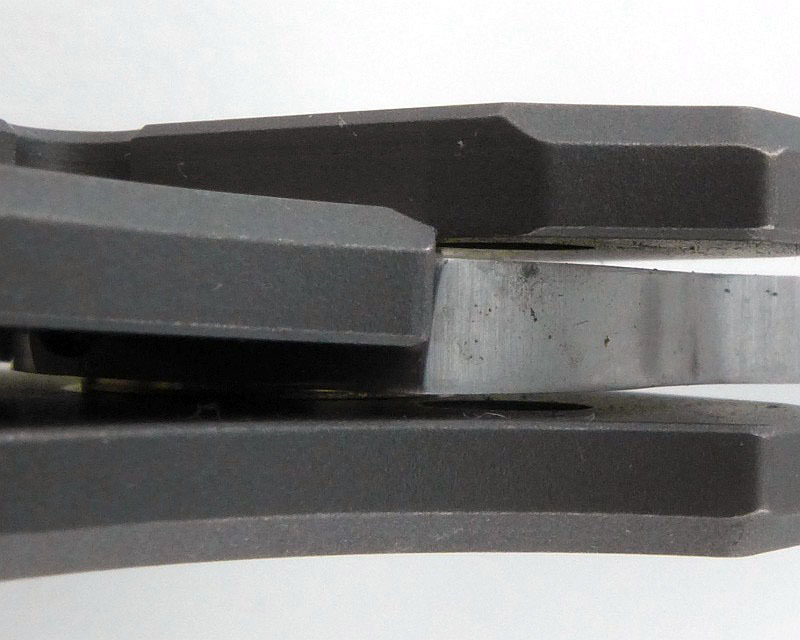 Here the blade is in the closed position sitting against the stop pin. 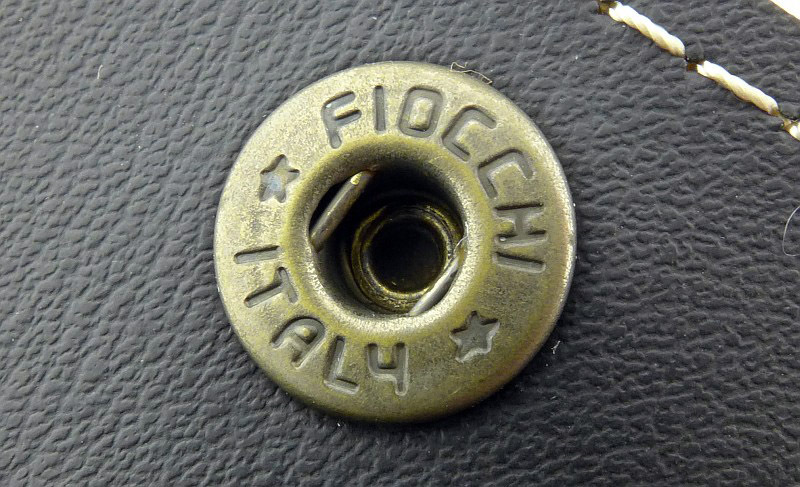 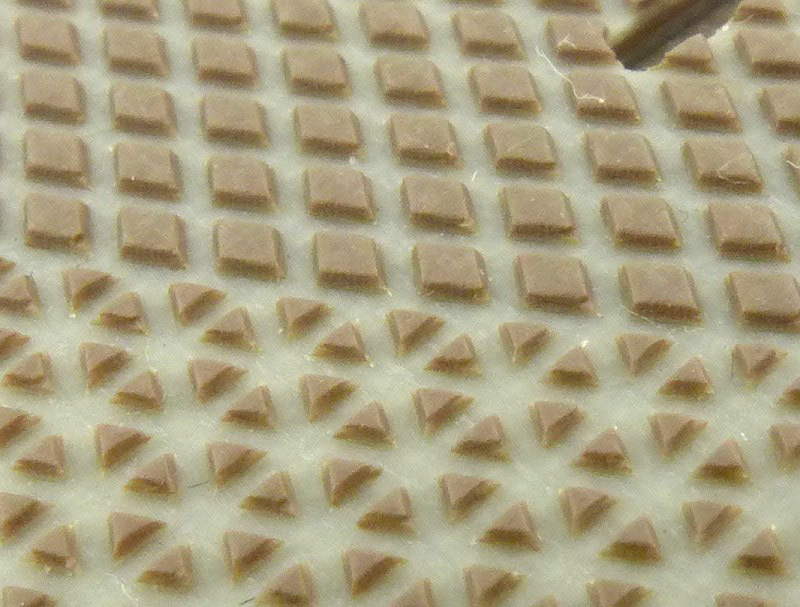 There is also a hint of that phosphor-bronze washer. 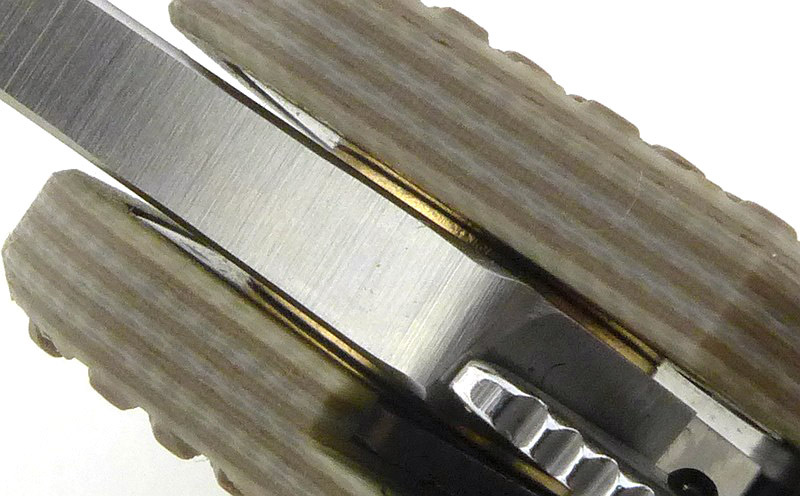 Lock engagement is excellent, with room to move as the lock wears, but with a positive overlap which won’t slip out under pressure or if knocked. 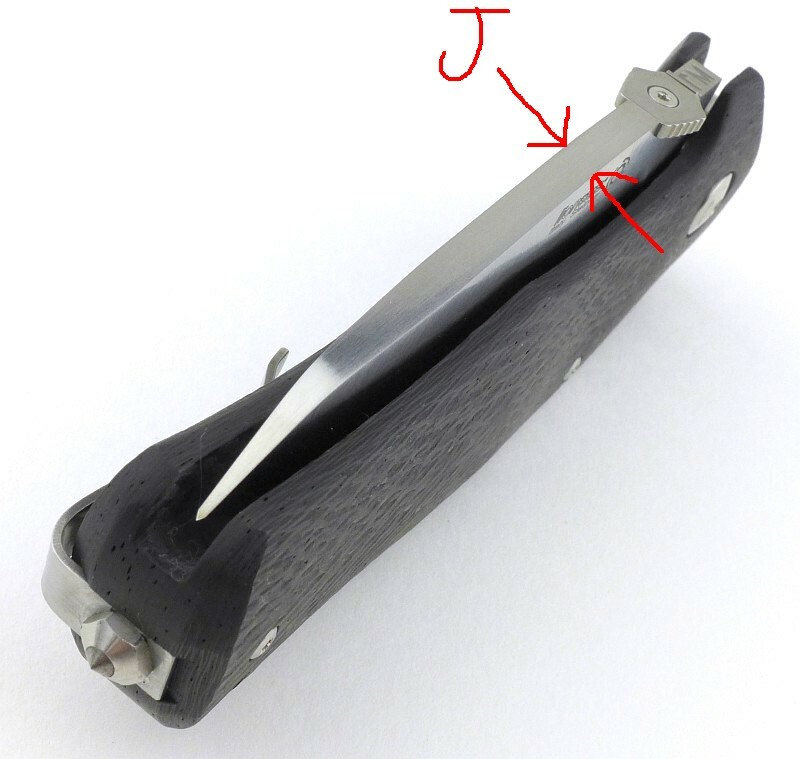 The open blade sitting onto the stop pin. 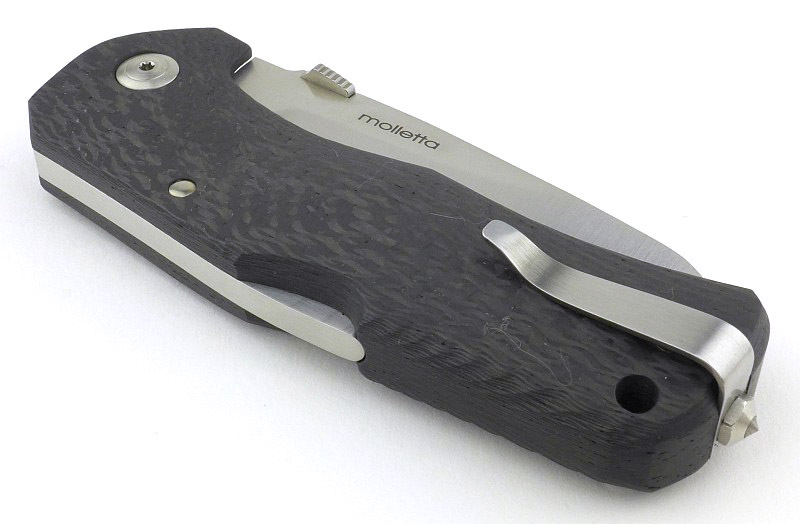 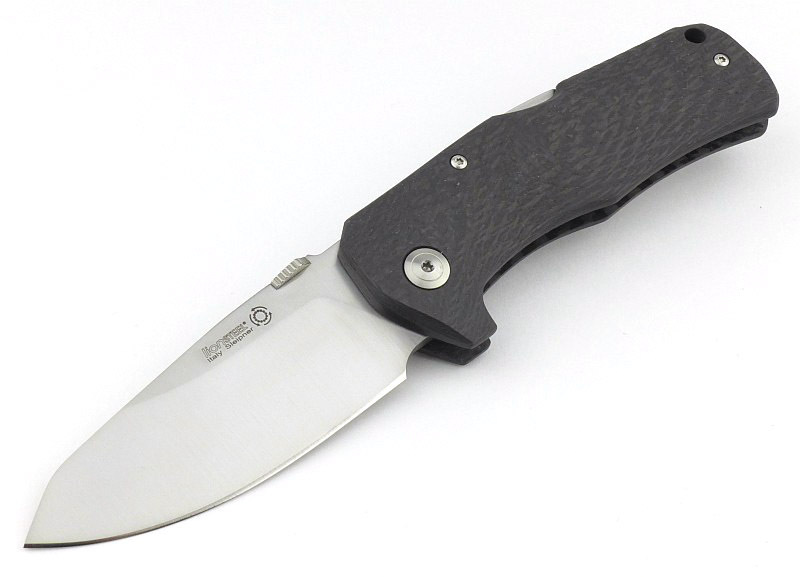 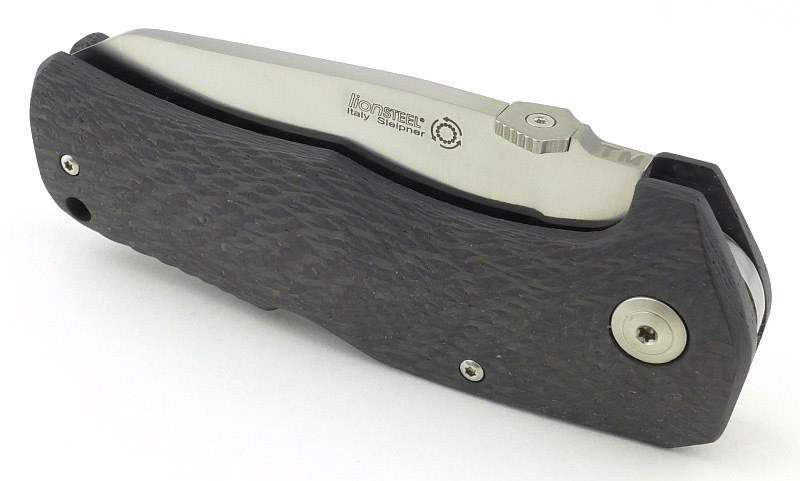 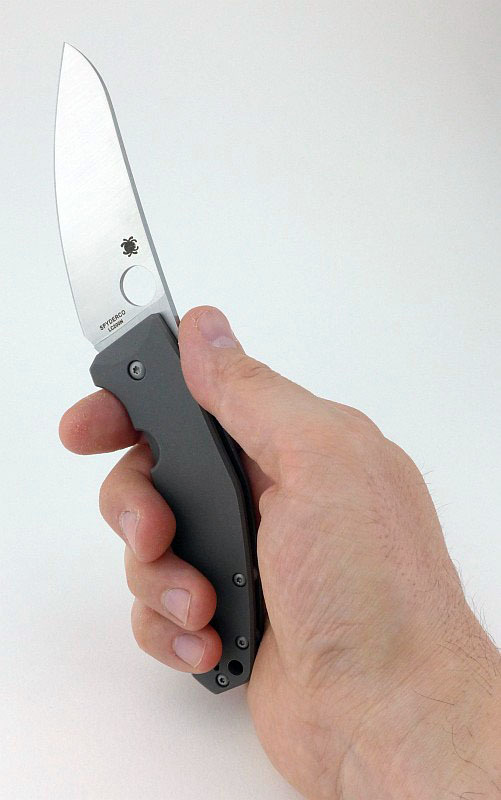 Though compact enough to fit into a folding pocket knife the Marcin Slysz blade design is immediately reminiscent of a kitchen knife. 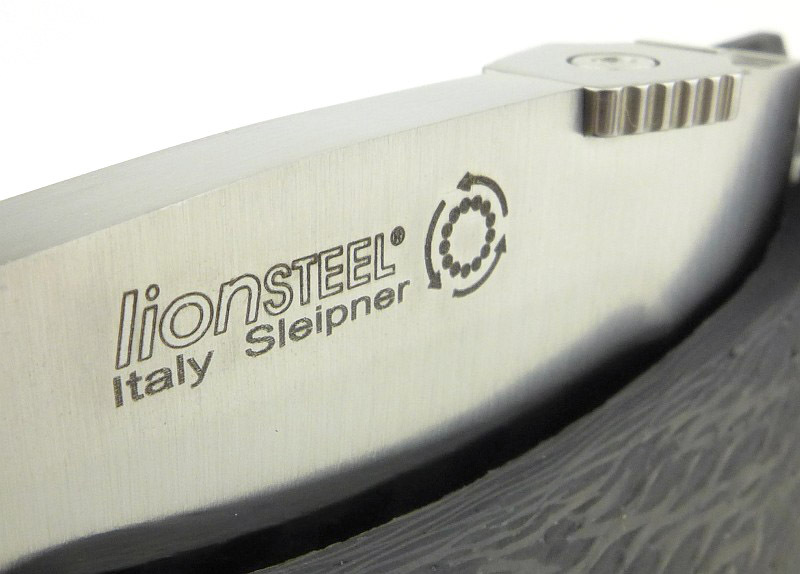 Marcin Slysz’s logo is included on this side of the blade. 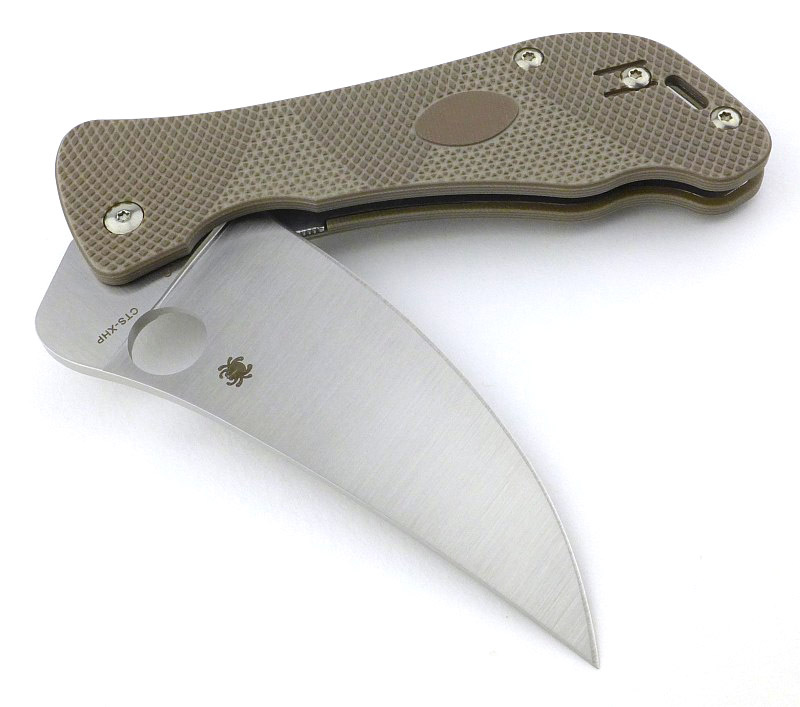 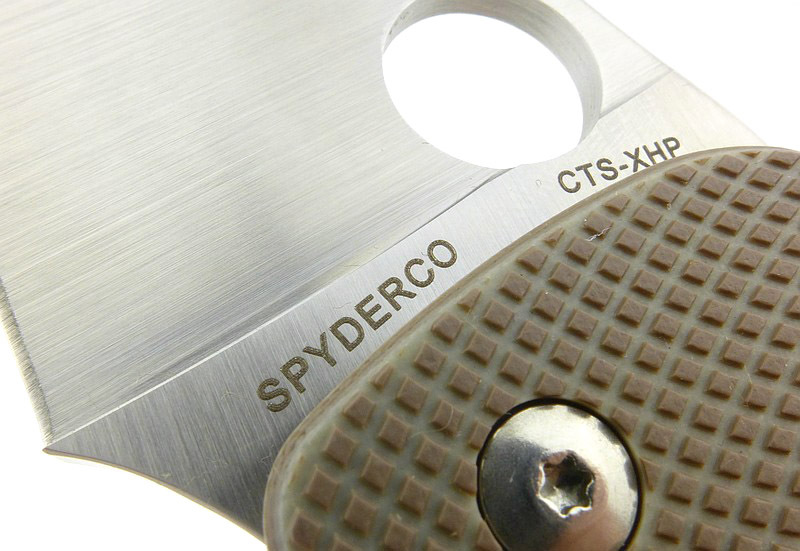 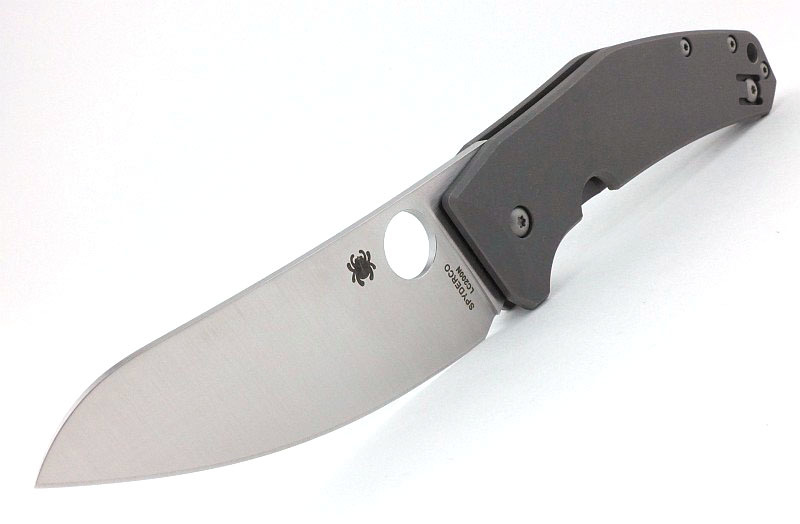 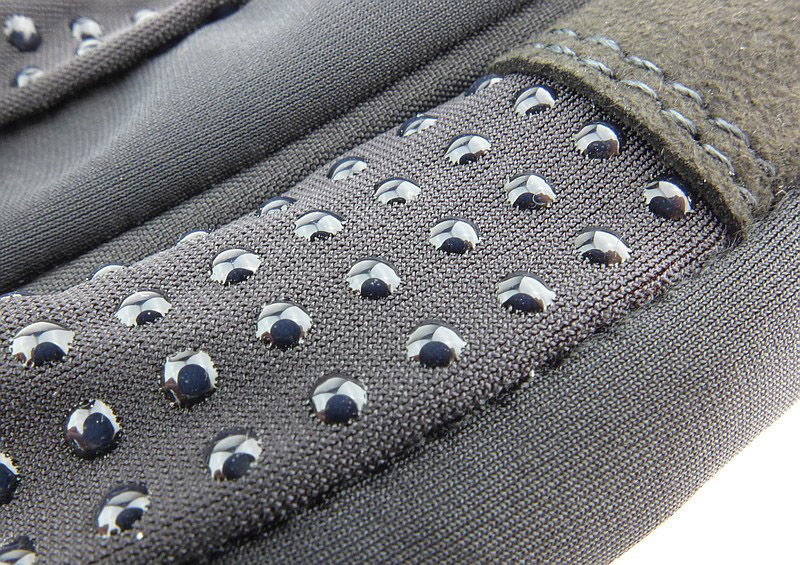 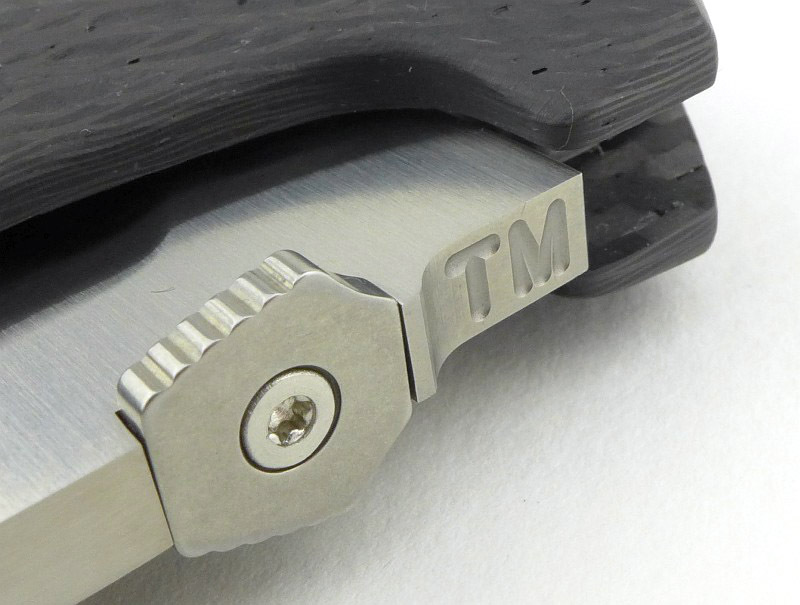 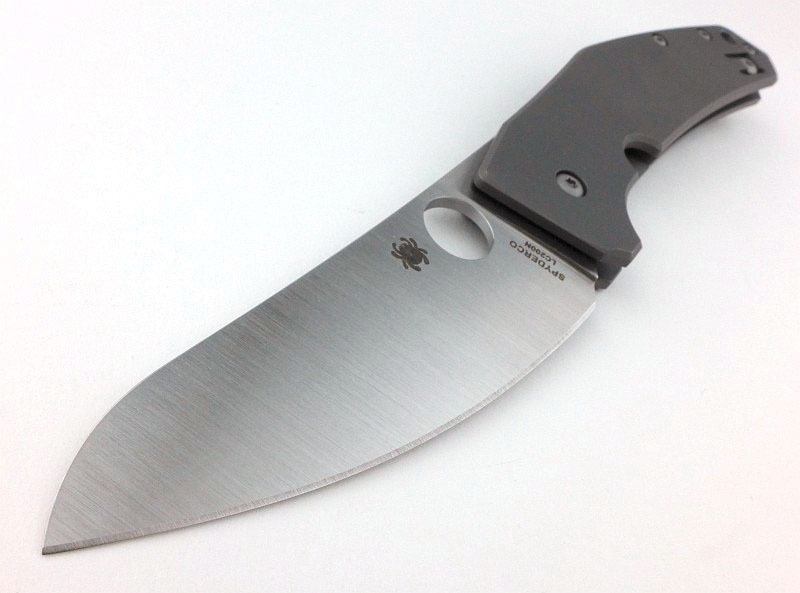 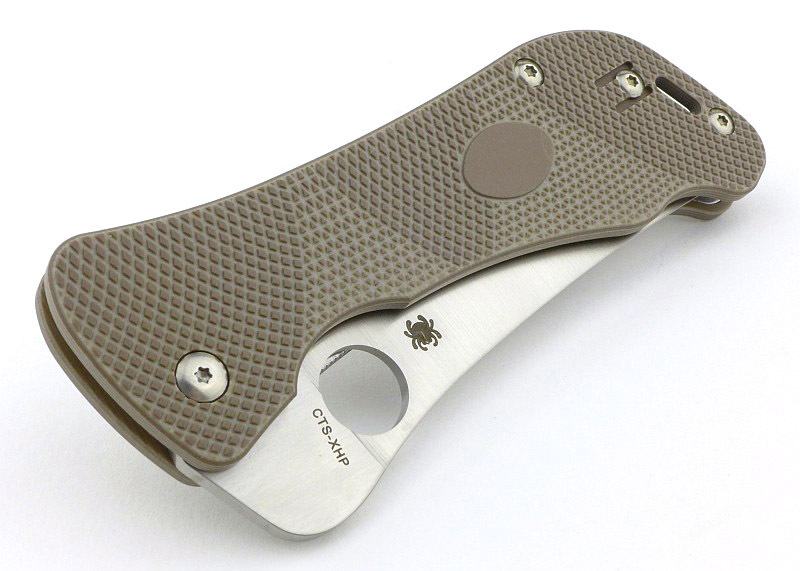 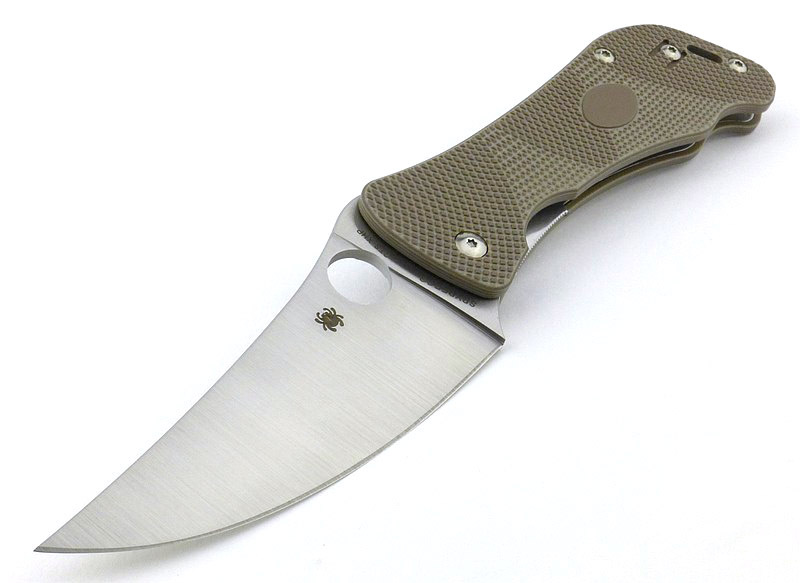 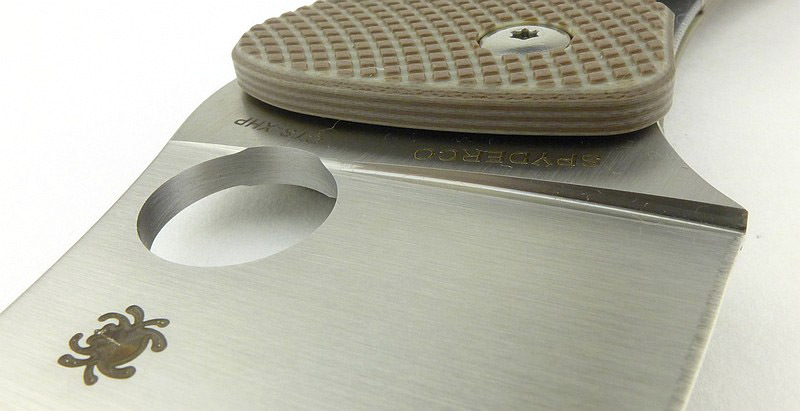 The other side of the blade has the Spyderco branding as well as the steel specification. 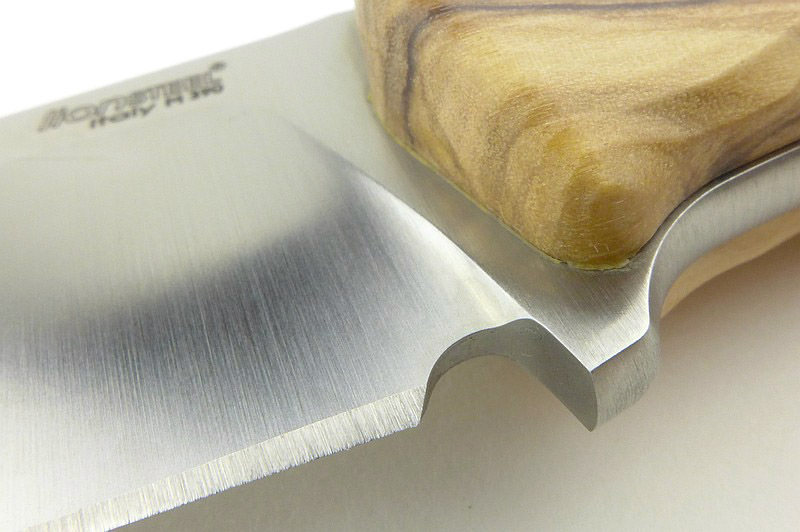 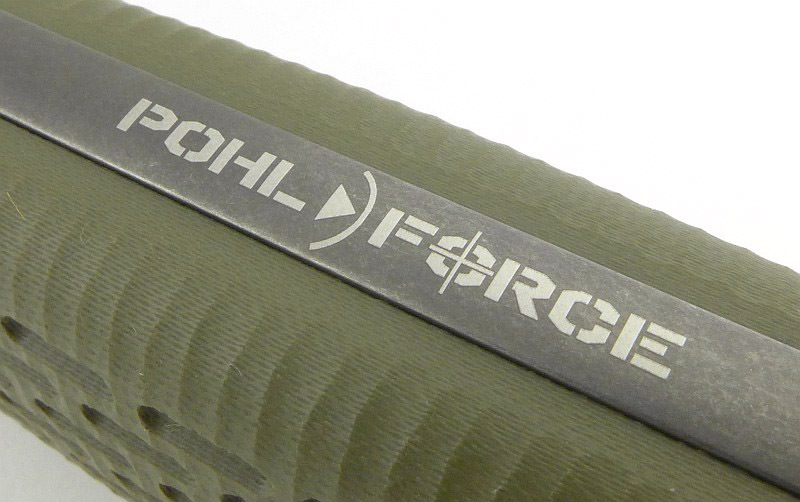 Flowing lines sweep the blade tip nicely into the handles in the folded position. 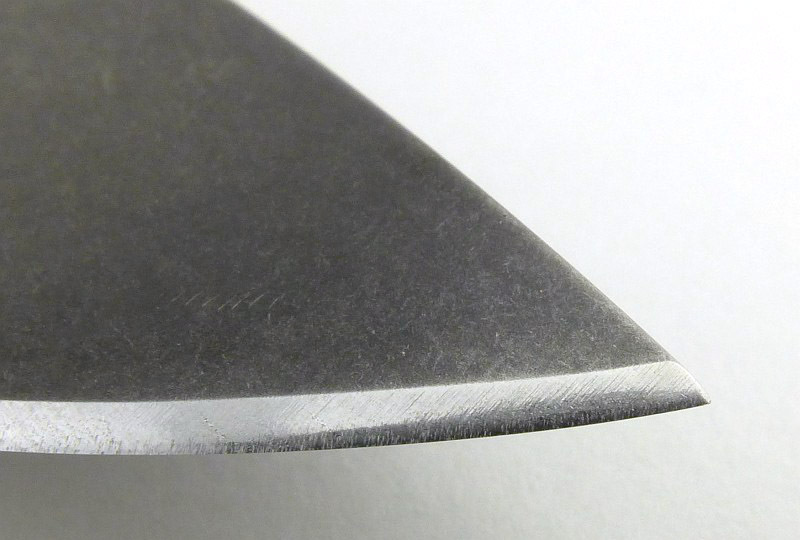 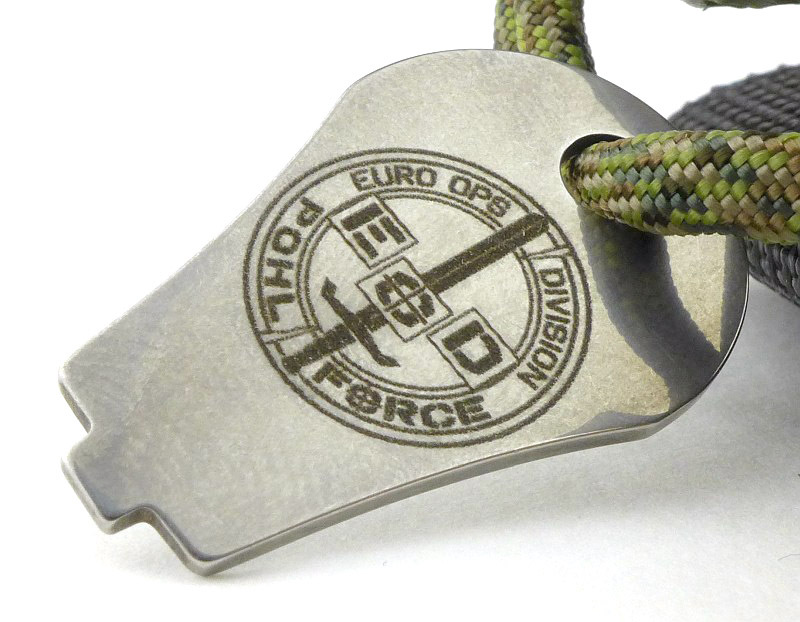 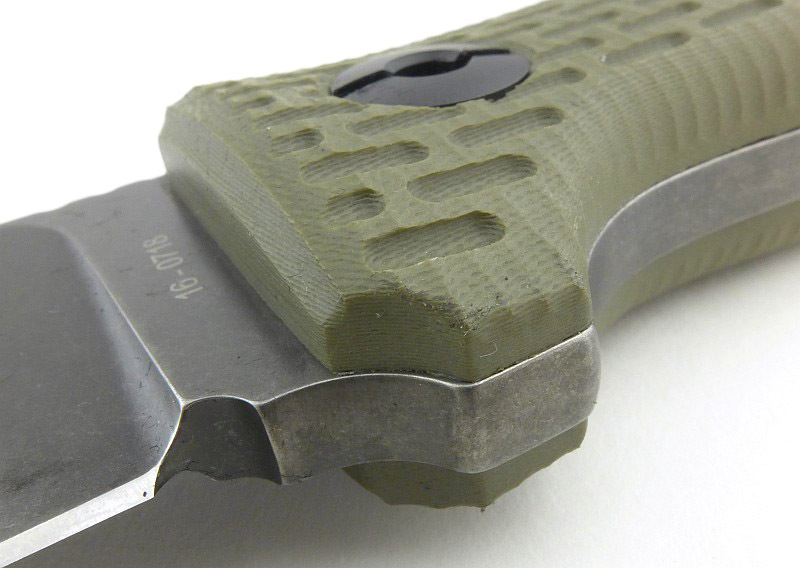 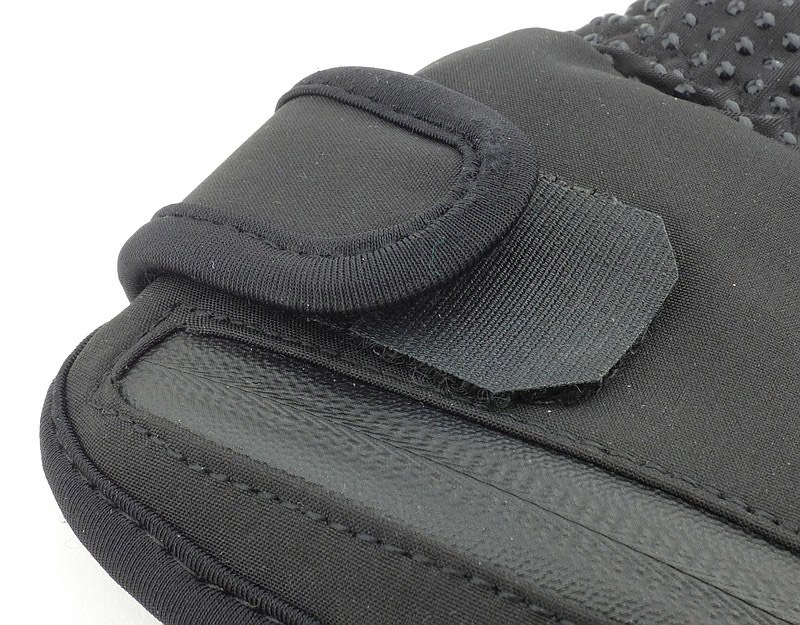 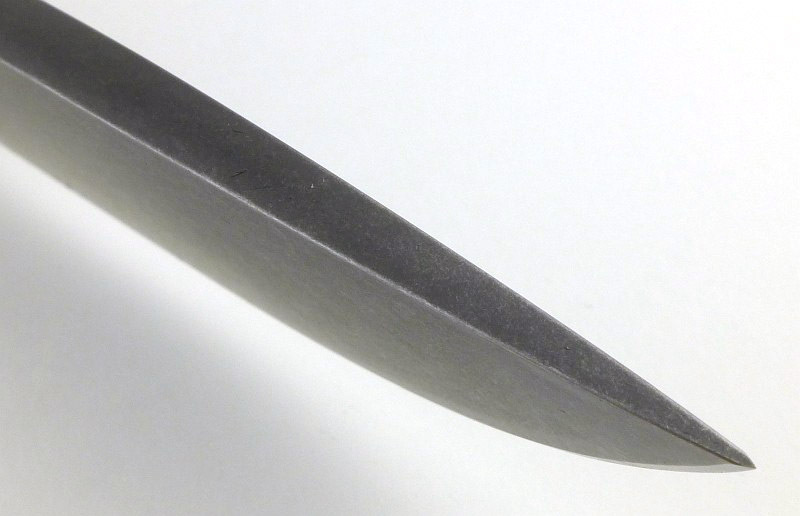 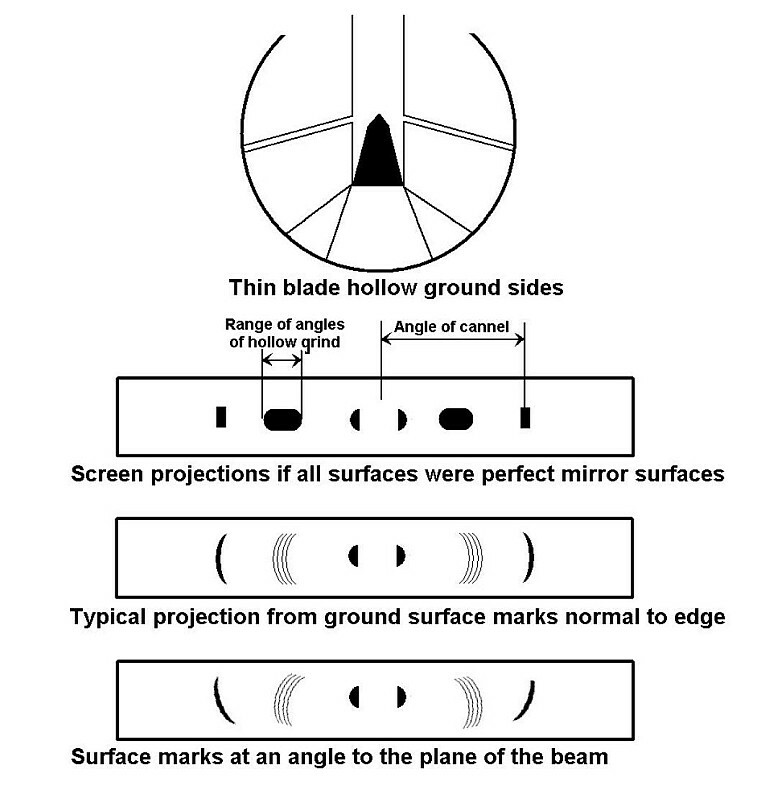 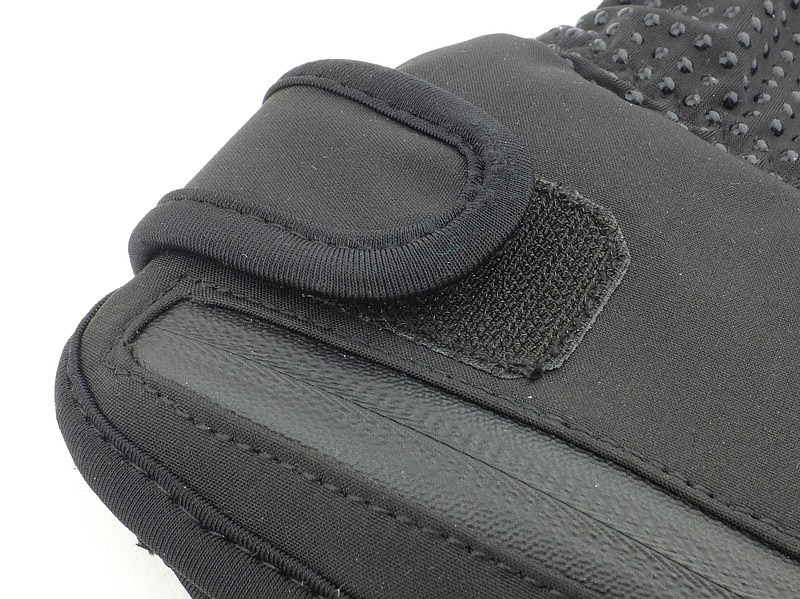 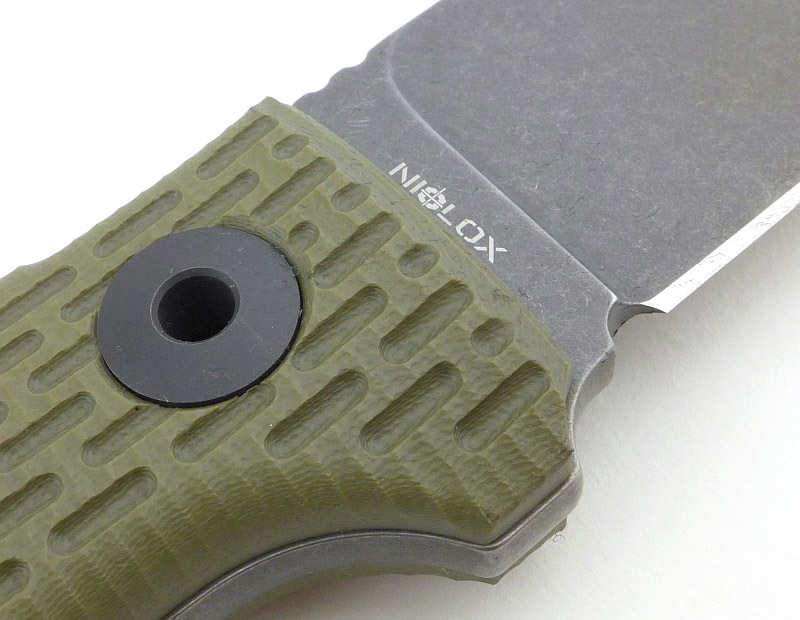 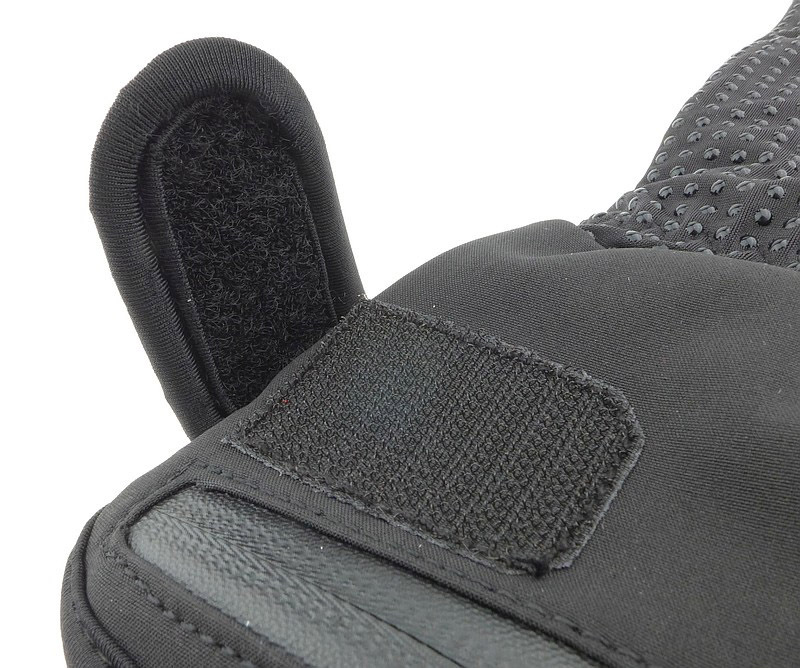 A closer look at the blade tip. 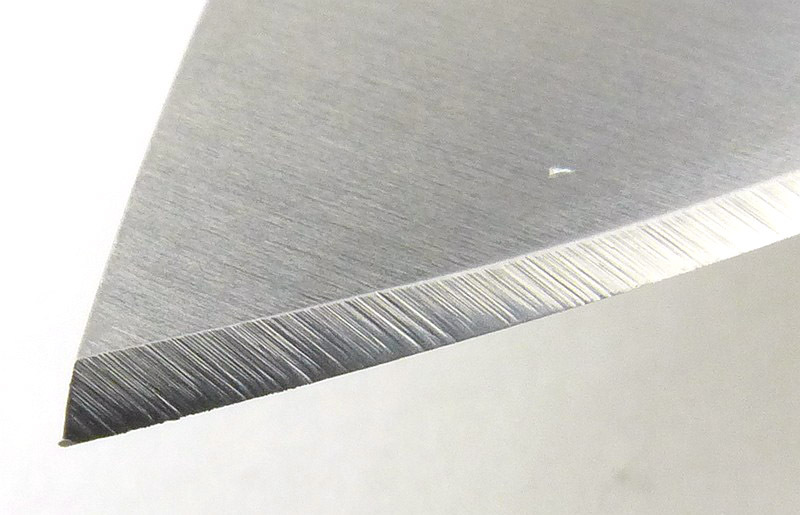 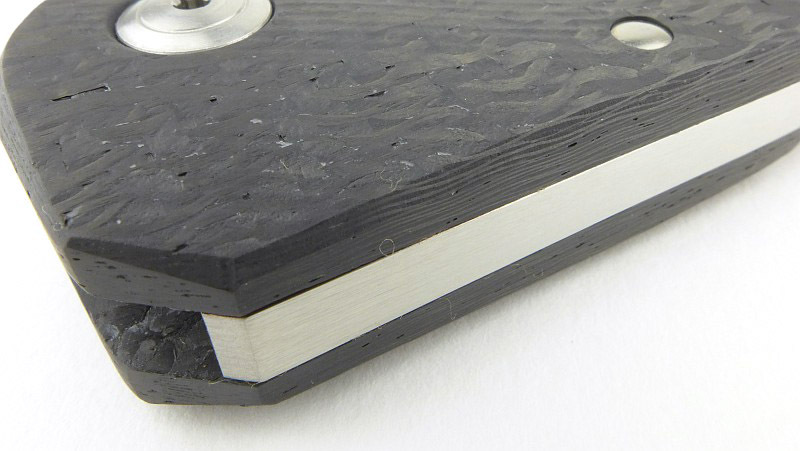 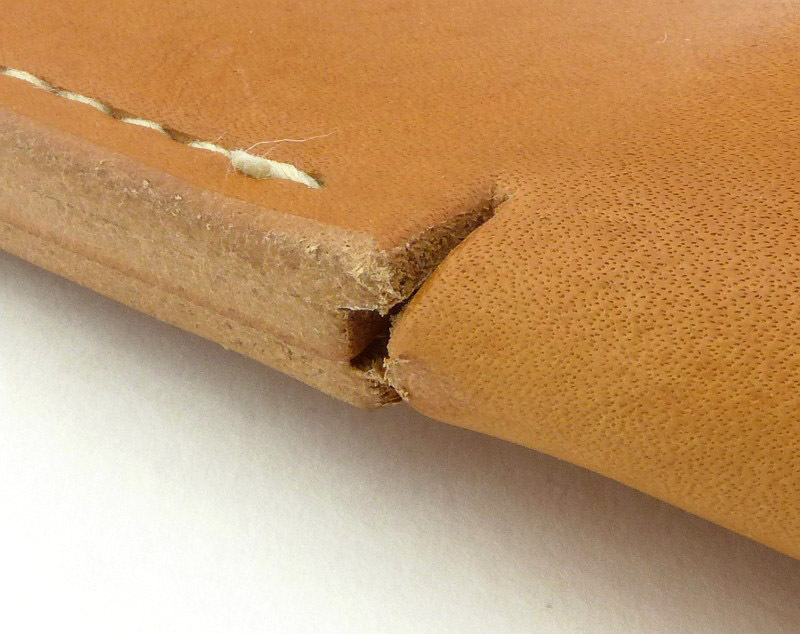 Note that the entire blade spine has had the edges eased so they are very slightly radiused and smooth. 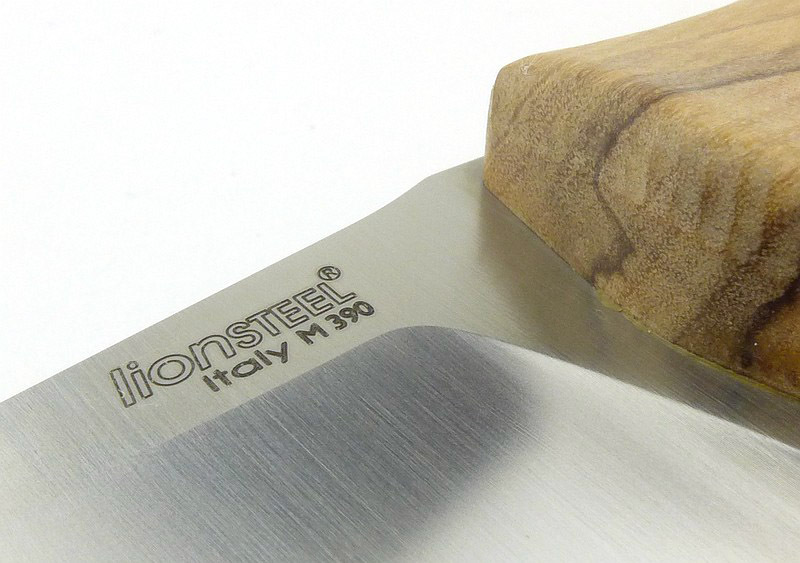 We’ve had a good look round this knife, but what really counts is how it is to use and cut with. 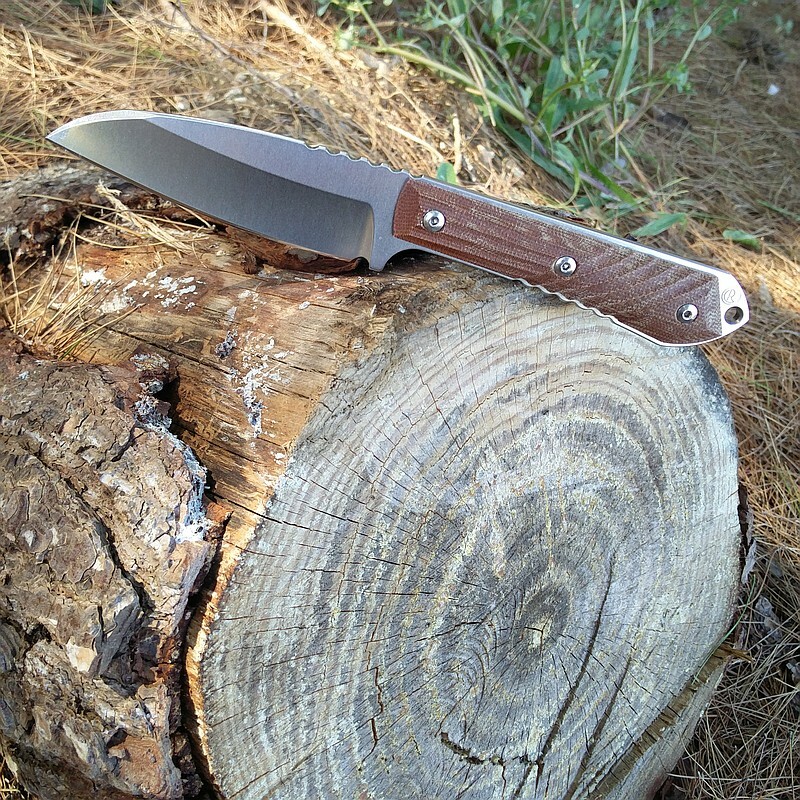 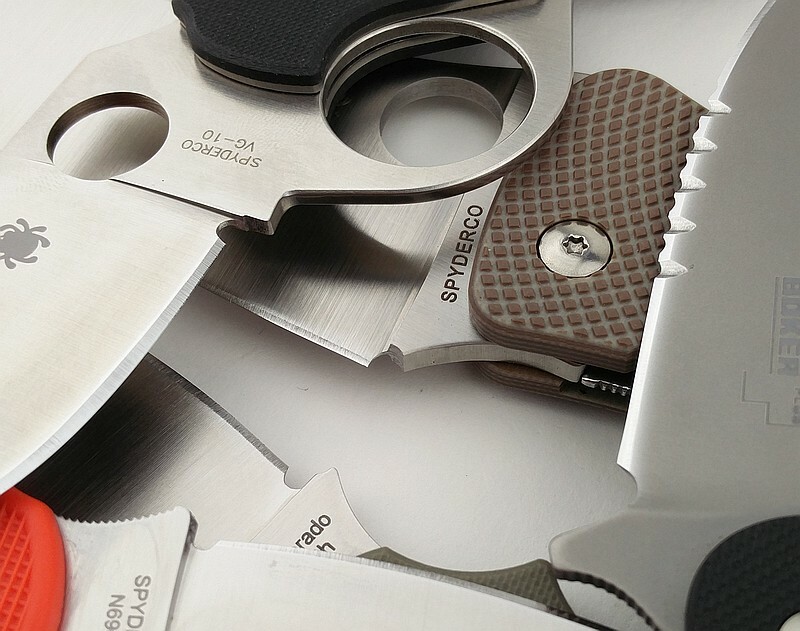 Take a special purpose knife and make it into a folder and you immediately introduce compromises, so this was always going to be a challenging design to get right. 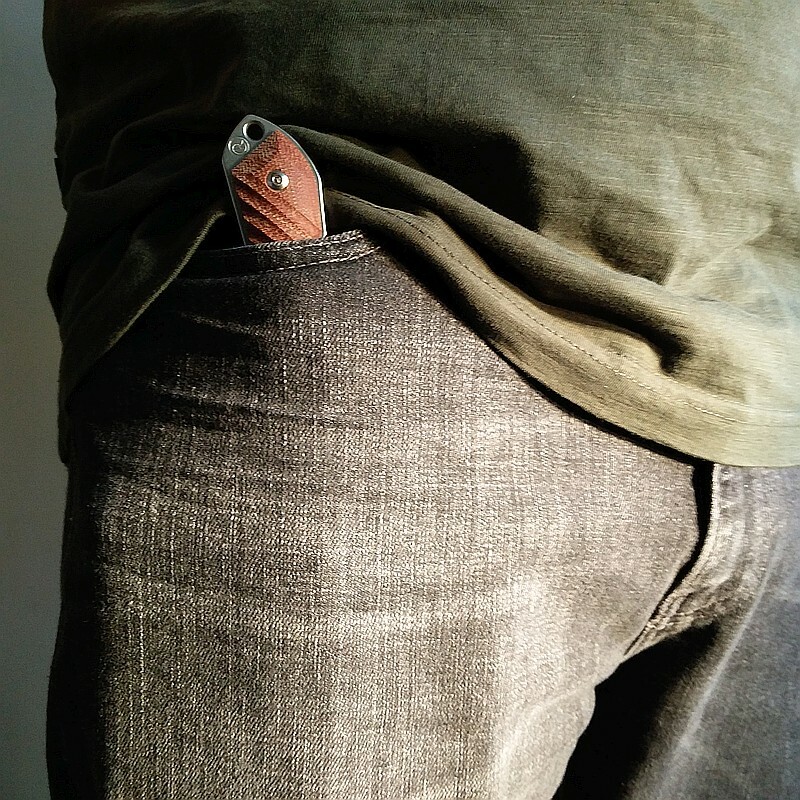 Also considering that the chef’s knife, by the very nature of being taken out of the kitchen and put into your pocket as an EDC blade, will now be used for so much more than just kitchen duties, so some compromises have to be made. 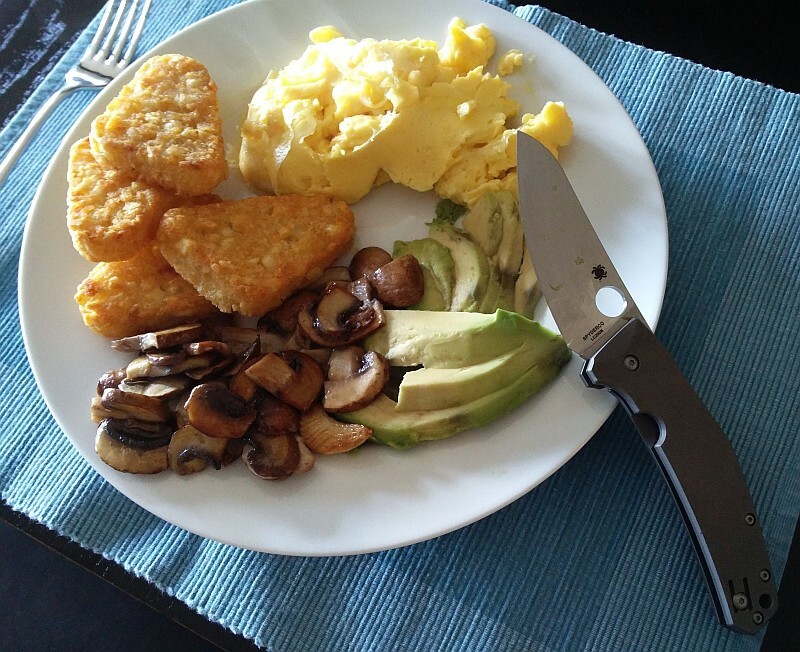 I’ve used other folding kitchen knives, and after considerable use and comparison, I’ve found the only advantage they had over the SpydieChef was a thinner blade. 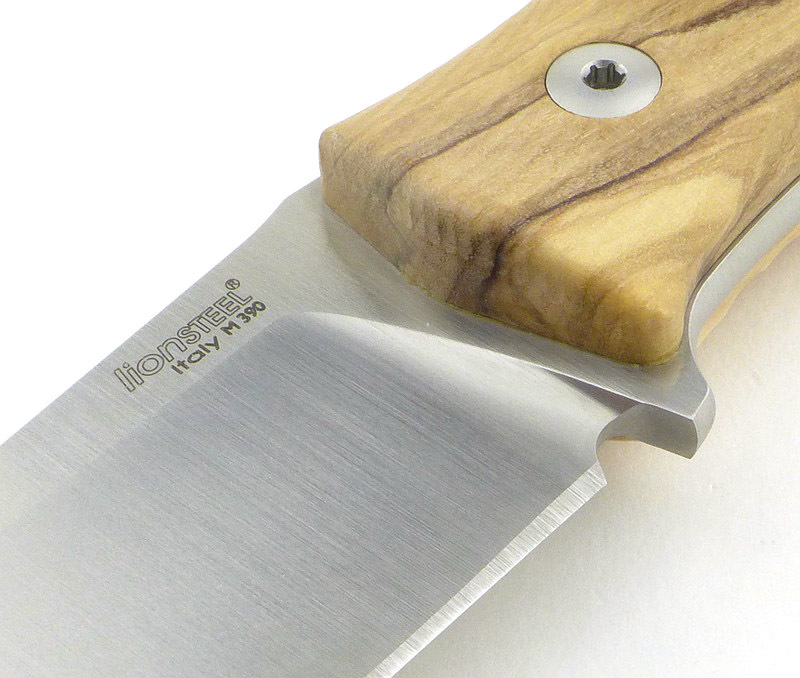 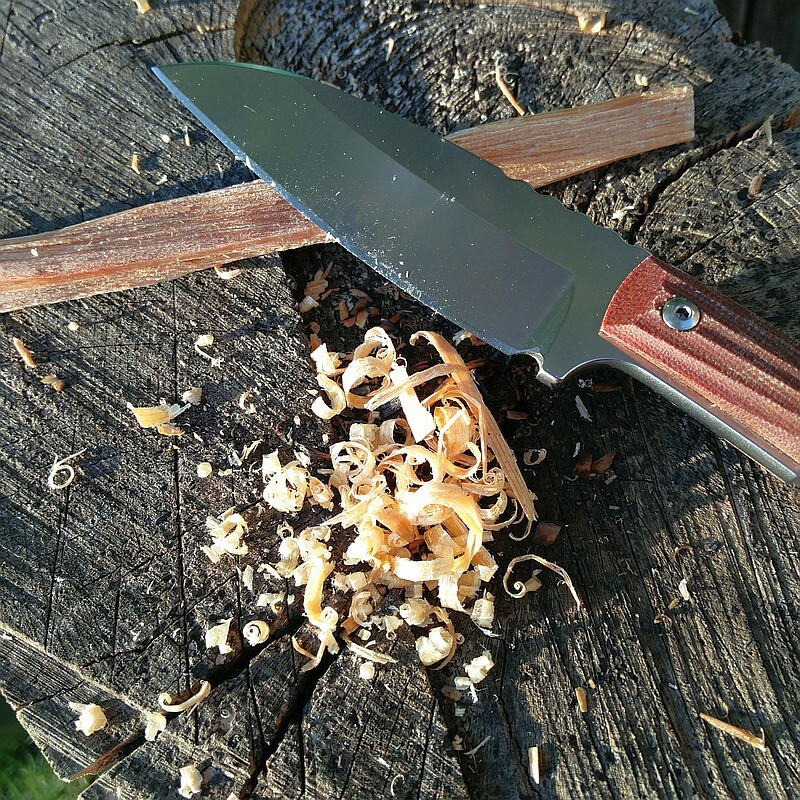 A thinner blade which only gave a slight advantage on a chopping board in a kitchen, and in no other situation when carrying the knife as an EDC blade. 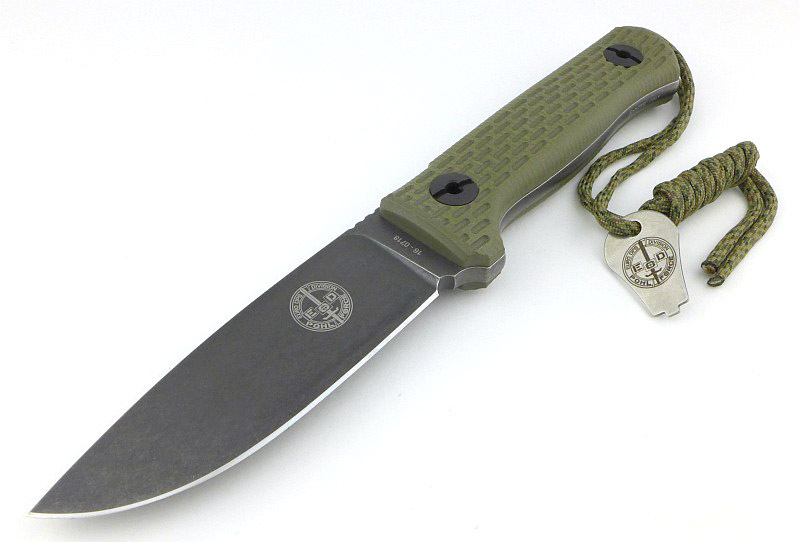 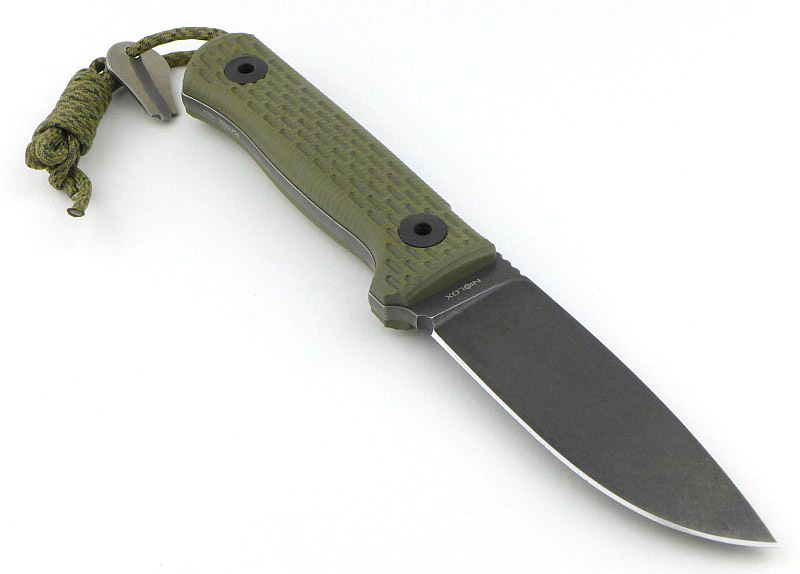 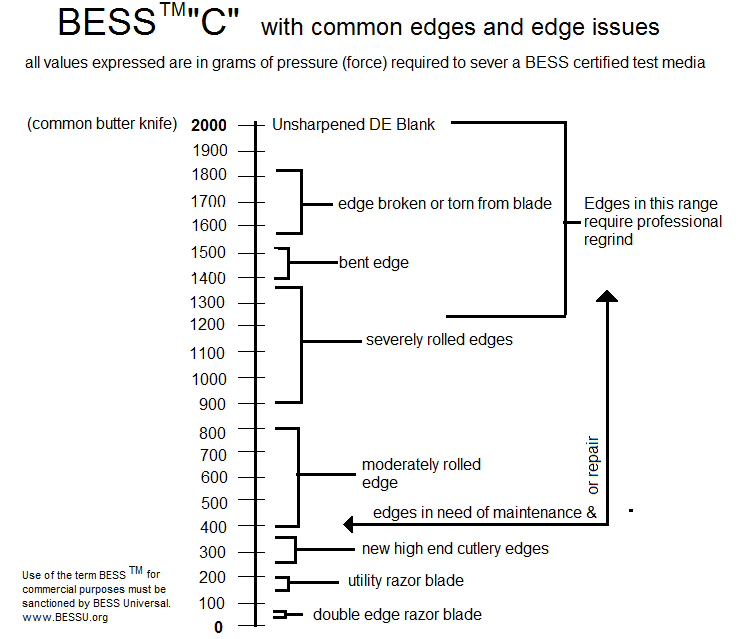 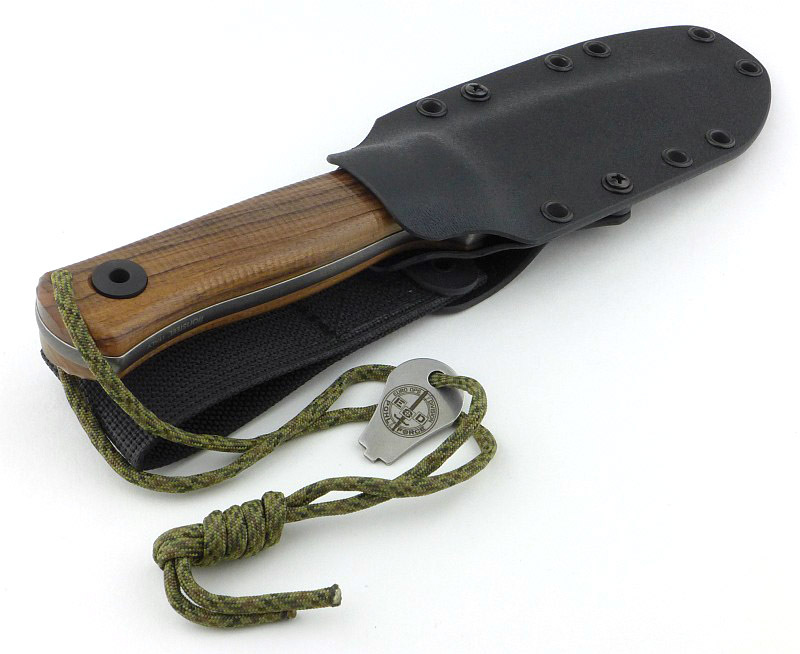 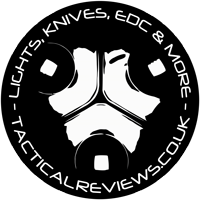 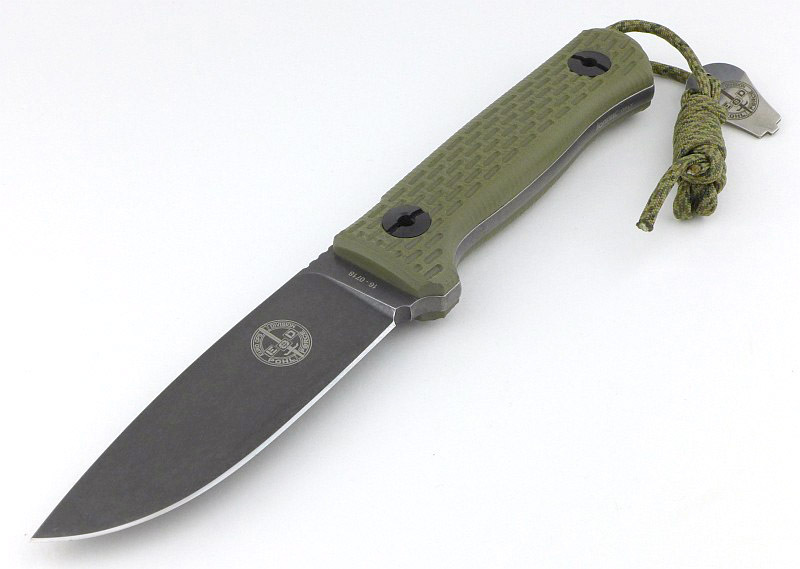 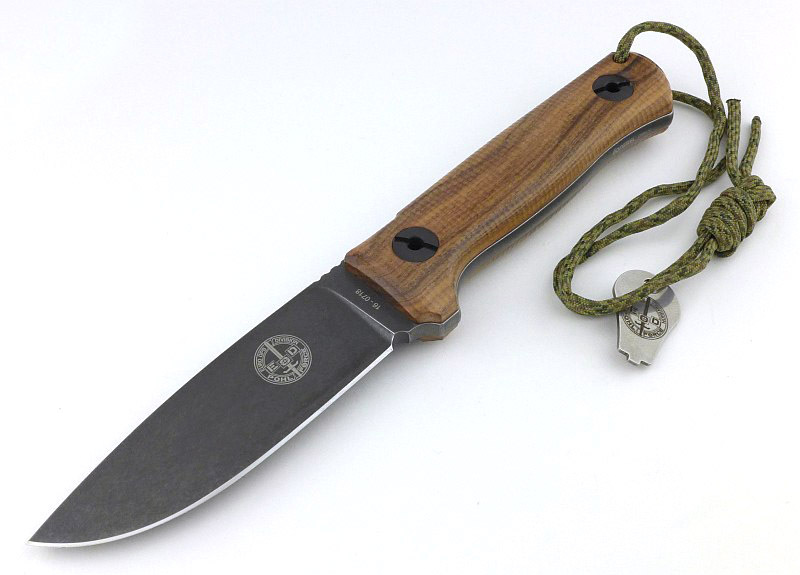 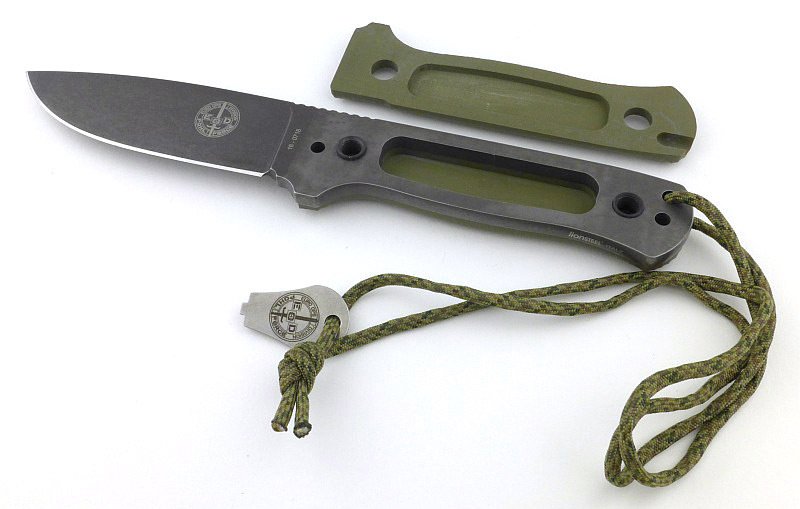 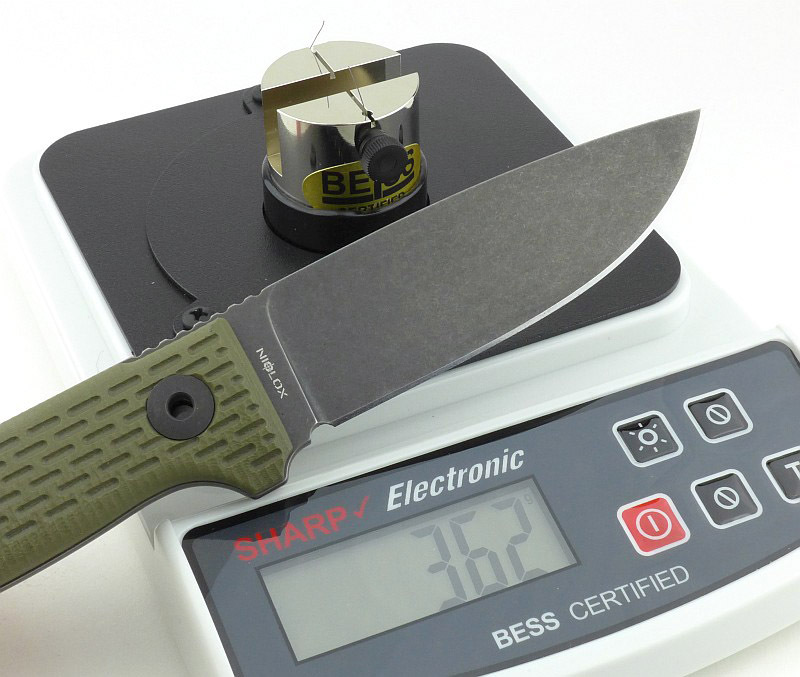 The thinner blade always flexed far too much for EDC tasks and become more of a liability than an benefit. 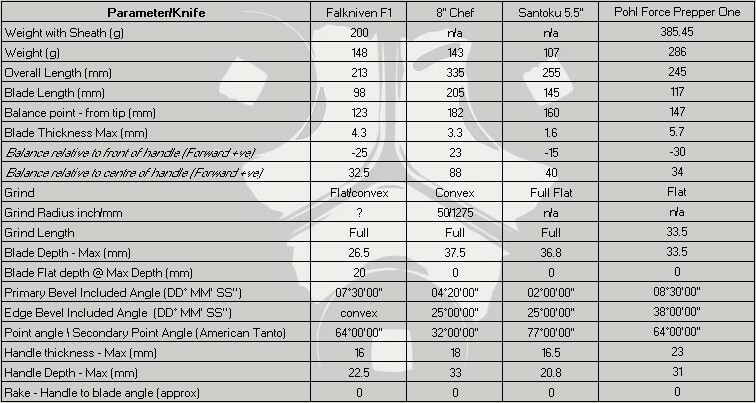 Before we look further at the SpydieChef in use, to give an idea of scale, here it is next to the Fällkniven F1 and a Spyderco UK Pen Knife. 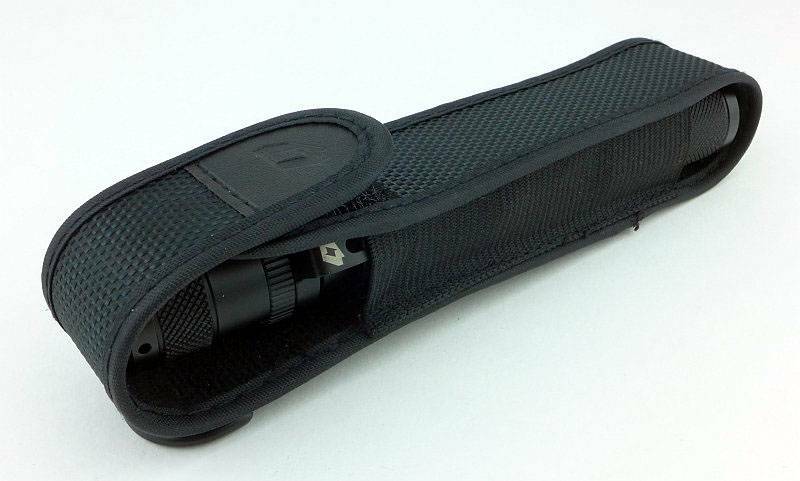 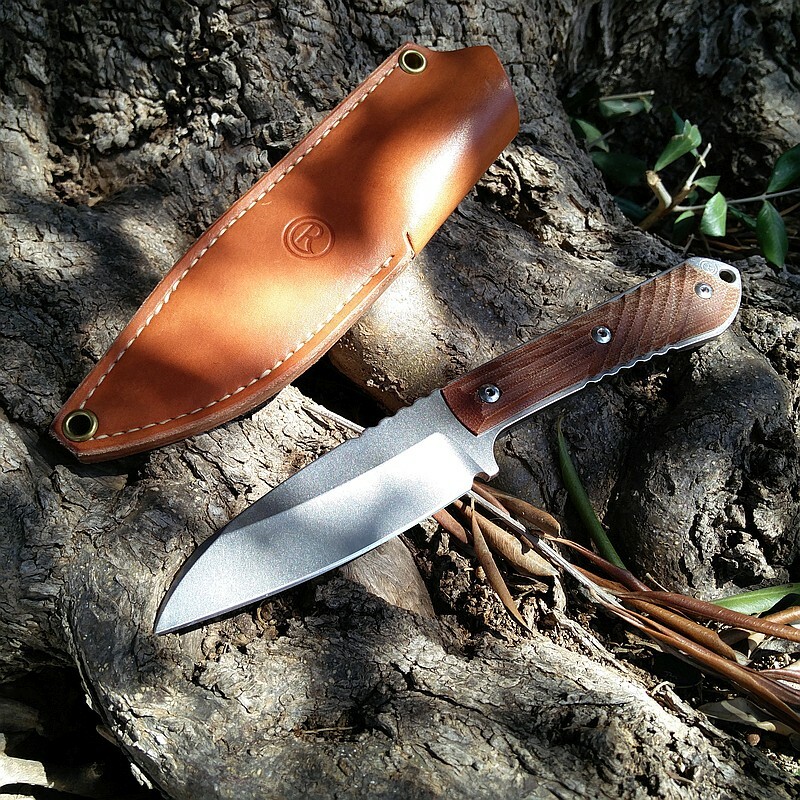 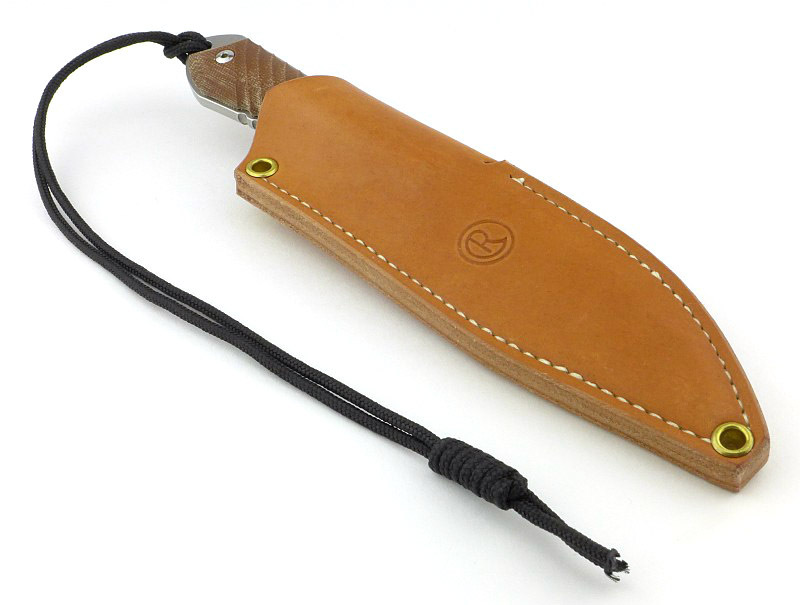 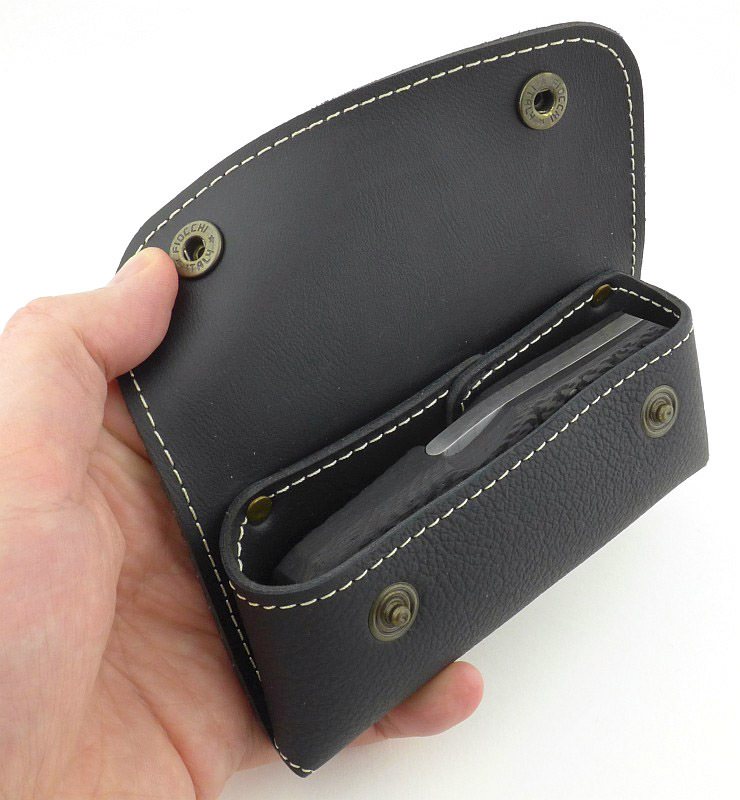 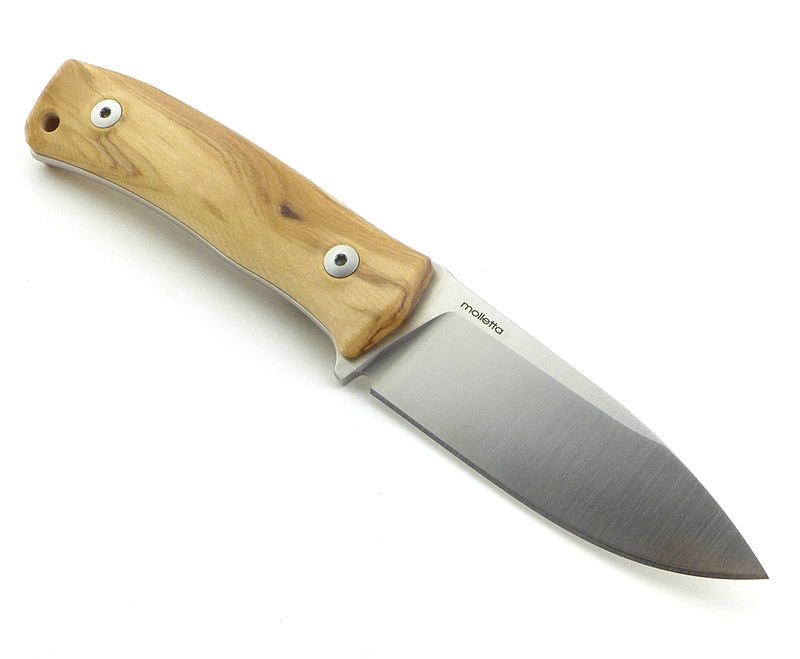 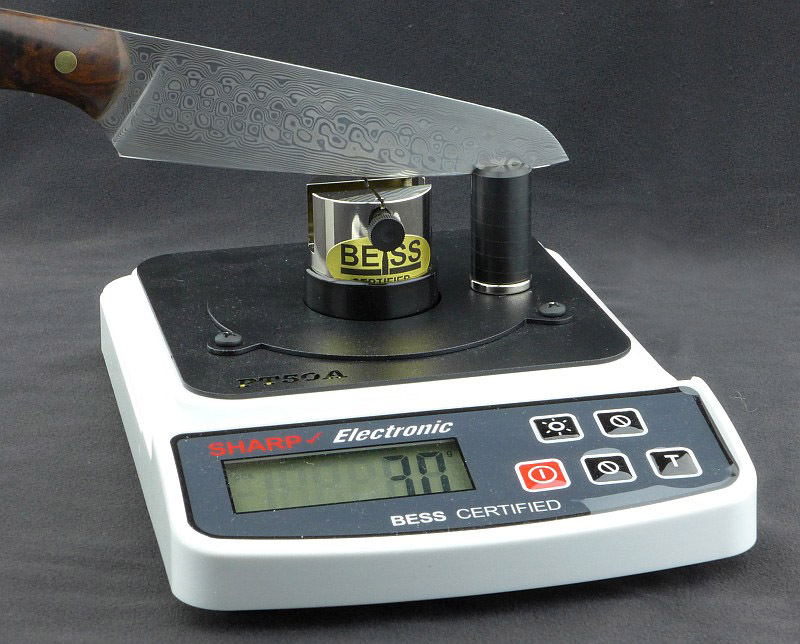 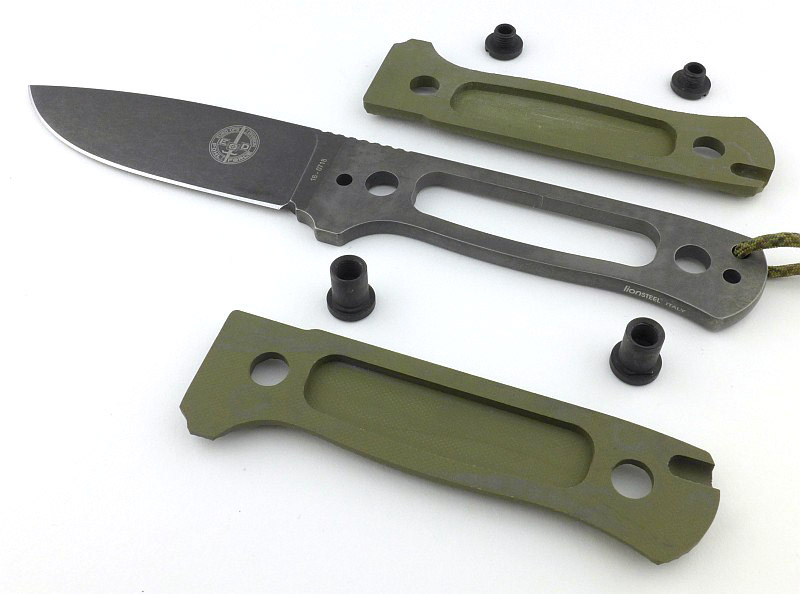 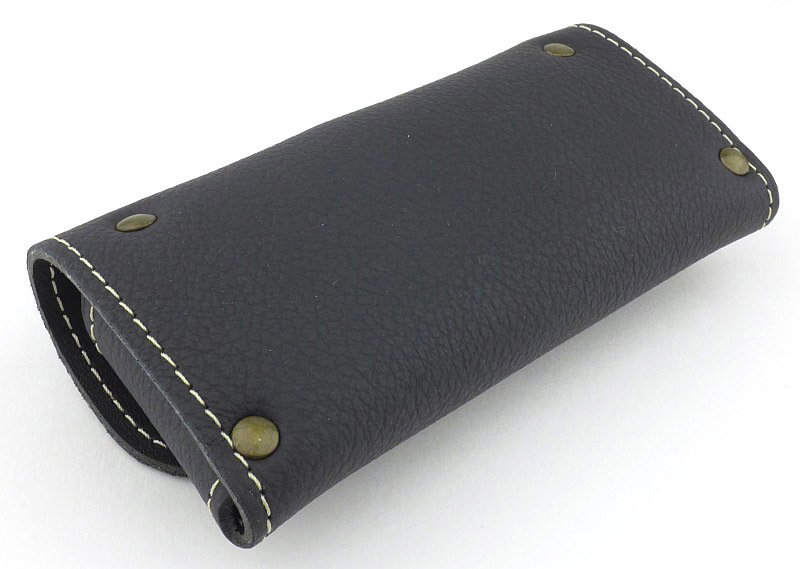 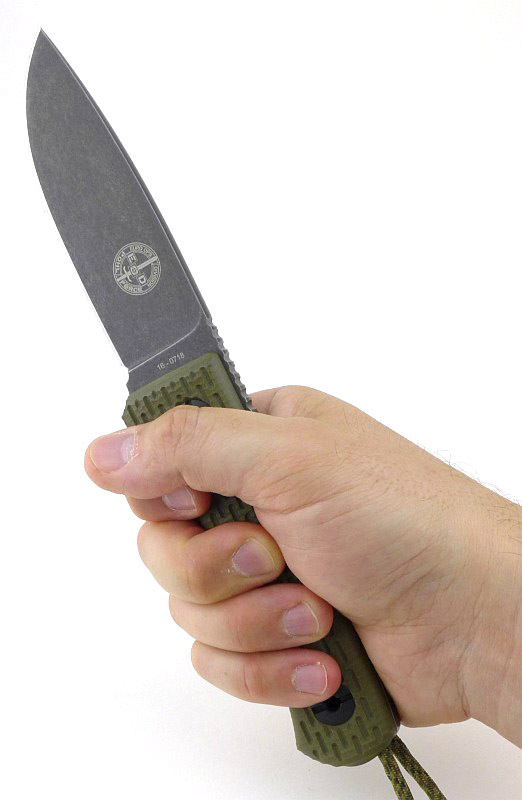 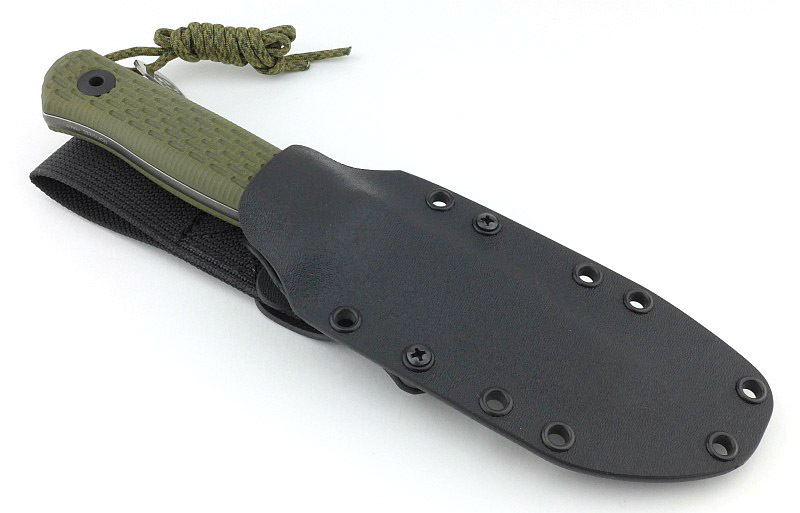 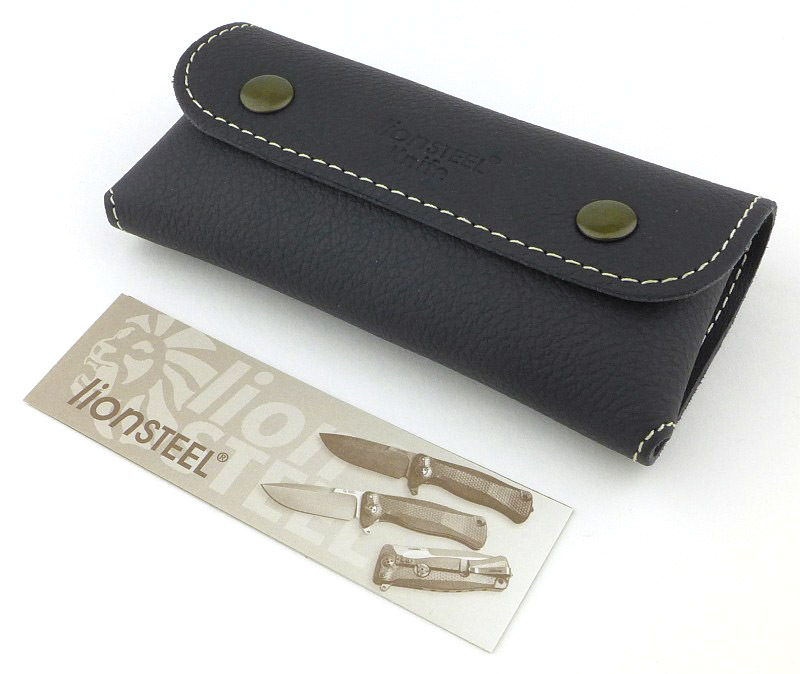 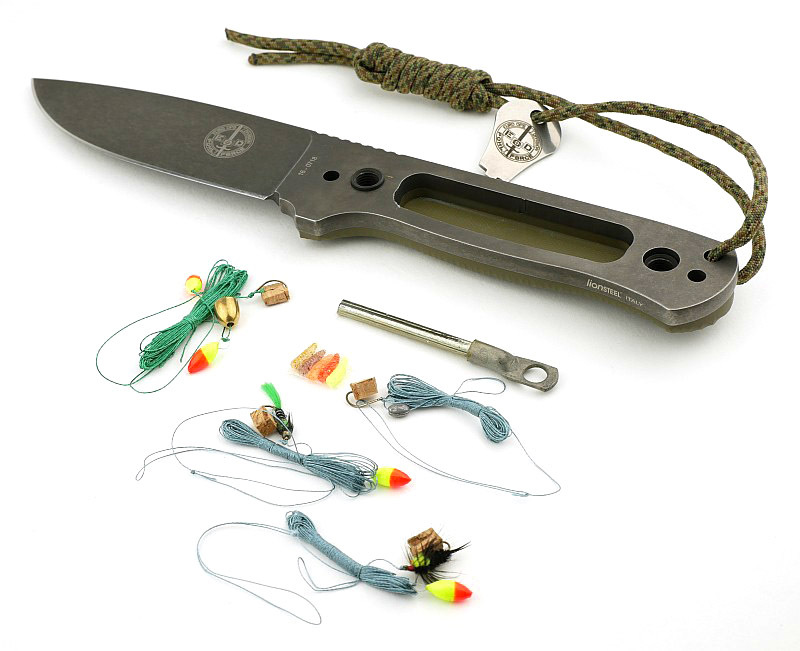 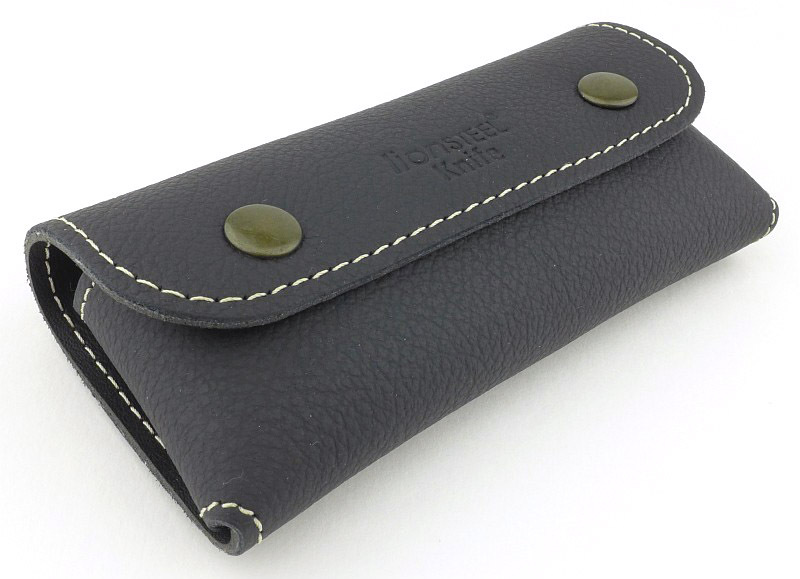 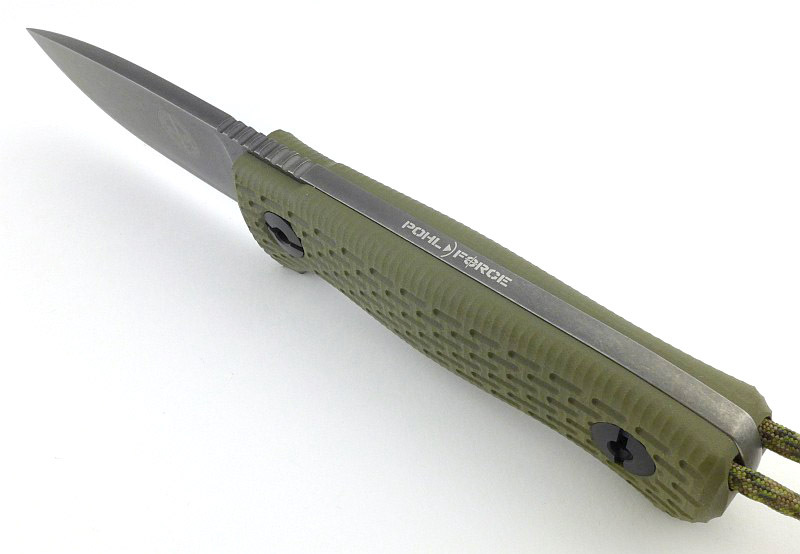 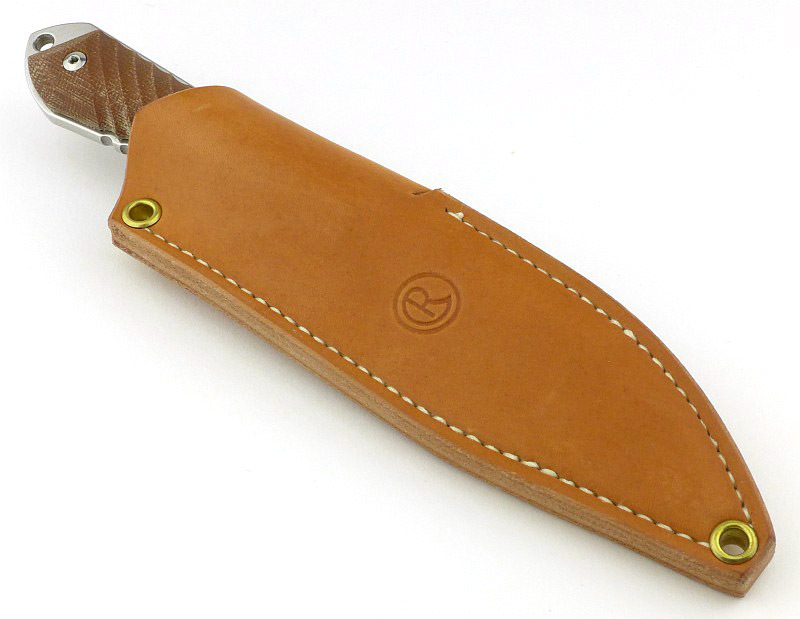 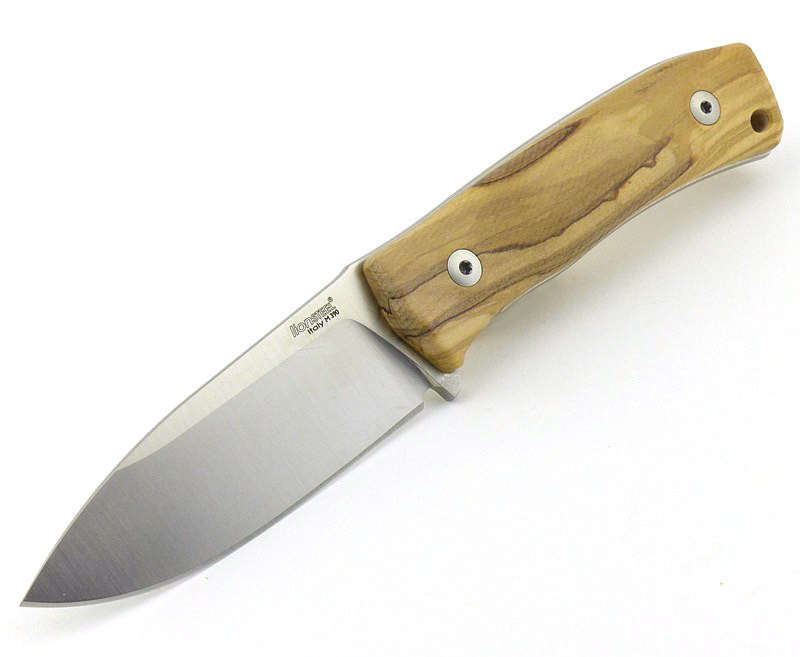 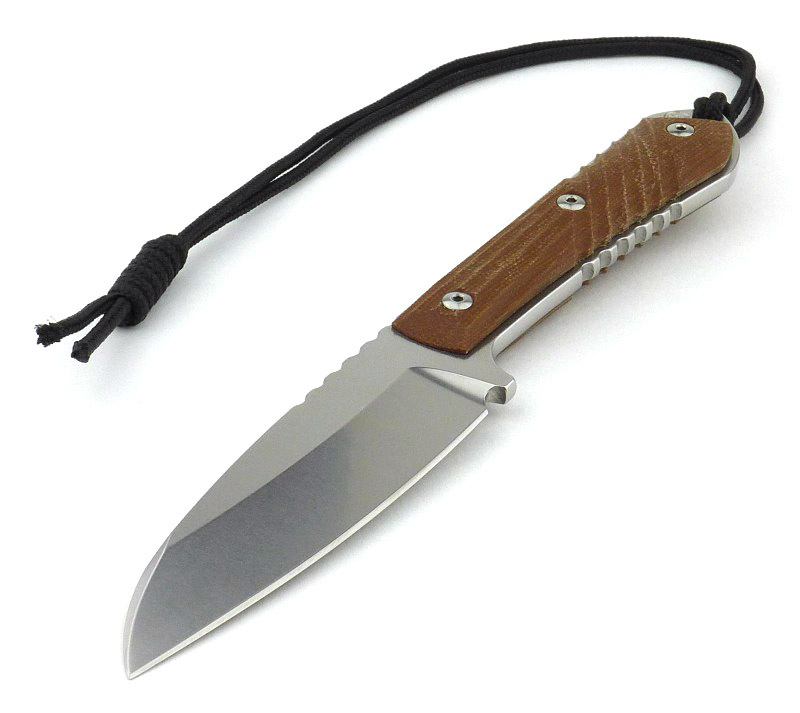 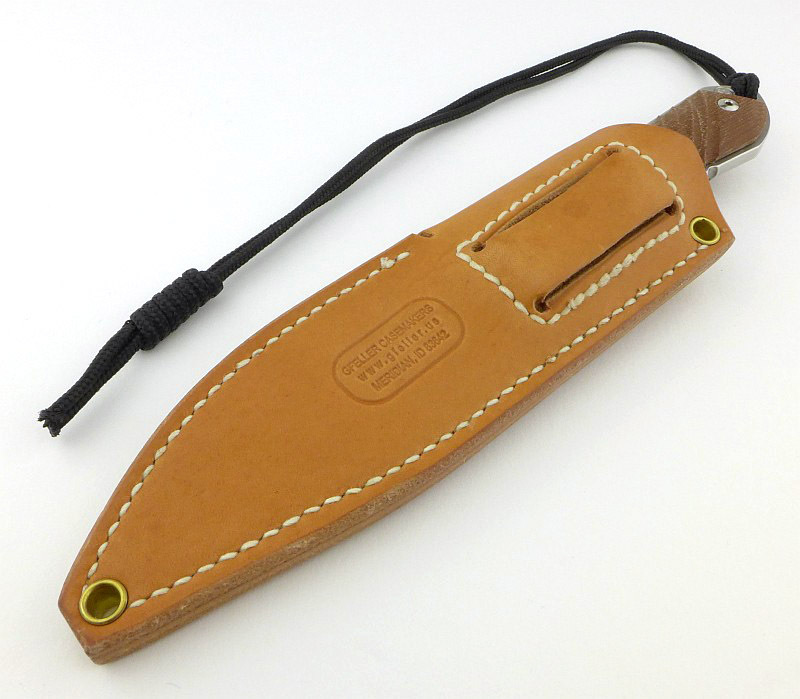 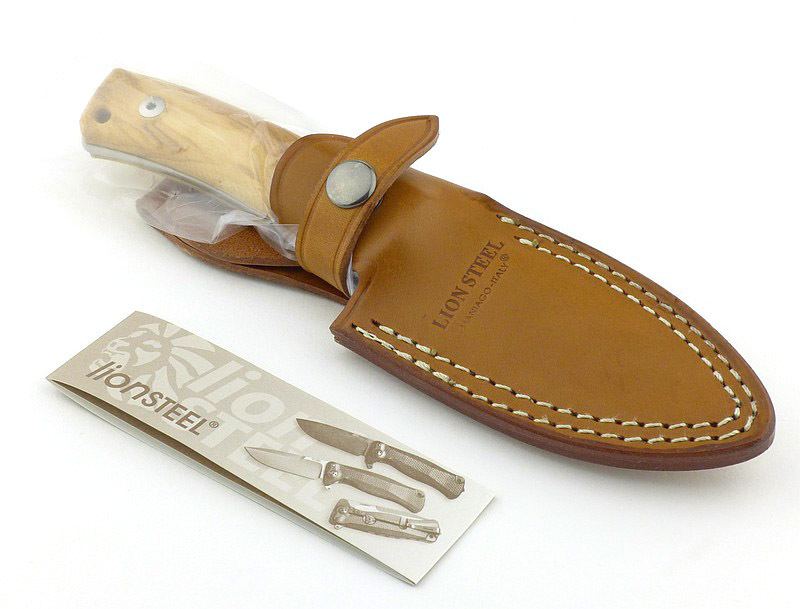 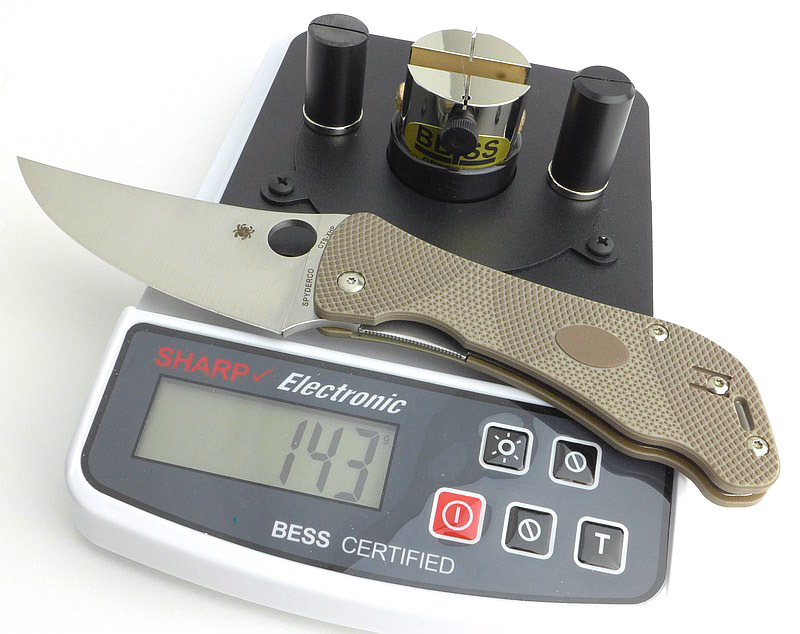 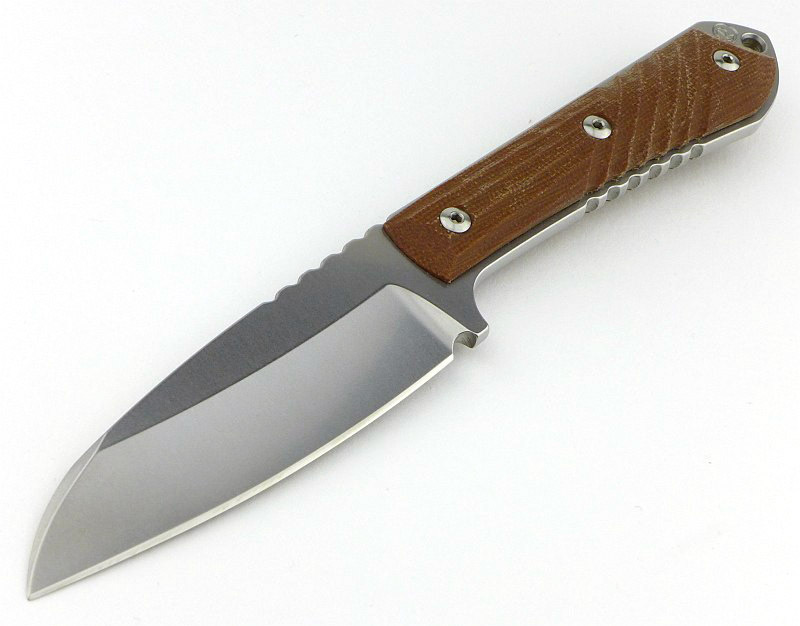 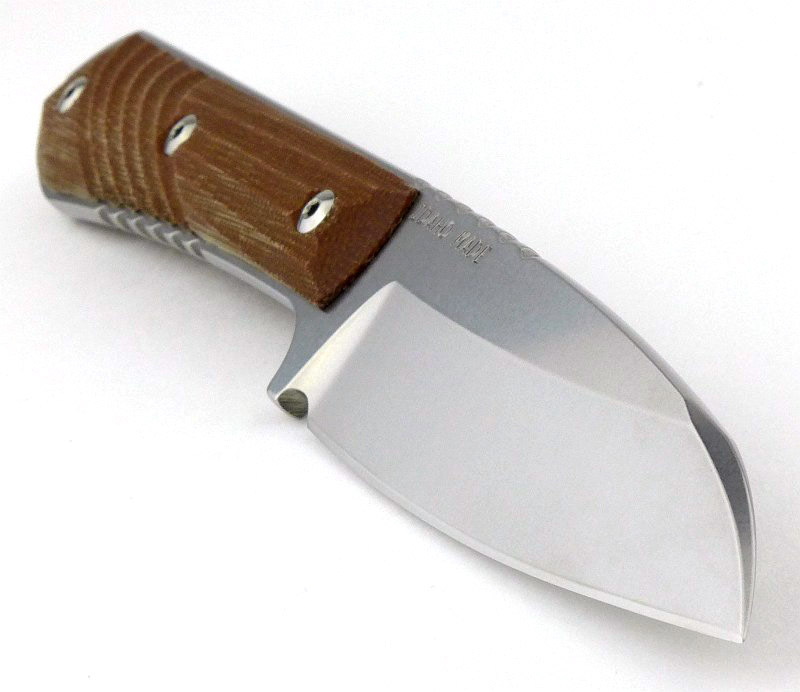 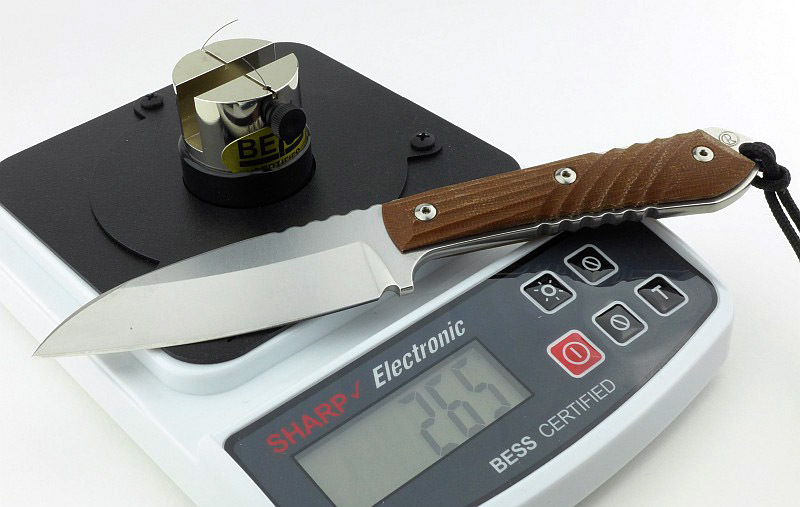 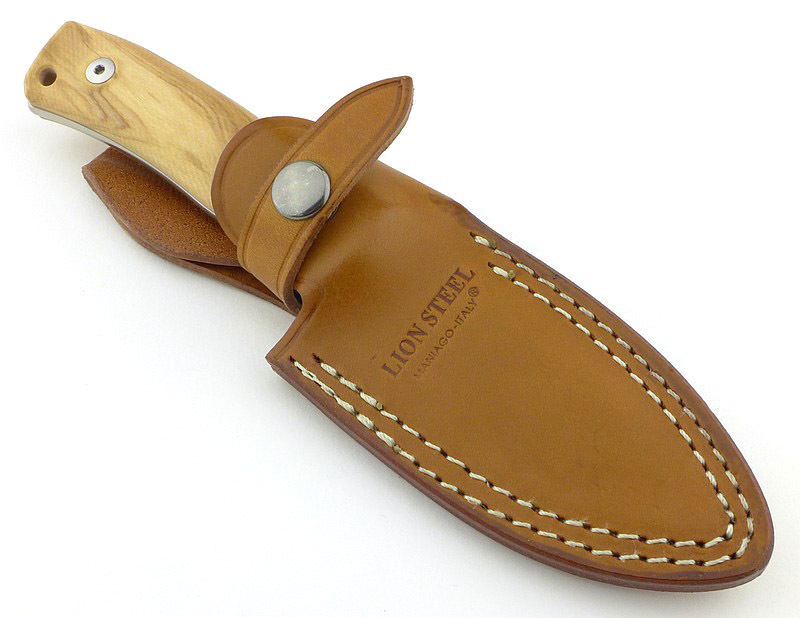 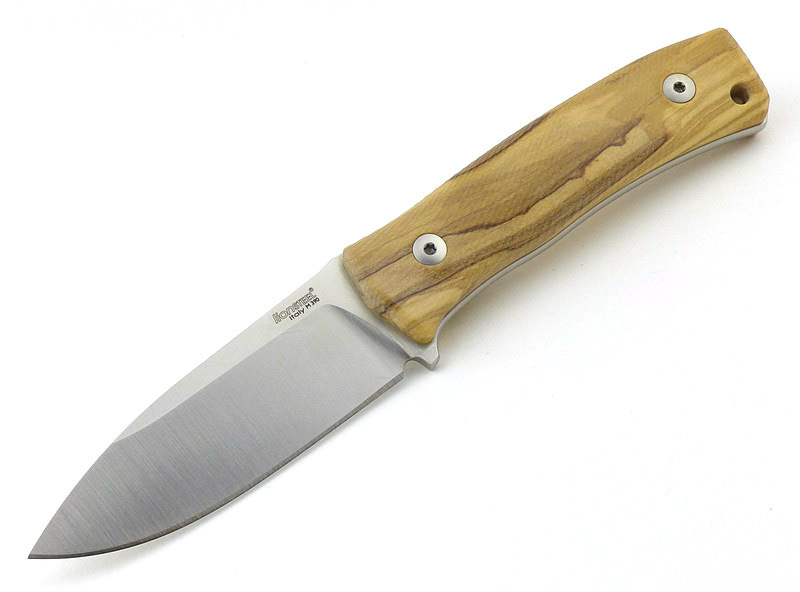 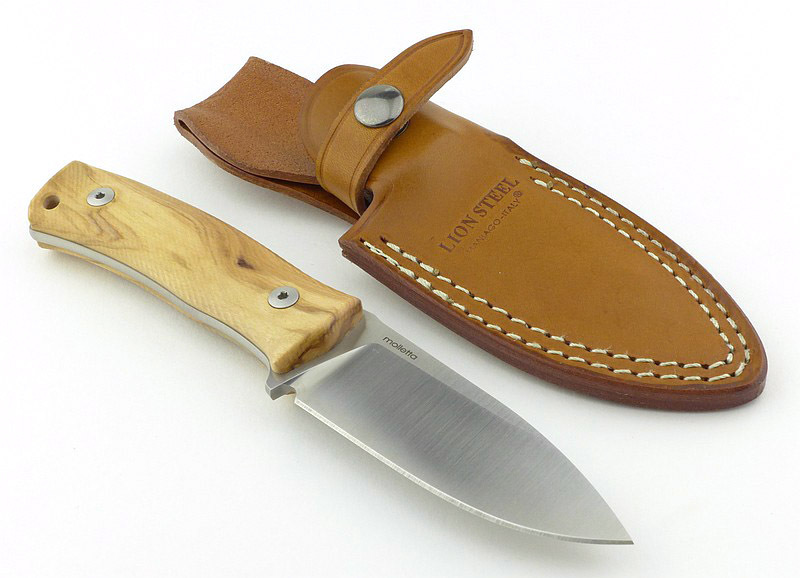 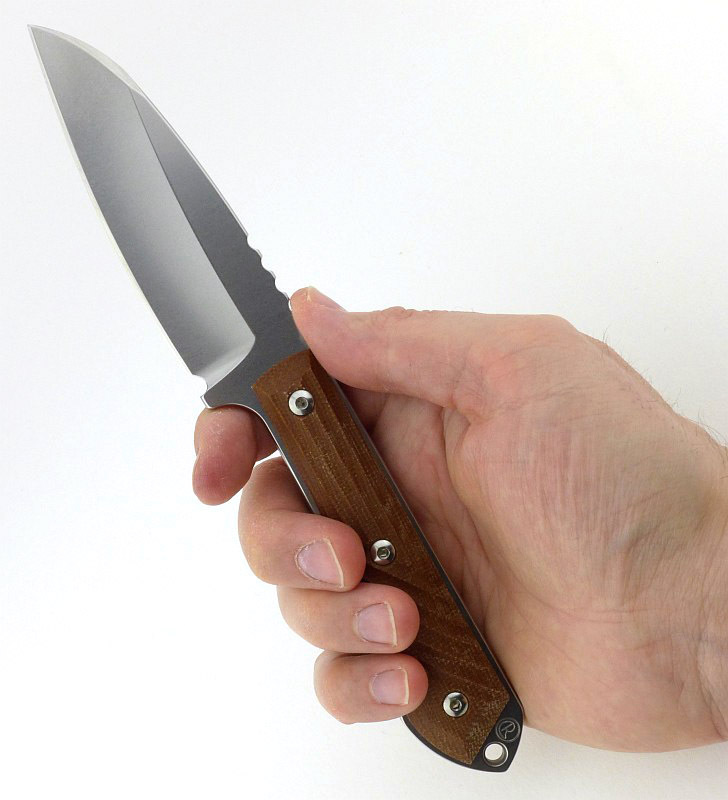 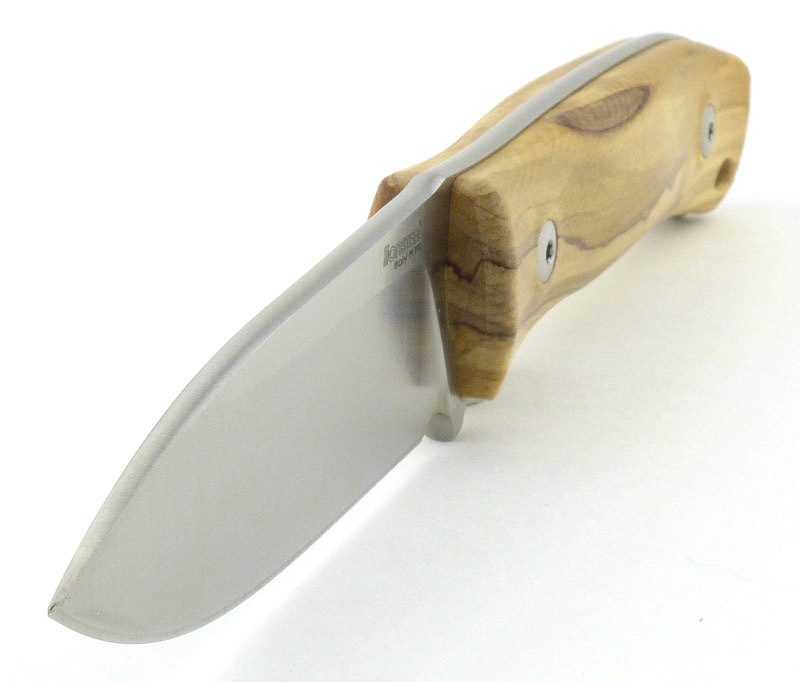 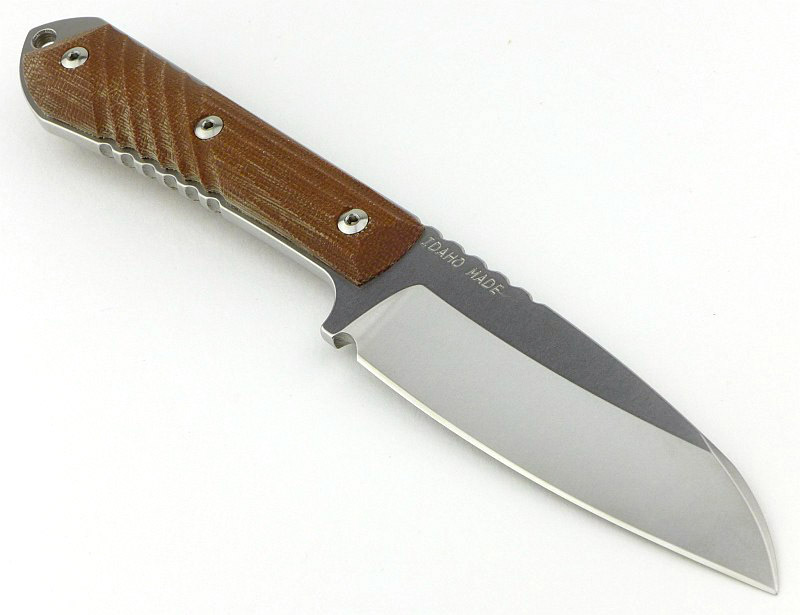 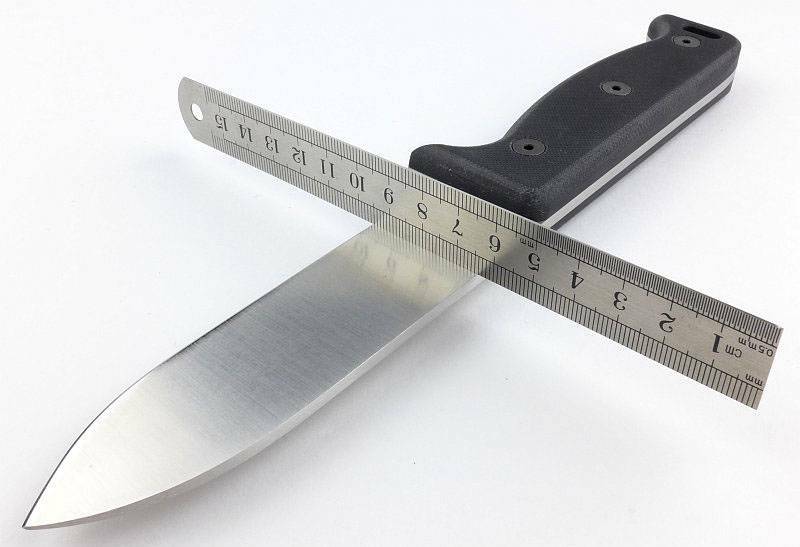 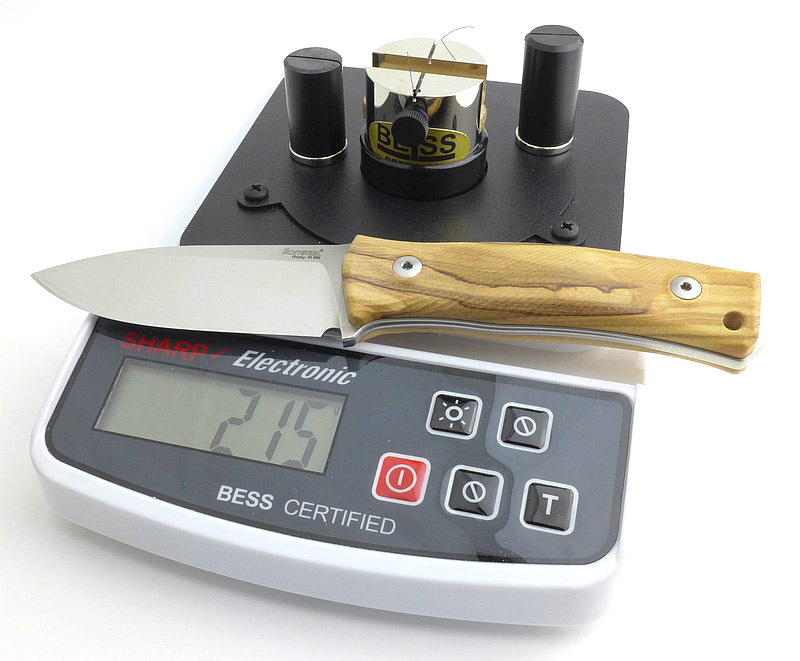 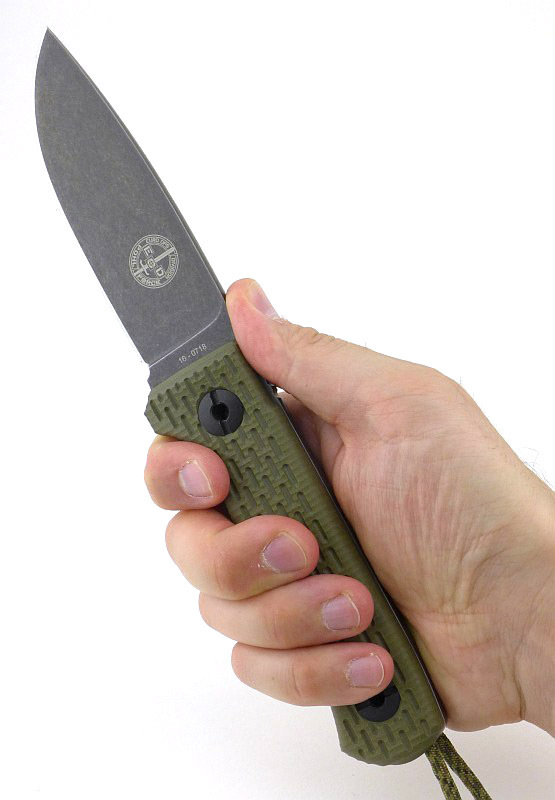 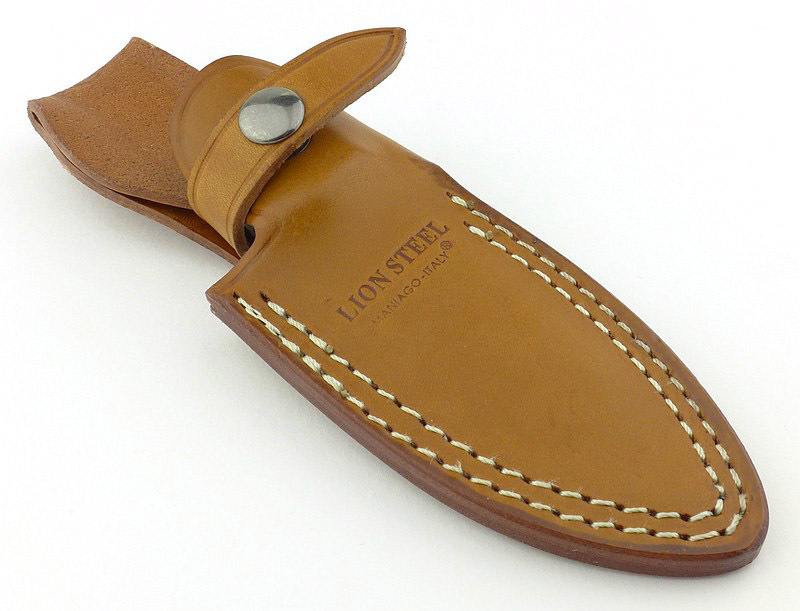 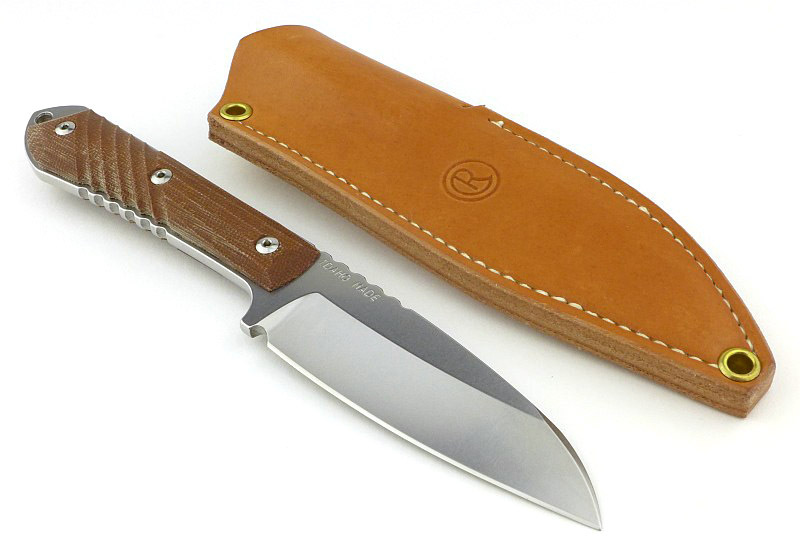 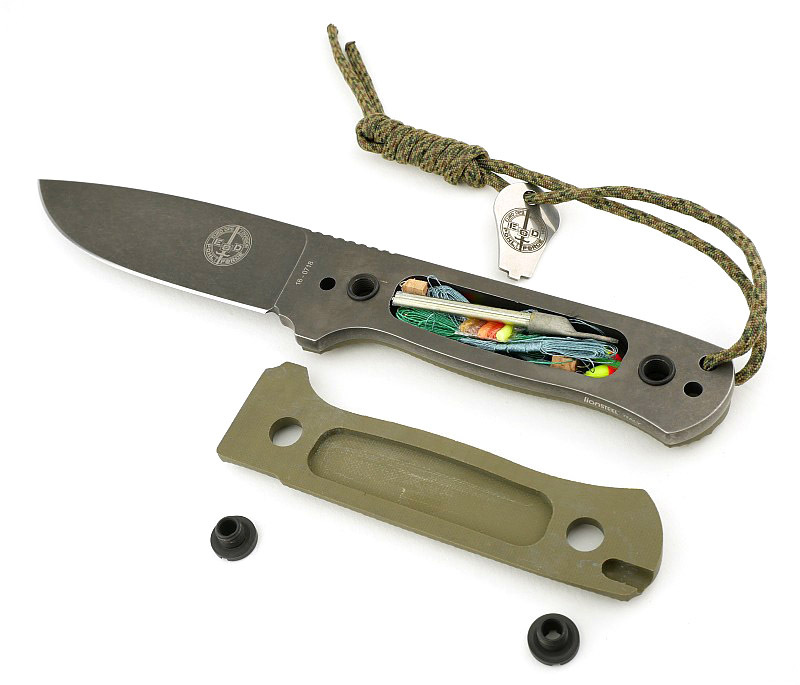 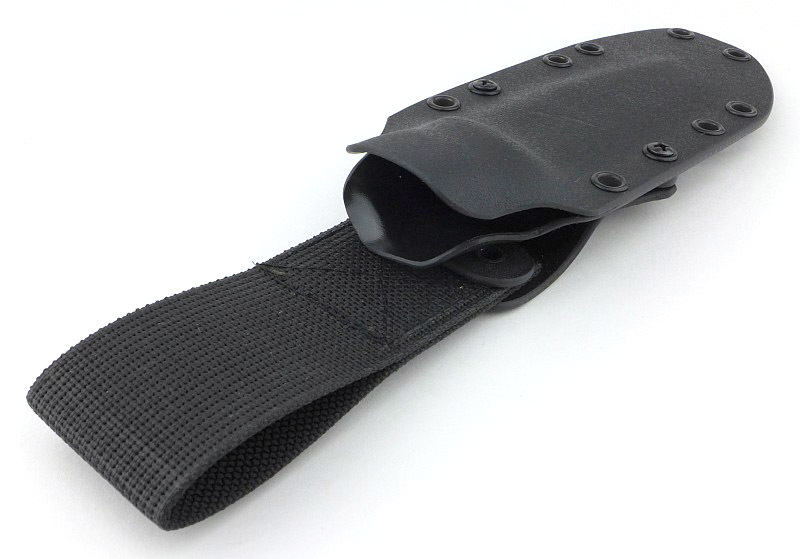 It is a very pocketable size knife which is helped by the slim profile, but has enough blade to be useful. 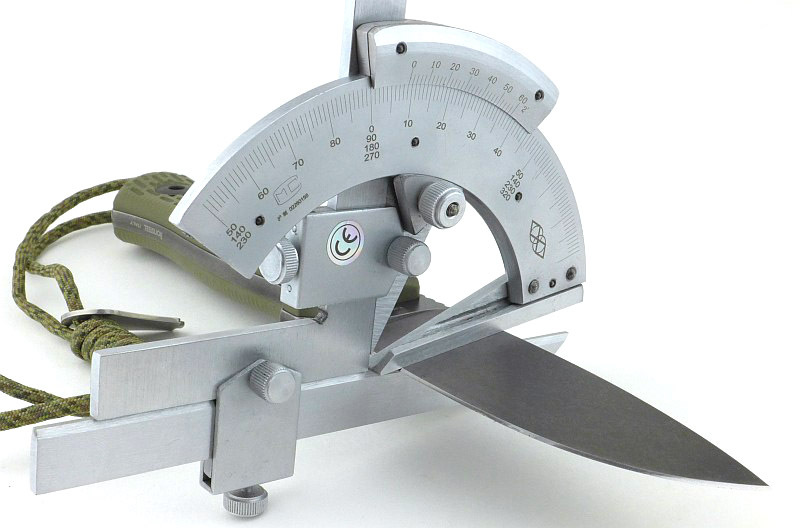 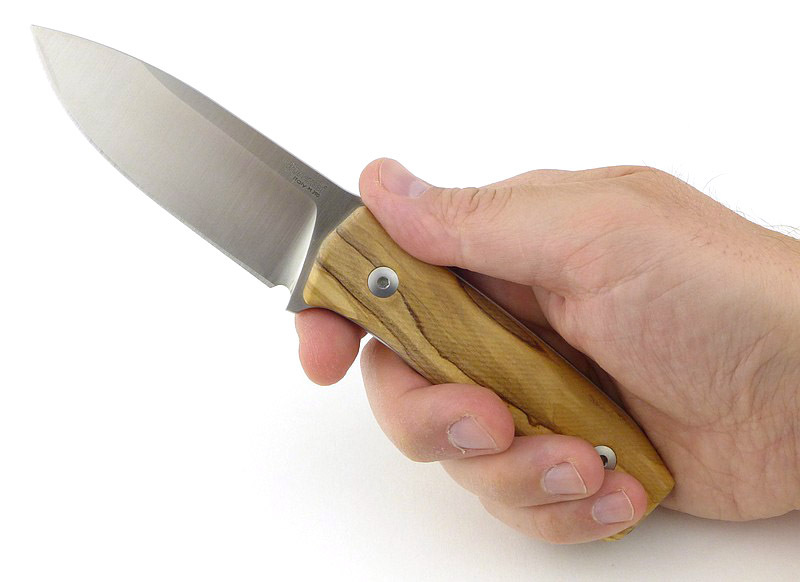 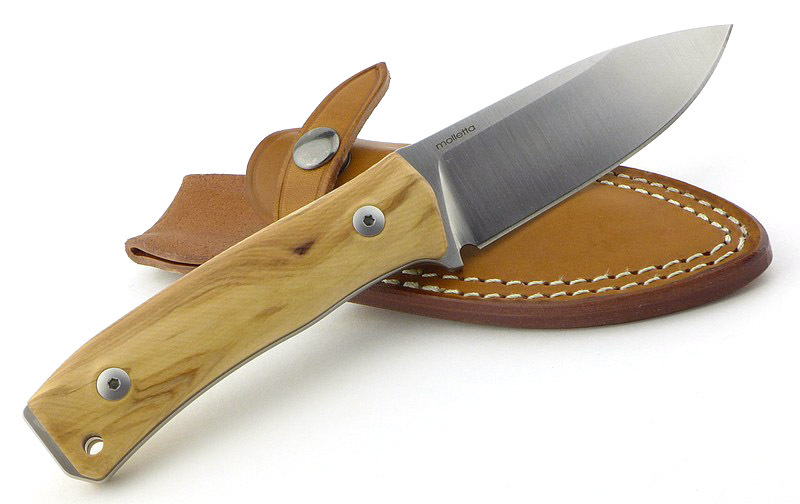 Clearly you will struggle to chop large vegetables with this knife, but it is an EDC folder and not a substitute for a full sized Chef’s knife. 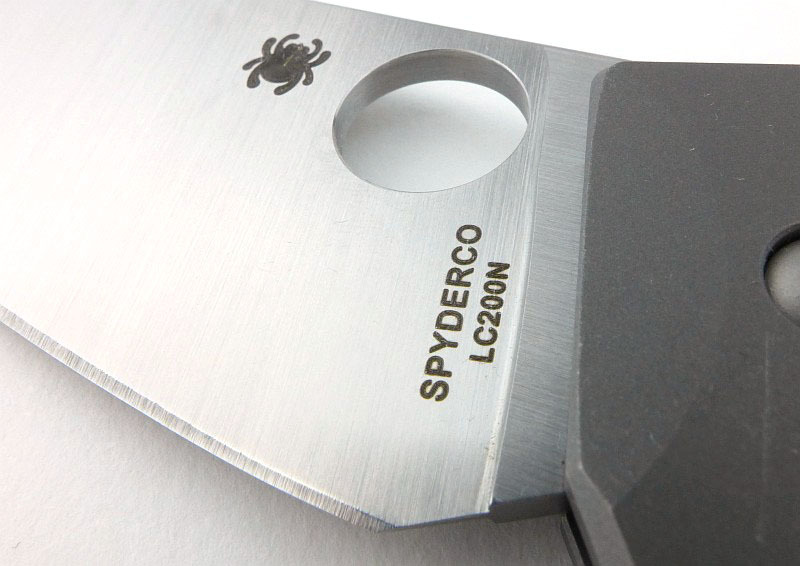 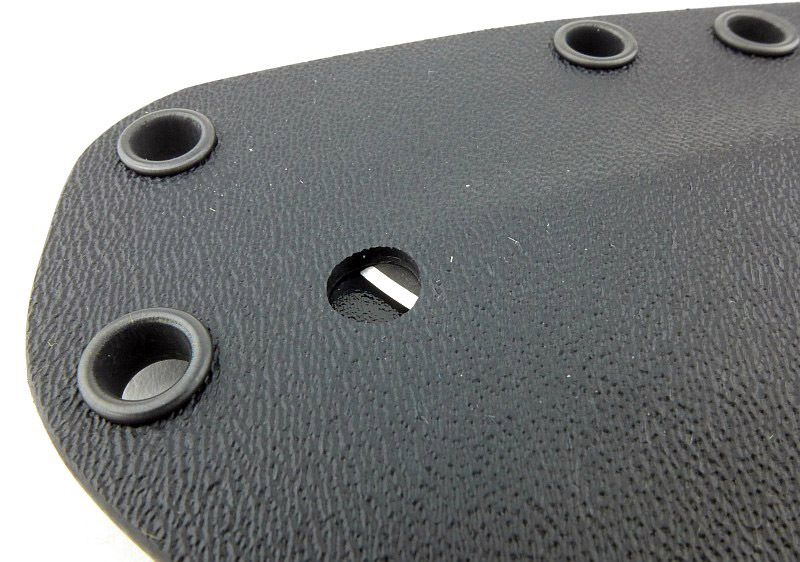 Something I do want to mention is that Spyderco definitely get the blade retention detent resistance right. 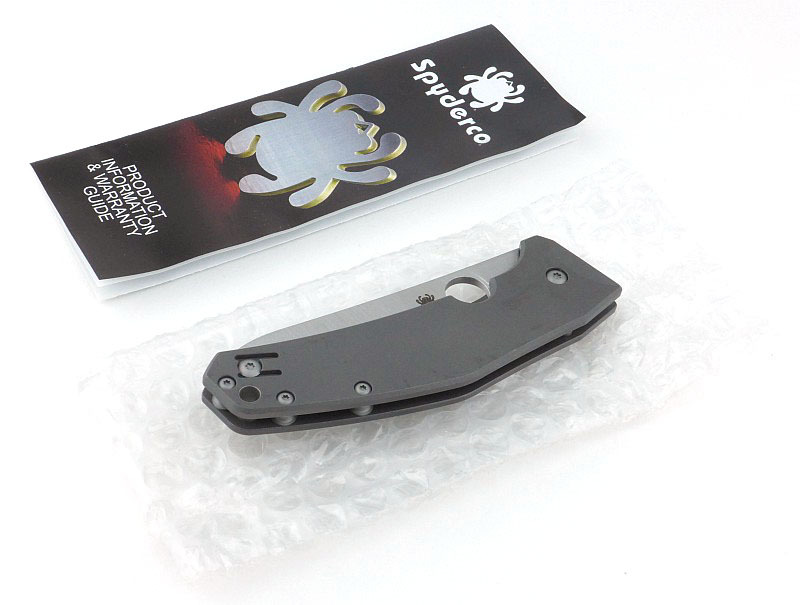 The reason for mentioning this is that I’ve come across certain knives with integral locks where the detent is far too stiff and should you touch the lock bar when trying to open the blade you have had it, the blade is virtually locked in place – not so with the SpydieChef. 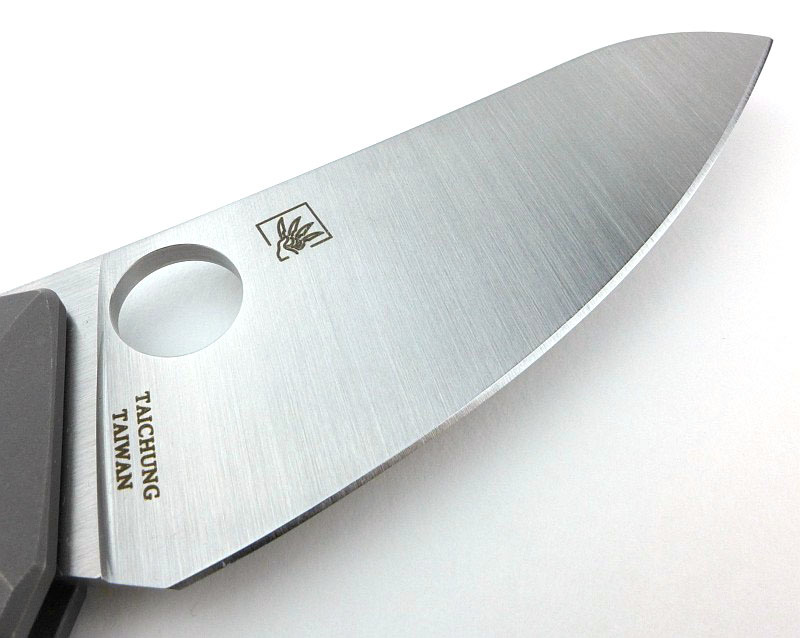 The blade is perfectly secure in the closed position, so let’s get that clear, but then regardless of how you hold it, fingers on the lock bar or not, the blade opens with a slight resistance that is easily overcome with the 12mm opening hole. 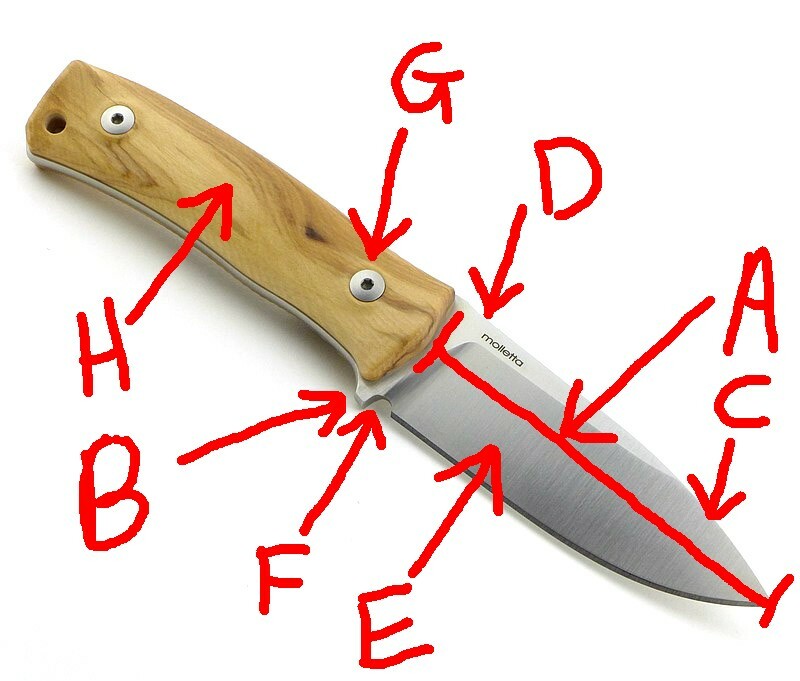 I don’t want to be thinking about how I have to hold a folded knife to open it (beyond the basics of which way the blade swings open), so this is a major factor and over stiff detents on integral locks have ruined otherwise good knives. 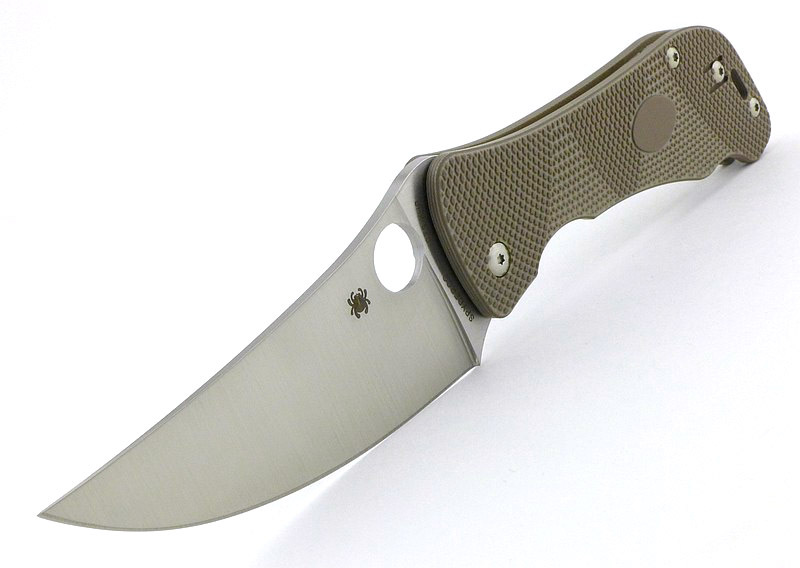 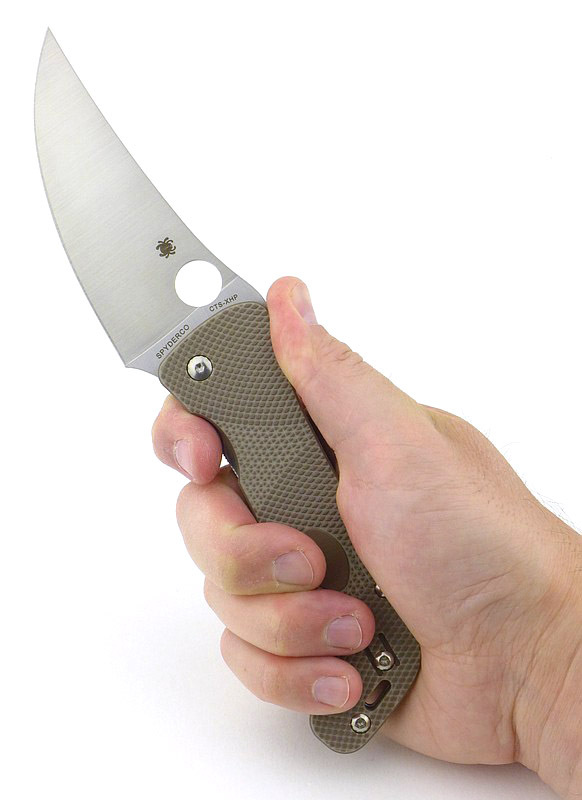 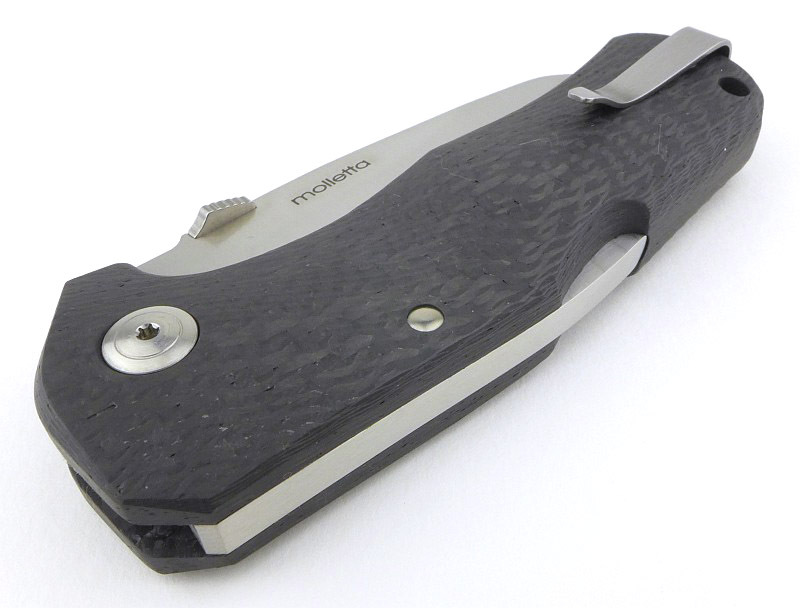 Spyderco have consistently got this right and in this case I nearly forgot to mention it as I hadn’t noticed any issues or hang-ups opening this knife, so it went out of my mind. 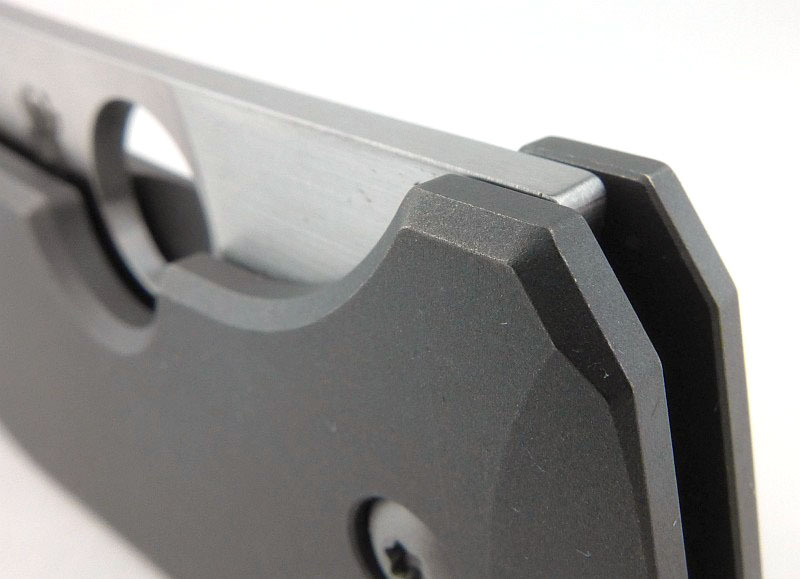 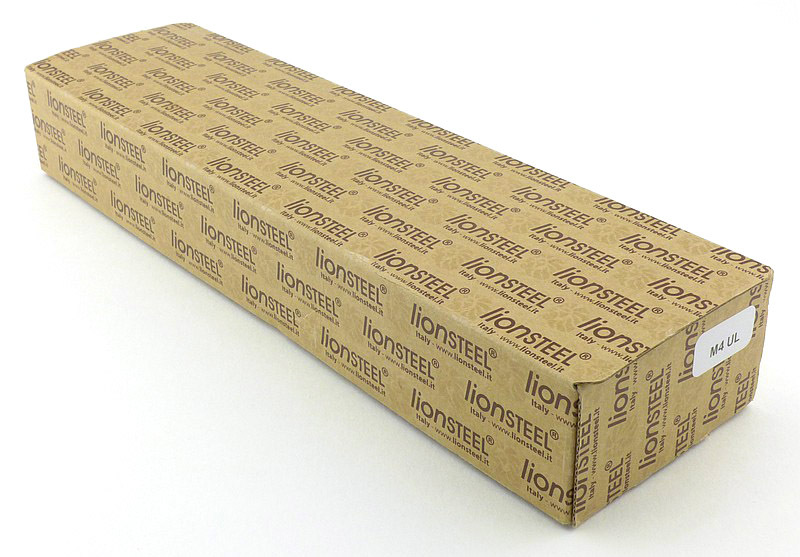 Slim, flat slab handles can often become uncomfortable in use quite quickly, but their low profile makes them easy to carry. 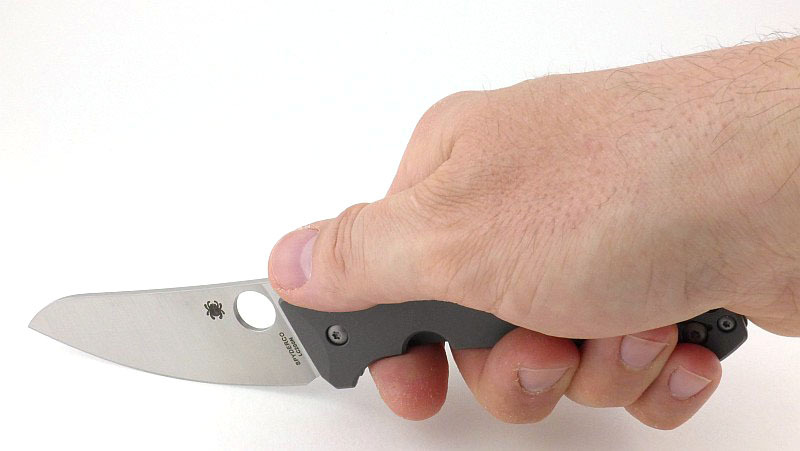 However, the curving handle of the SpydieChef does a very good job of resting over your fingers and sitting into your hand in a perfectly comfortable way despite its slim flat profile. 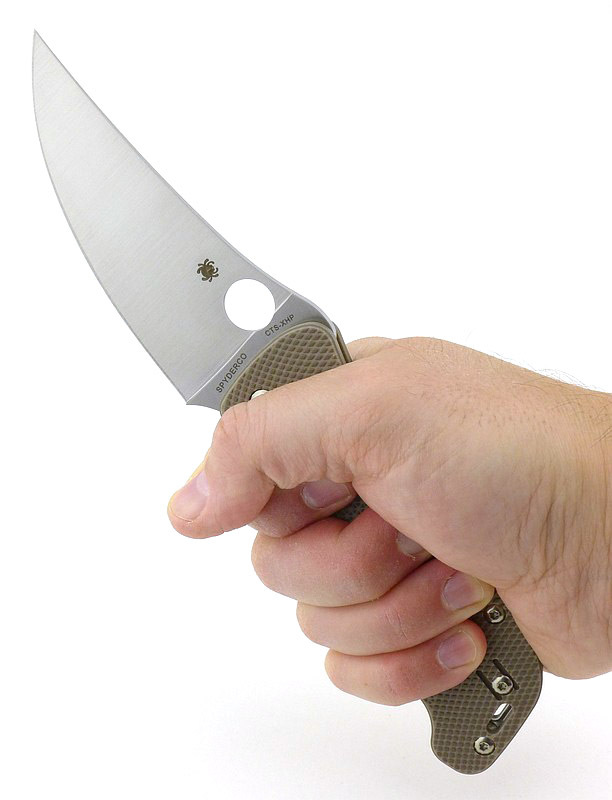 The SpydieChef sitting comfortably in my hand (XL glove size) with my forefinger nestled up to the integral finger guard. 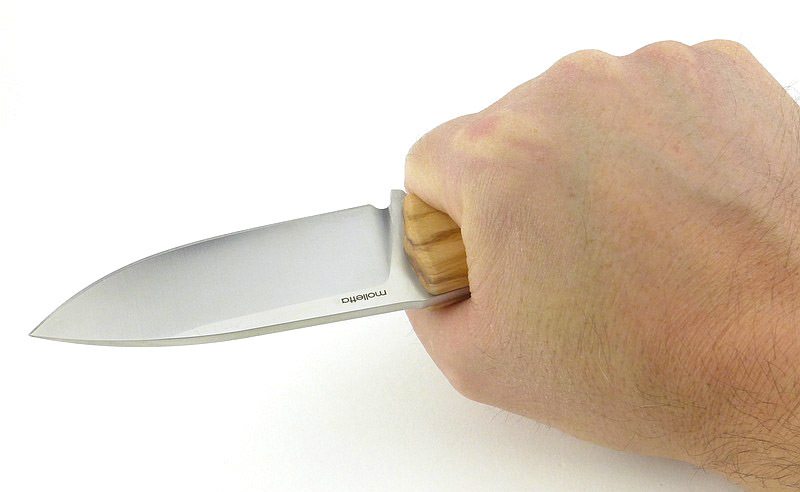 Absolutely crucial for a kitchen knife is it ability to be used cutting down onto a chopping board. 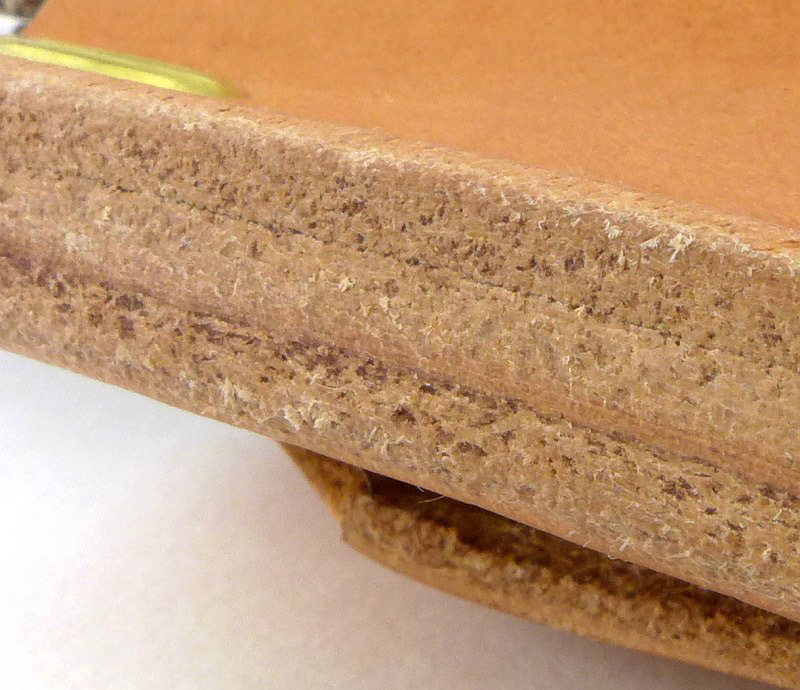 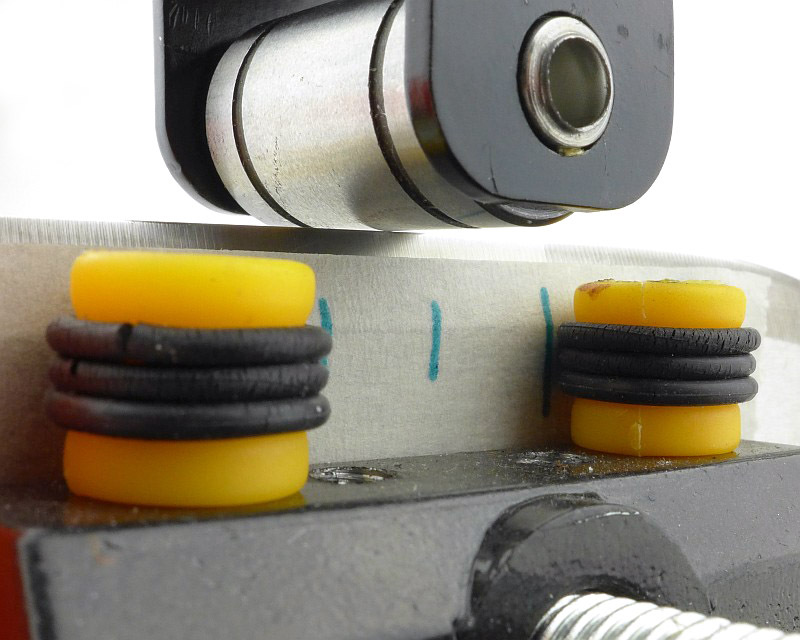 This requires clearance for the fingers when the edge is in contact with the board. 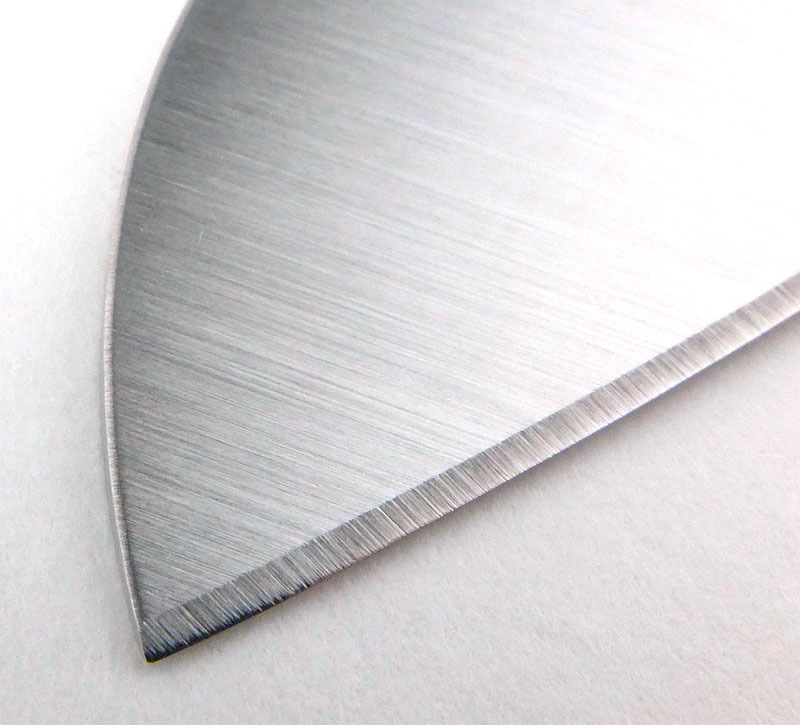 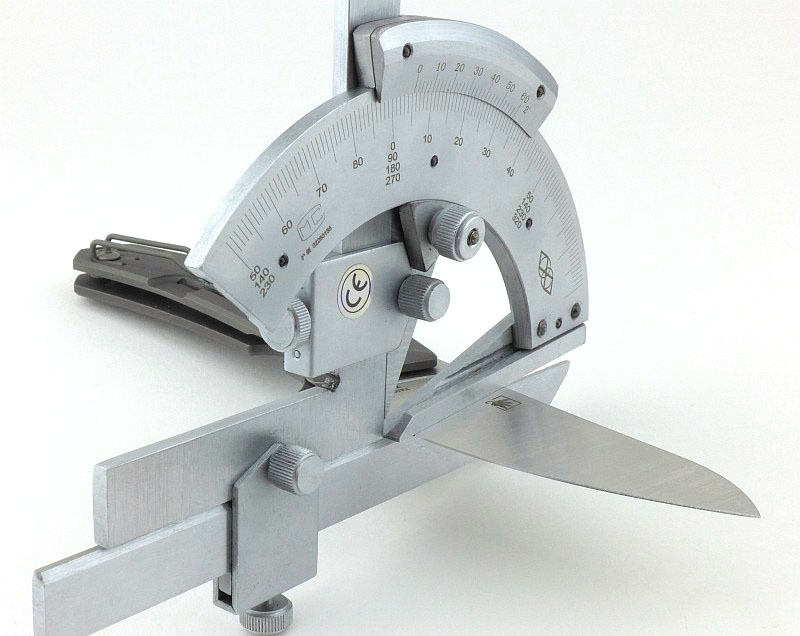 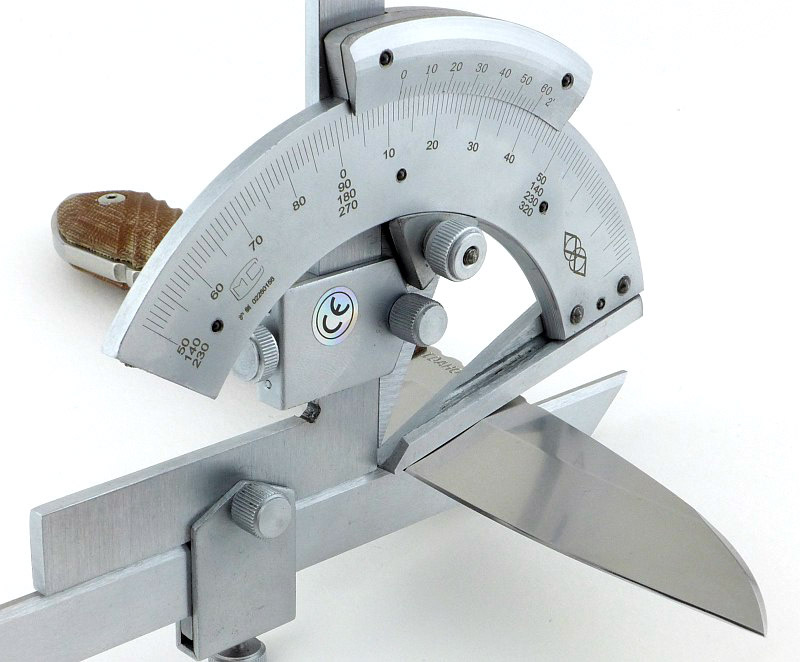 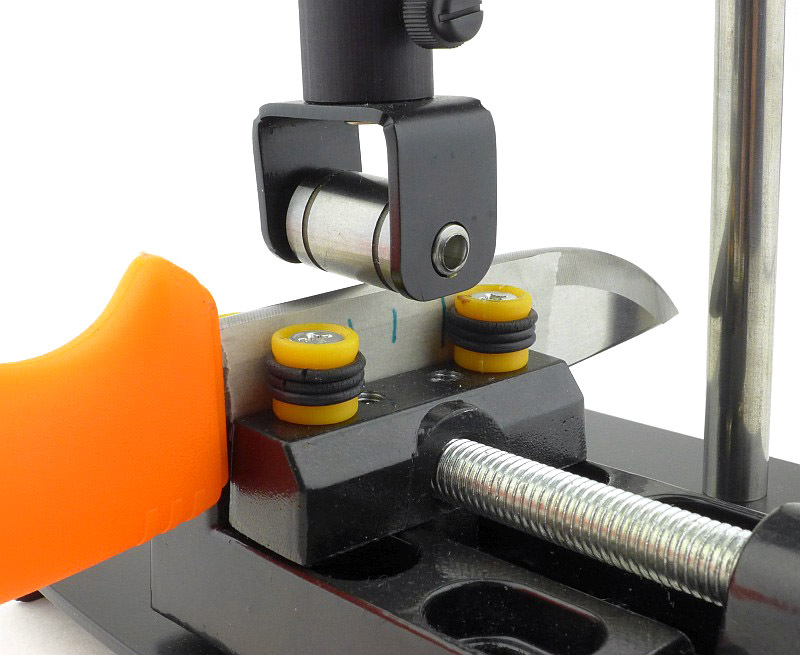 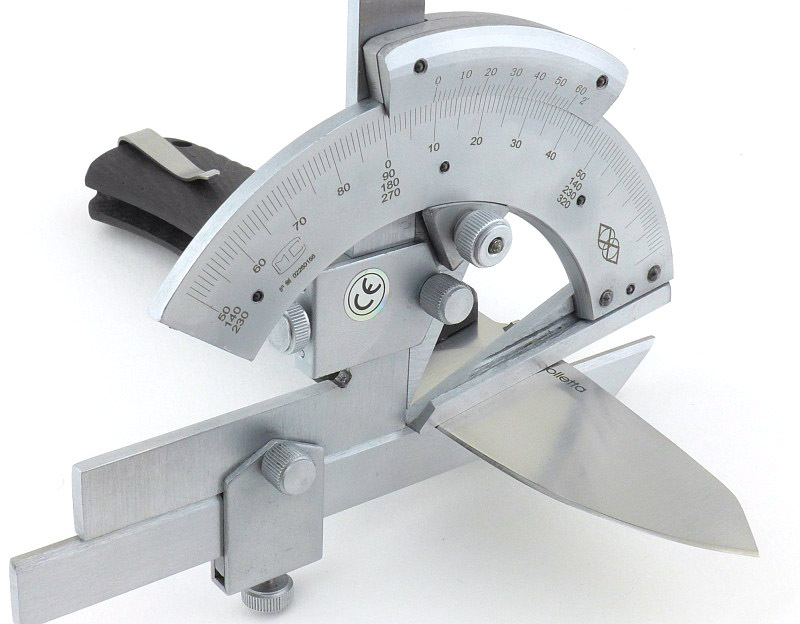 As well as the clearance, it helps cutting control enormously to have a curved edge that allows you to rock the blade for fine chopping or to apply controlled cutting force to harder foods like nuts while keeping the edge in contact with the board. 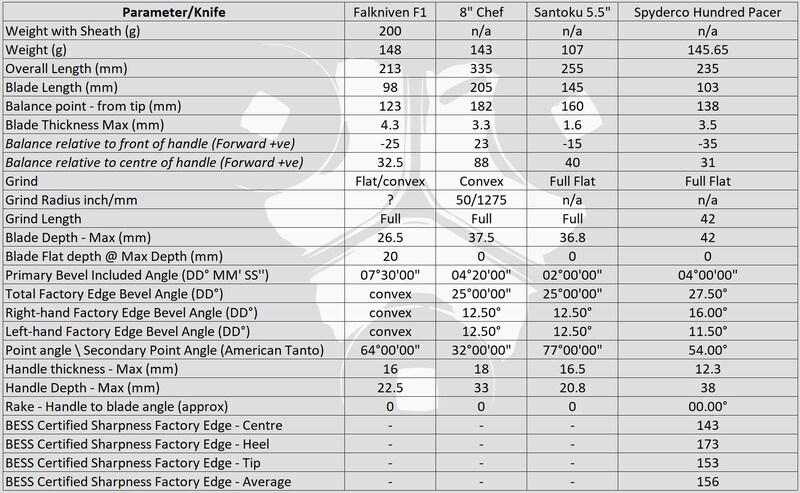 The geometry of the SpydieChef has this absolutely nailed, and I’ve been chopping away without rapping my knuckles and no food pinging off the board. 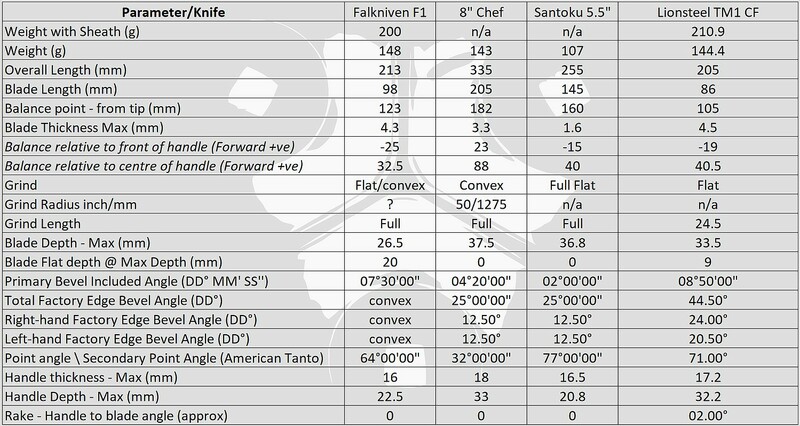 I mentioned it earlier, compared to an actual kitchen knife, the blade is thicker (an EDC compromise) and this does mean that the knife does not fall through firmer and larger vegetables like a thinner blade does. 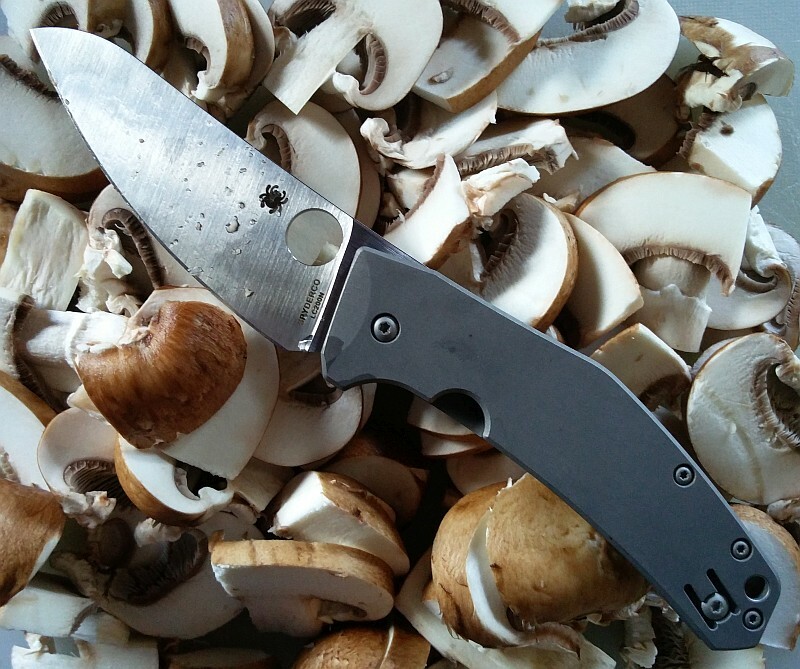 Instead you can get that slight snapping action at the end of the cut, but the full flat grind does a good job of parting the cut, and these crisp chestnut mushrooms which can be quite fragile and break up with wider blades have stayed in nice slices without cracking or other signs of stress. 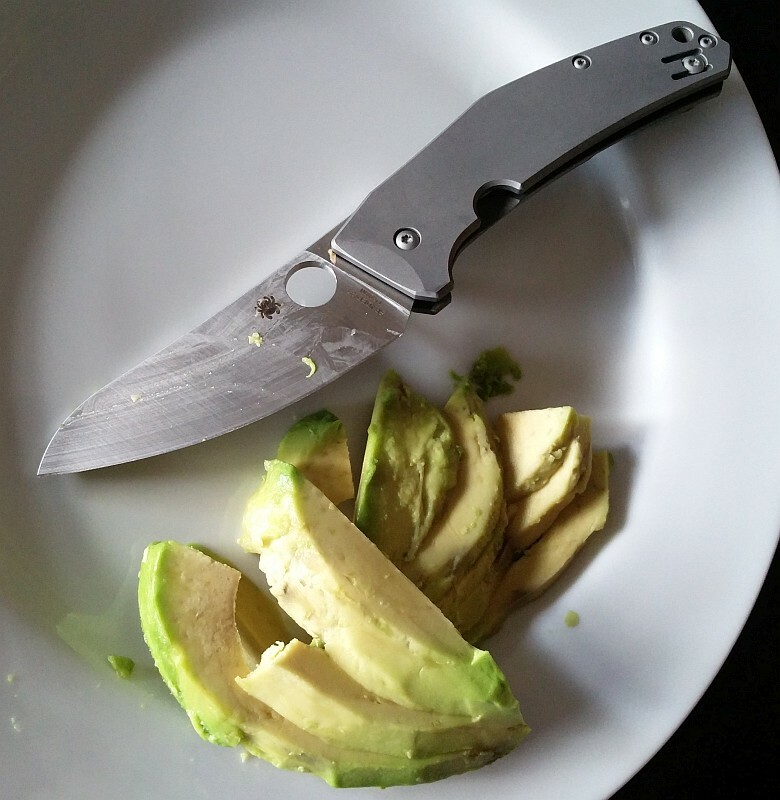 It might not really be much of a challenge for a knife, but the combination of a tough skin and the soft flesh means a less than capable knife can make a real mess of an avocado, but not in this case where the only limit was user skill. 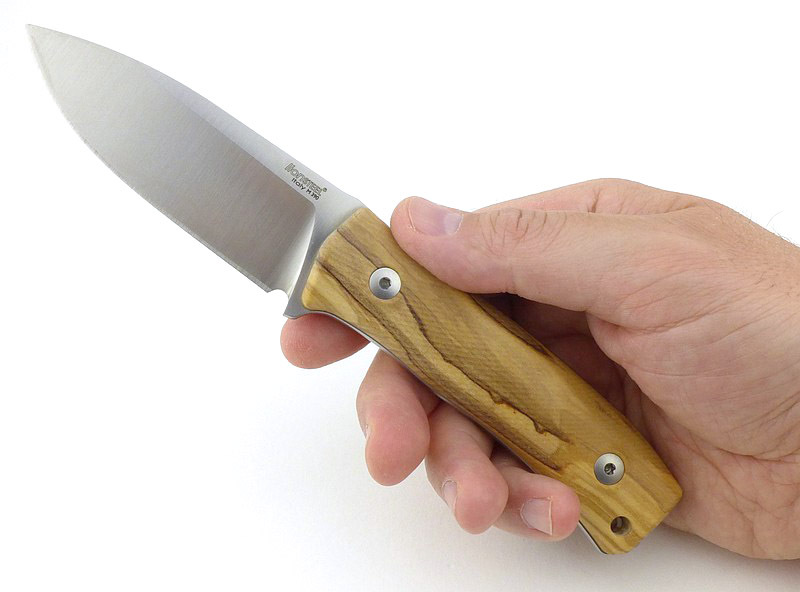 In terms of kitchen capabilities, the fact I can pull this from my pocket and work with it happily, and at the same time not worry about any residues making their way into the handle or pivot, makes this a huge winner for those days when food prep is a big priority; holidays, camping, picnics, workplaces and more. 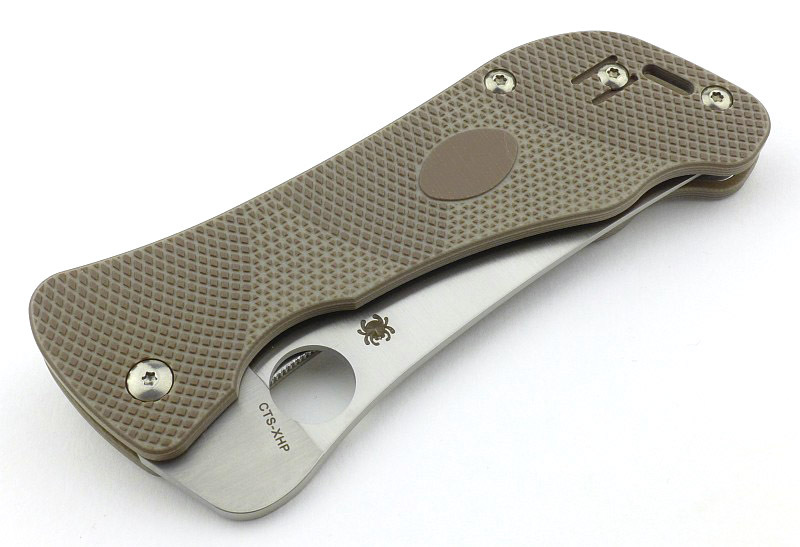 With the ultra-corrosion-resistant nitrogen-based LC200N blade, phosphor bronze washers and titanium handle, the SpydieChef doesn’t mind getting dirty, being exposed to corrosive juices and otherwise being left to marinade with the rest of the cooking. 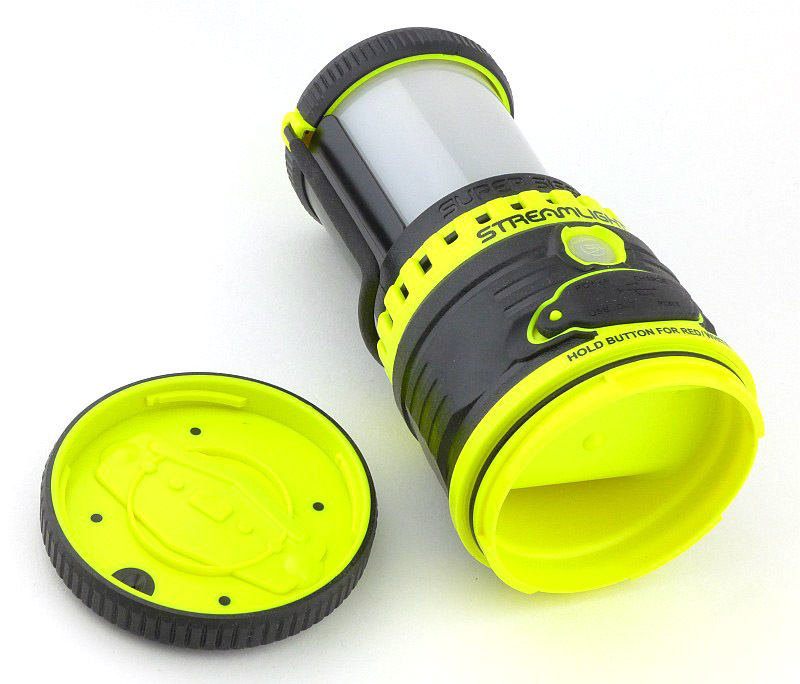 You can even pop it in the dishwasher for cleanup afterwards. 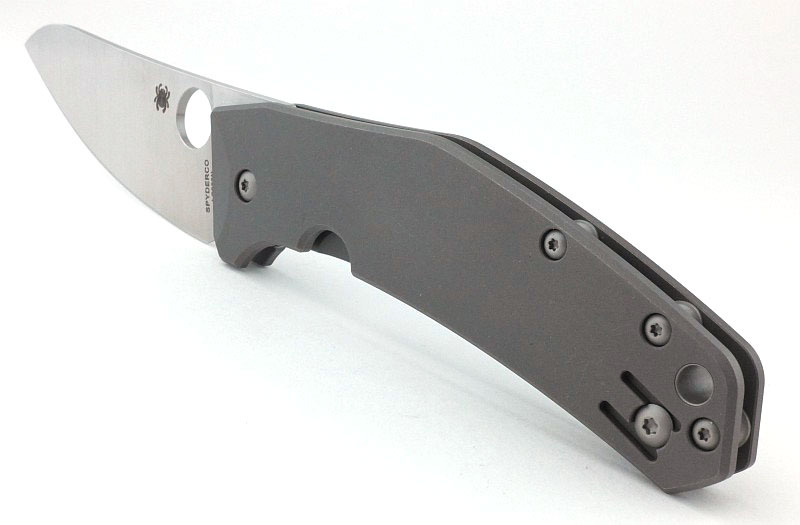 Where the SpydieChef gives you extra, is that it is capable of so much more than the light cutting duties of just food prep. 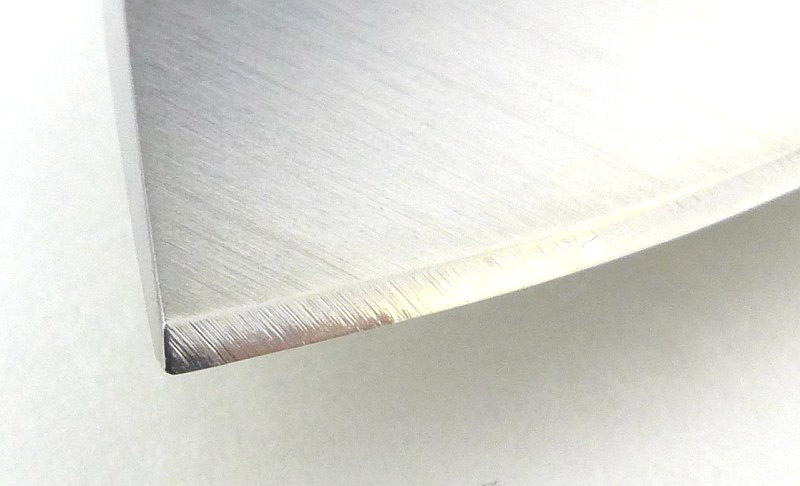 The blade is thick enough for you to really grab a handful of that handle and put it to some hard work on tougher materials (and the LC200N will keep its edge longer than an H1 blade will). 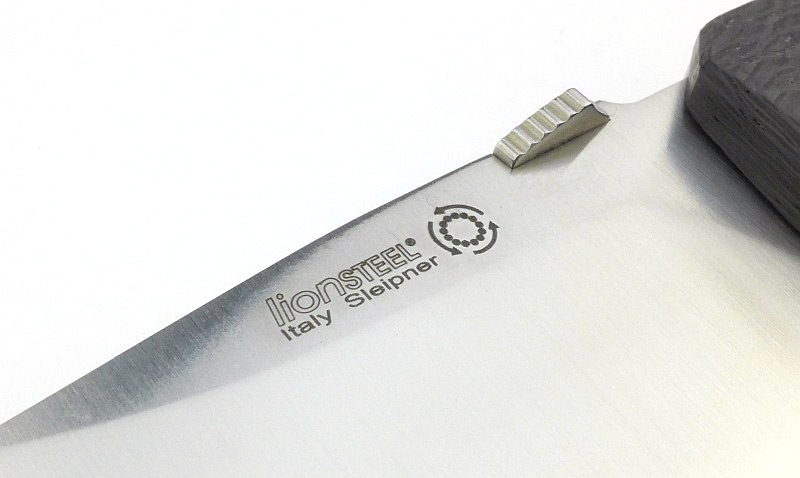 Mixing it up between food and non-food use might mean a few washes or wipes in between, but this single knife can do it all. 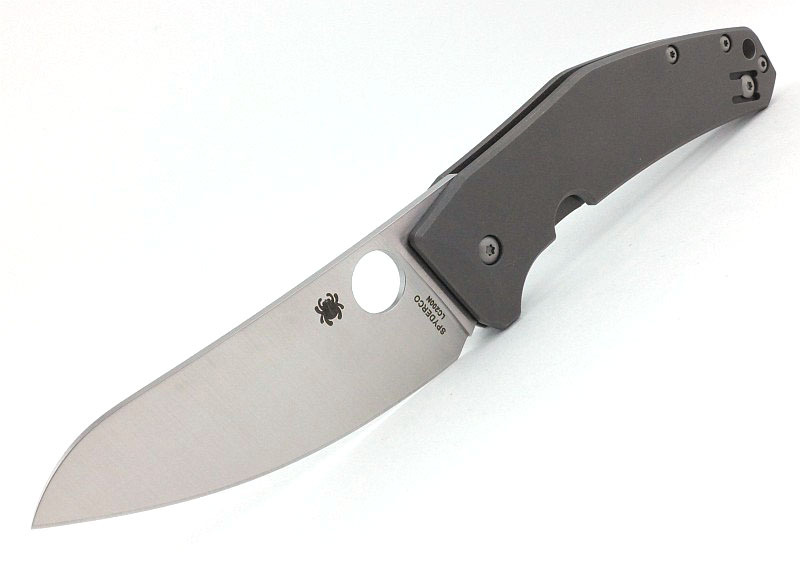 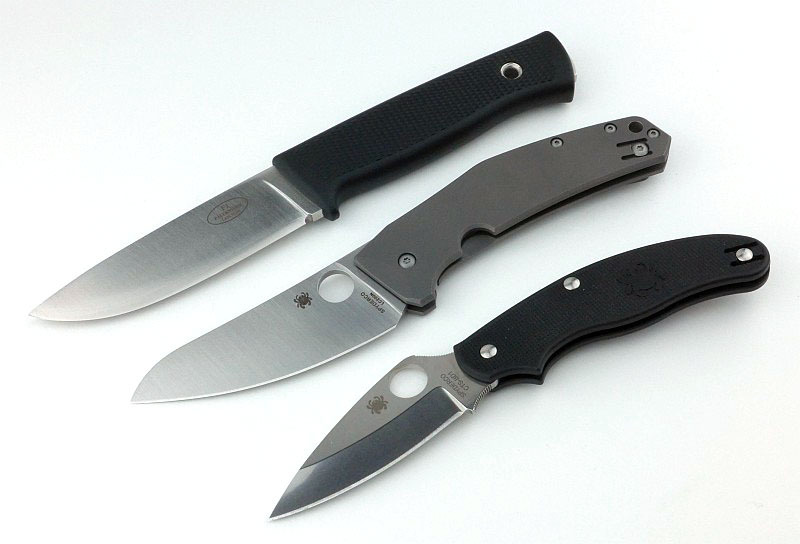 I’ve always been a fan of the kitchen knife as a general purpose blade and have carried both modified and unmodified chef’s knives into the field, so personally I find the SpydieChef’s style and shape ideal as an EDC blade. Chef’s knife style blade. 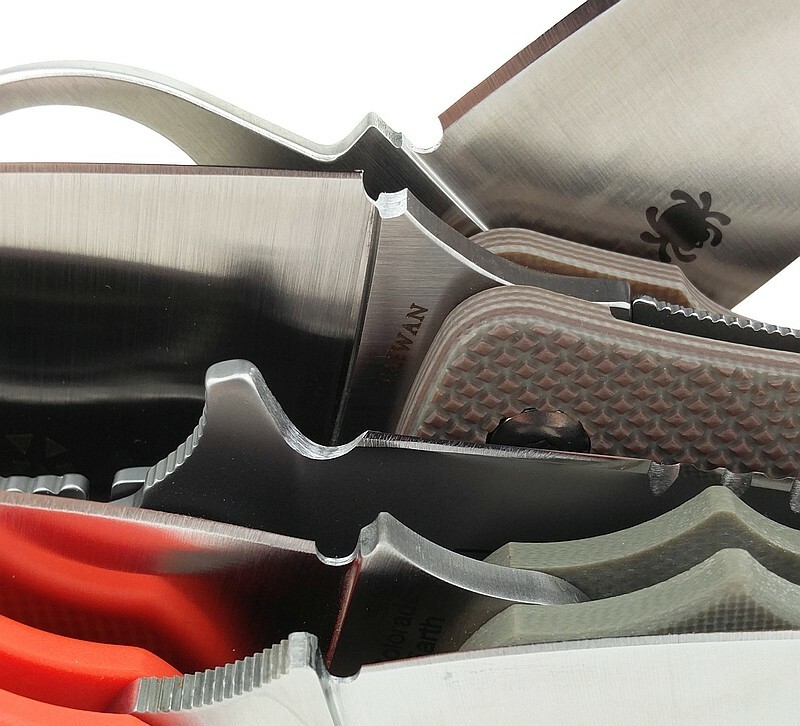 Blade is a little too thick for easy slicing of hard vegetables. 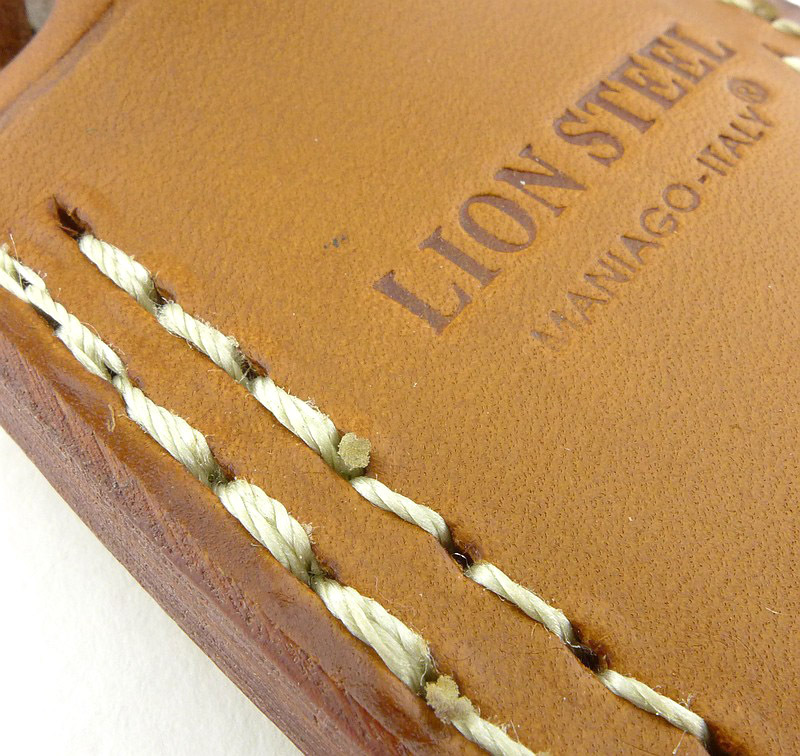 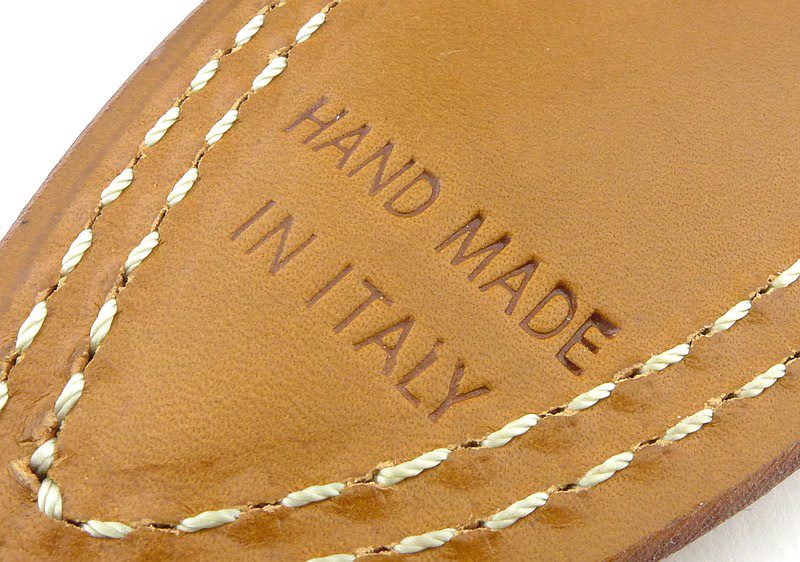 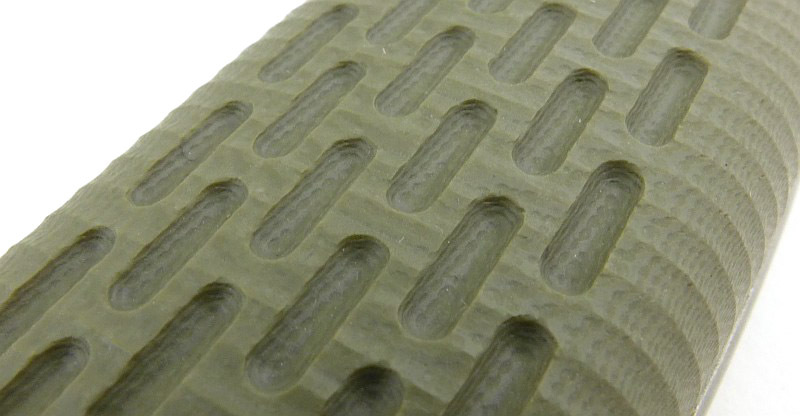 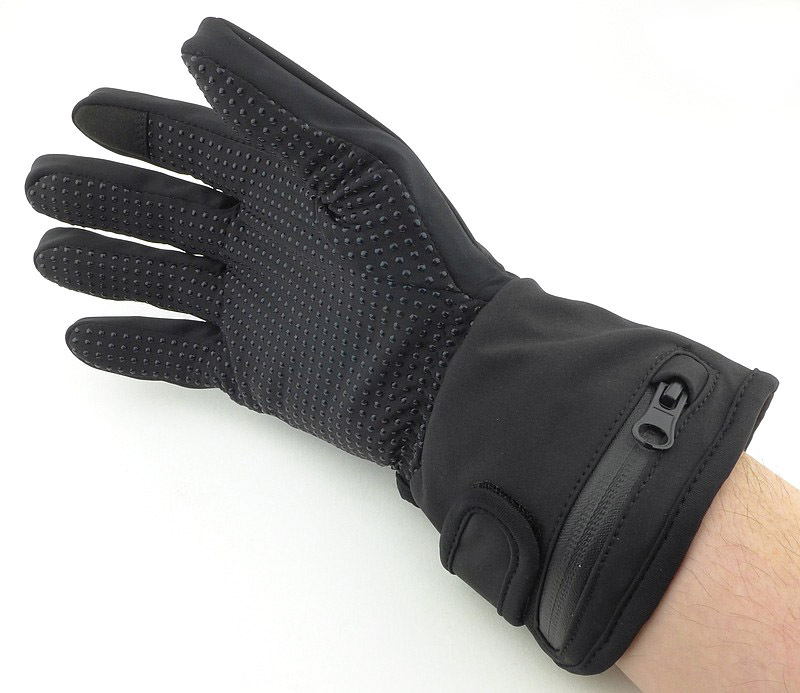 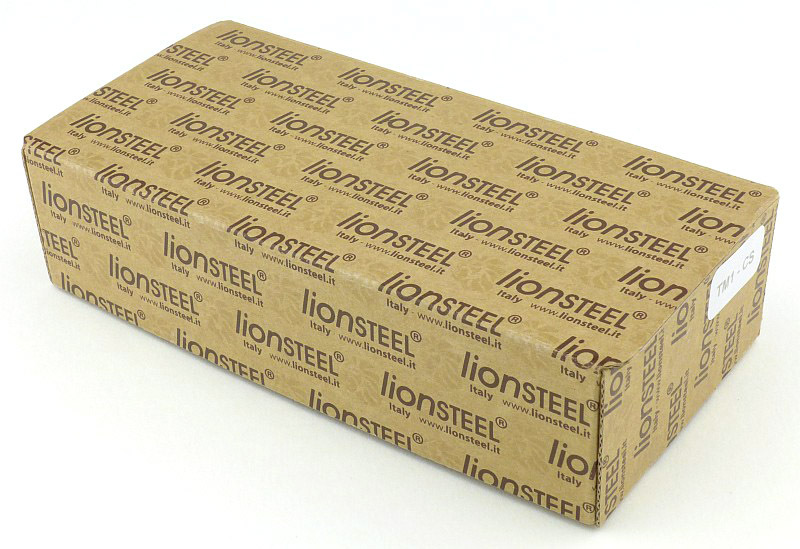 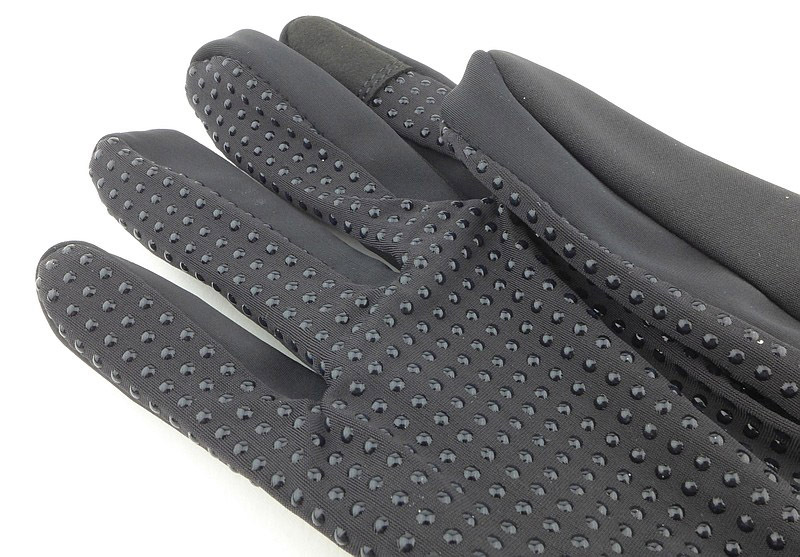 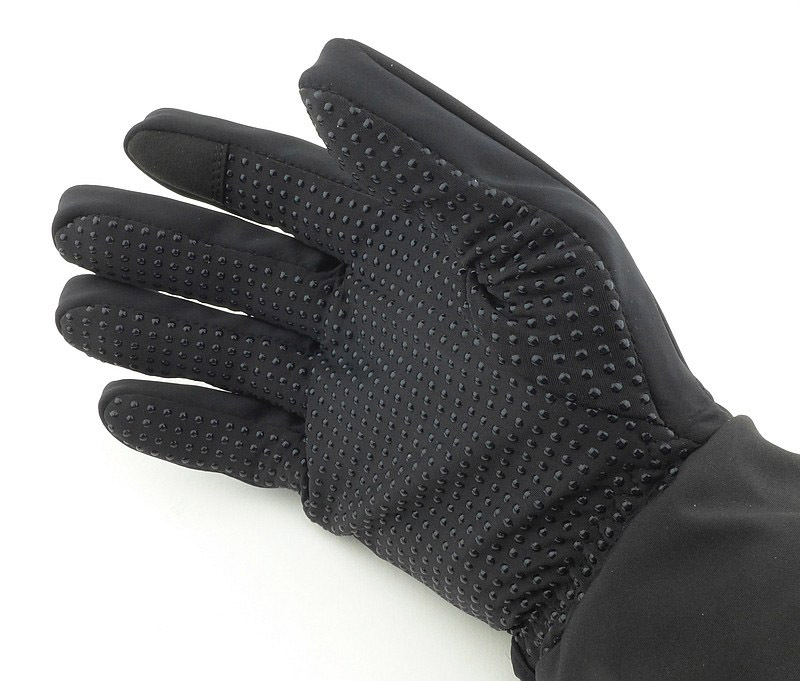 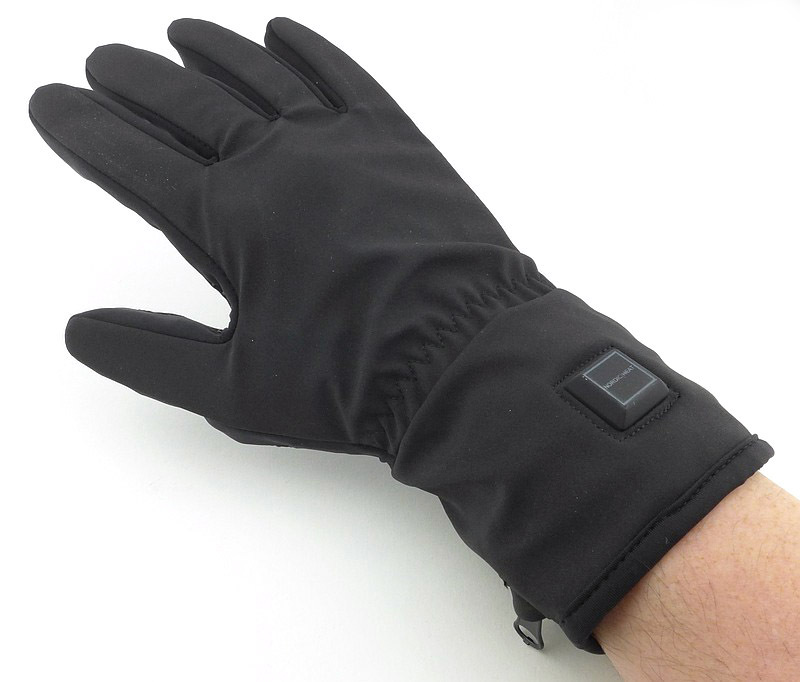 Ultra-corrosion-resistant materials. 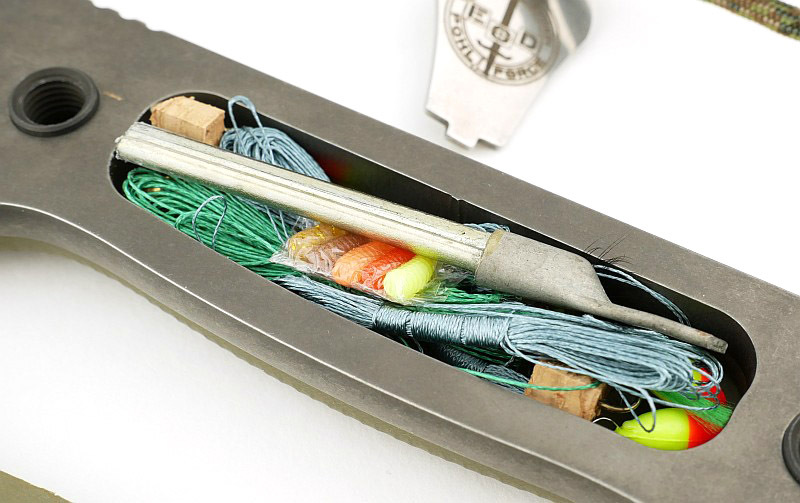 Cleanup can be a bit fiddly. 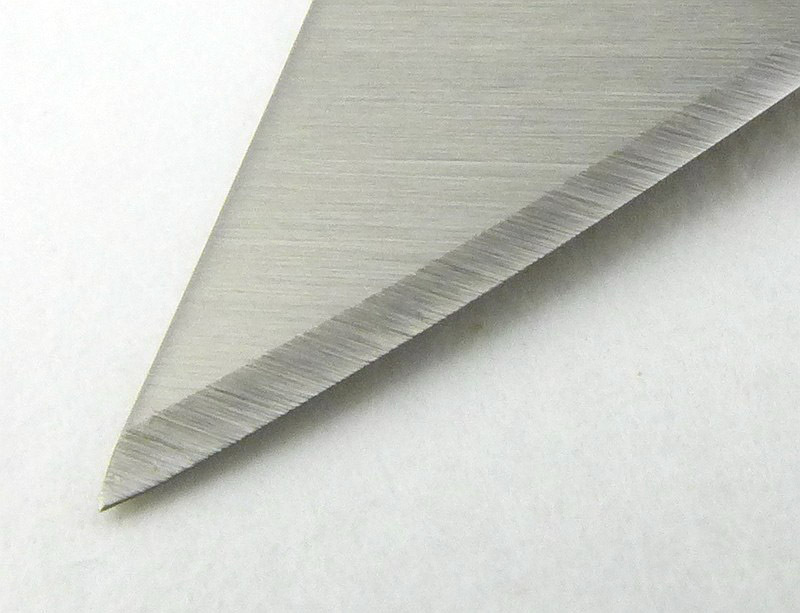 Good cutting clearance for chopping onto a board. 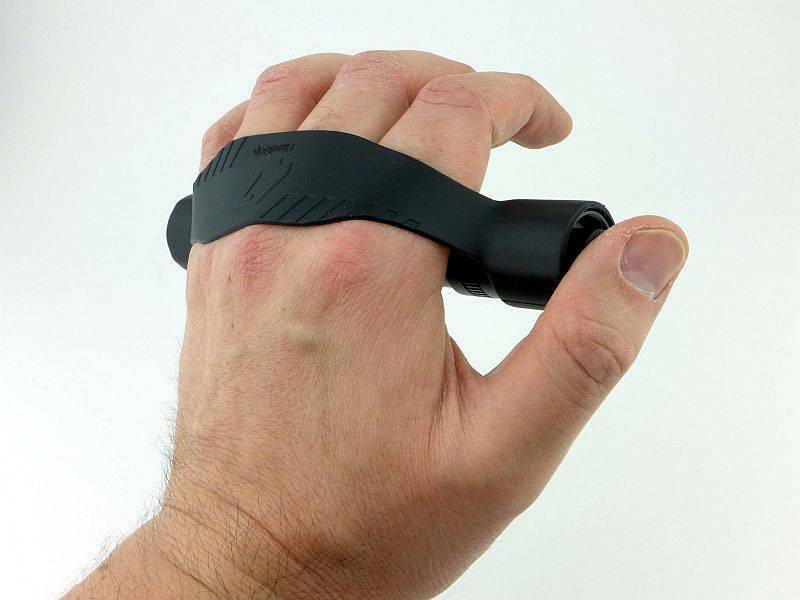 Not so good for left-handers. 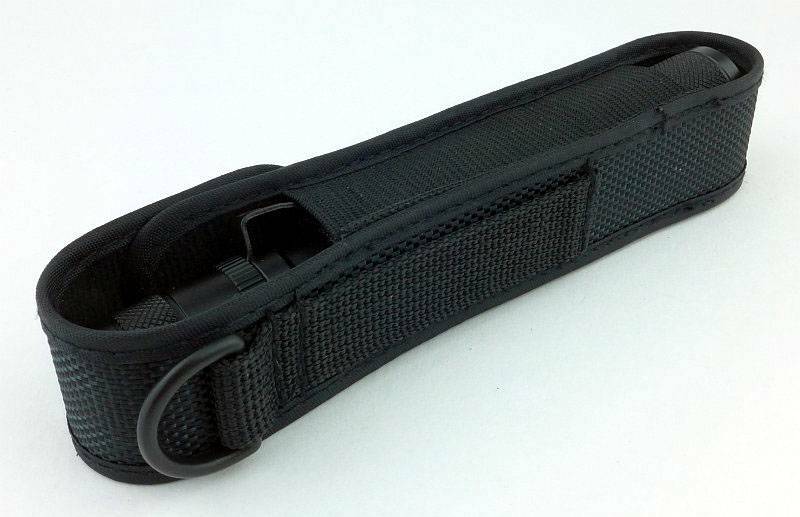 Slimline, lightweight and easy to carry.